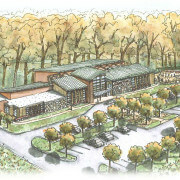 Wetlands Studies & Solutions, Inc. 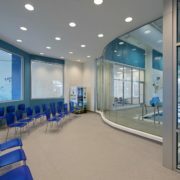 Propel Swim Academy | E.E. 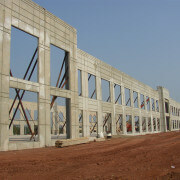 Reed Construction, L.P. 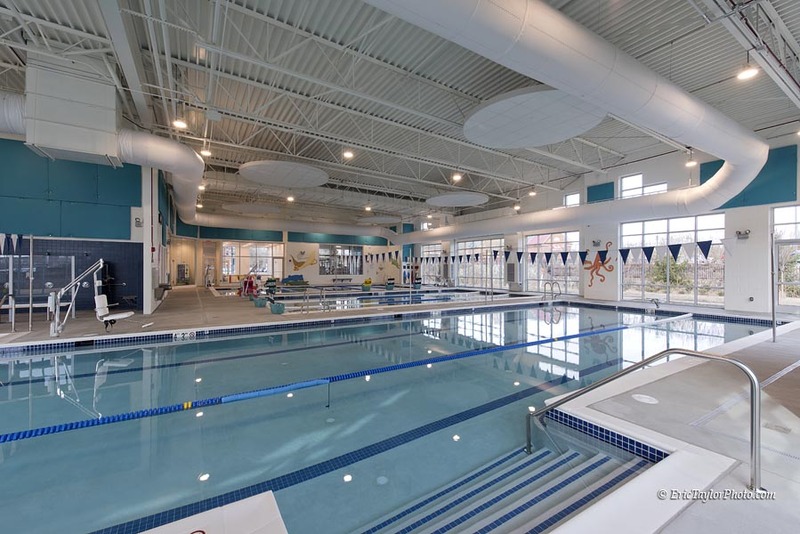 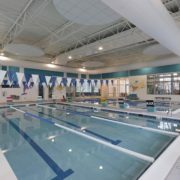 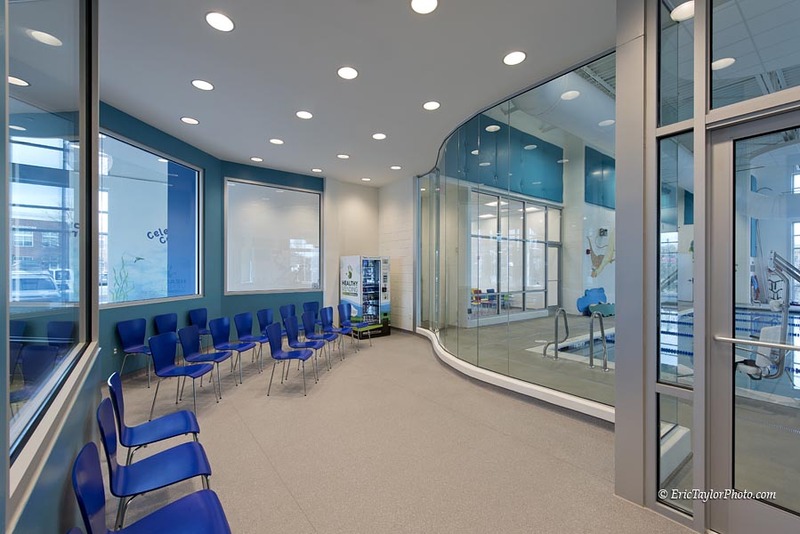 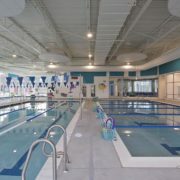 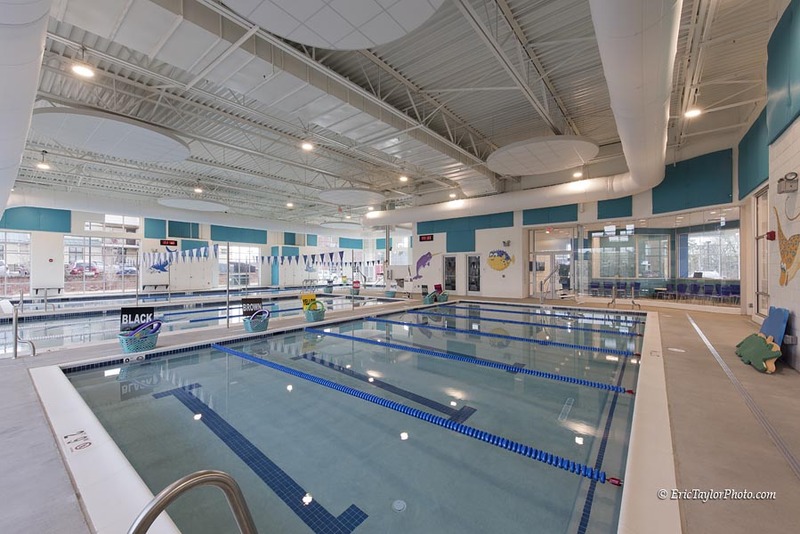 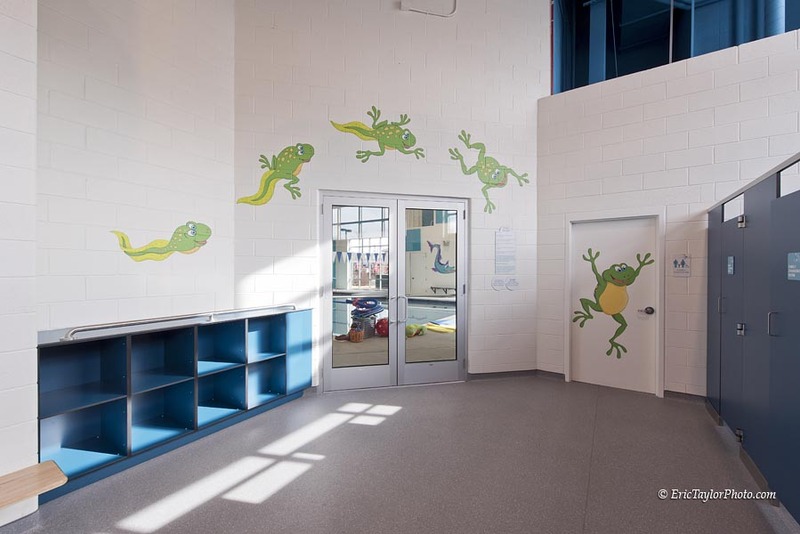 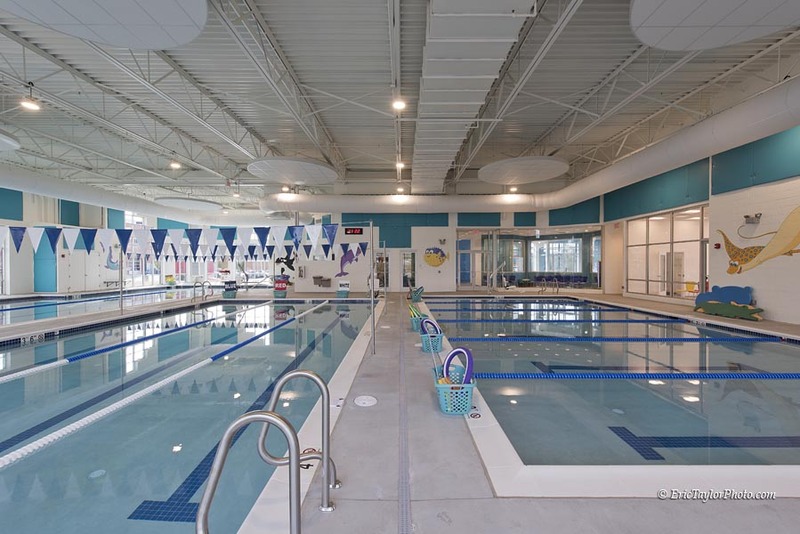 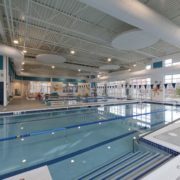 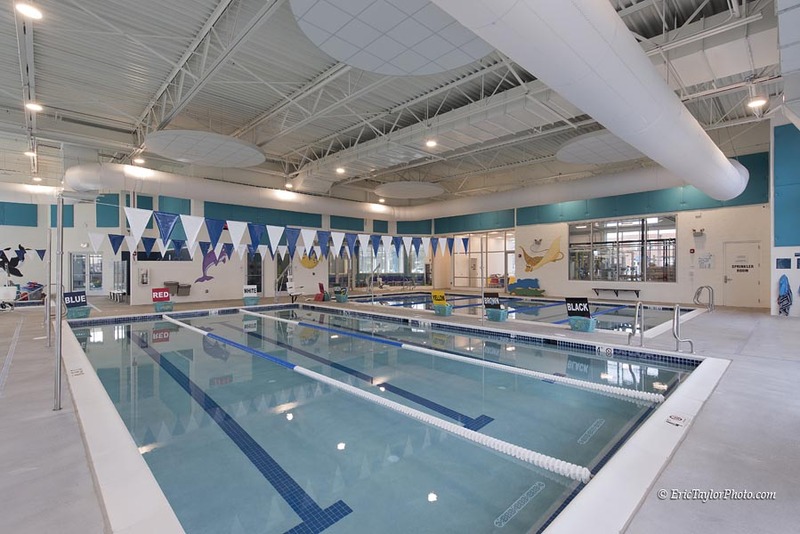 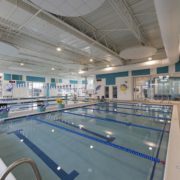 Description: 12,000 square foot swim school facility. 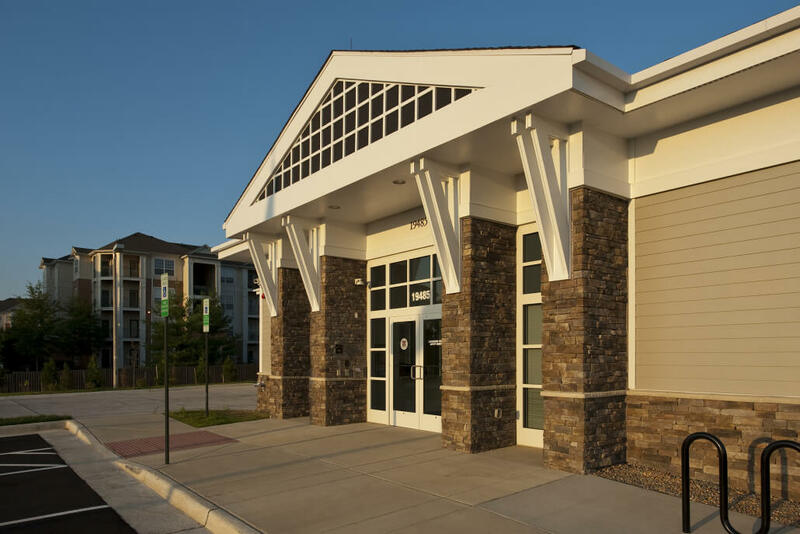 The building construction will be steel and load bearing masonry with EIFS and glass storefront exterior. 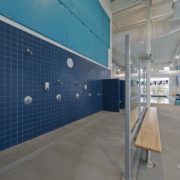 The building contains (3) swimming pools, a viewing room, party room, changing room with partition stalls, gang bathrooms and showers and a two level storage room. 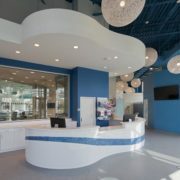 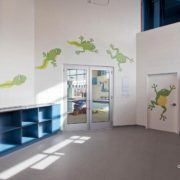 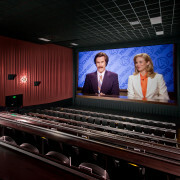 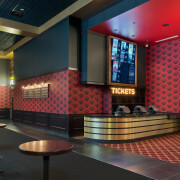 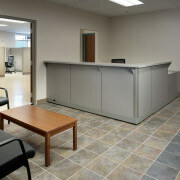 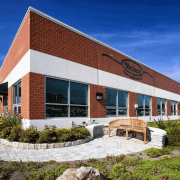 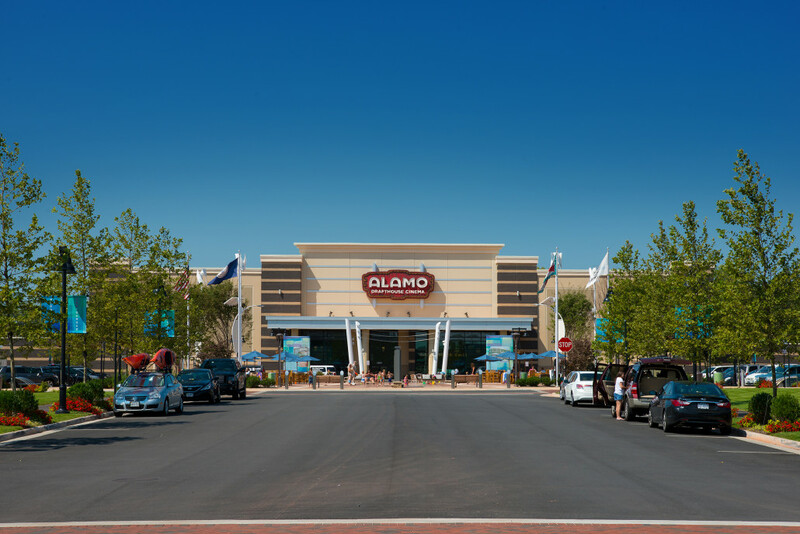 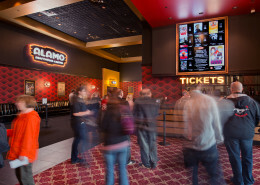 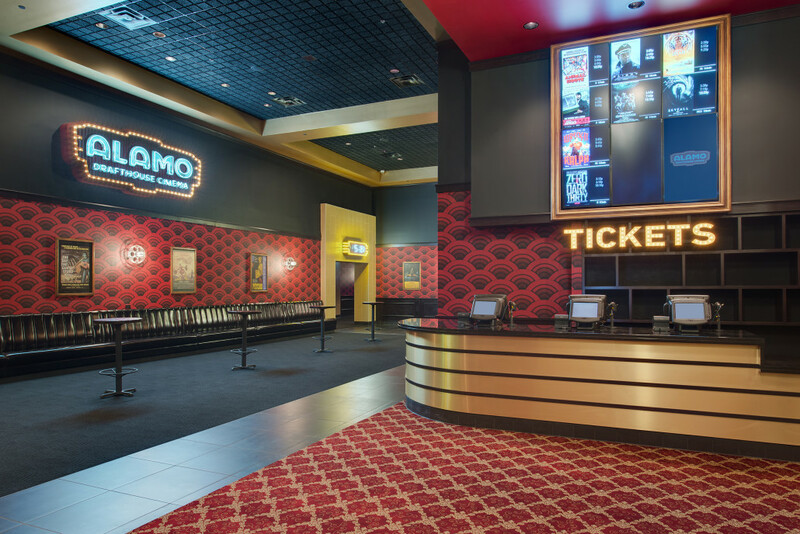 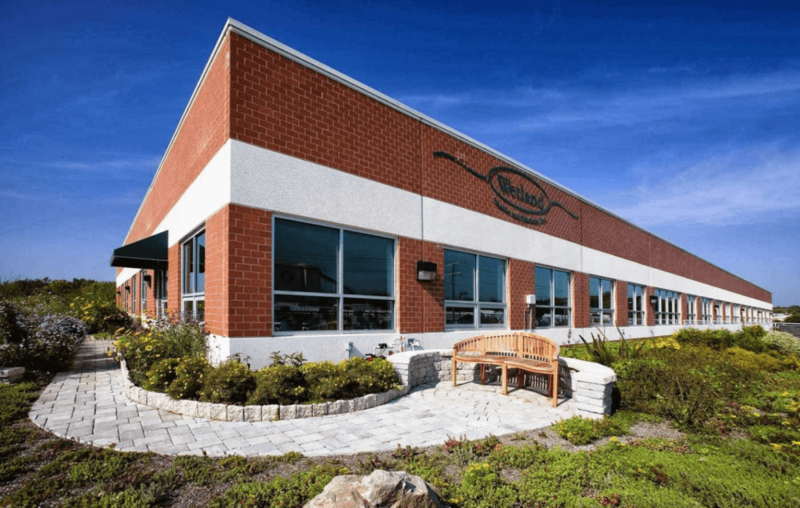 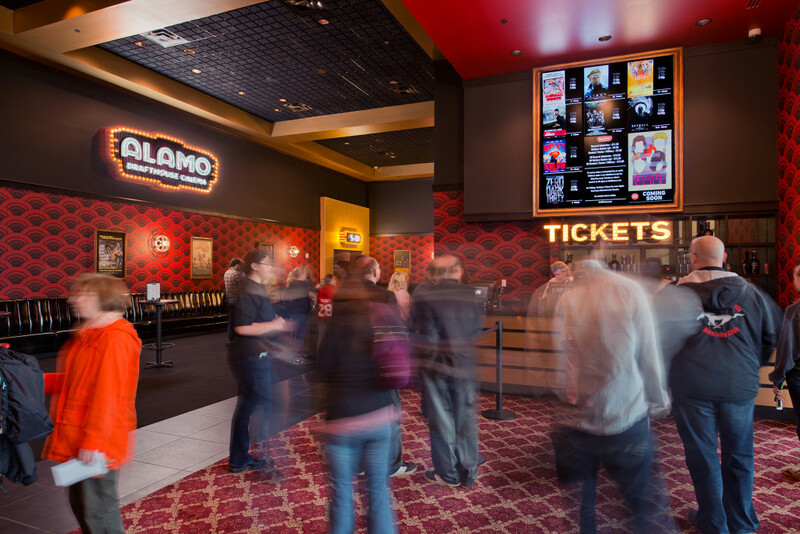 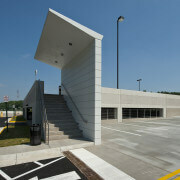 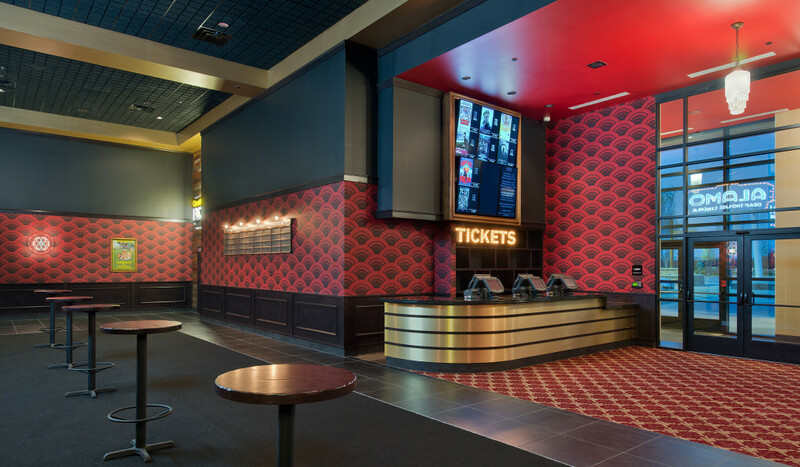 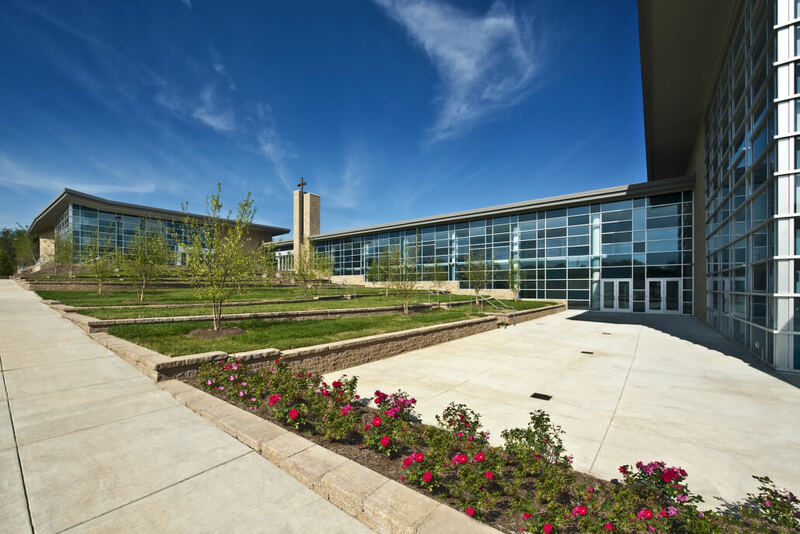 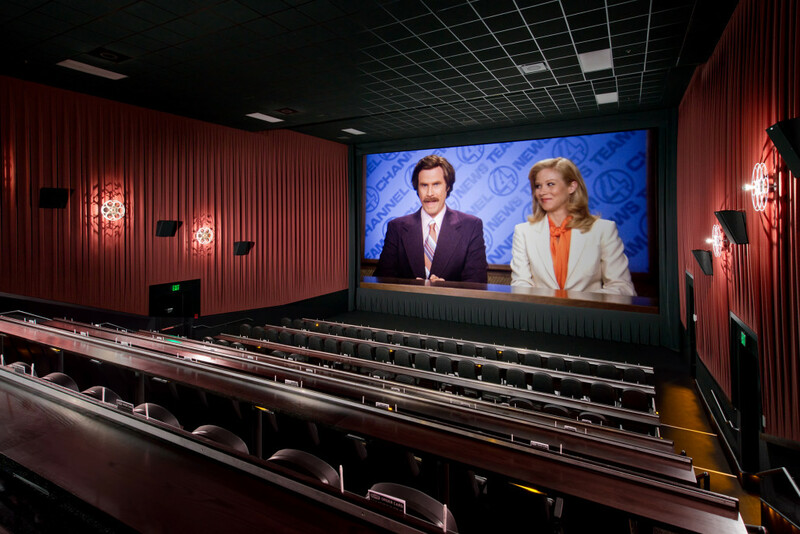 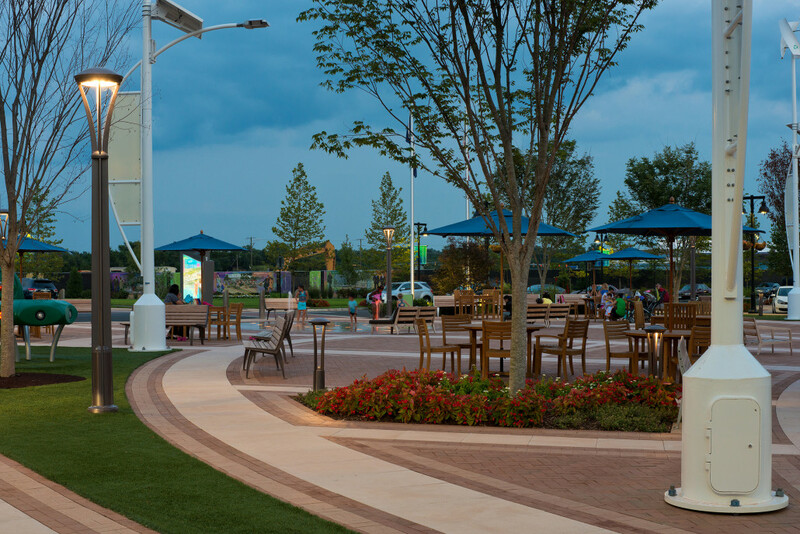 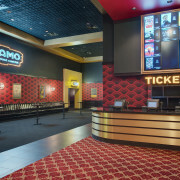 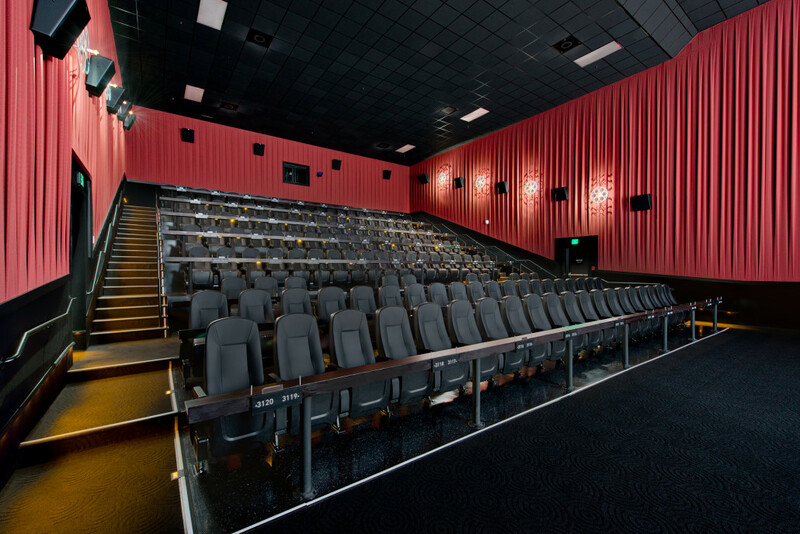 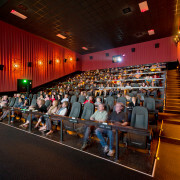 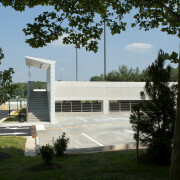 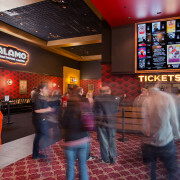 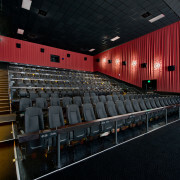 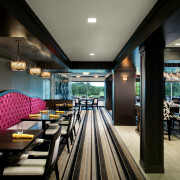 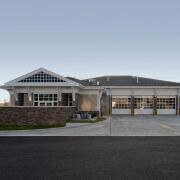 Owner: David Orr Associates, Inc.
Construction Manager: David Orr Associates, Inc. 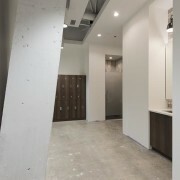 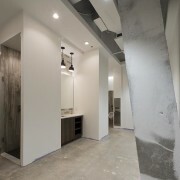 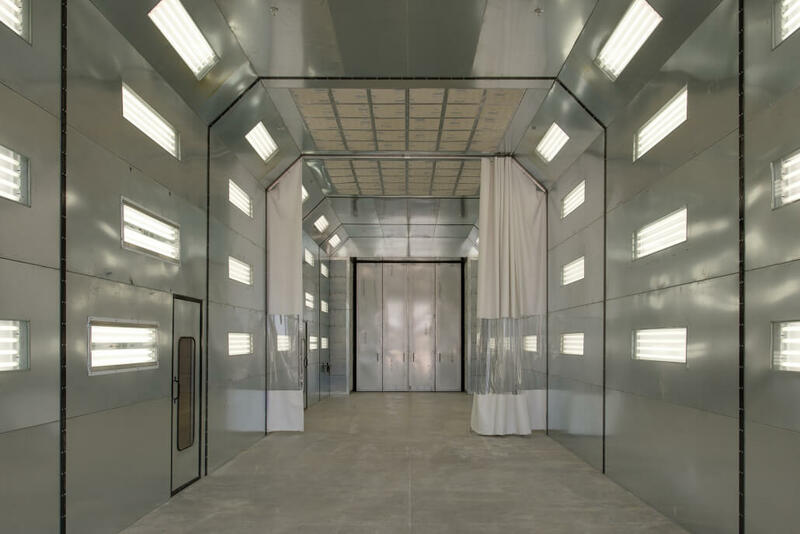 Description: High end interior fit-out including demolition, construction of a new demising wall, new interior finishes throughout, and Mechanical, Electrical and Plumbing work. 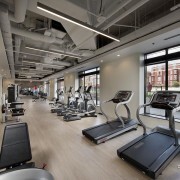 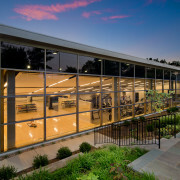 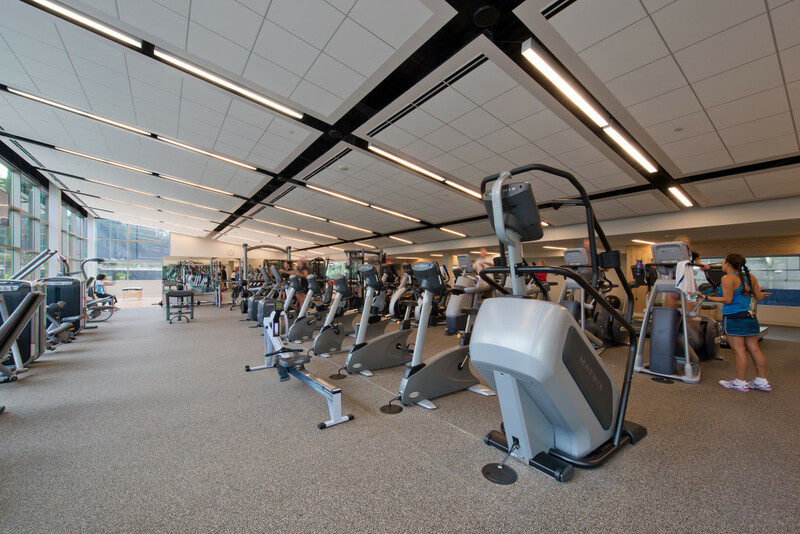 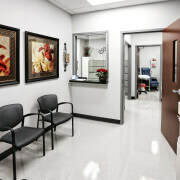 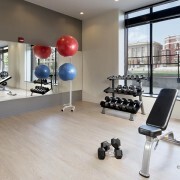 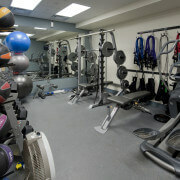 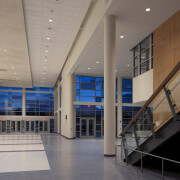 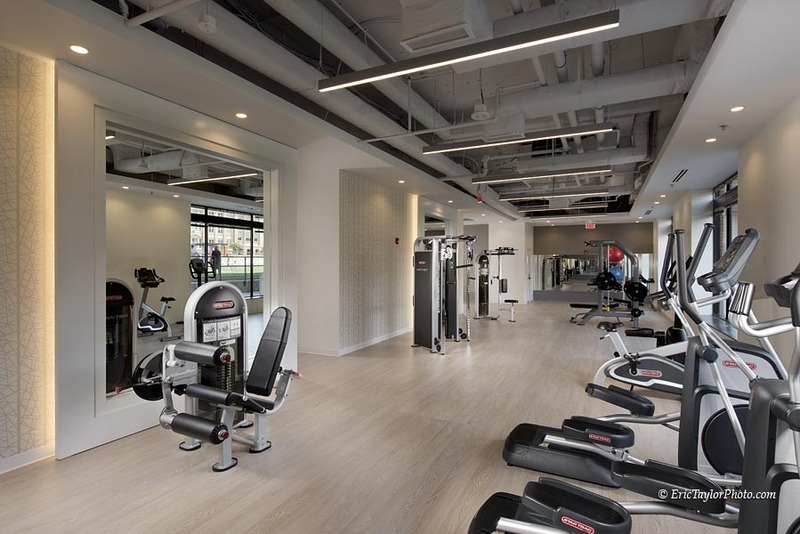 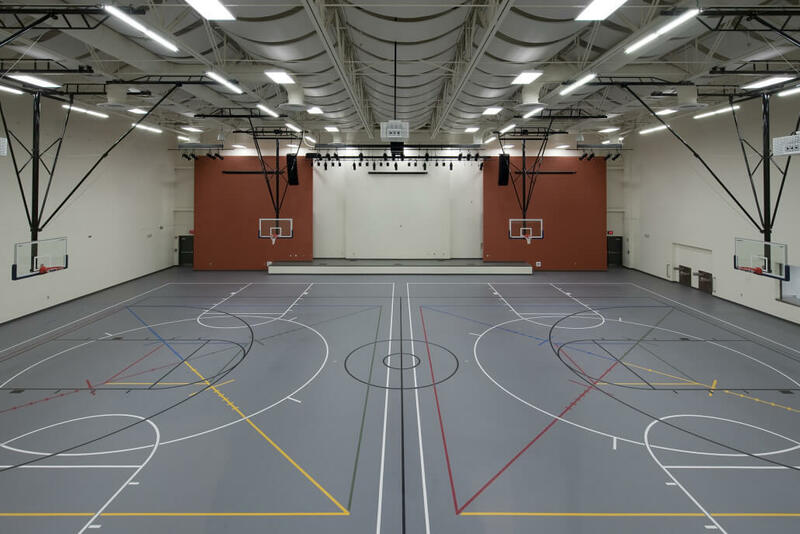 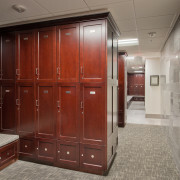 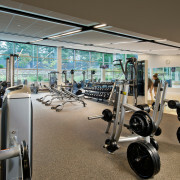 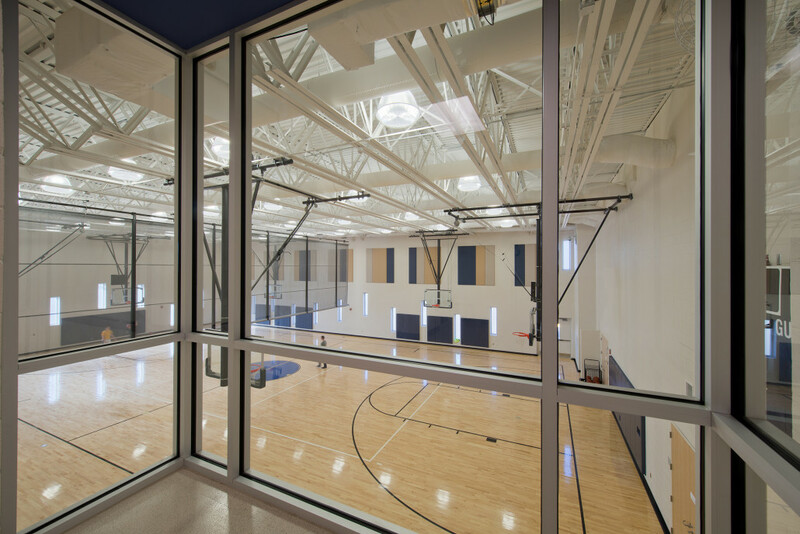 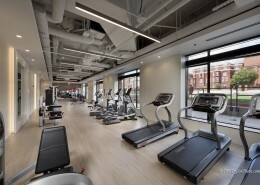 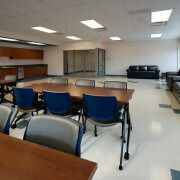 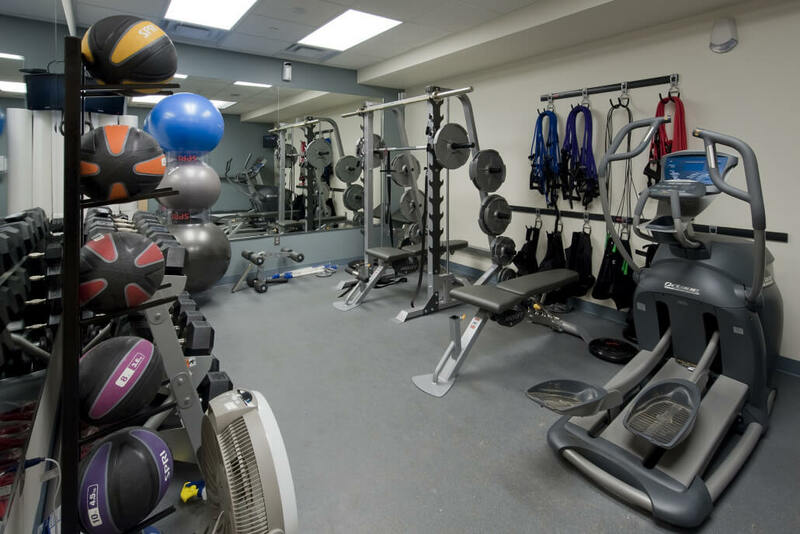 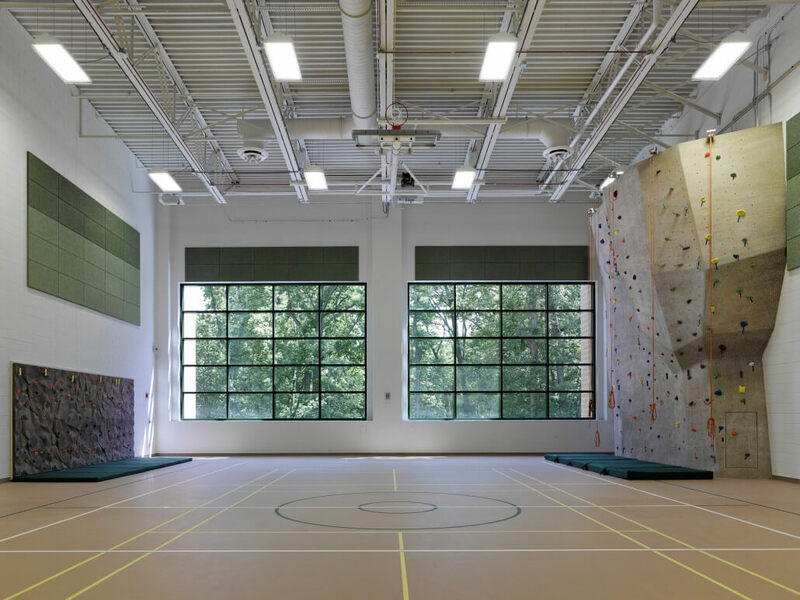 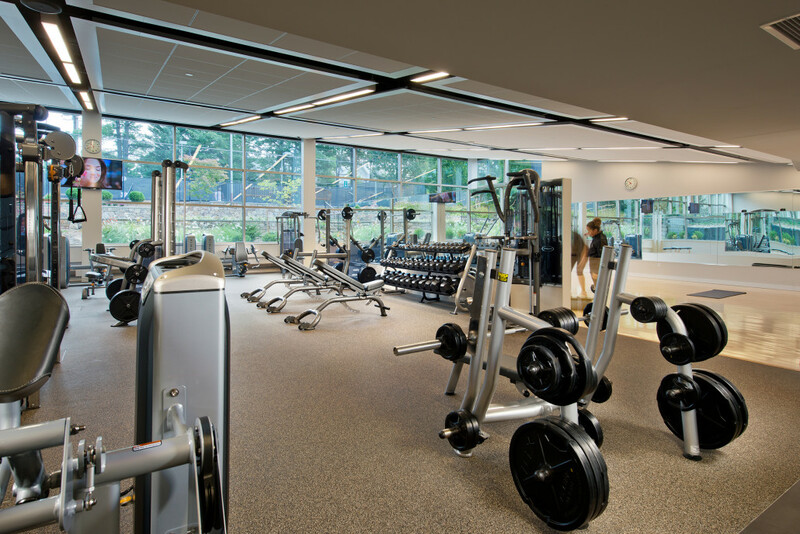 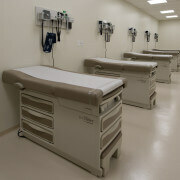 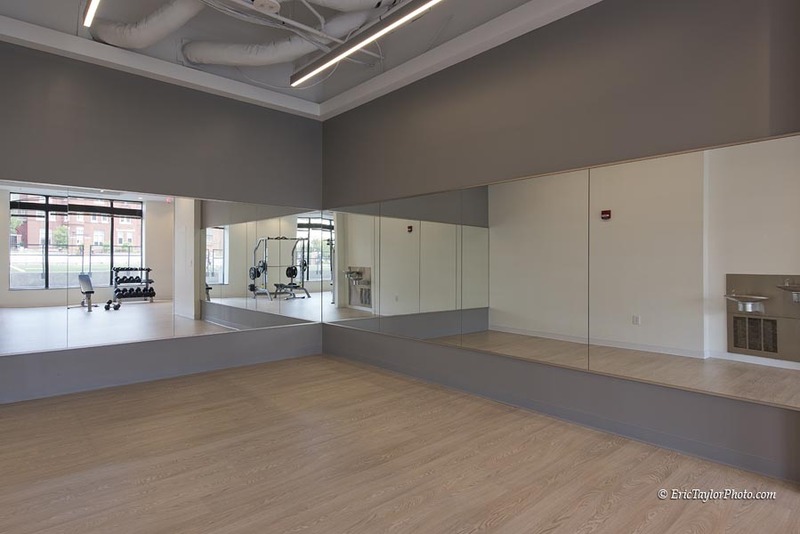 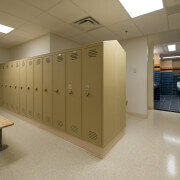 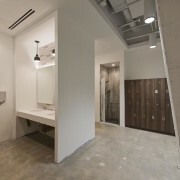 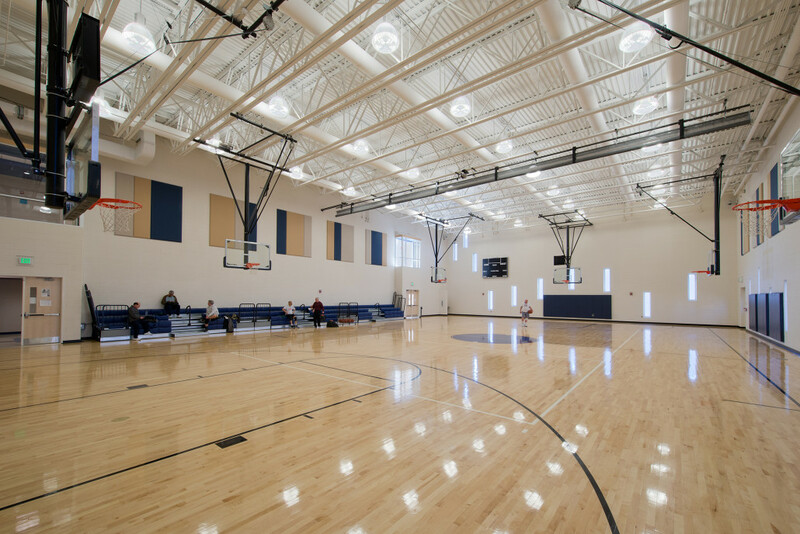 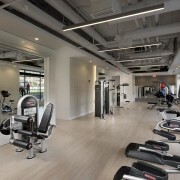 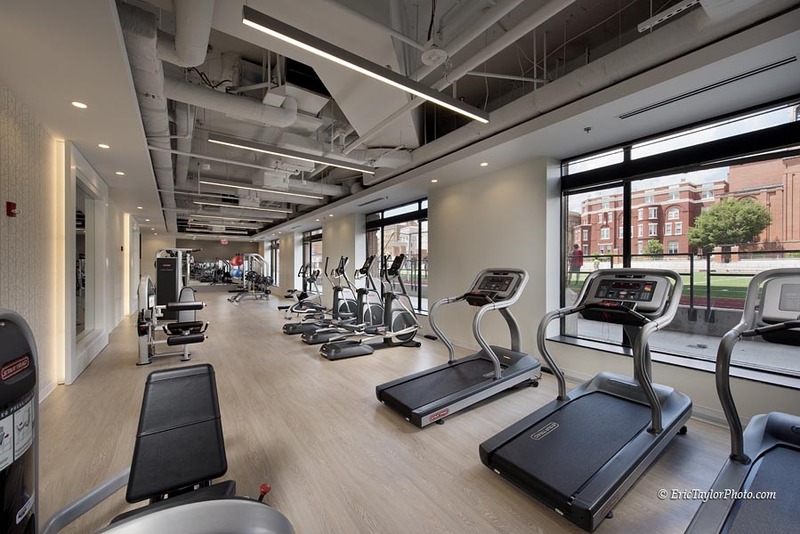 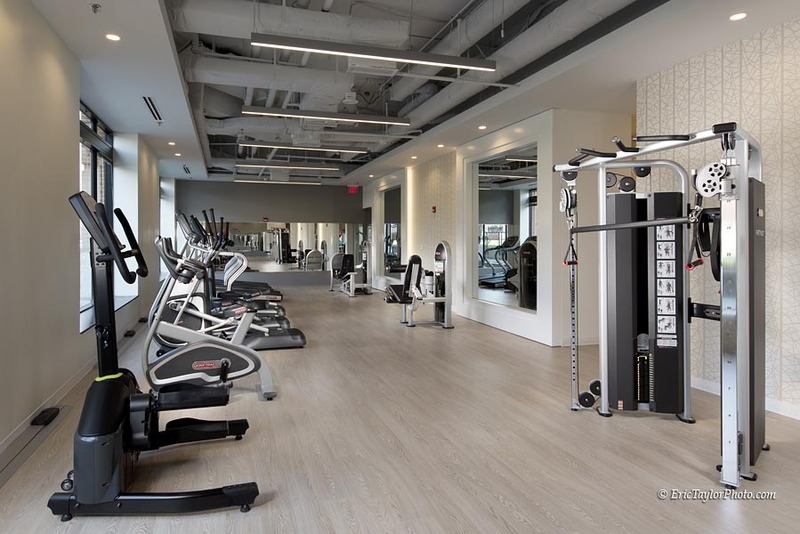 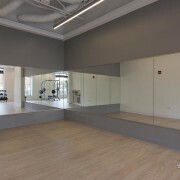 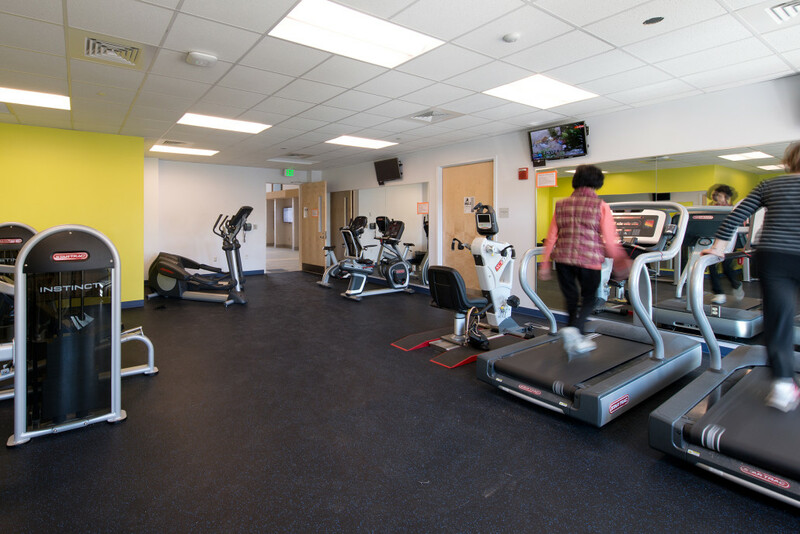 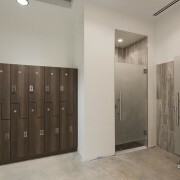 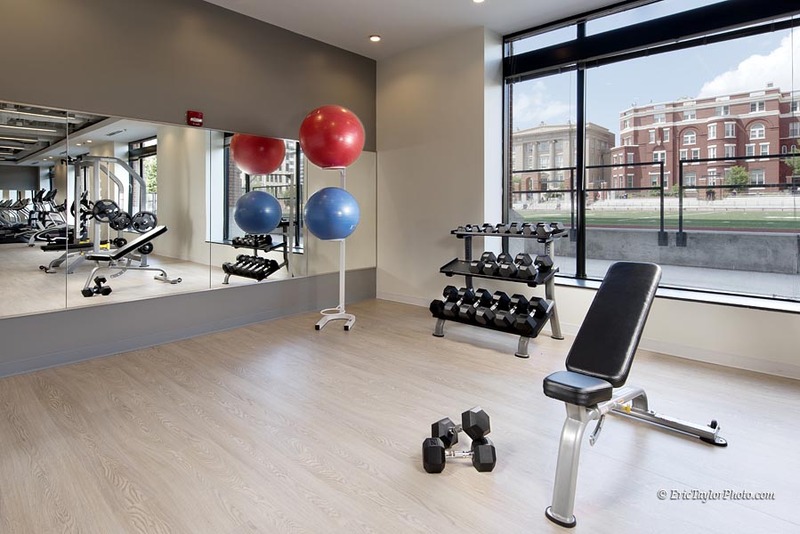 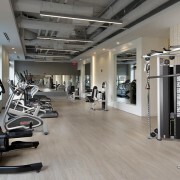 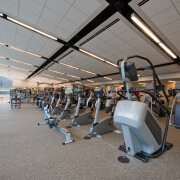 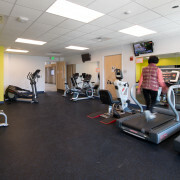 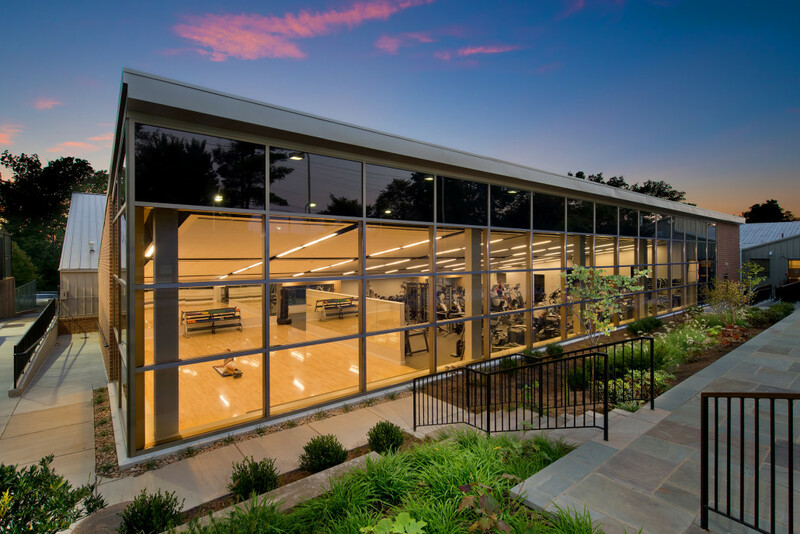 Description: Interior renovation of fitness center, including gym and locker rooms, and new MEP systems throughout. 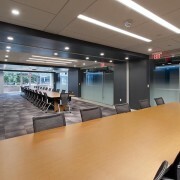 Description: Interior renovation of conference center, including offices, conference room, and game room. 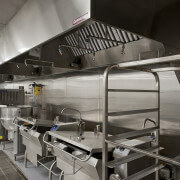 New MEP systems throughout. 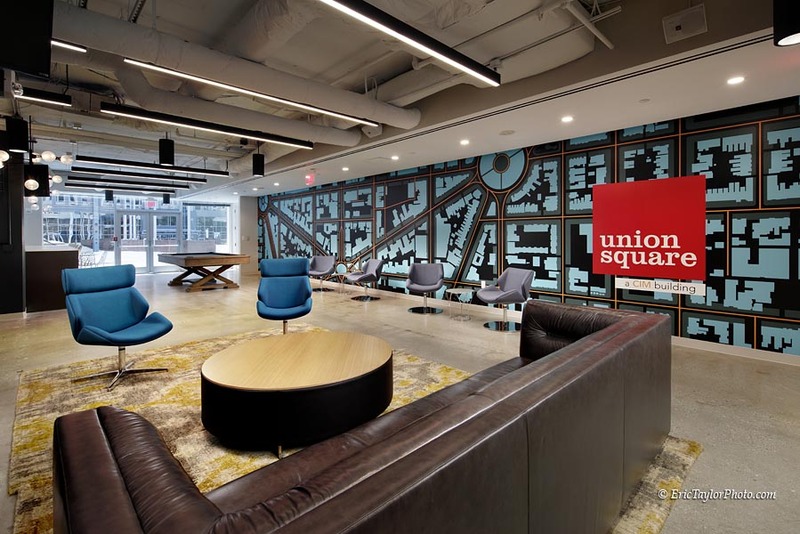 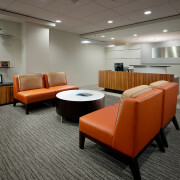 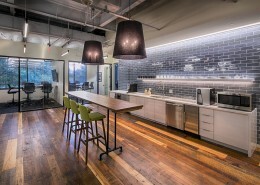 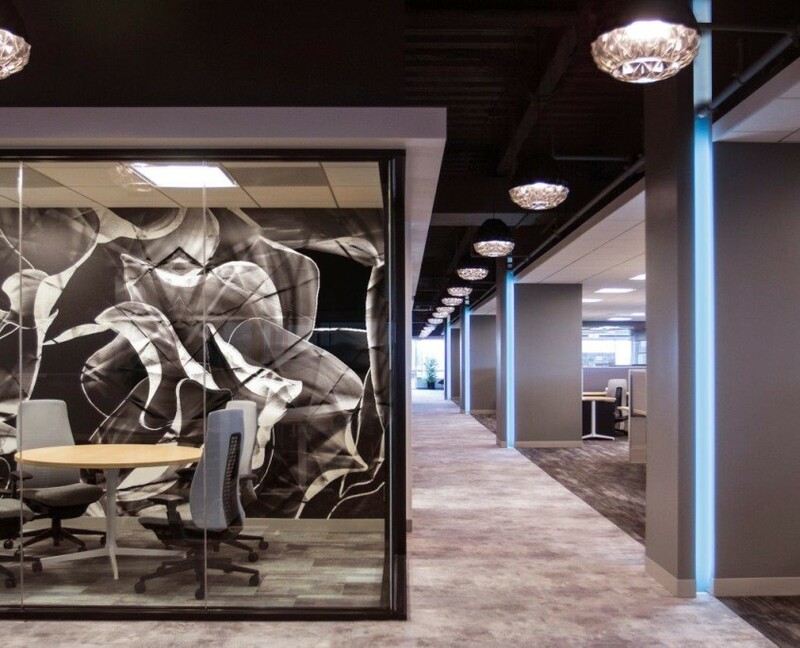 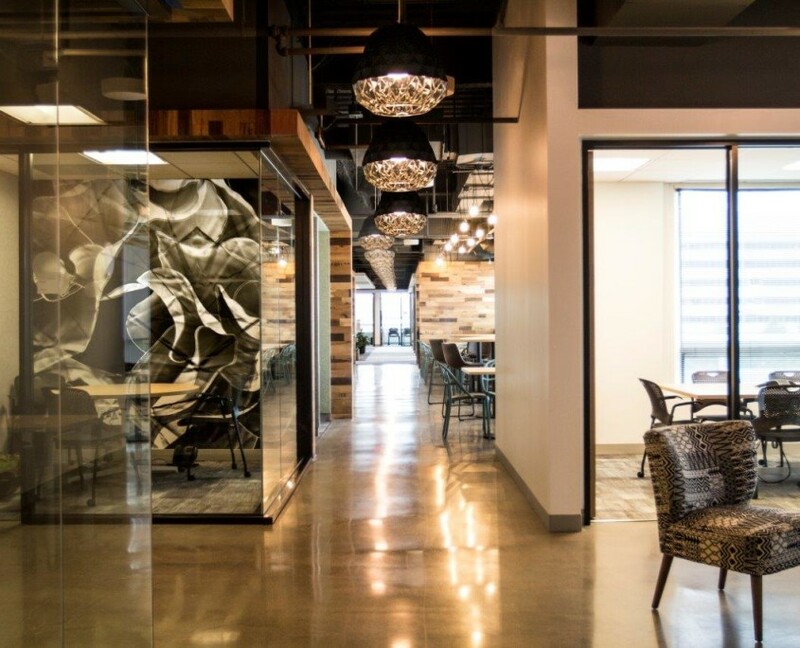 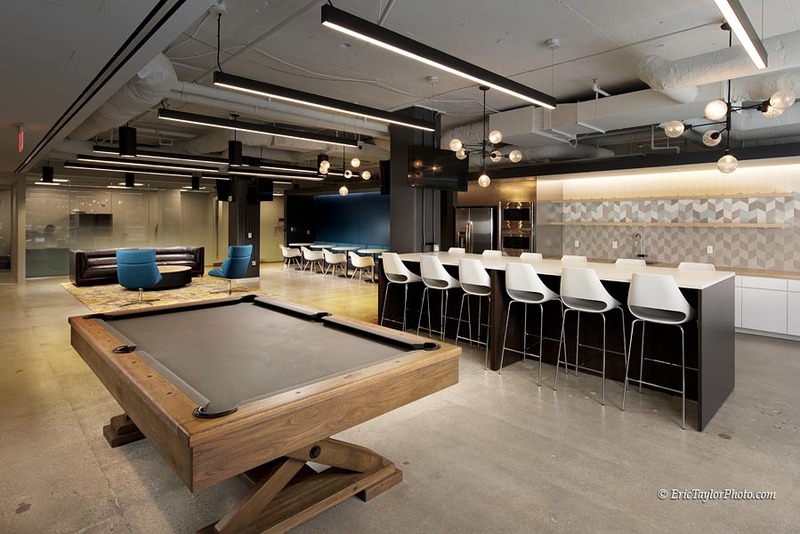 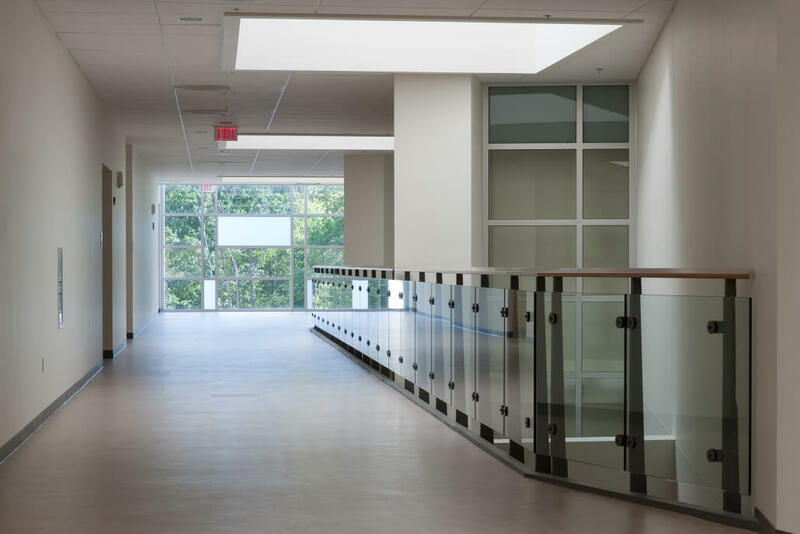 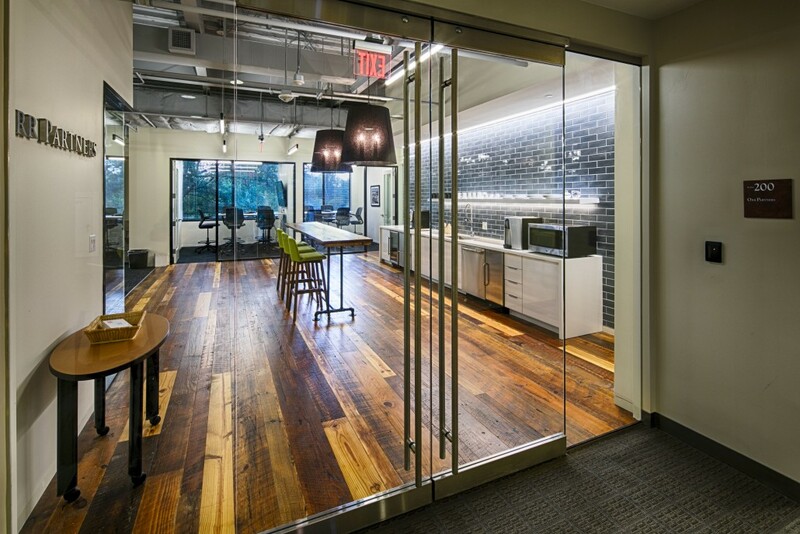 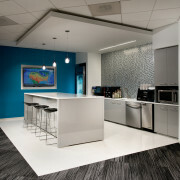 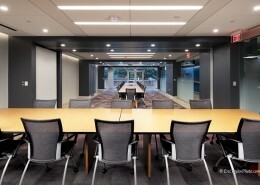 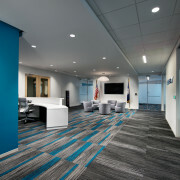 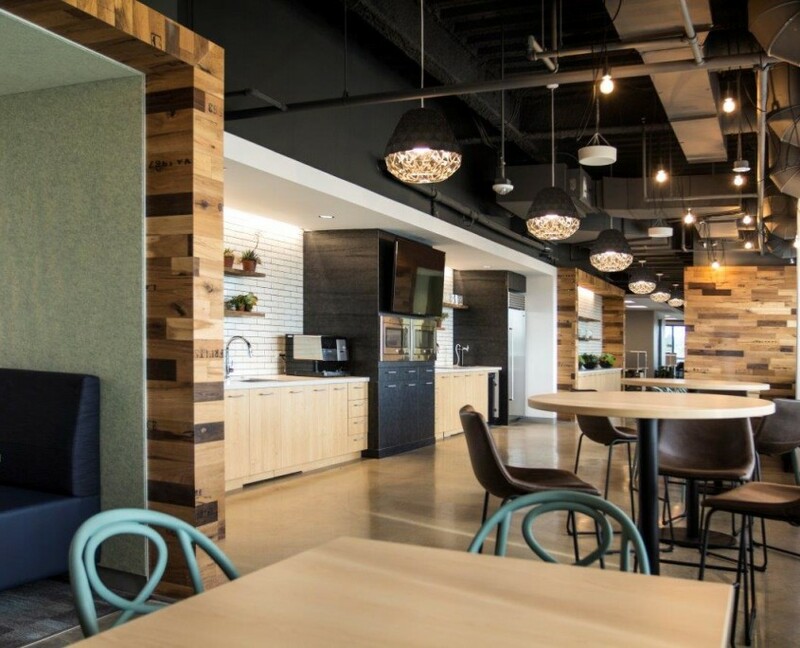 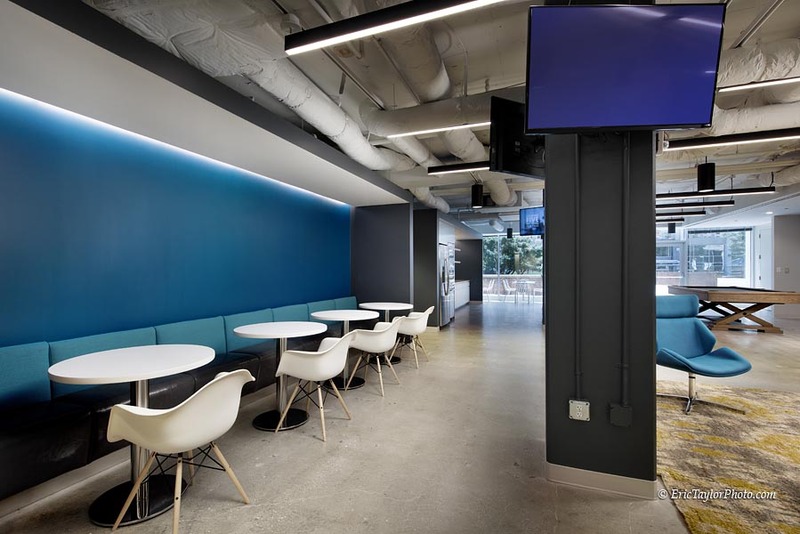 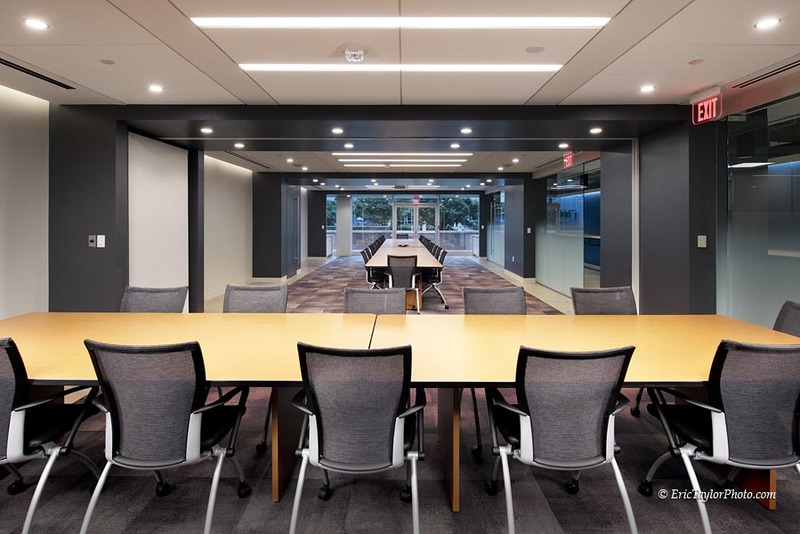 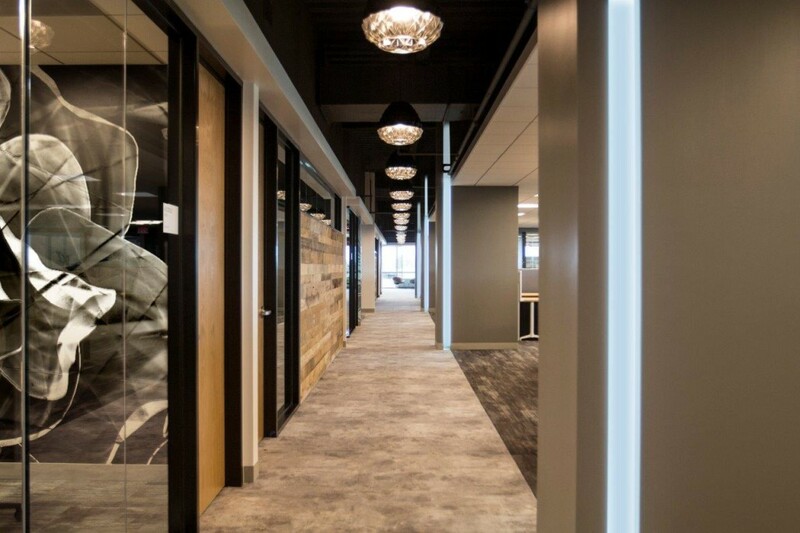 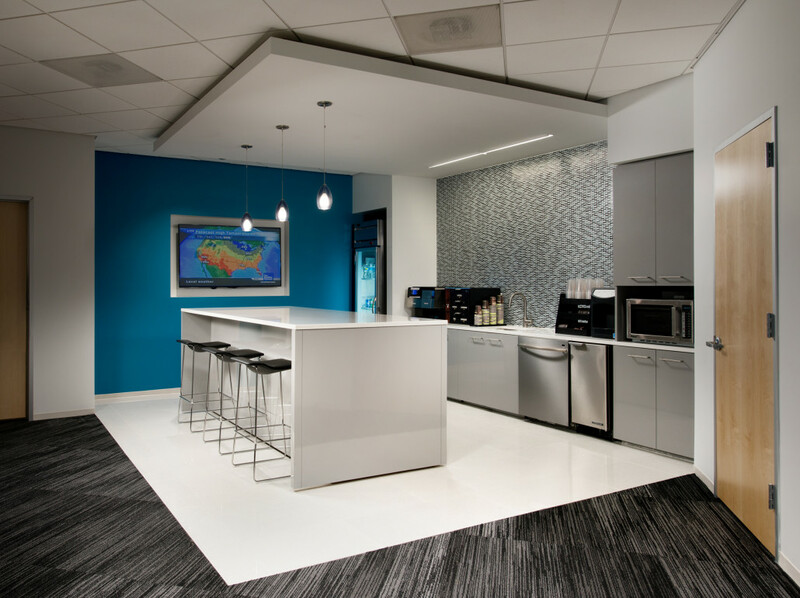 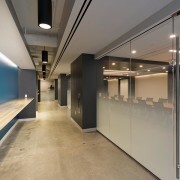 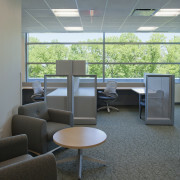 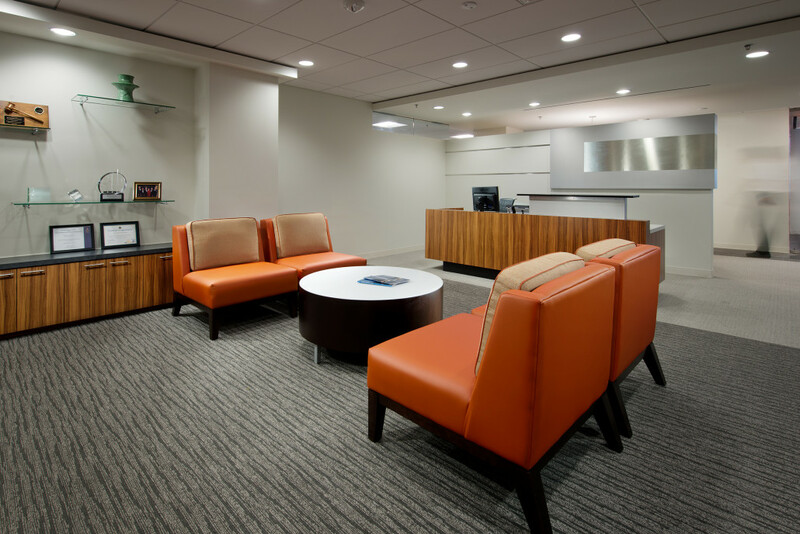 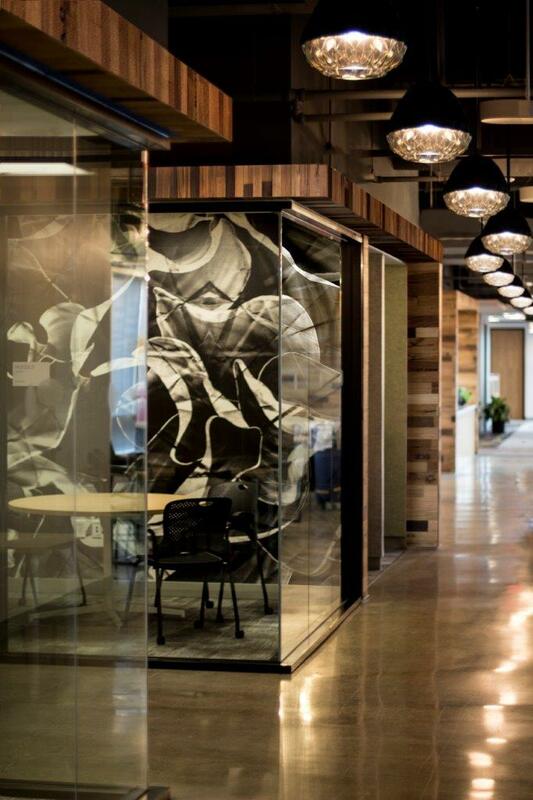 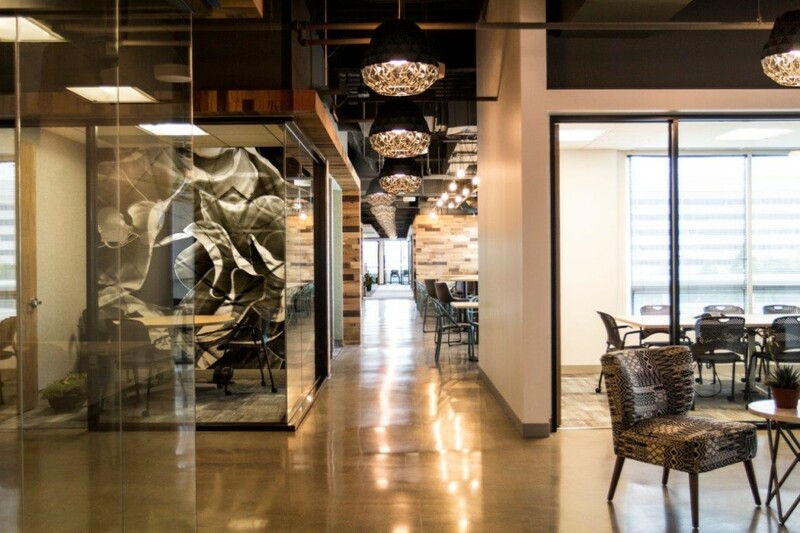 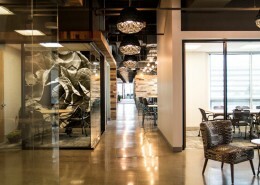 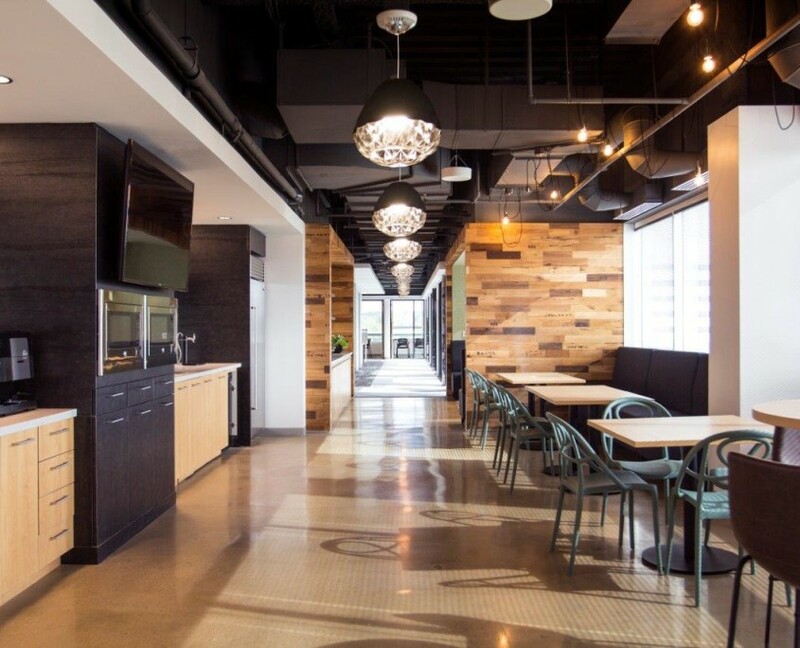 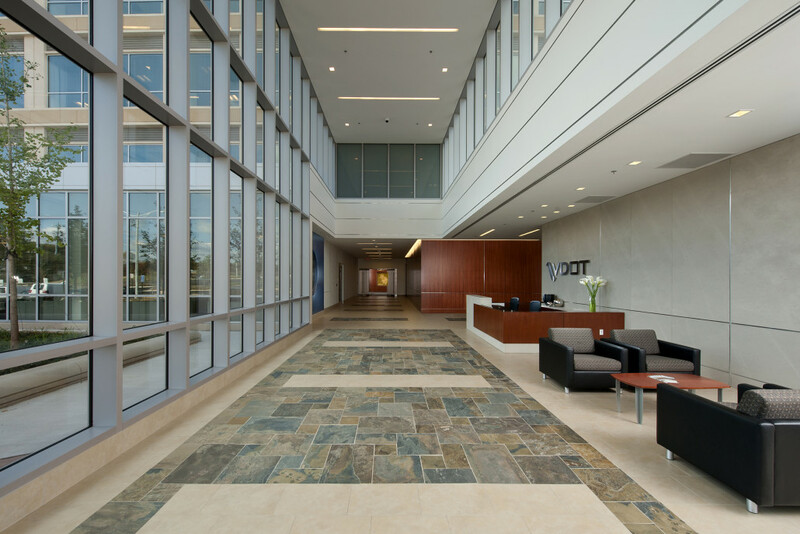 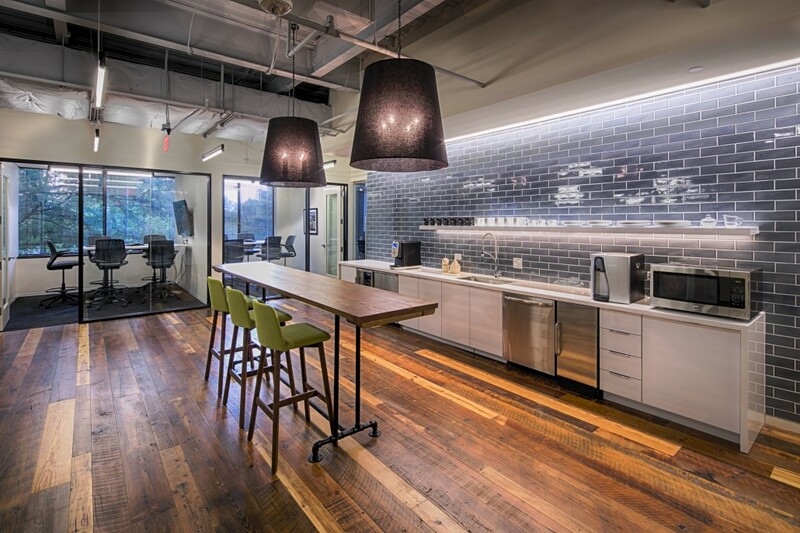 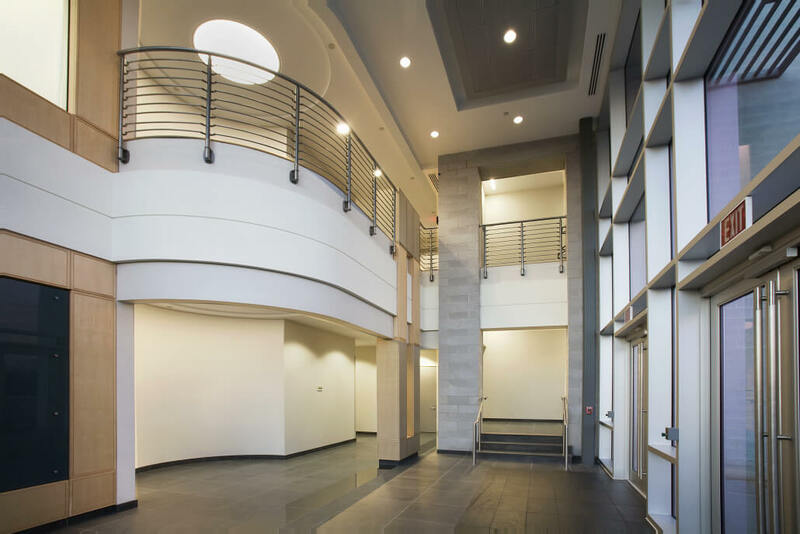 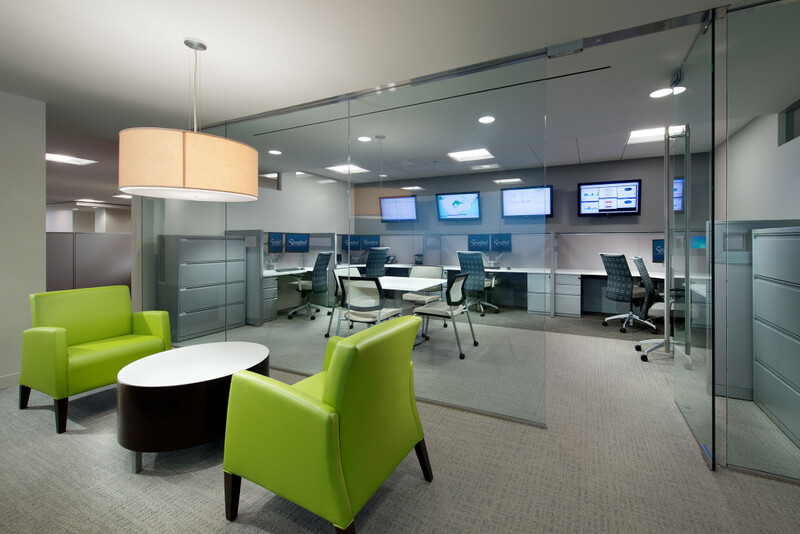 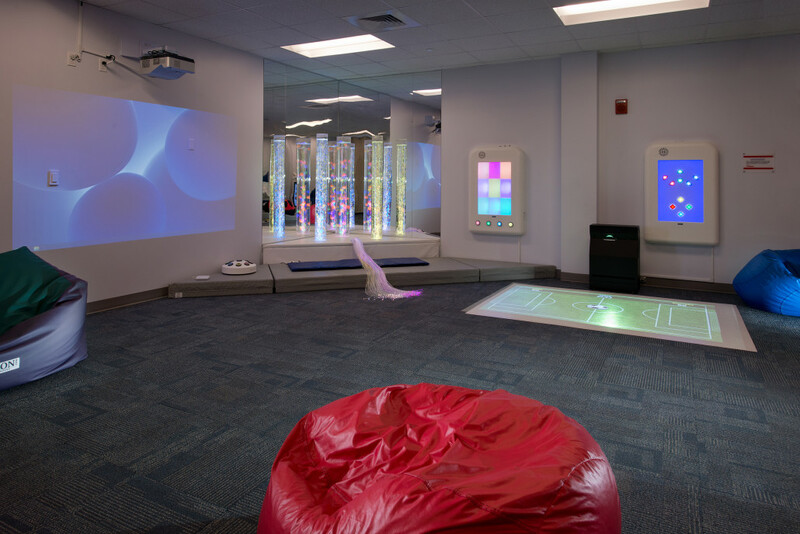 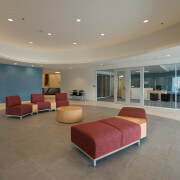 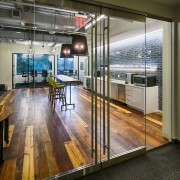 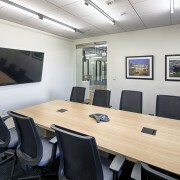 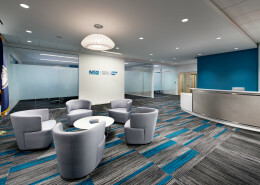 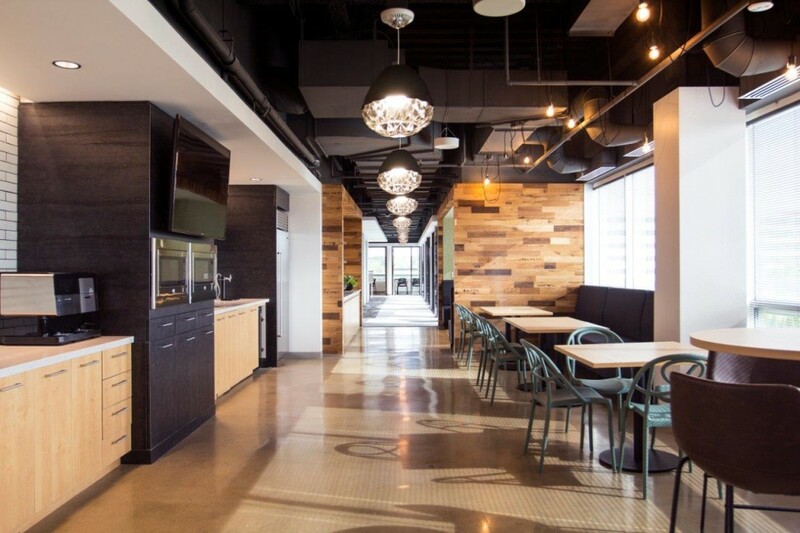 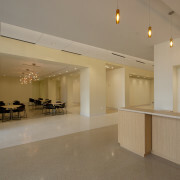 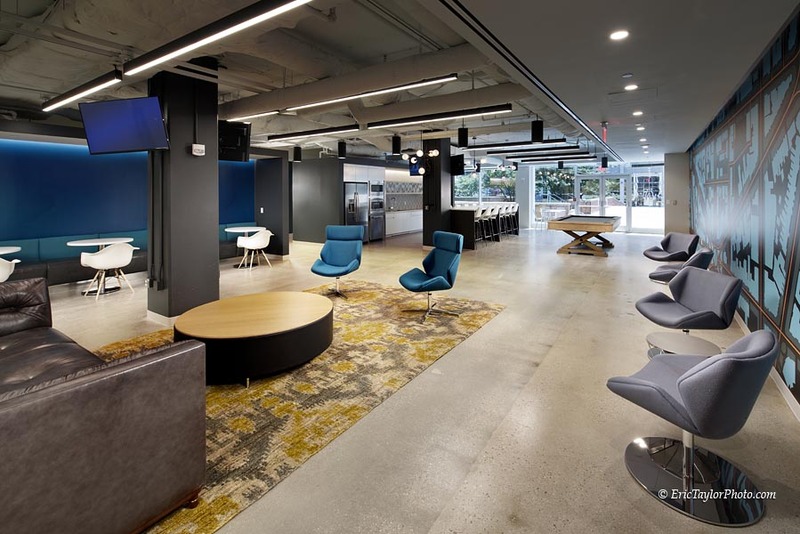 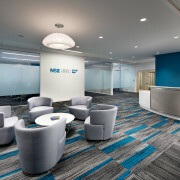 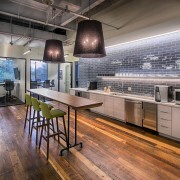 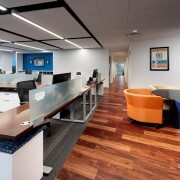 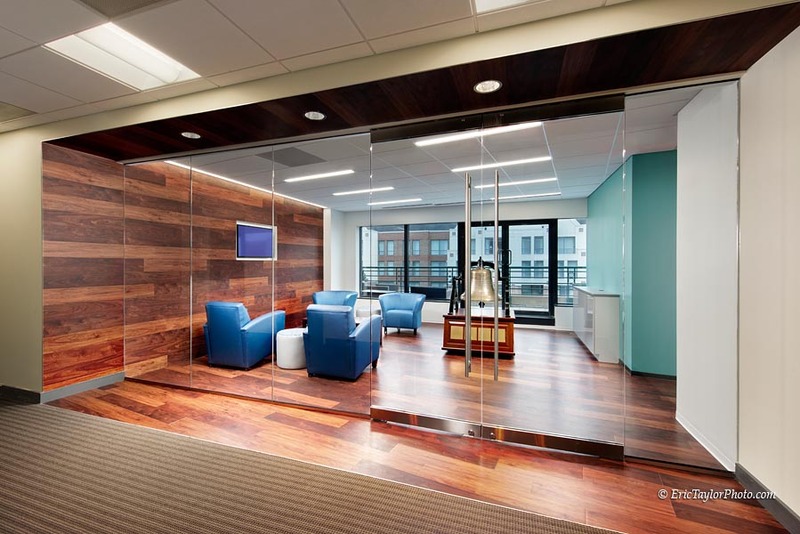 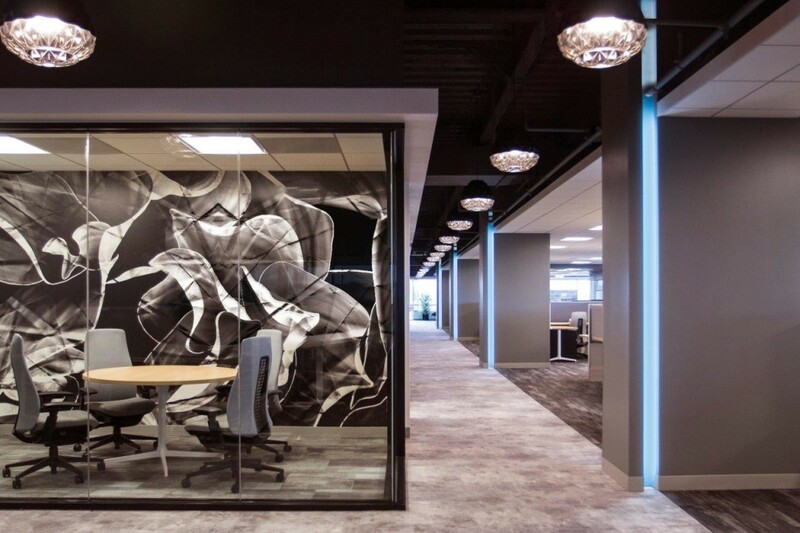 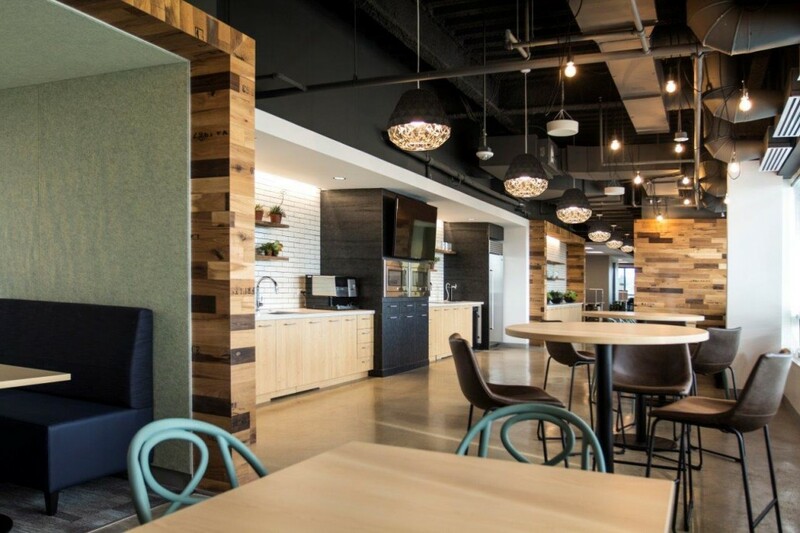 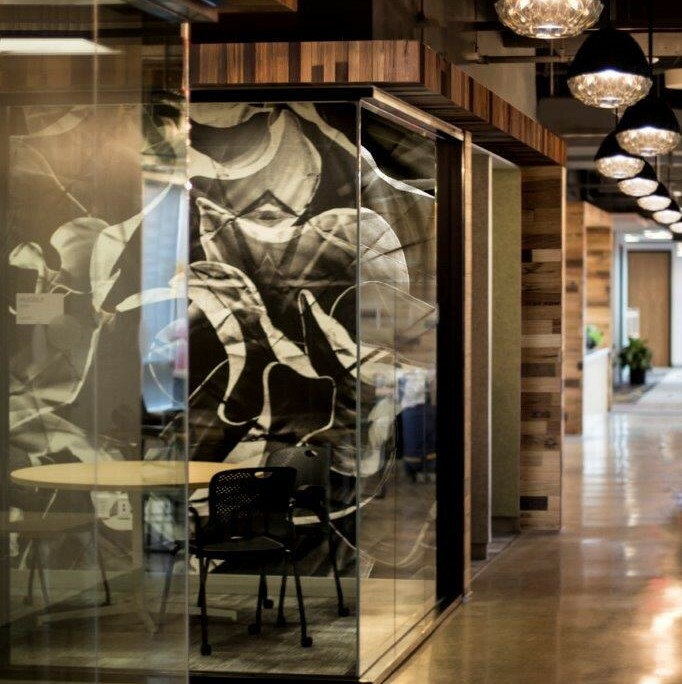 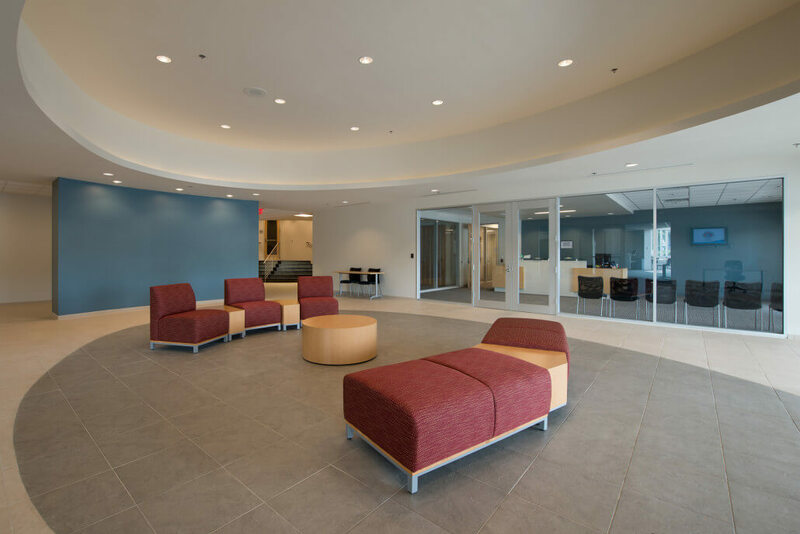 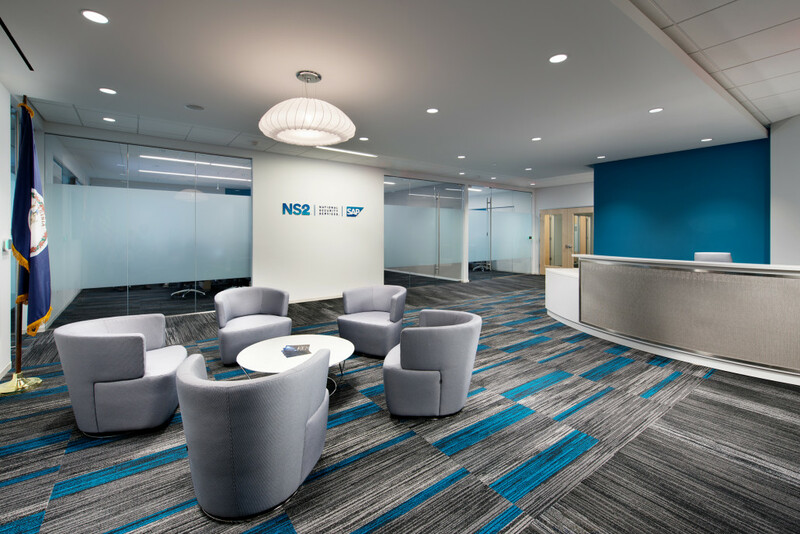 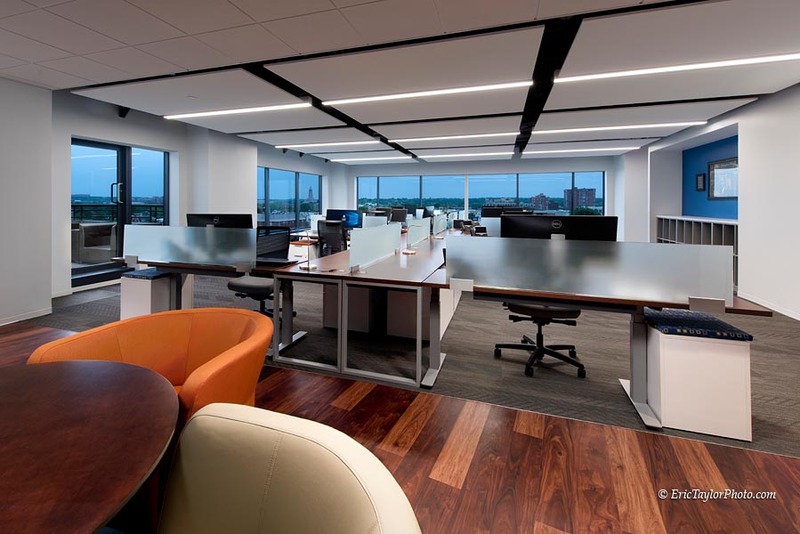 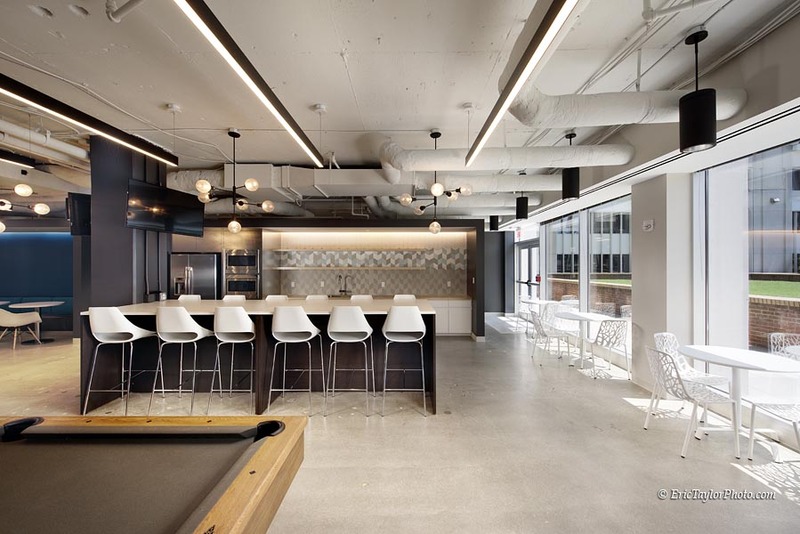 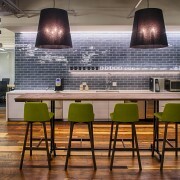 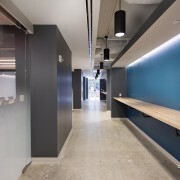 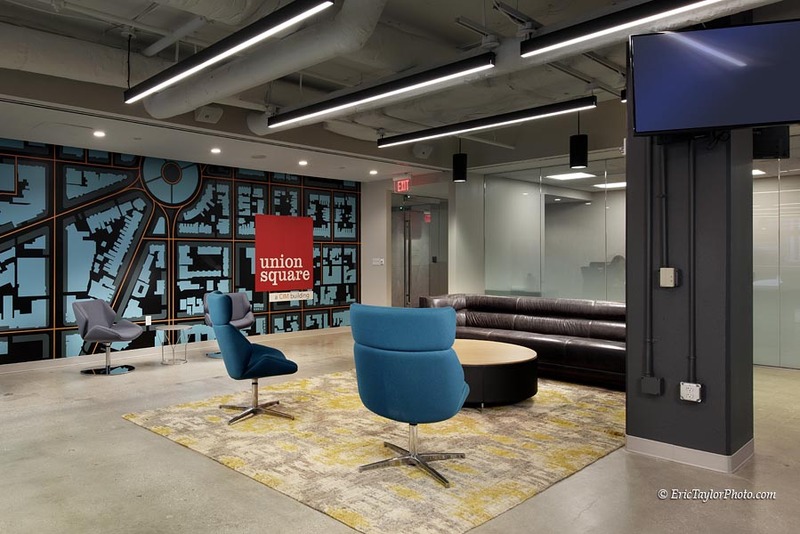 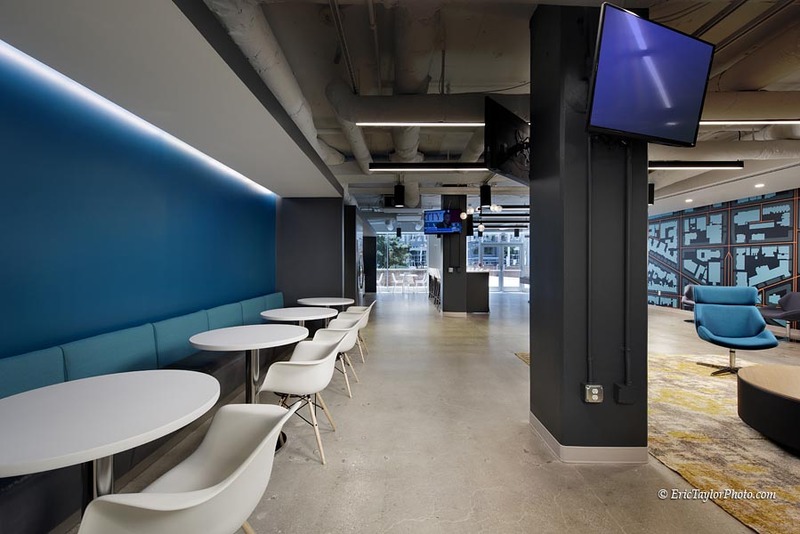 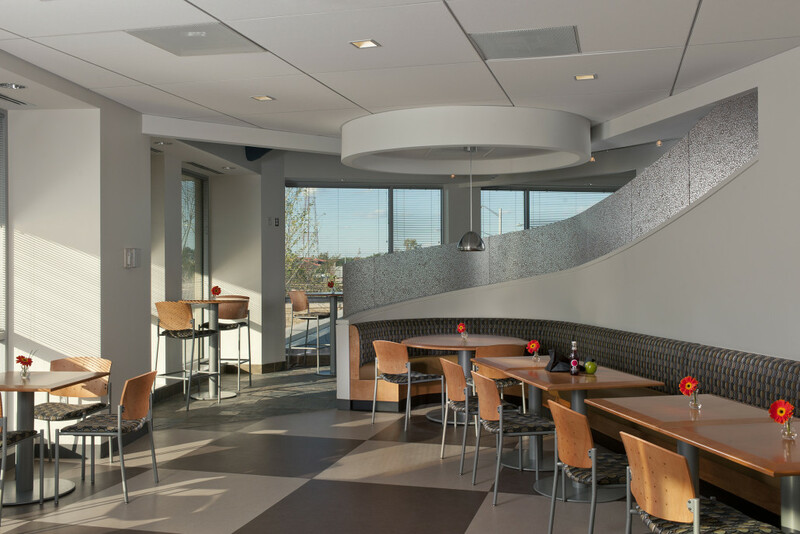 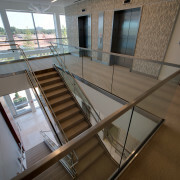 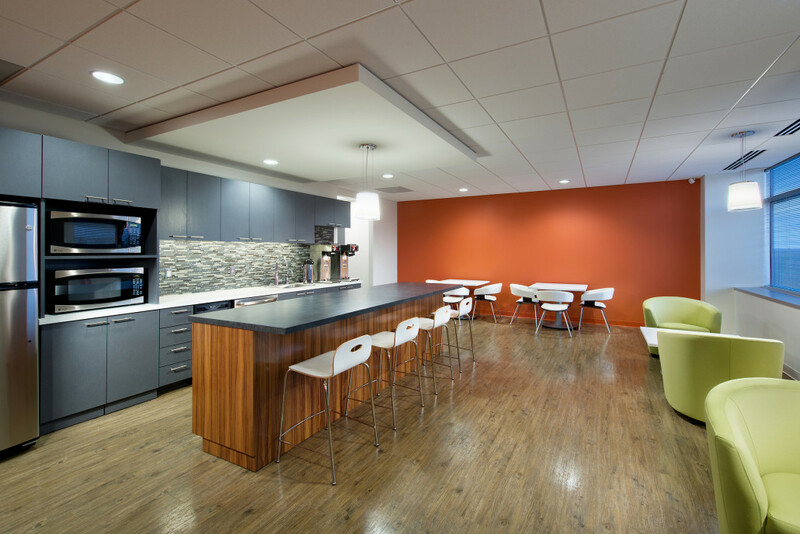 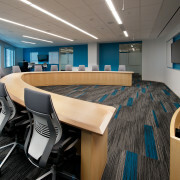 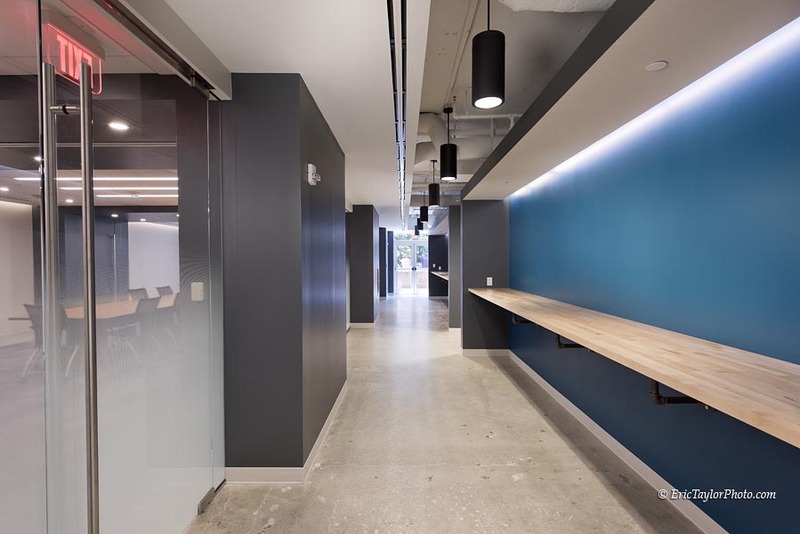 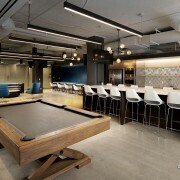 Description: High-end corporate interior office renovation across three levels of AOL’s Steve Case Center on their Sterling, Virginia campus. 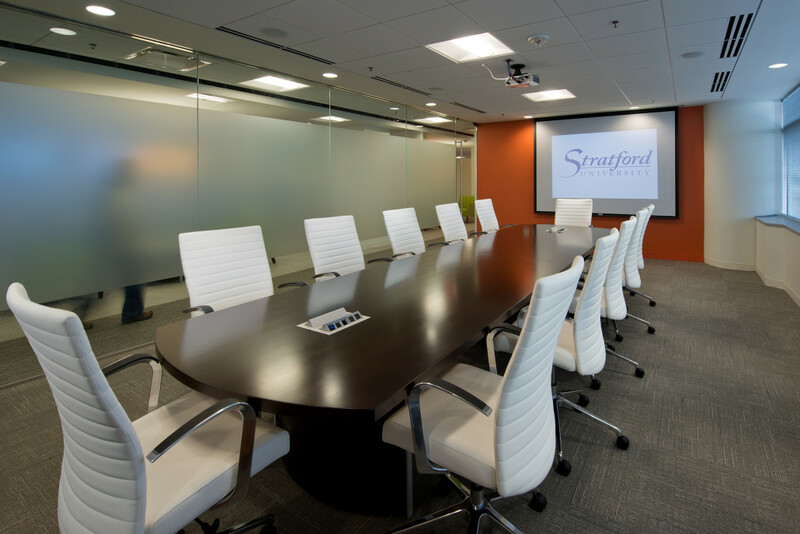 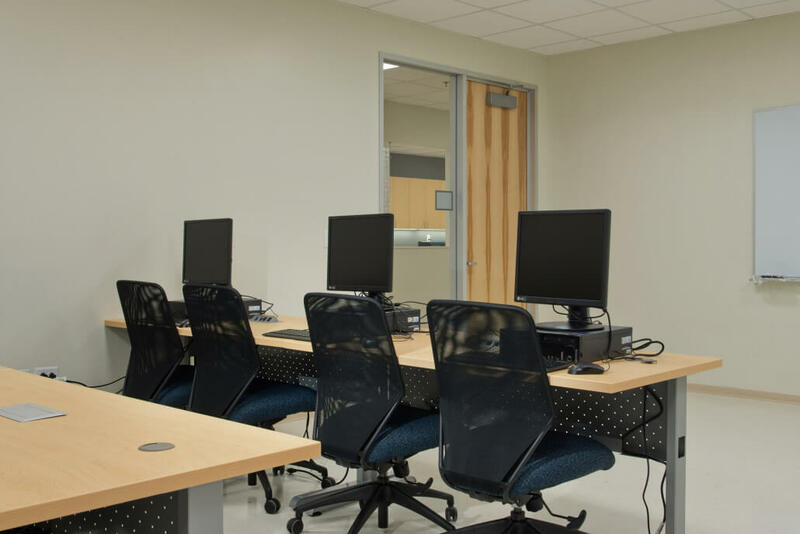 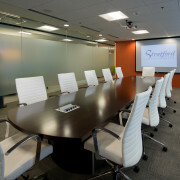 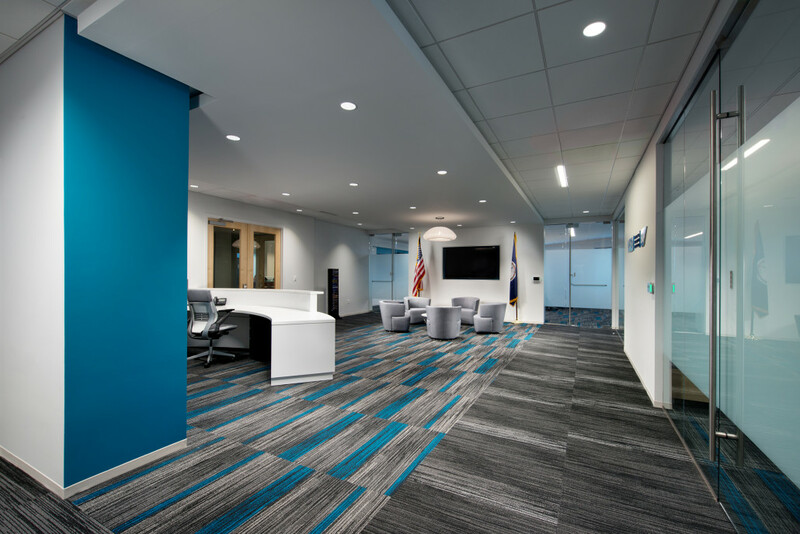 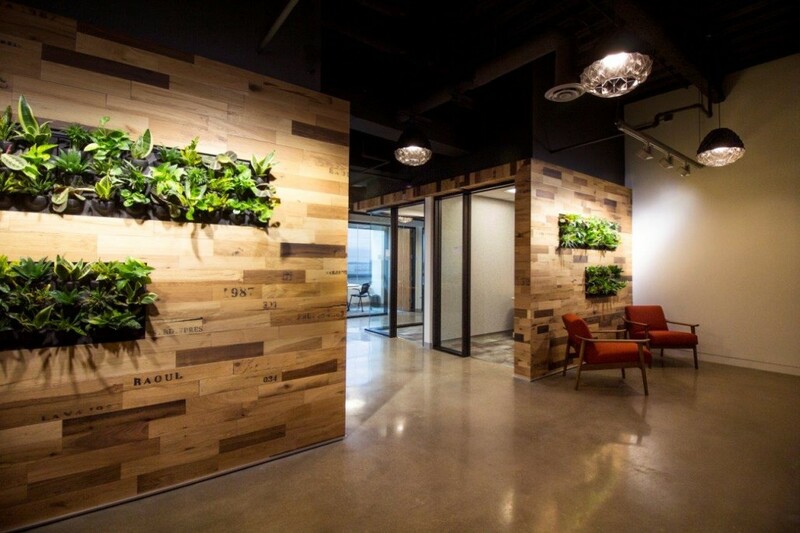 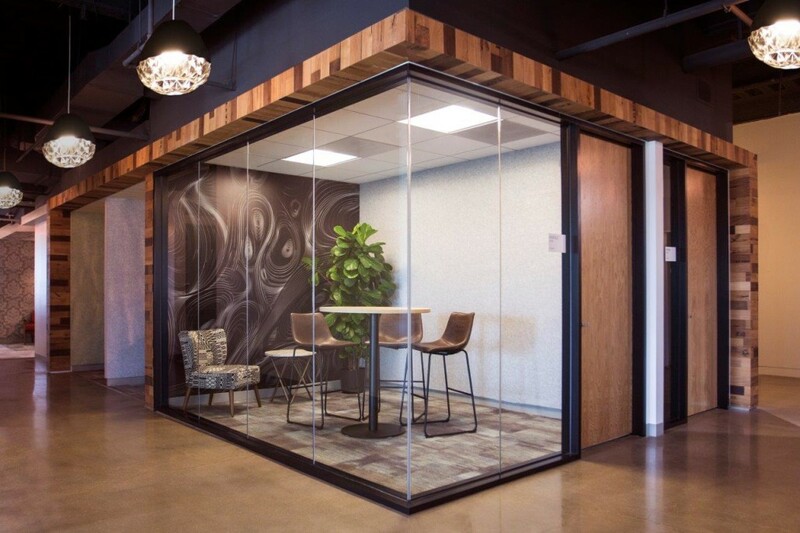 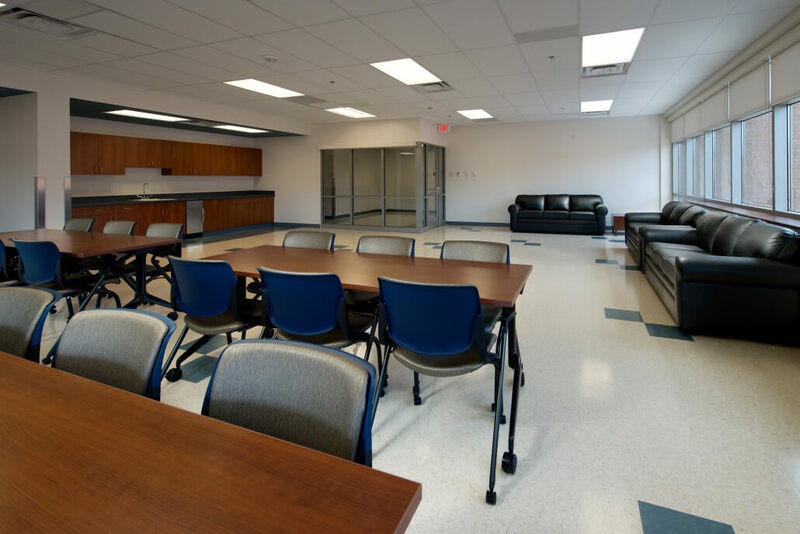 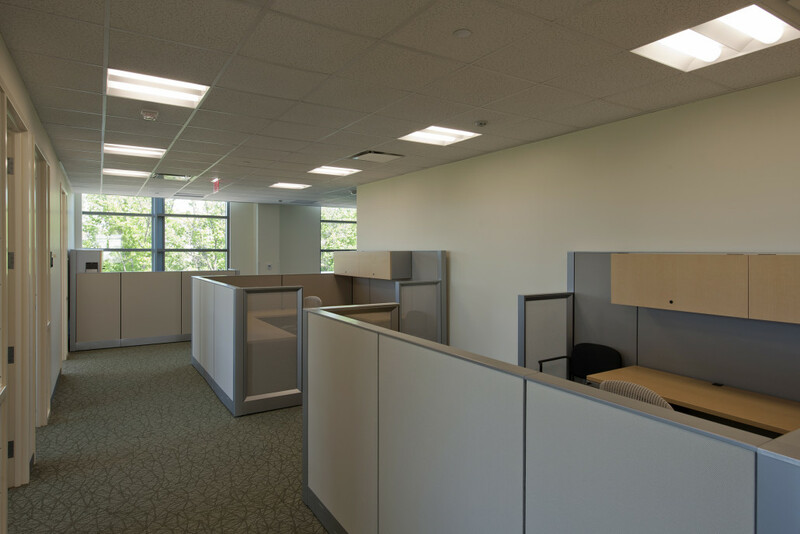 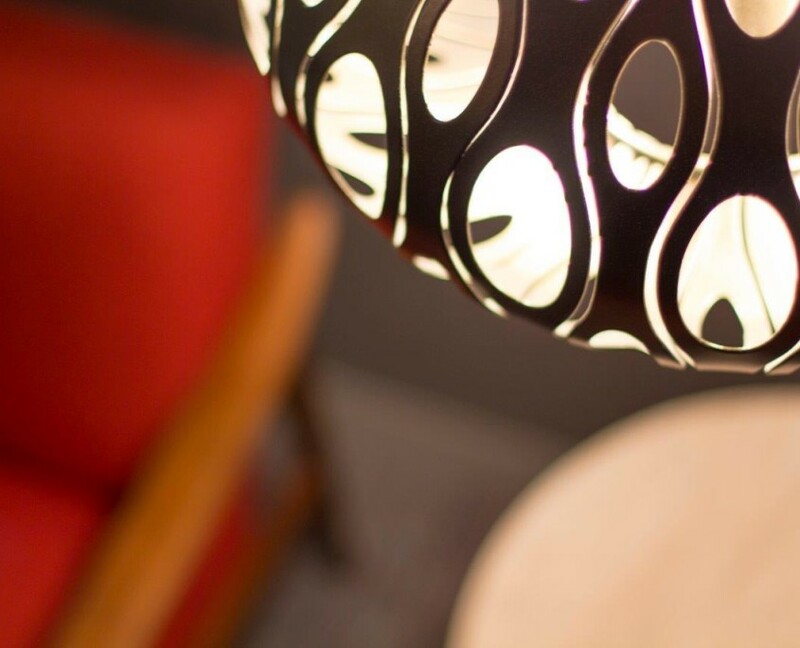 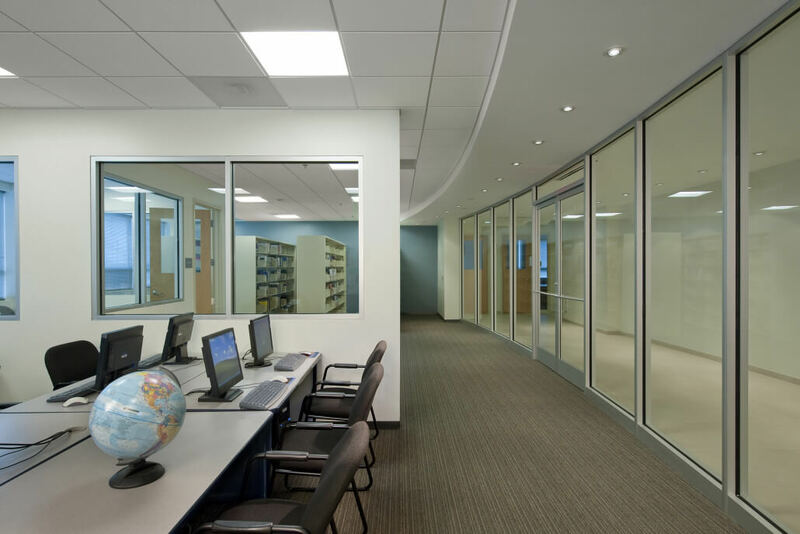 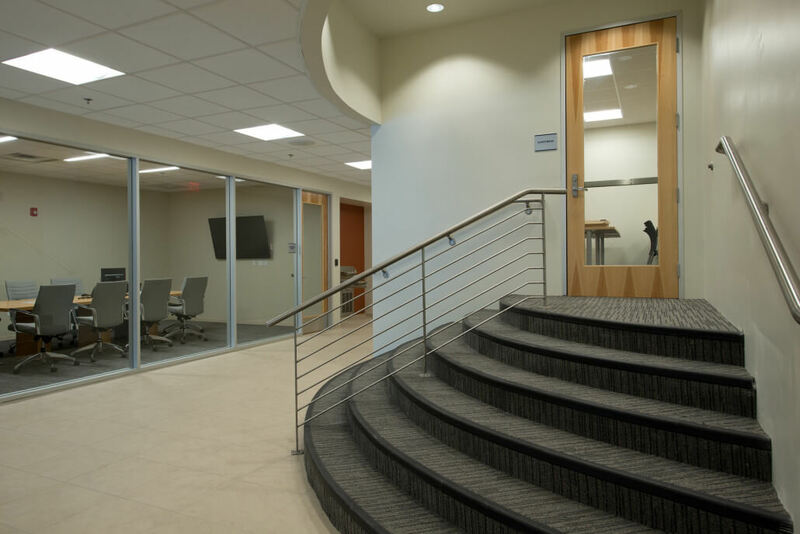 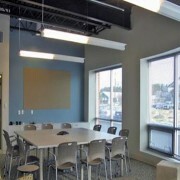 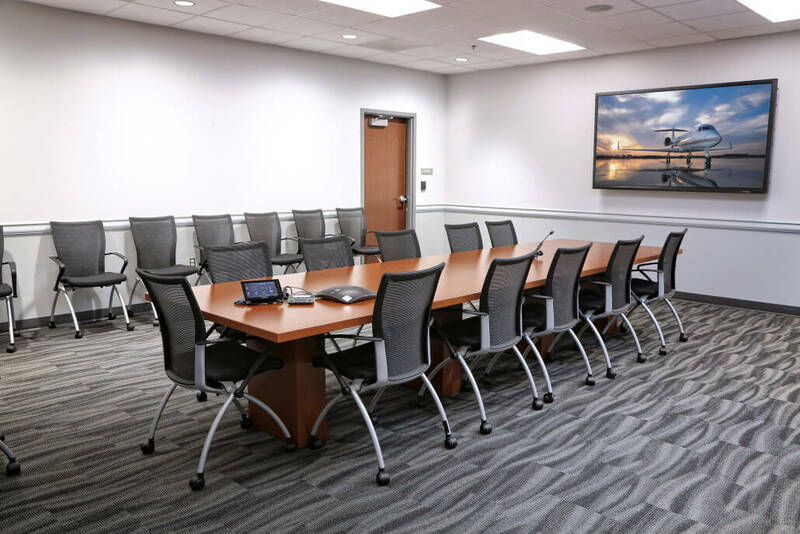 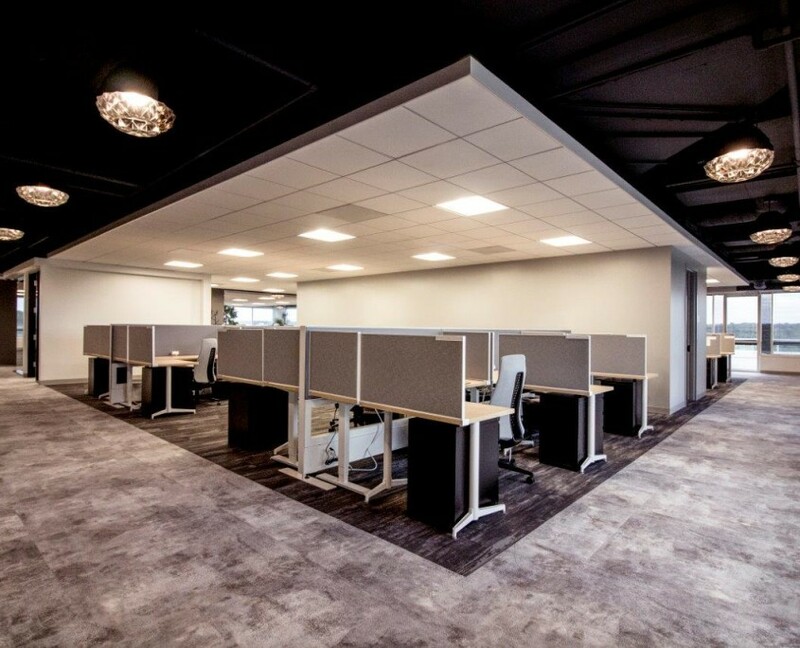 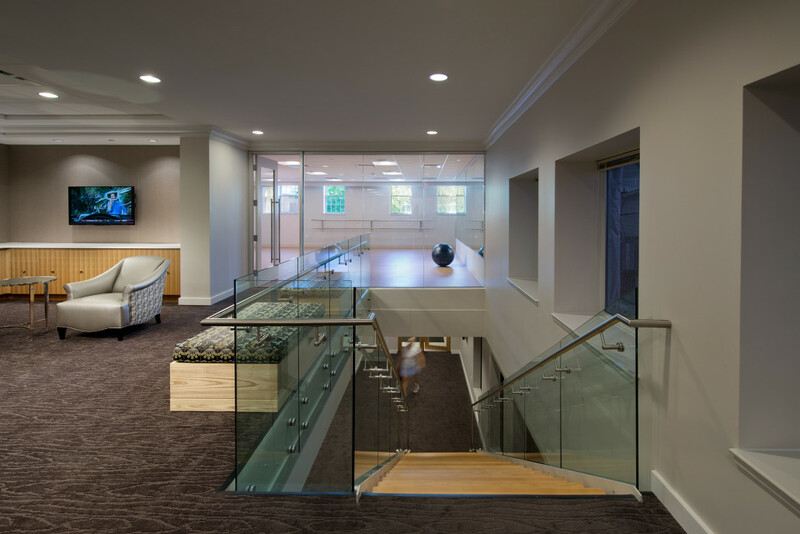 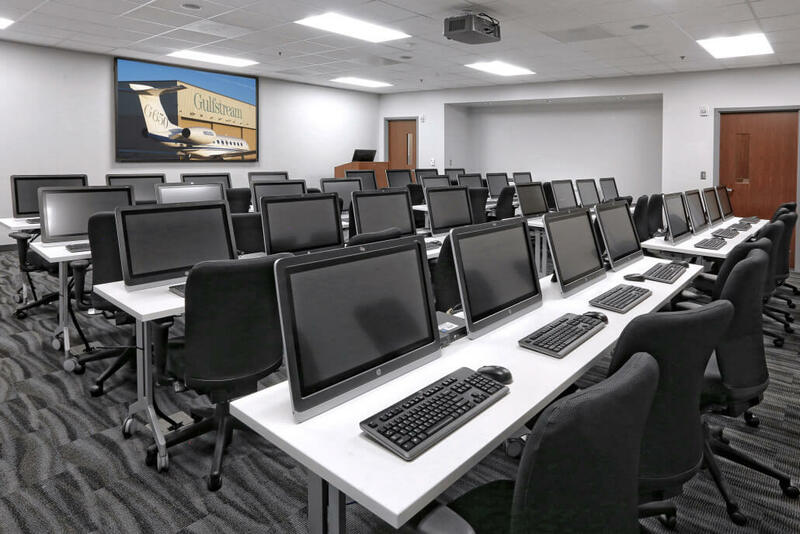 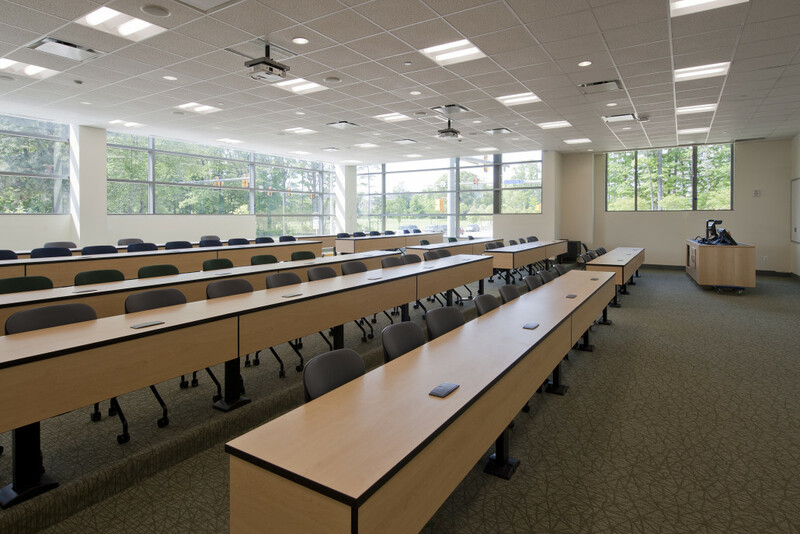 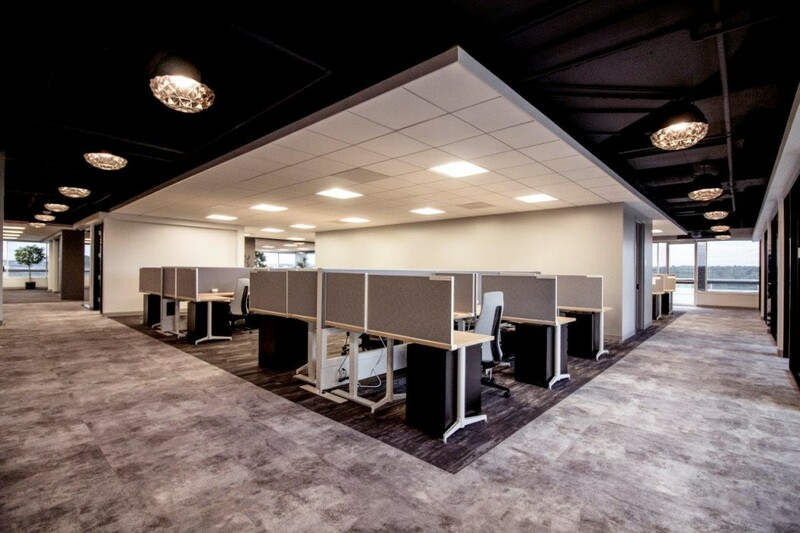 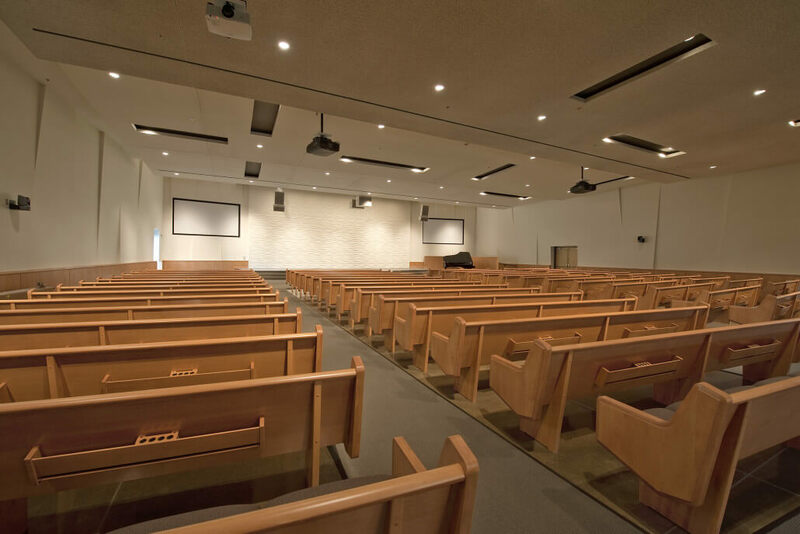 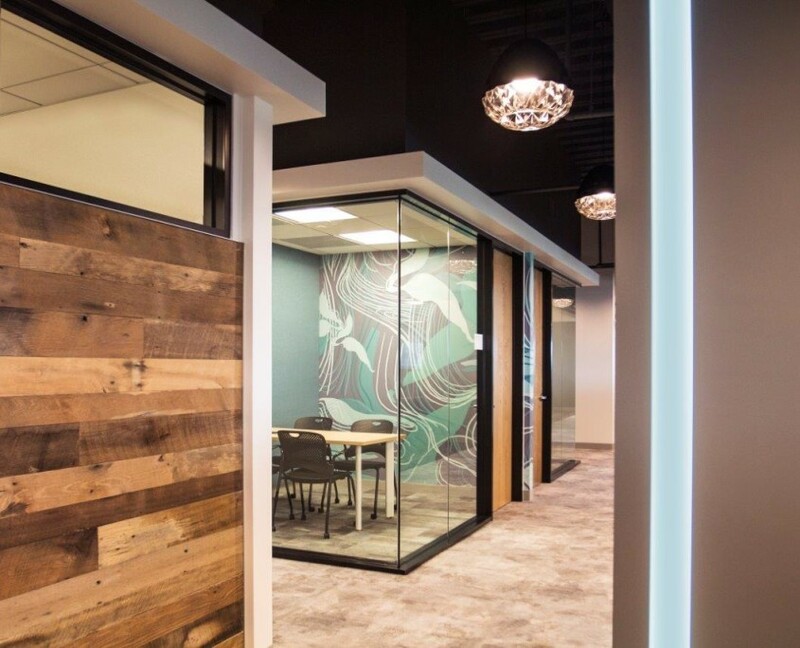 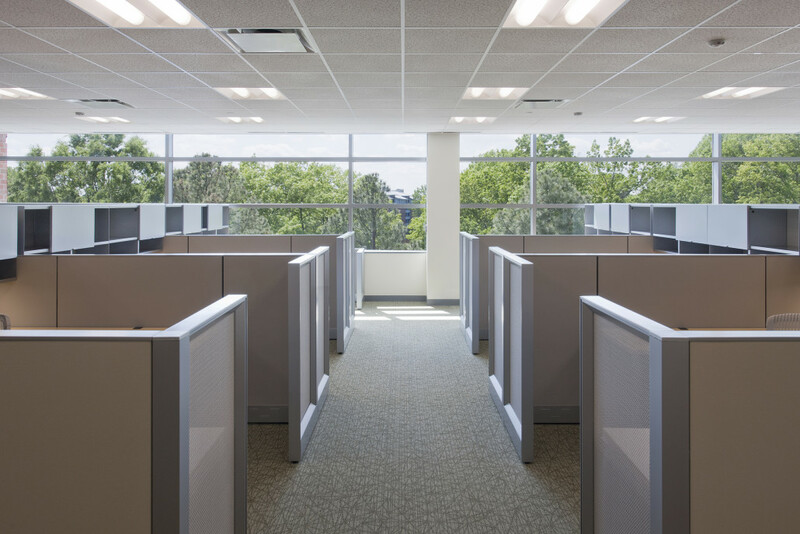 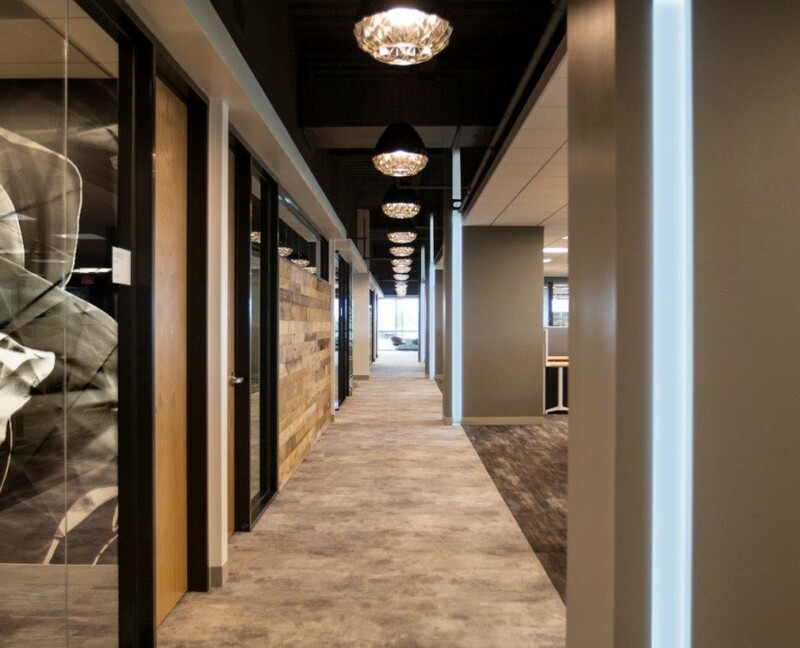 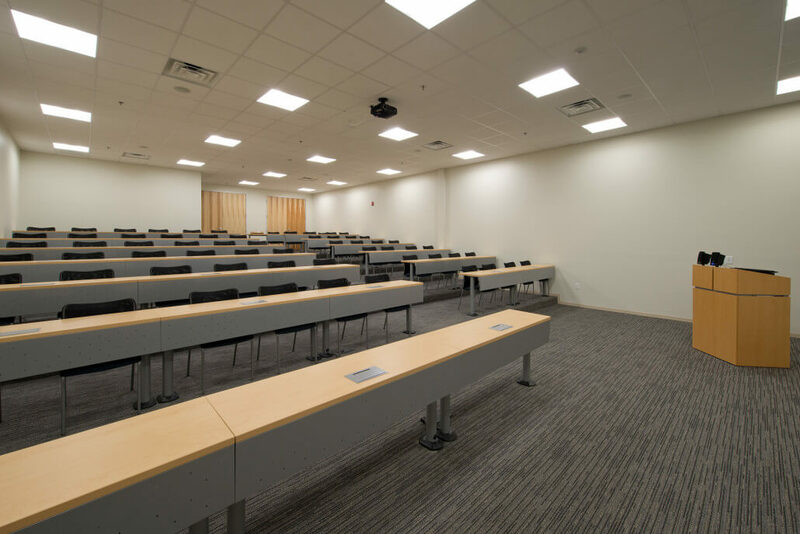 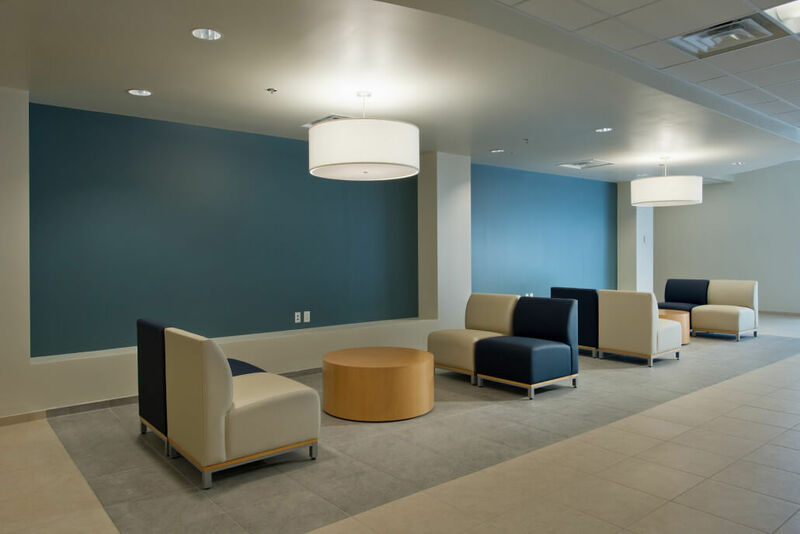 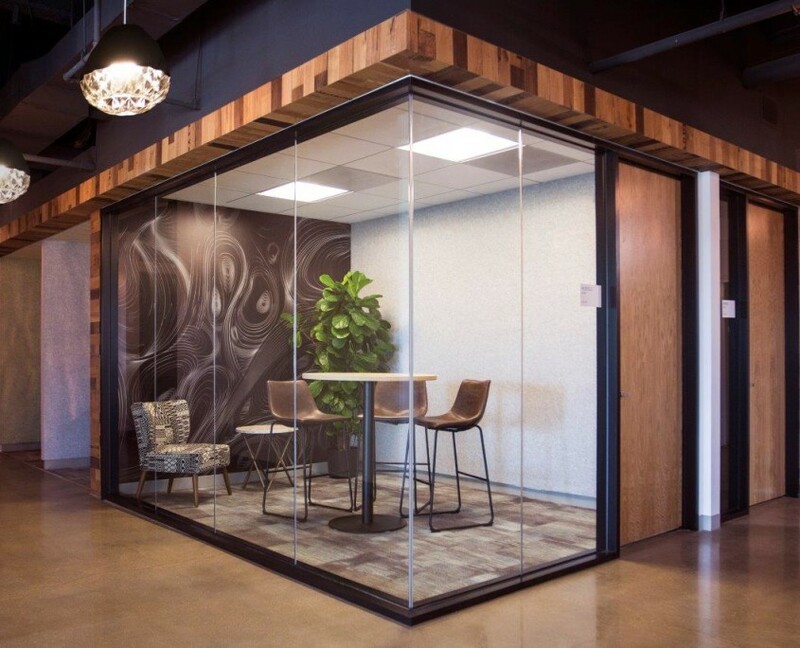 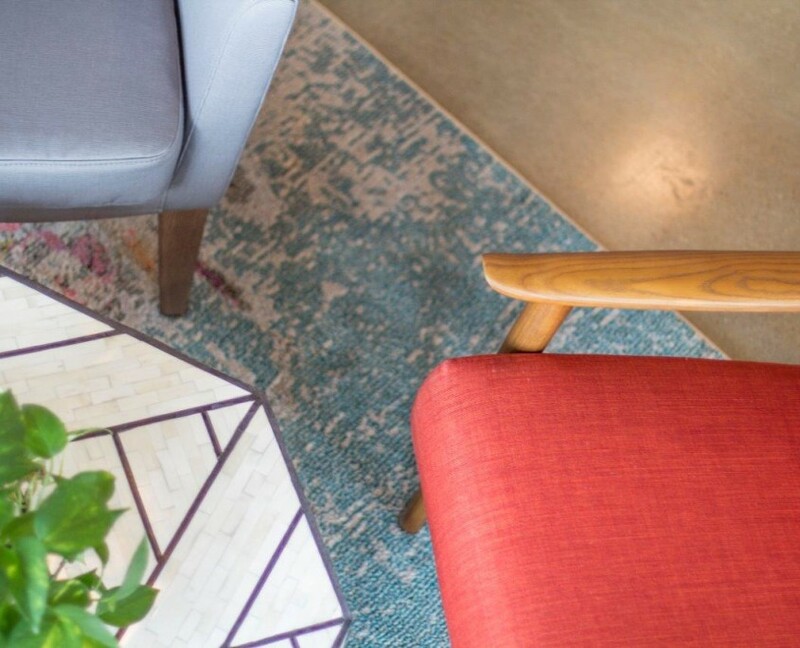 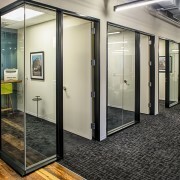 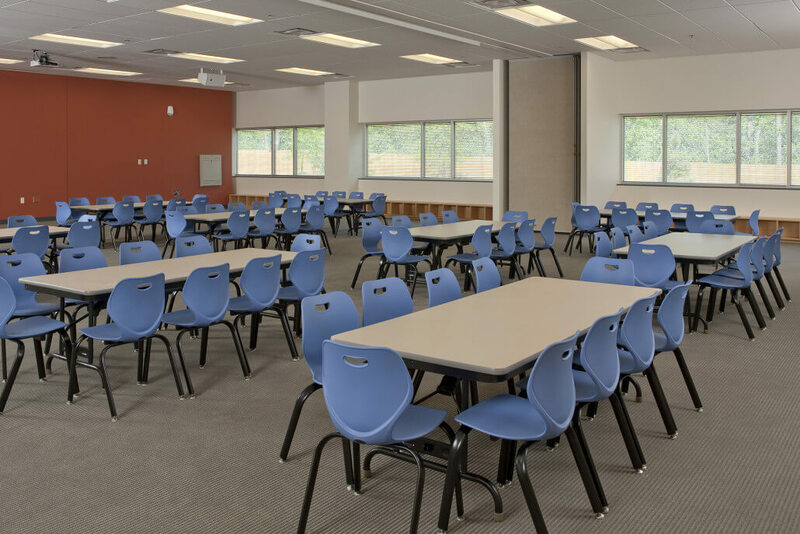 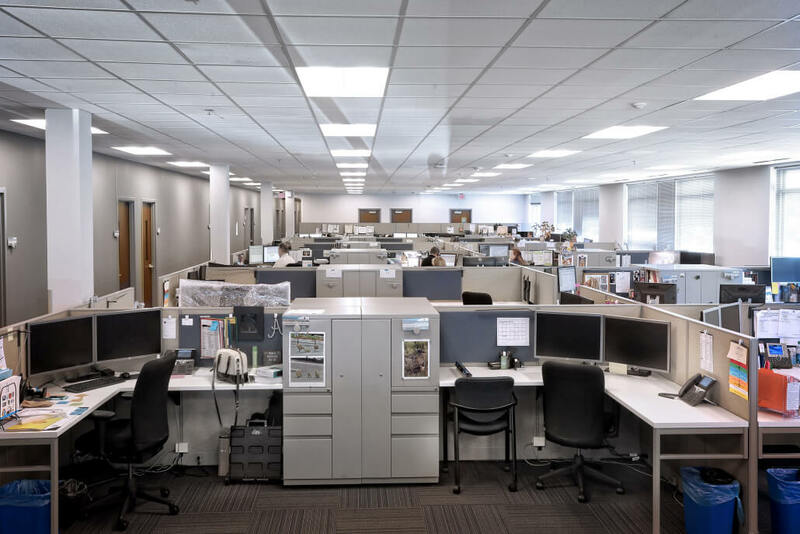 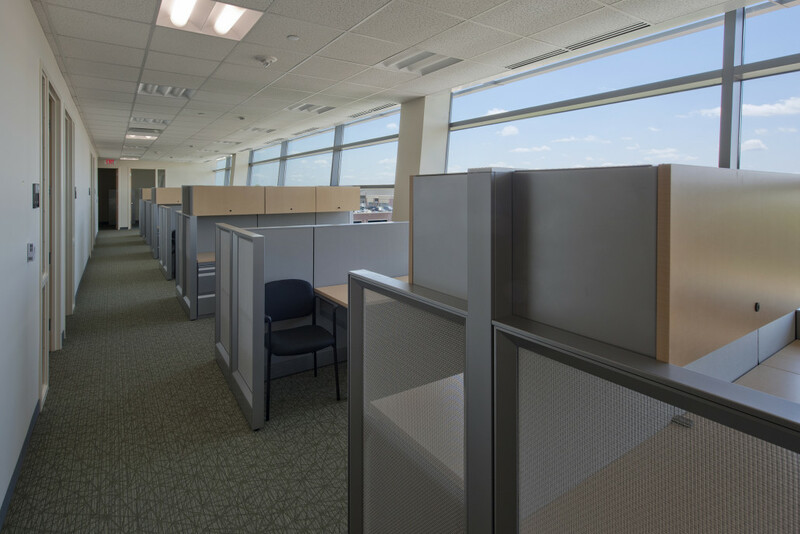 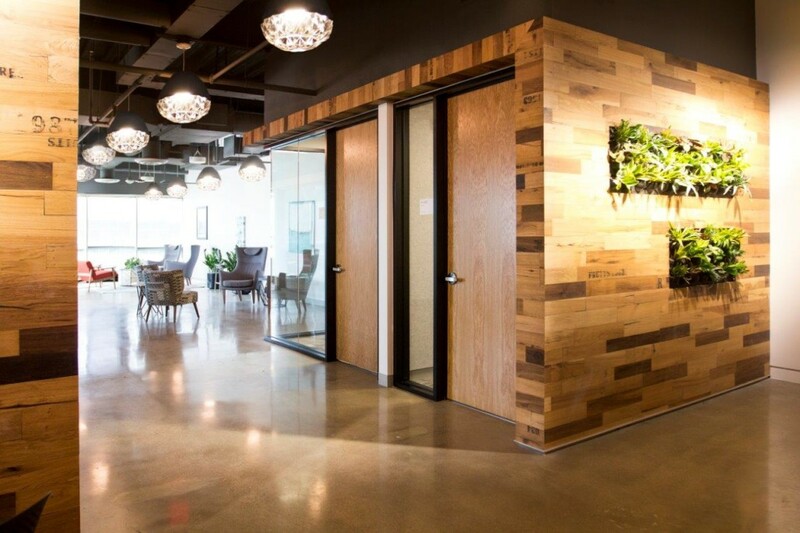 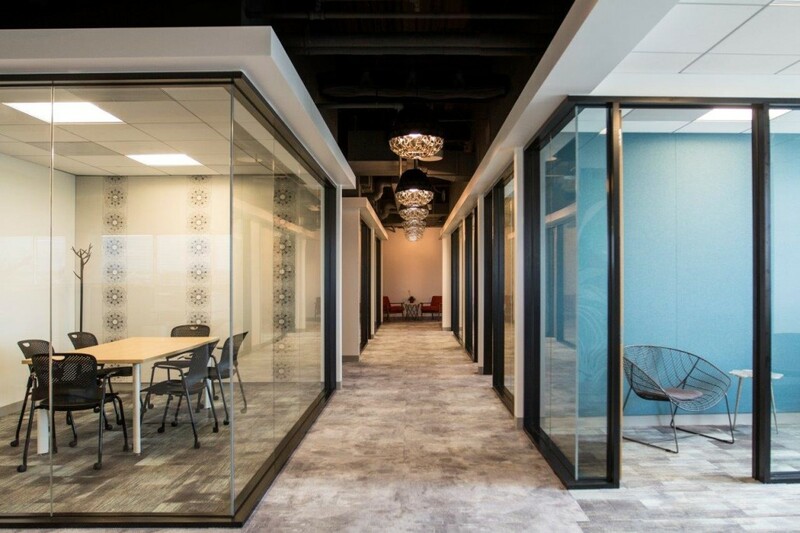 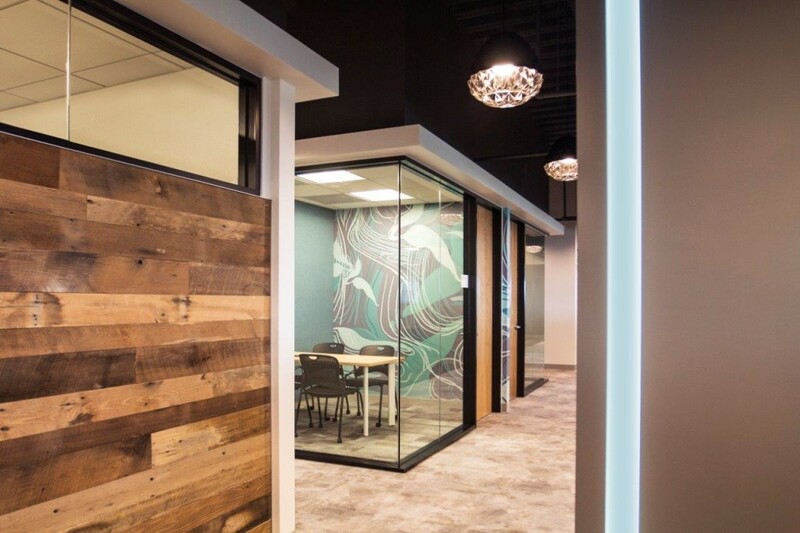 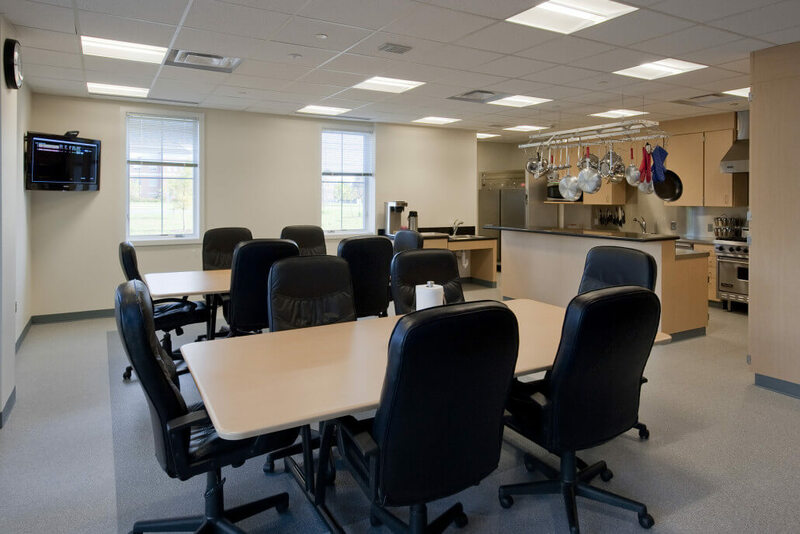 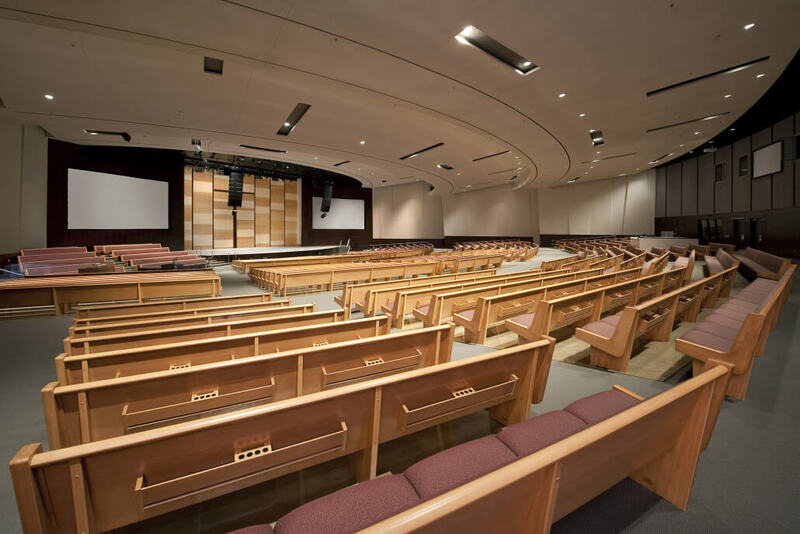 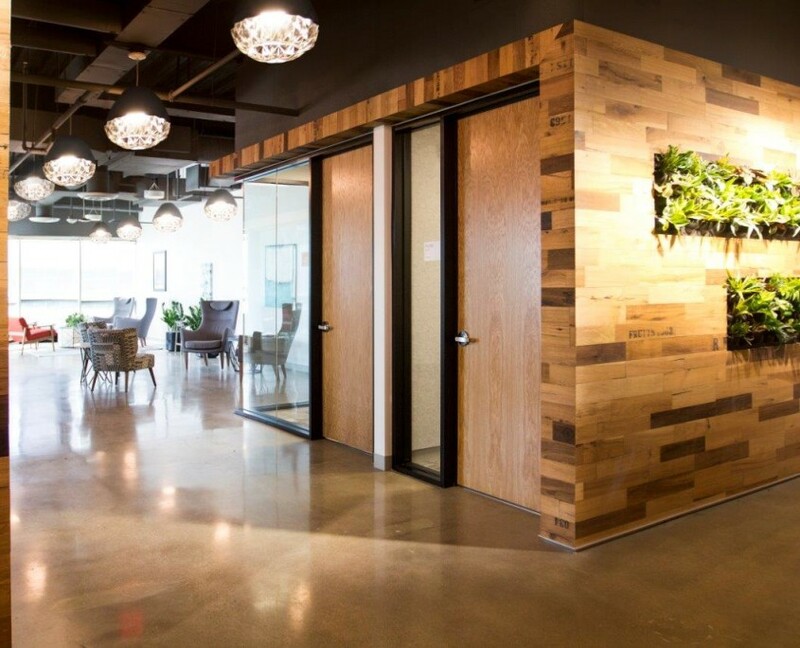 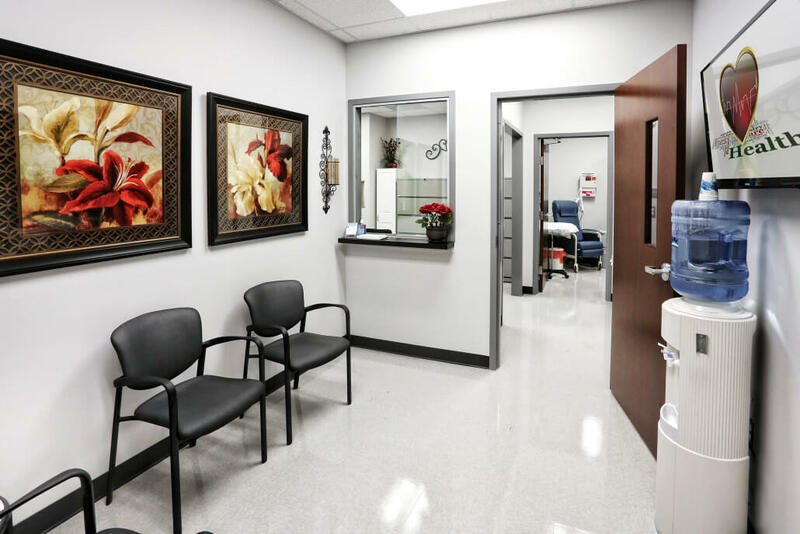 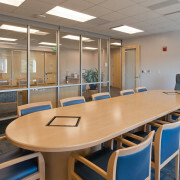 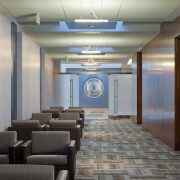 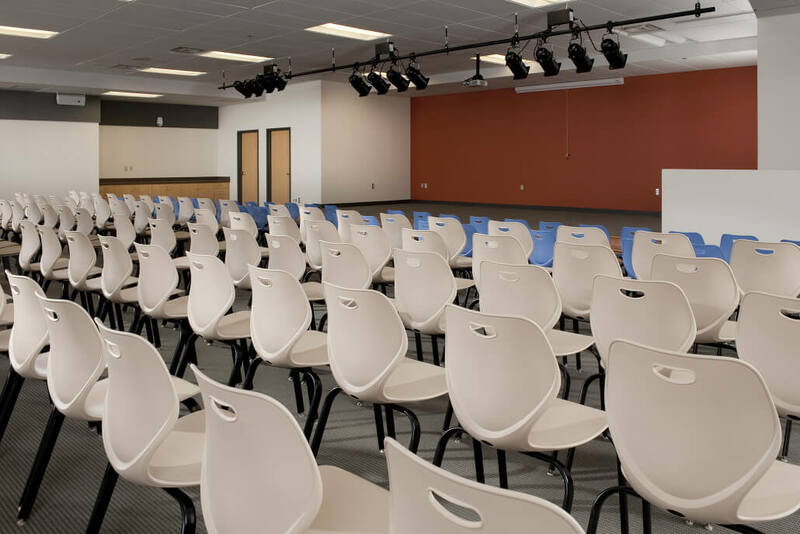 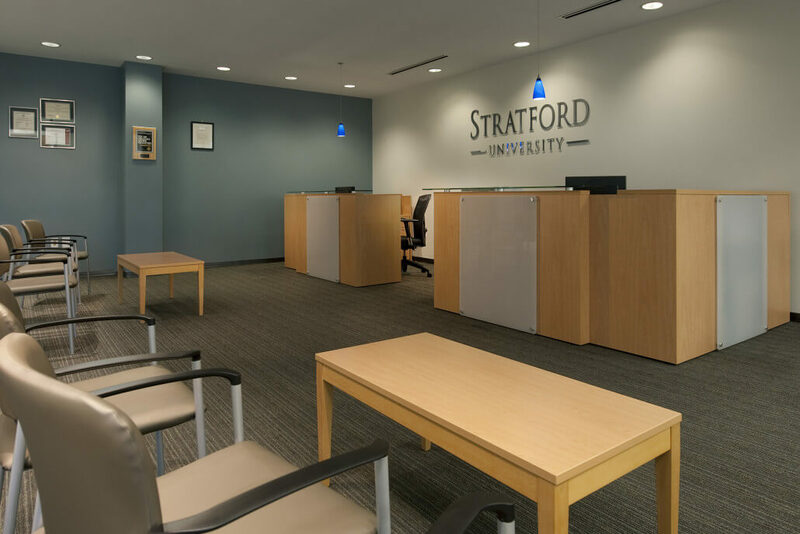 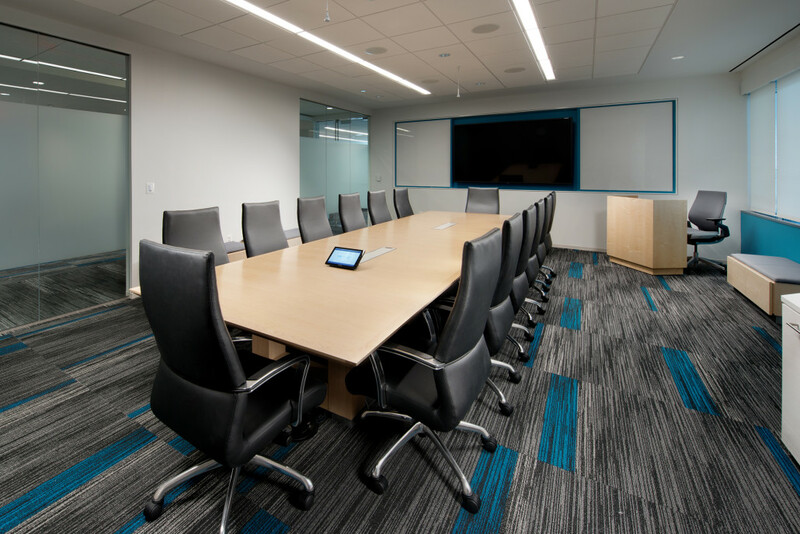 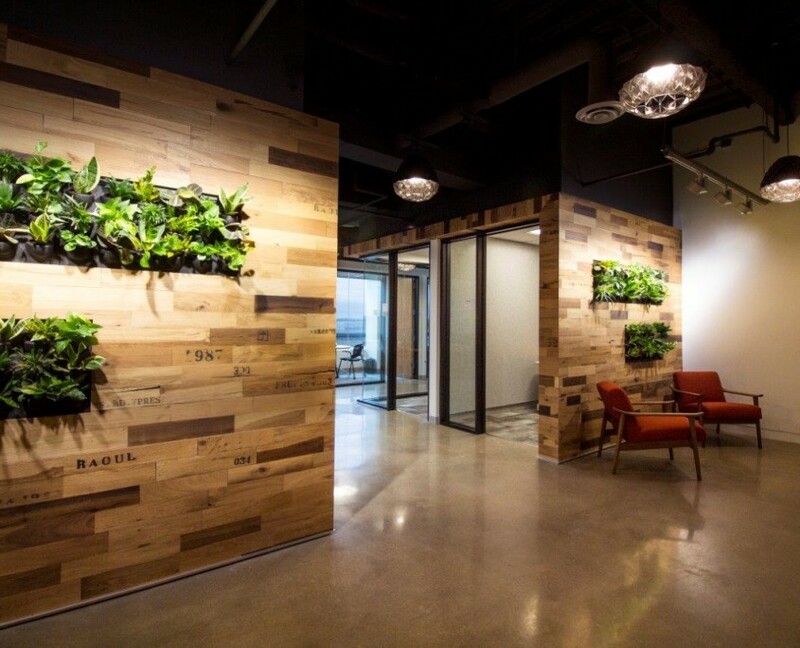 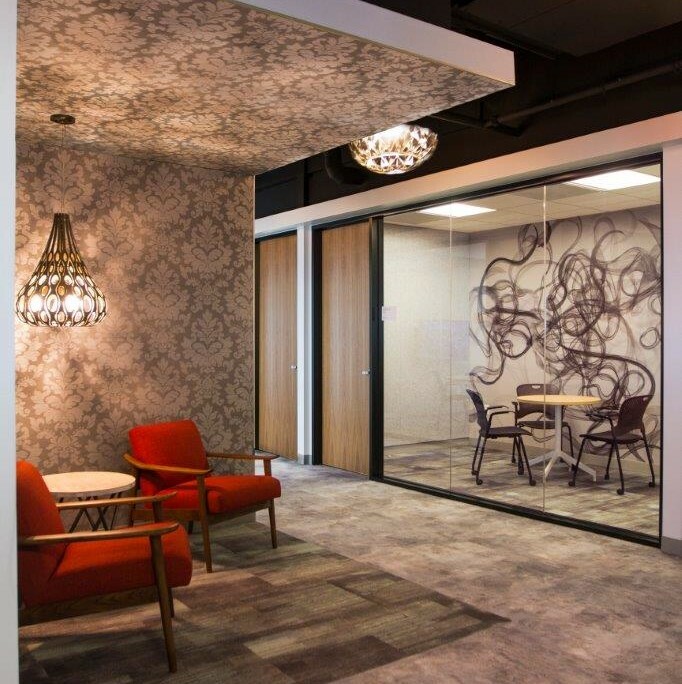 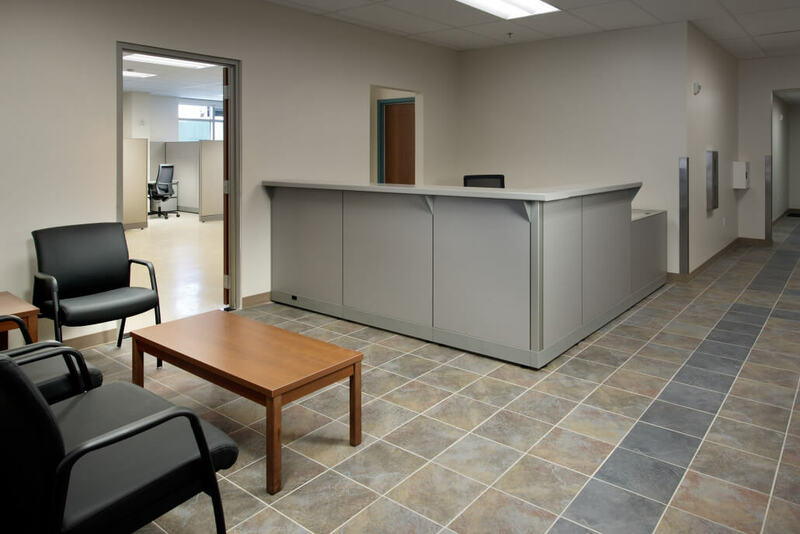 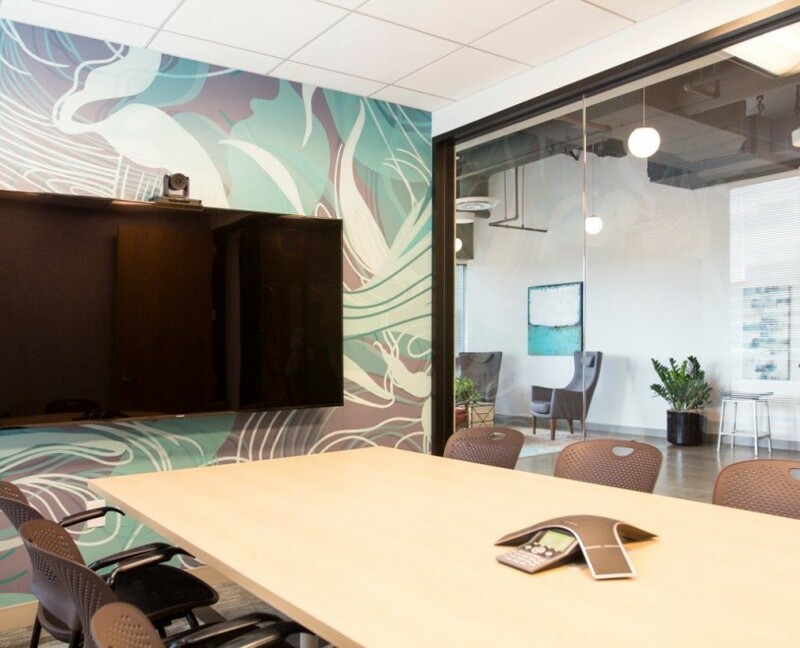 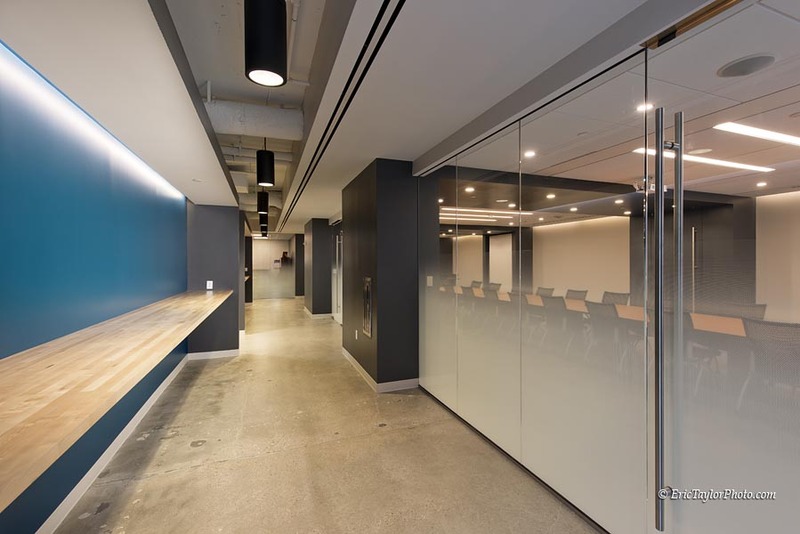 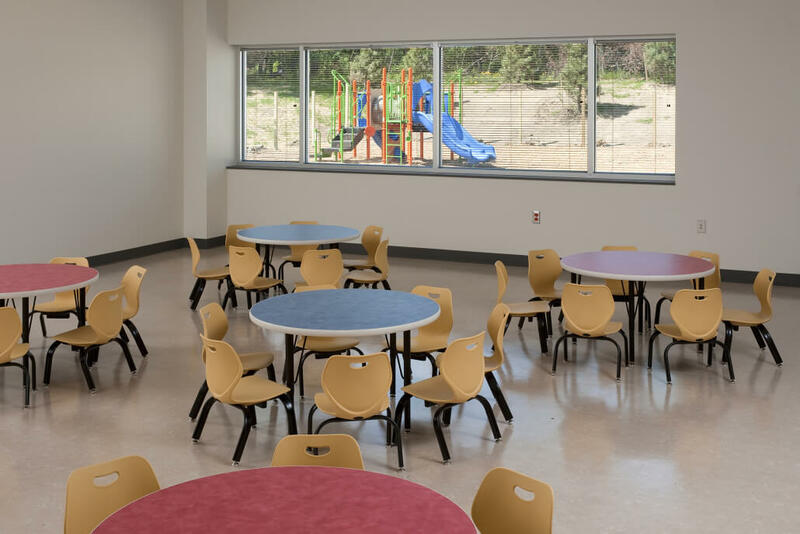 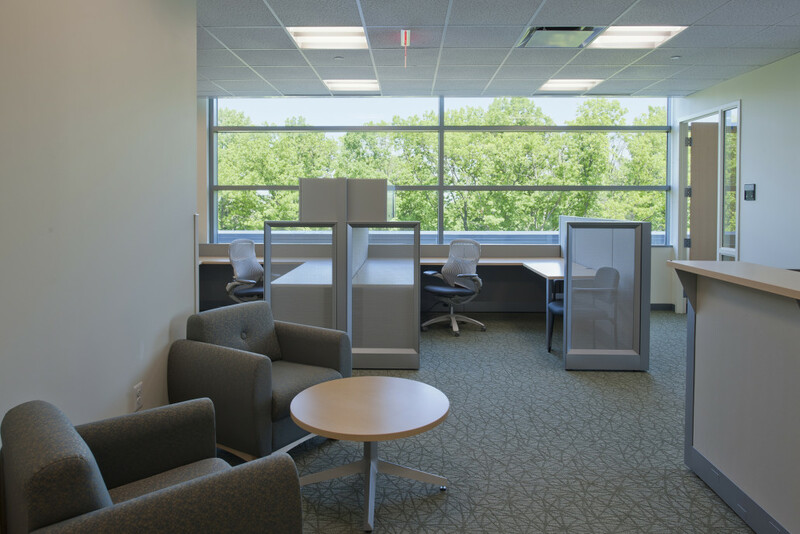 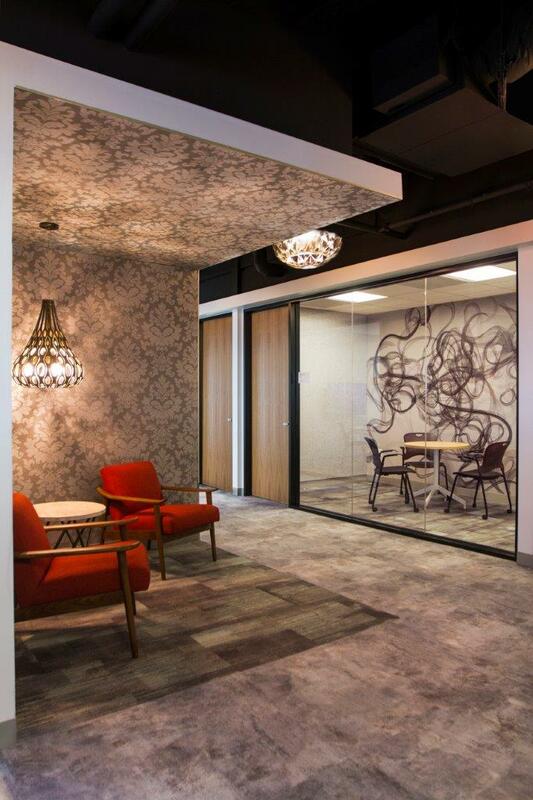 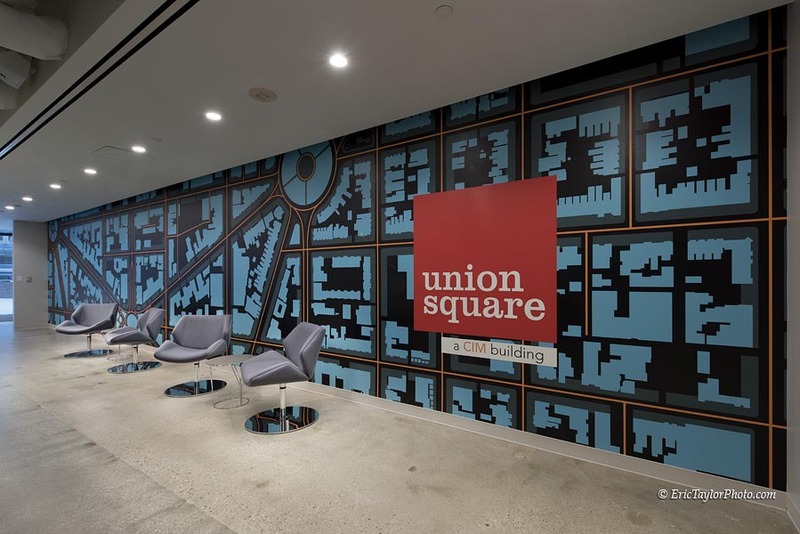 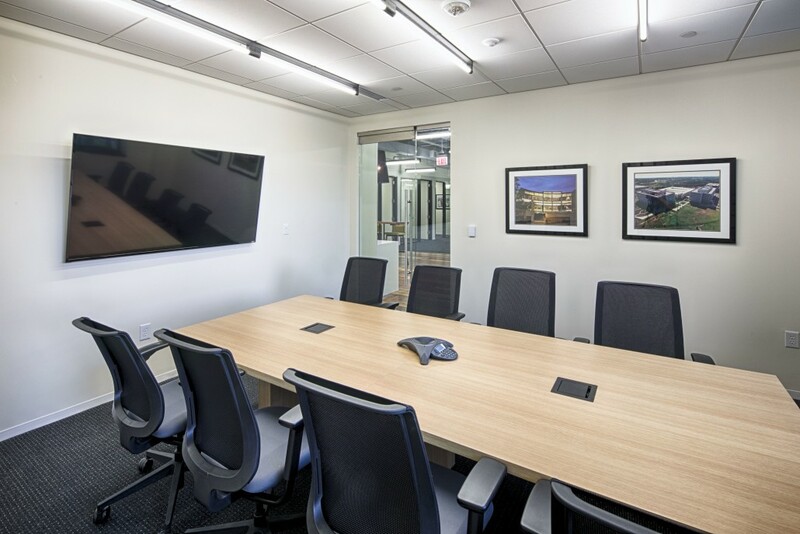 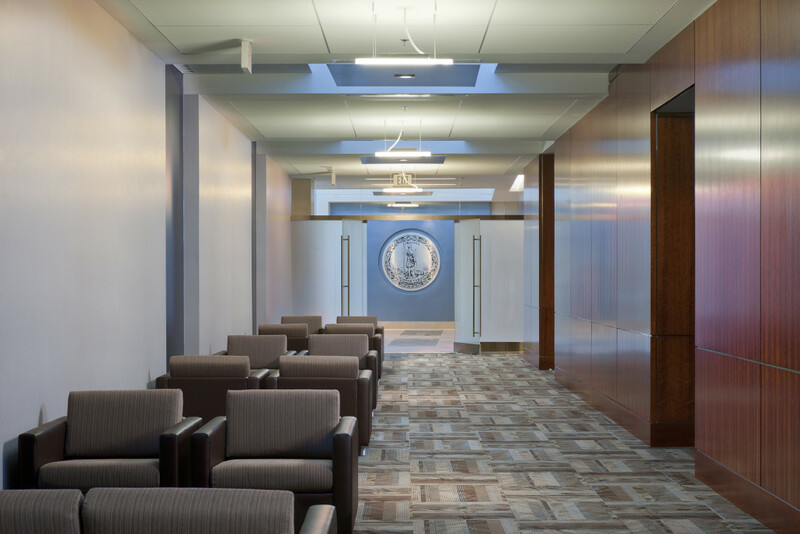 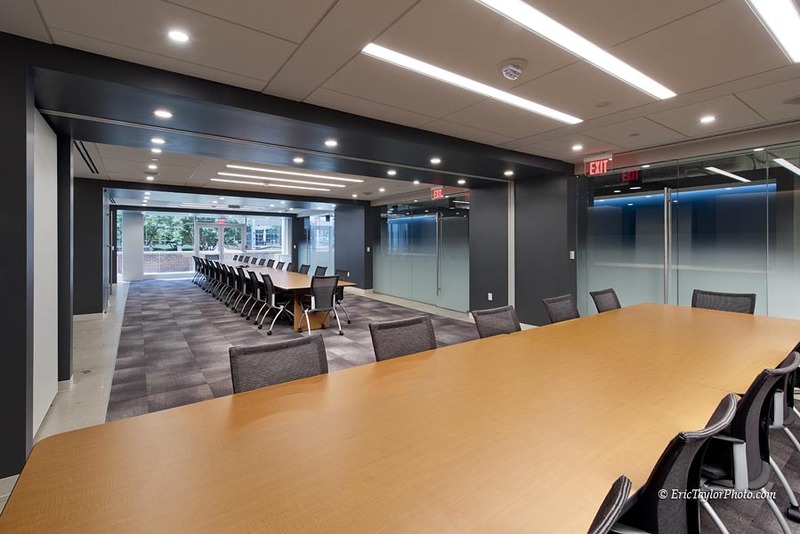 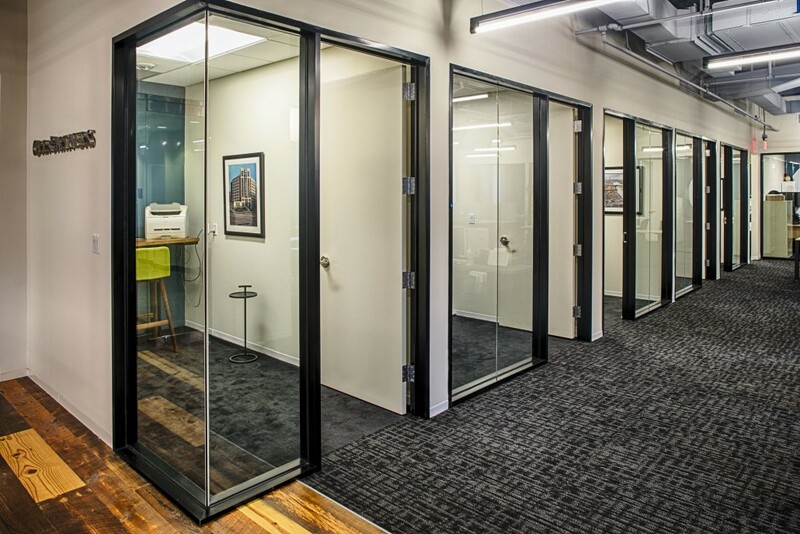 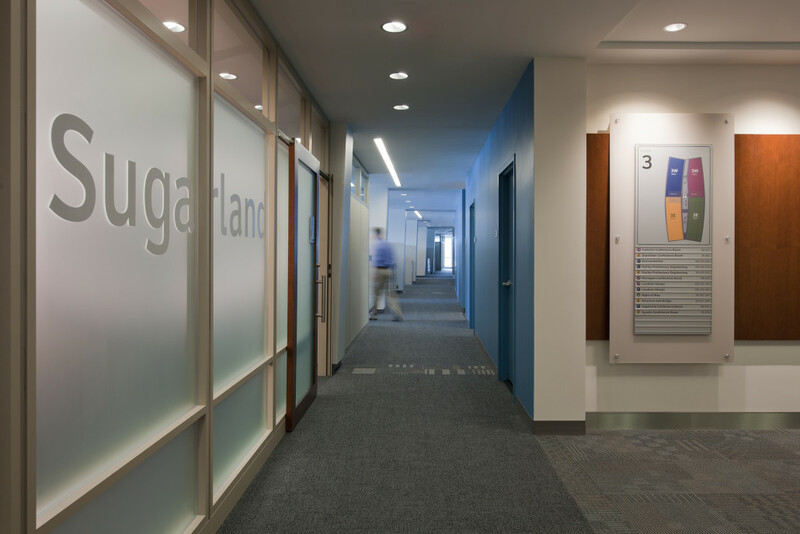 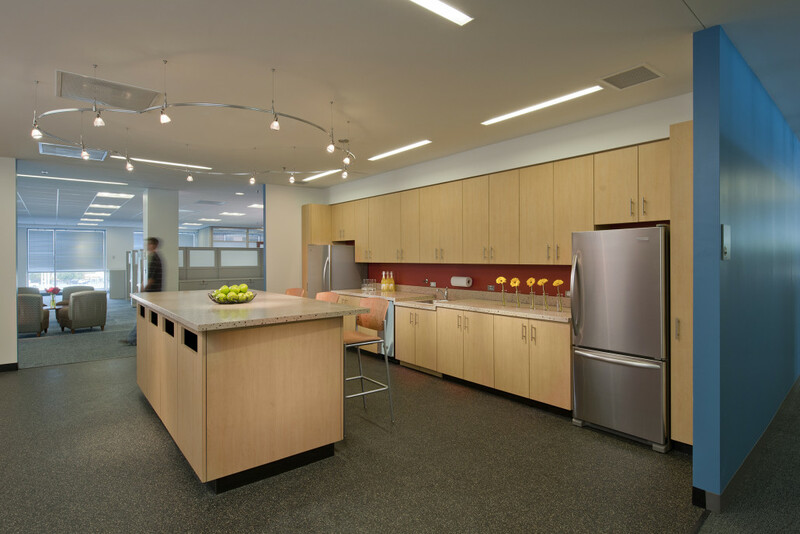 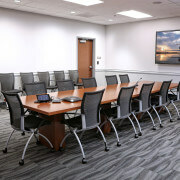 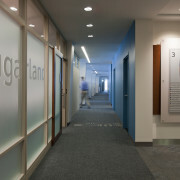 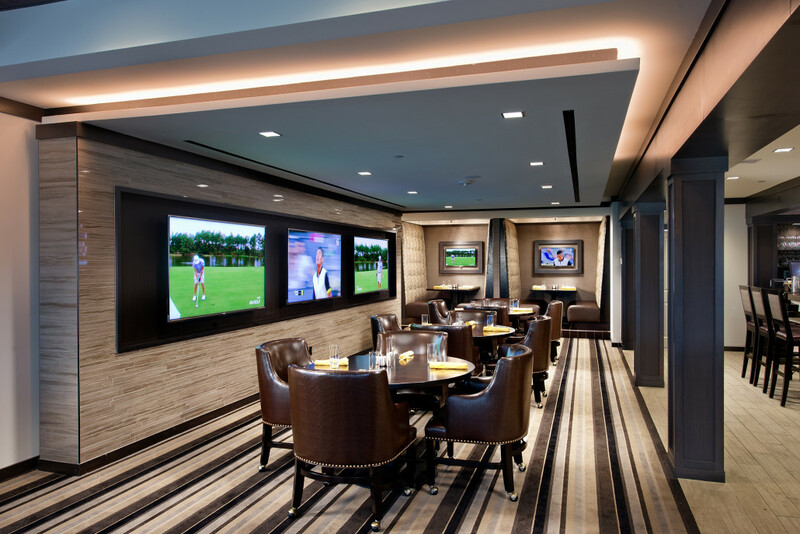 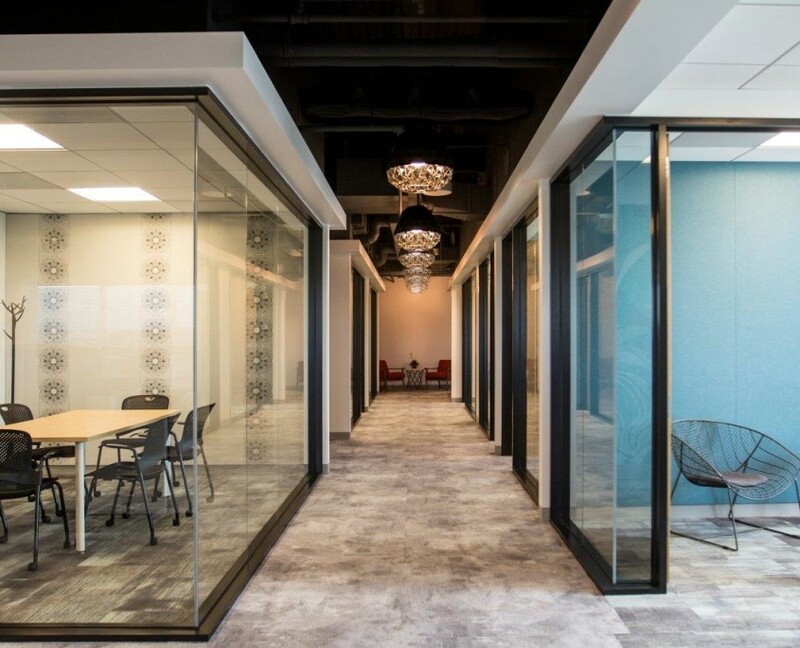 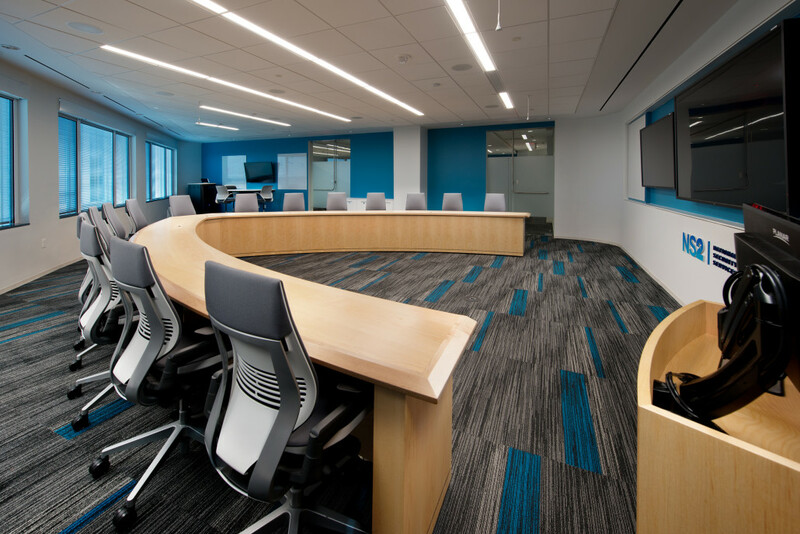 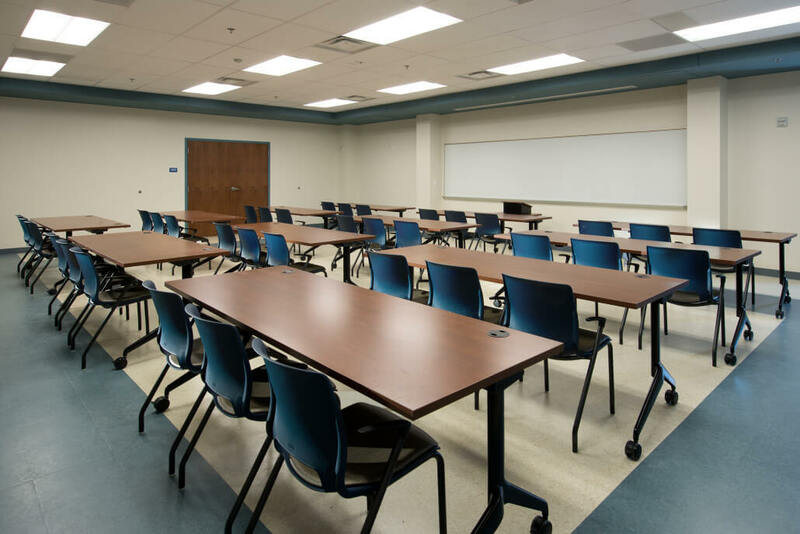 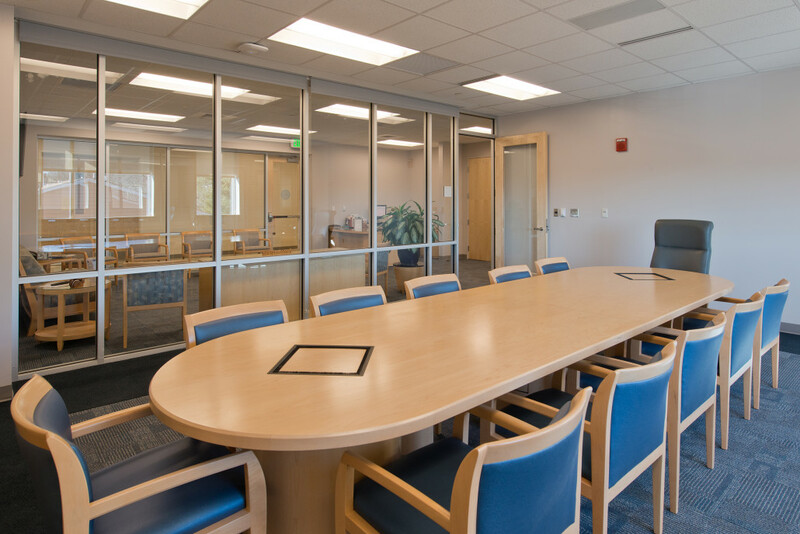 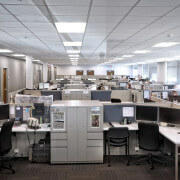 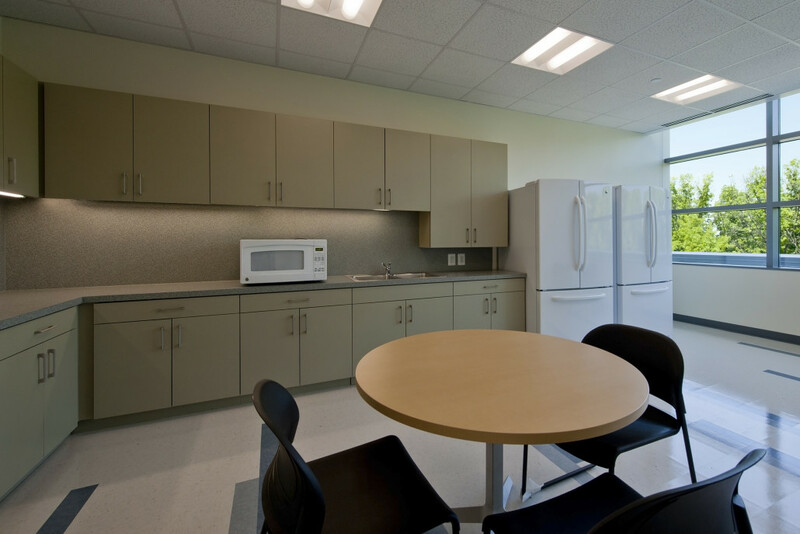 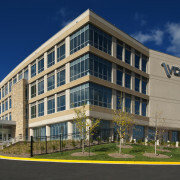 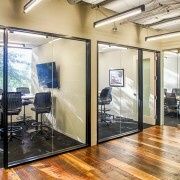 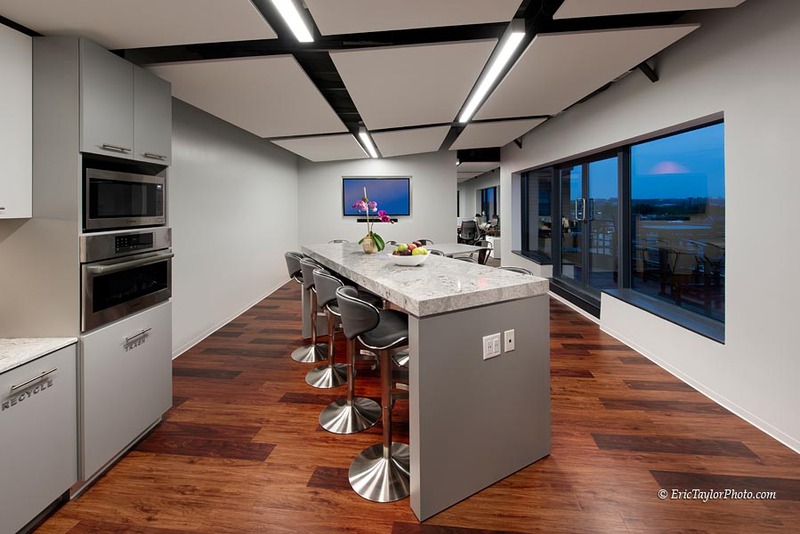 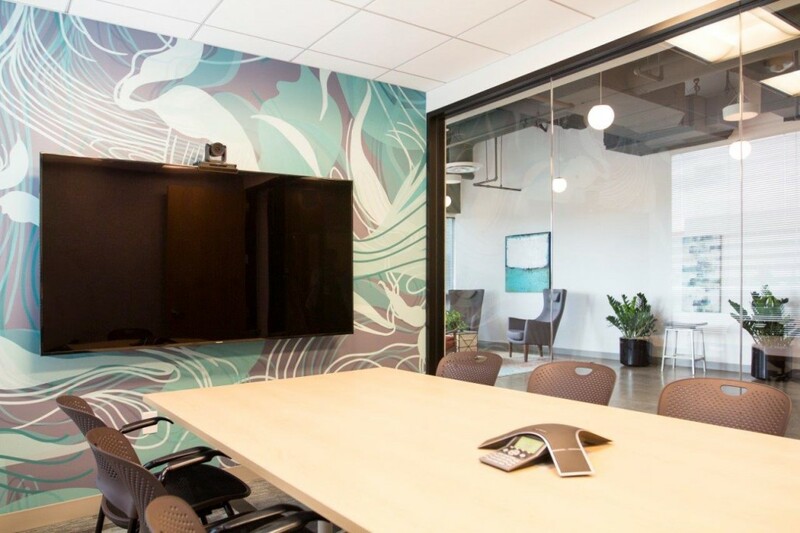 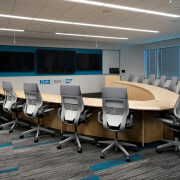 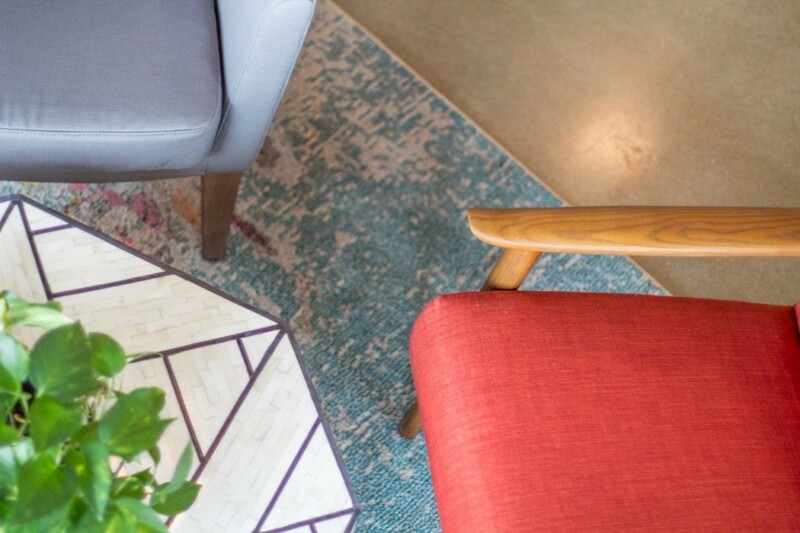 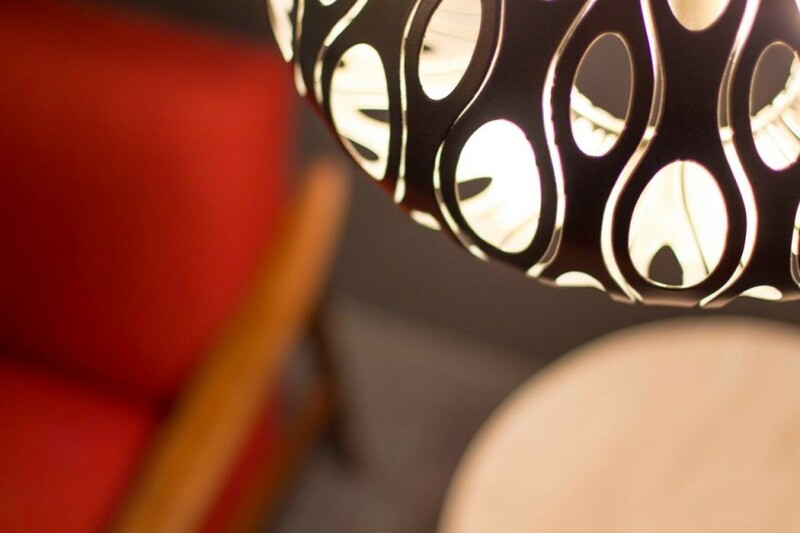 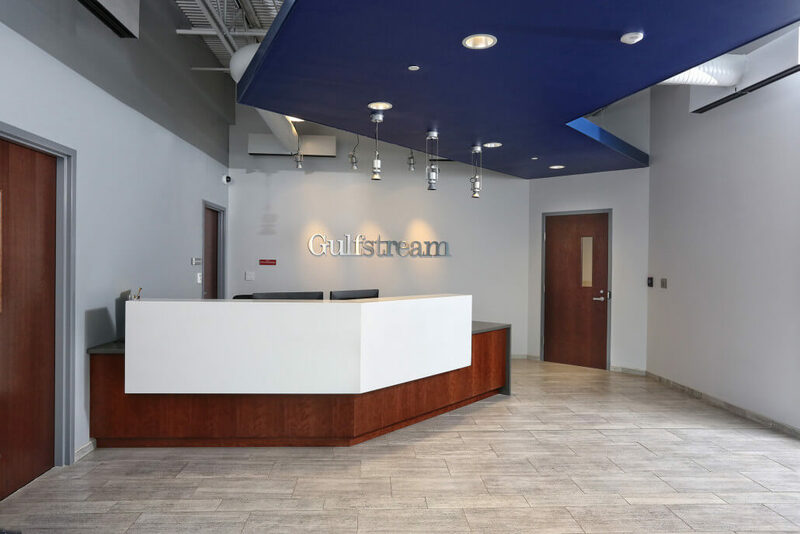 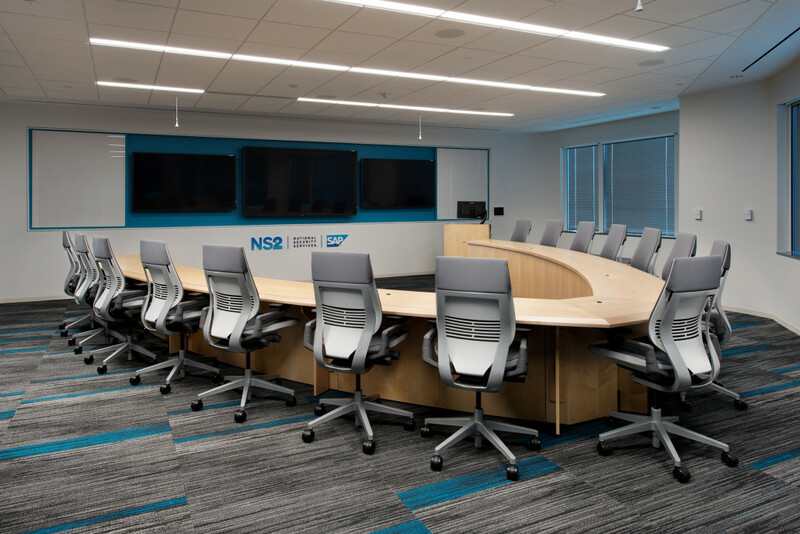 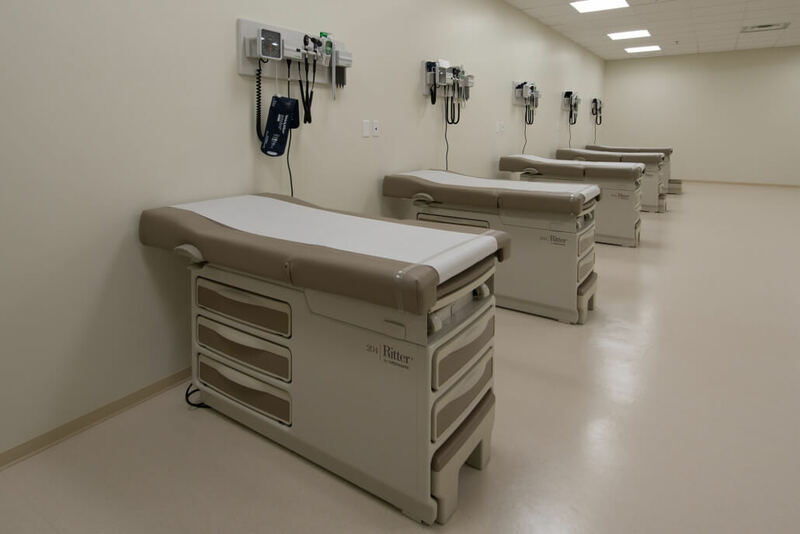 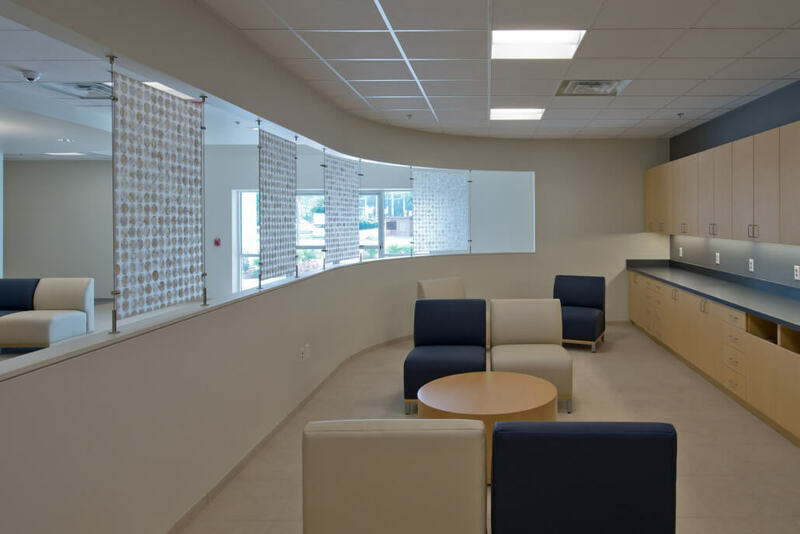 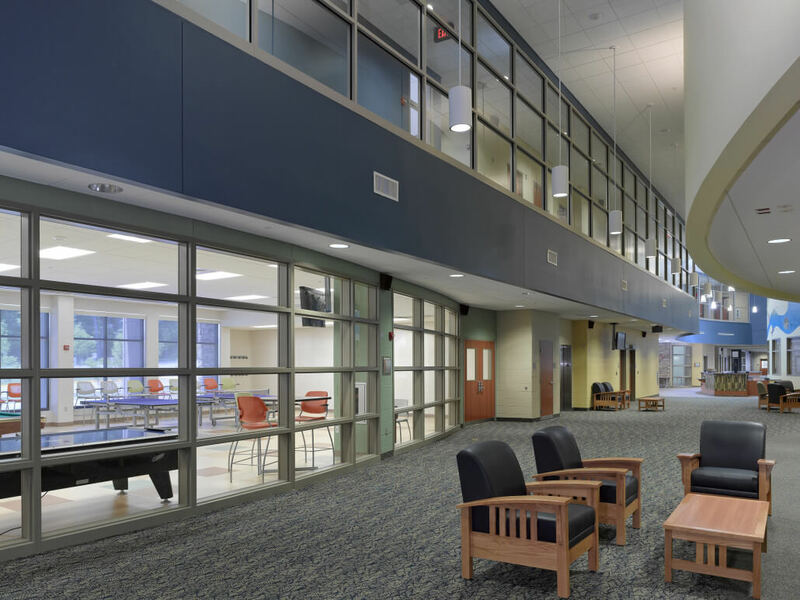 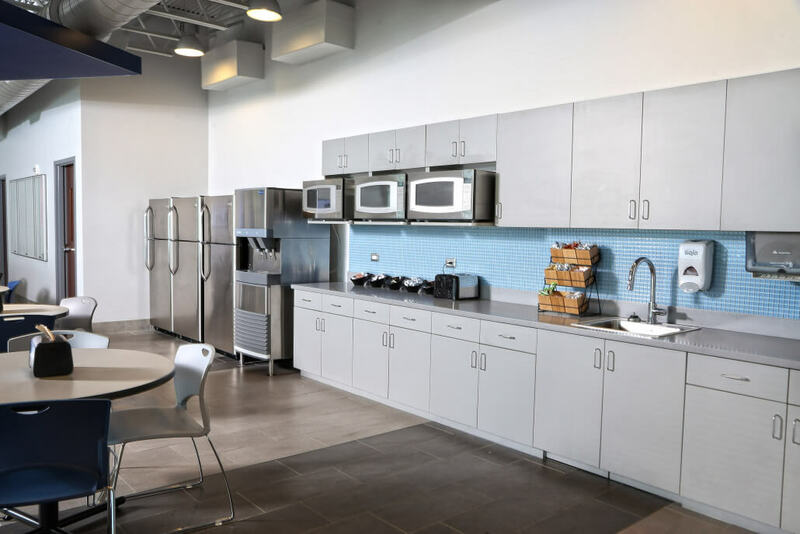 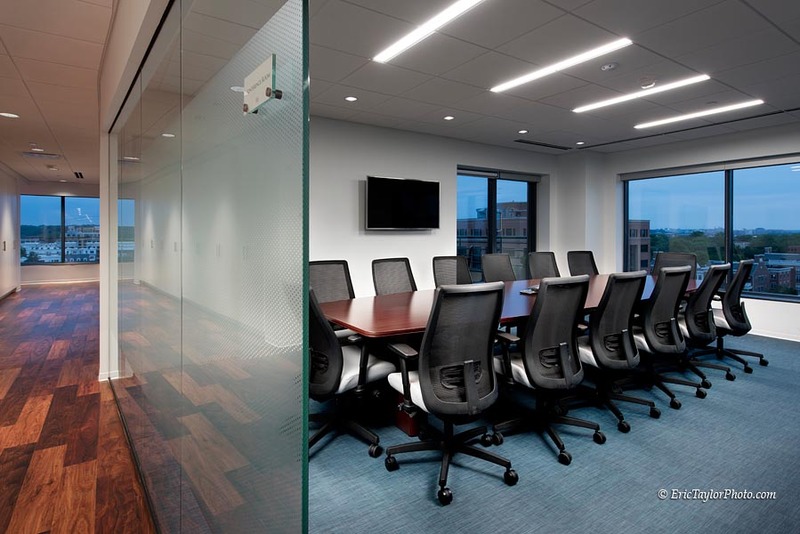 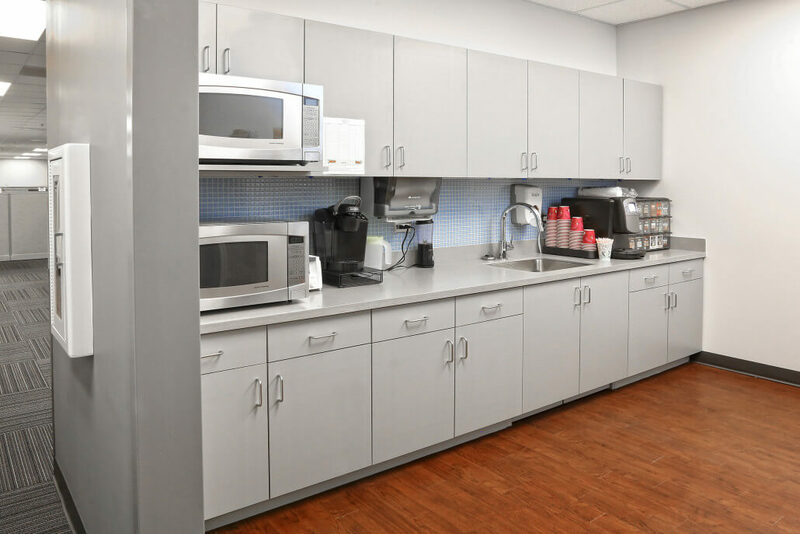 In addition to an entirely new office layout with meeting rooms, offices, kitchen areas and lounge spaces; HVAC, electrical, telecommunications, and audio visual systems were extensively upgraded. 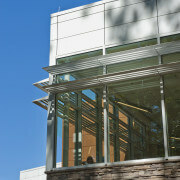 Construction was completed in Fall 2016. 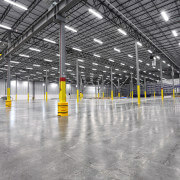 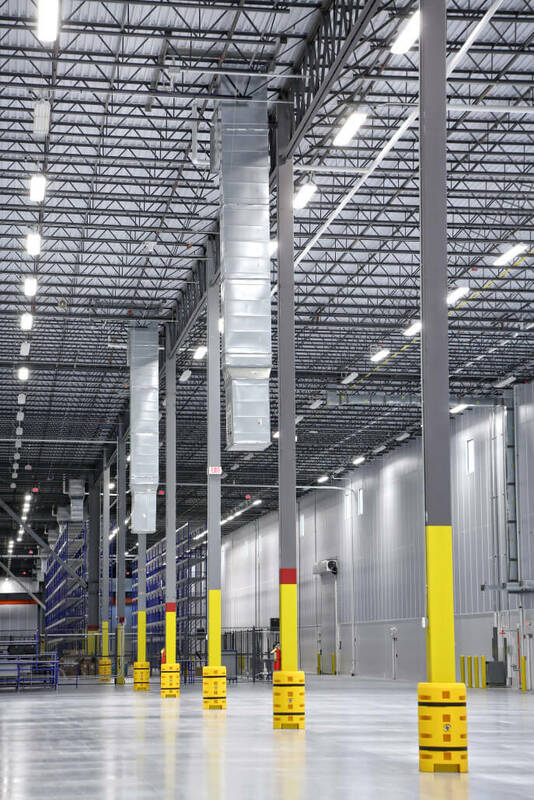 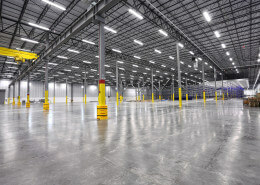 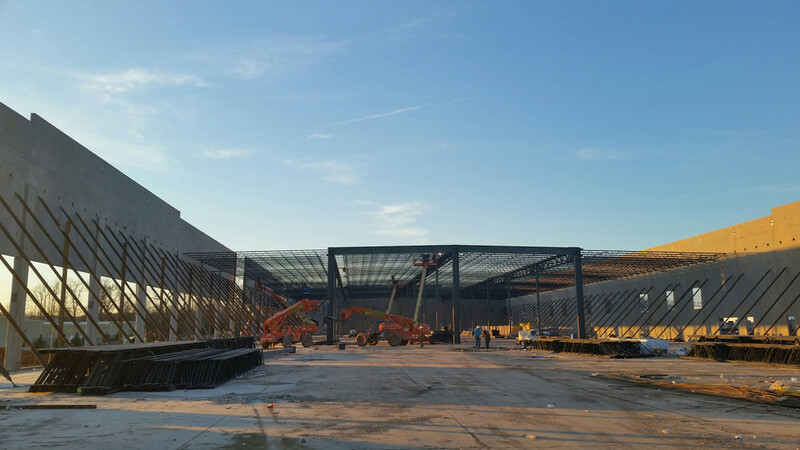 Two (2) – 150,000 sf tilt-up cold dark shells. 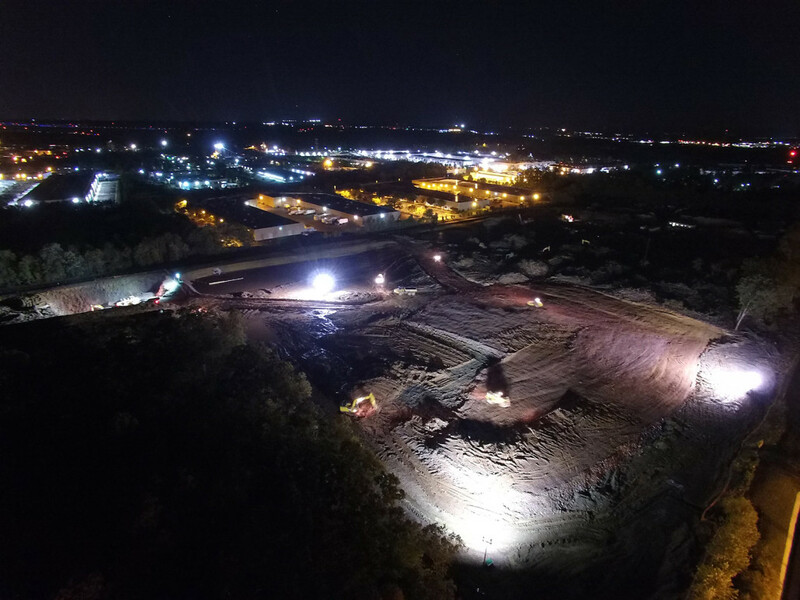 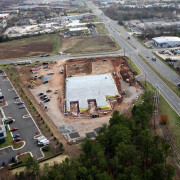 Full site development with rock blasting, mining and dry utility duct banks for data centers. 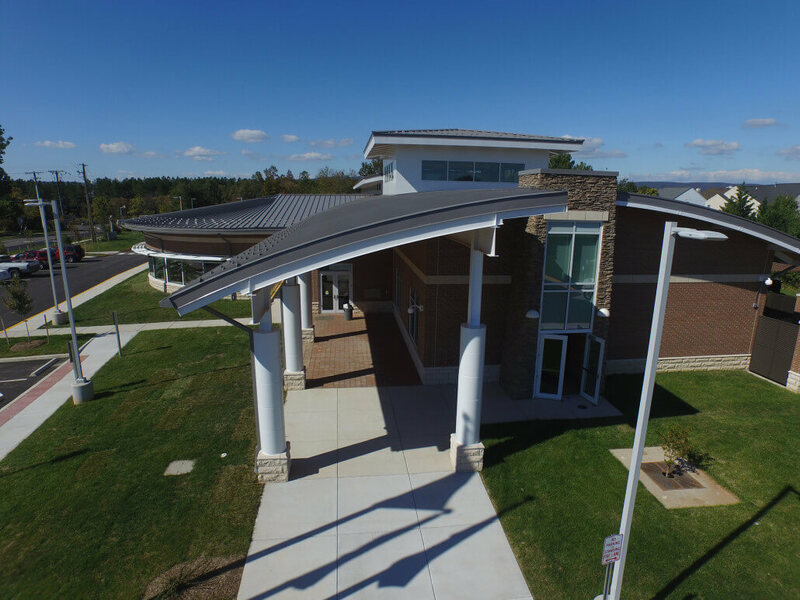 Cold dark shells to include aluminum canopies at main entrance, storefront, and TPO roof. 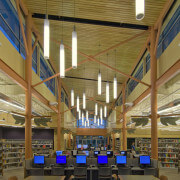 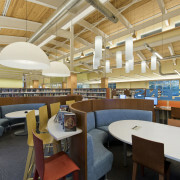 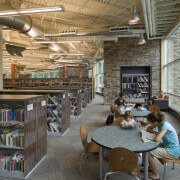 22,000 SF Library; Related Interior Improvements Including Timber Roof Decking Exposed From Below, Architecturally Exposed Steel, Stacks Areas, Meeting Rooms, Offices, Check-Out Desks, Mechanical Mezzanine; and Related Site Improvements Including On-site Underground Storm Water Storage Retention. 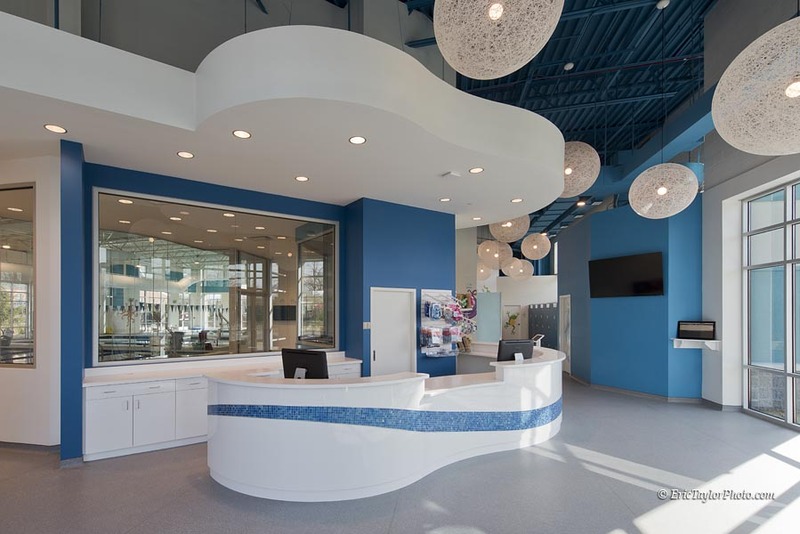 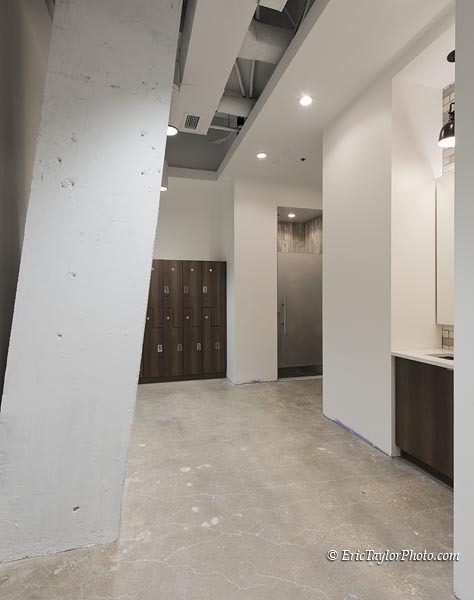 10,000 SF Interior Build-Out, minor demolition, drywall framing, glass walls with herculite doors, new and reuse of grid and tile ceilings, miscellaneous drywall ceilings and bulkheads, new pantry with associated millwork, systems furniture, carpet, prep for systems furniture. 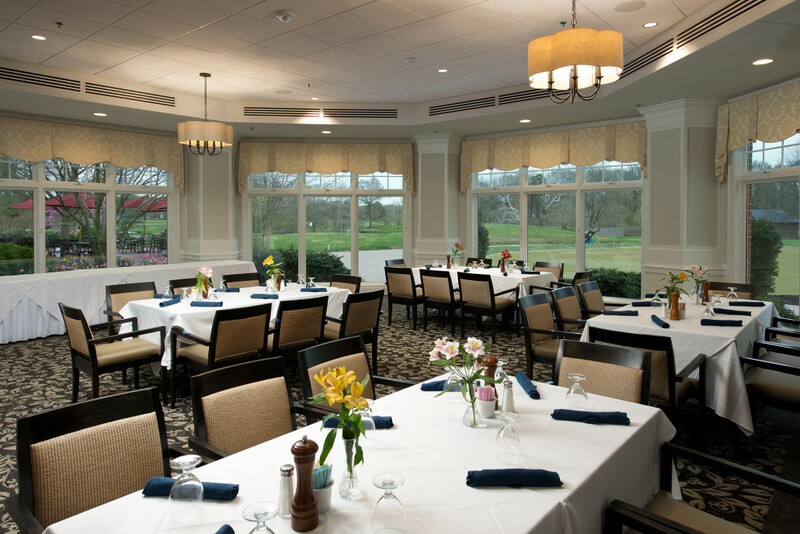 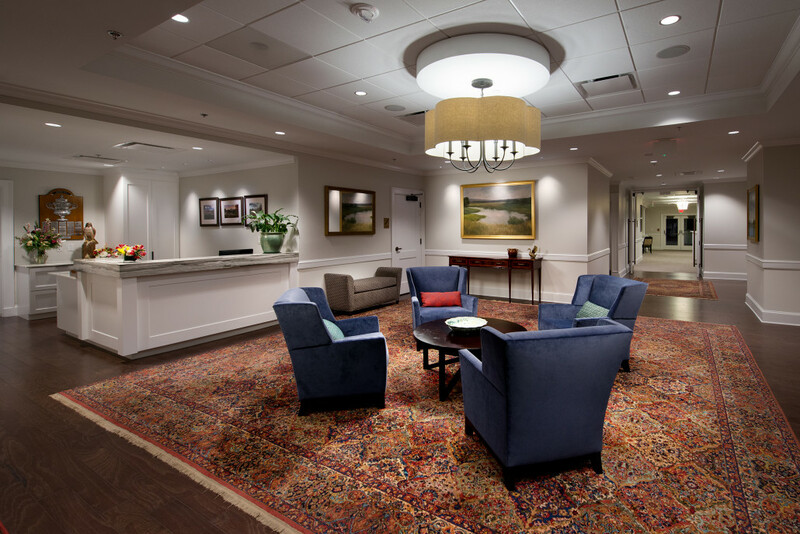 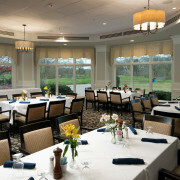 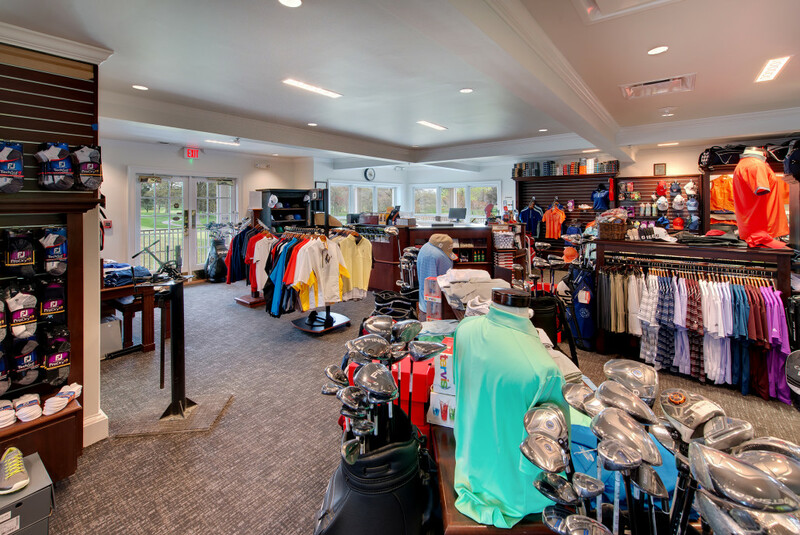 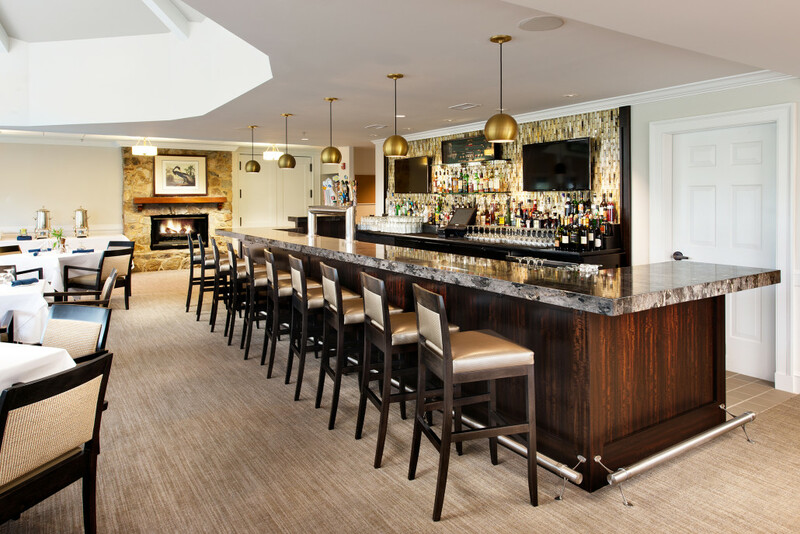 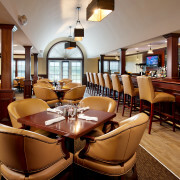 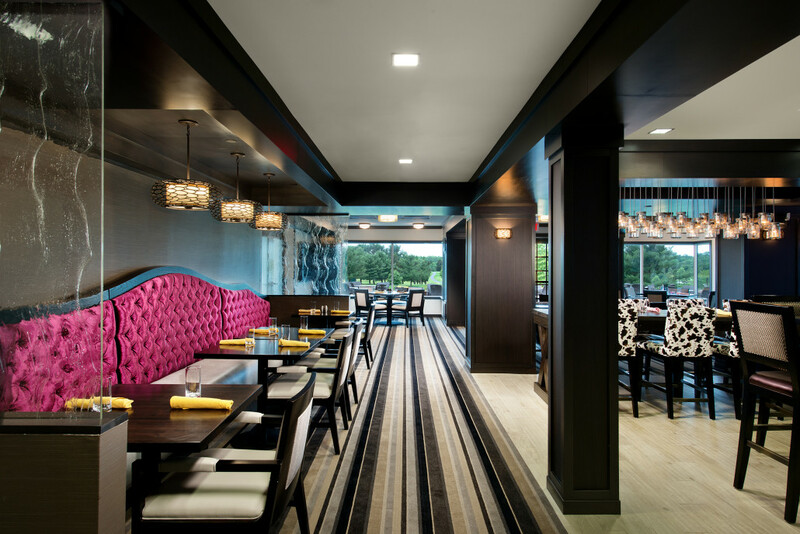 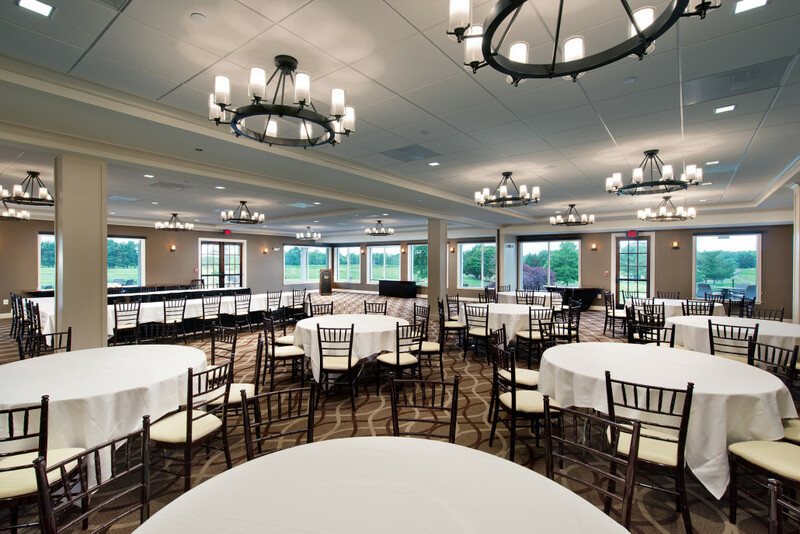 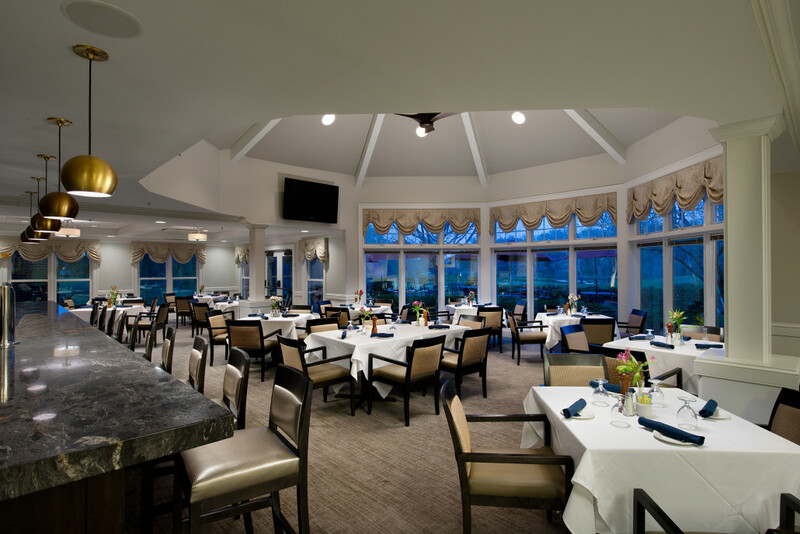 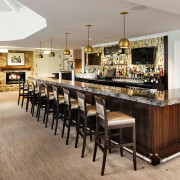 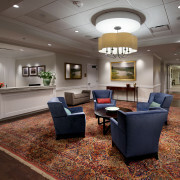 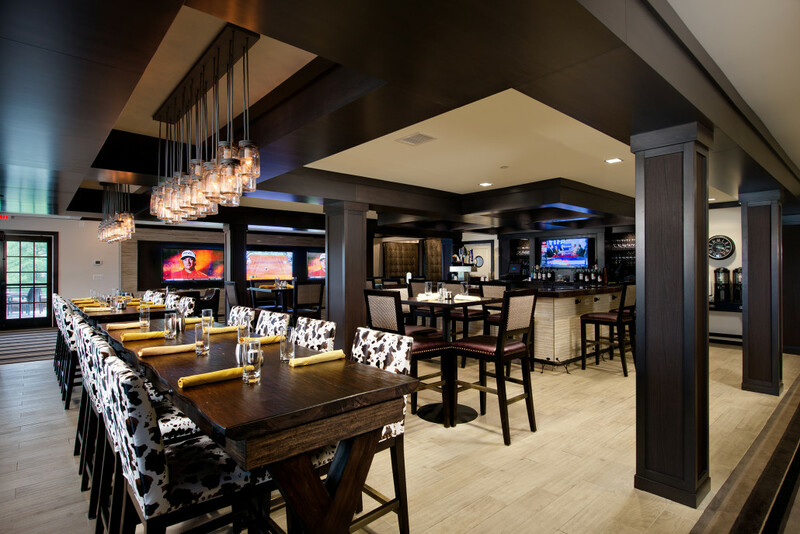 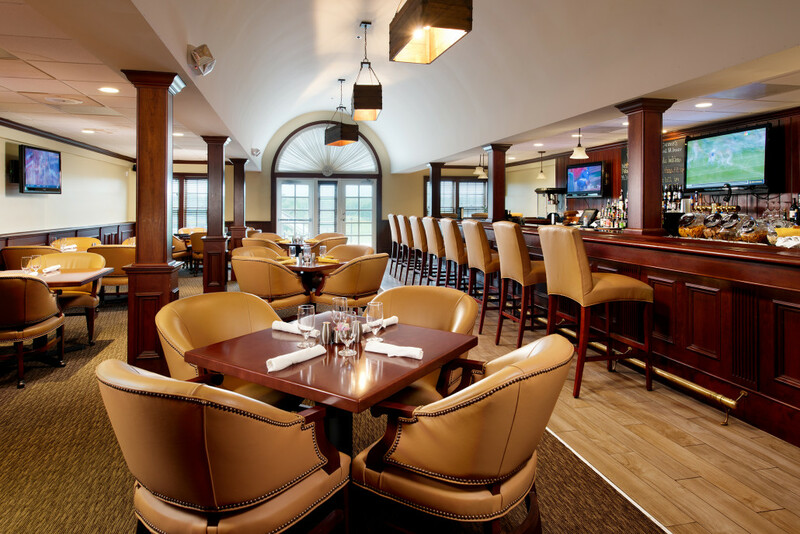 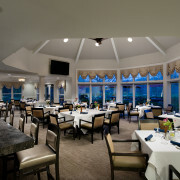 The project is a four phase 11,925 SF exterior and interior renovation of the Country Club’s patio, restaurant, bar, banquet areas, and grounds. 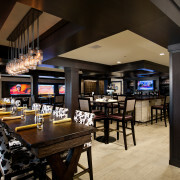 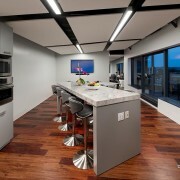 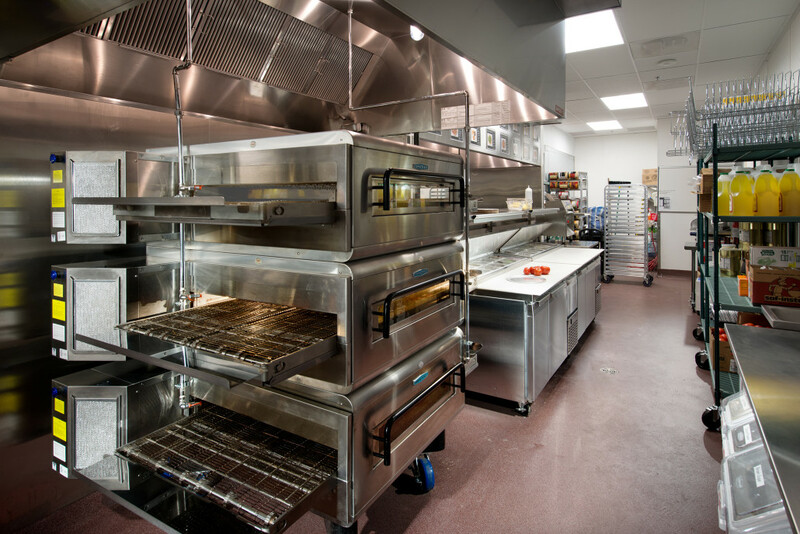 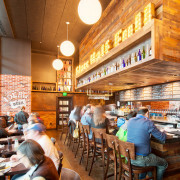 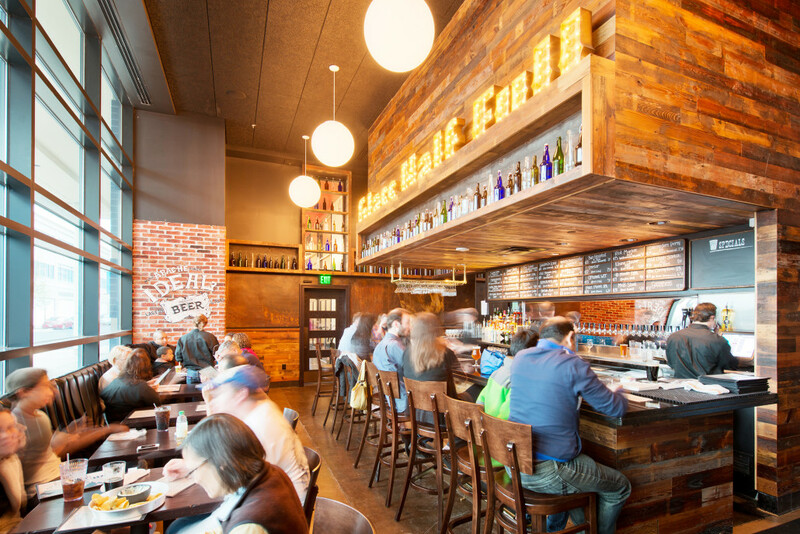 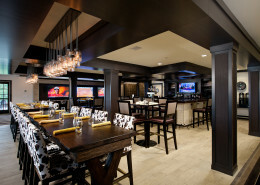 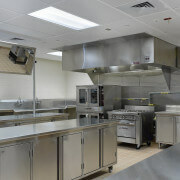 The club will maintain operation throughout the estimated four months of construction, including its kitchen. 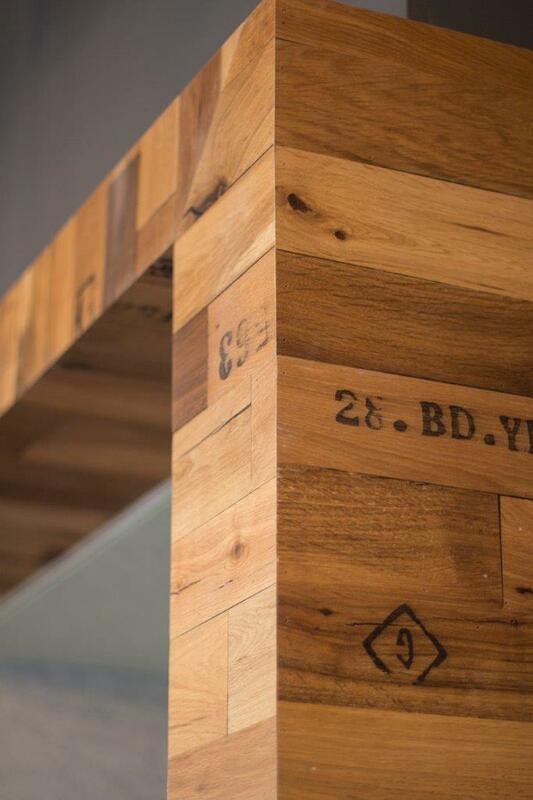 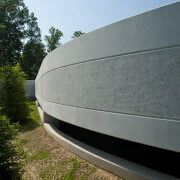 EE Reed will give a luxurious 21st century update to the existing facilities, built out of an old barn house. 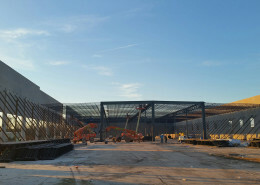 EE Reed will self-perform the demolition of the existing expansive concrete patio and its replacement, as well as a large portion of the required site work. 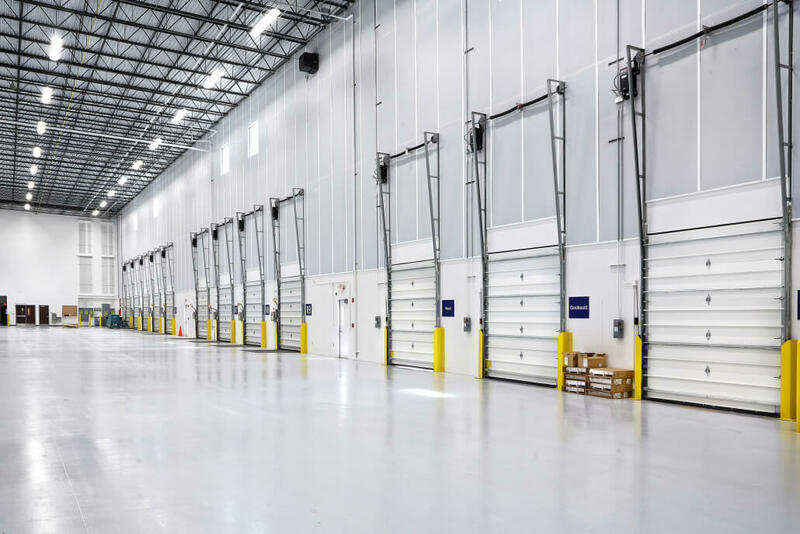 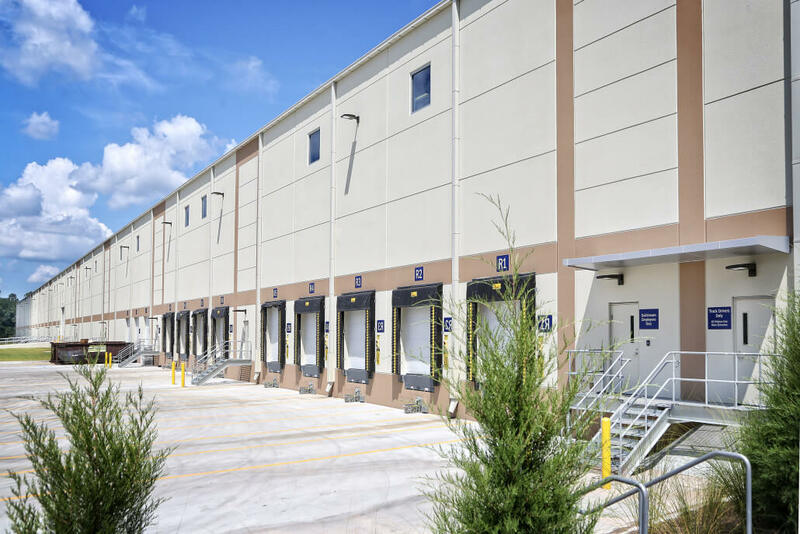 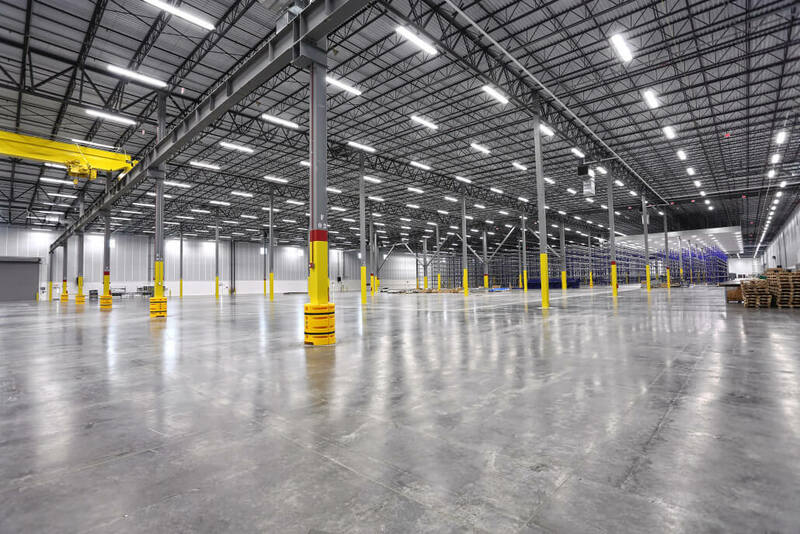 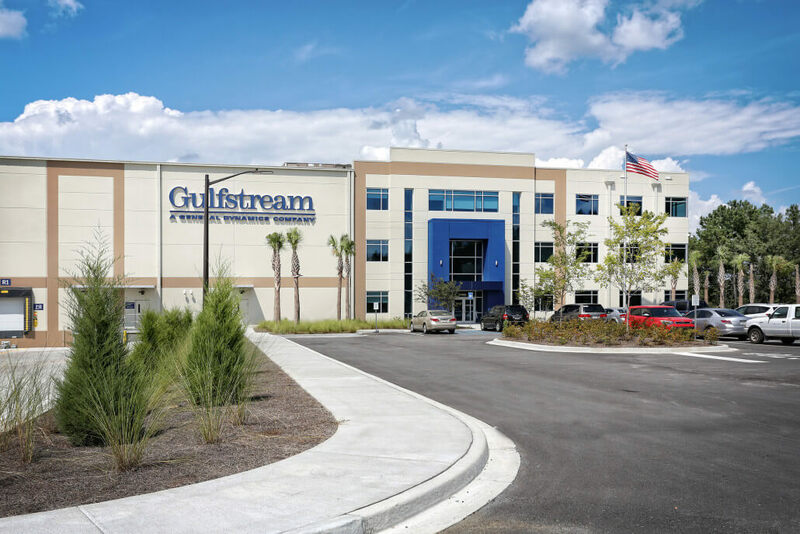 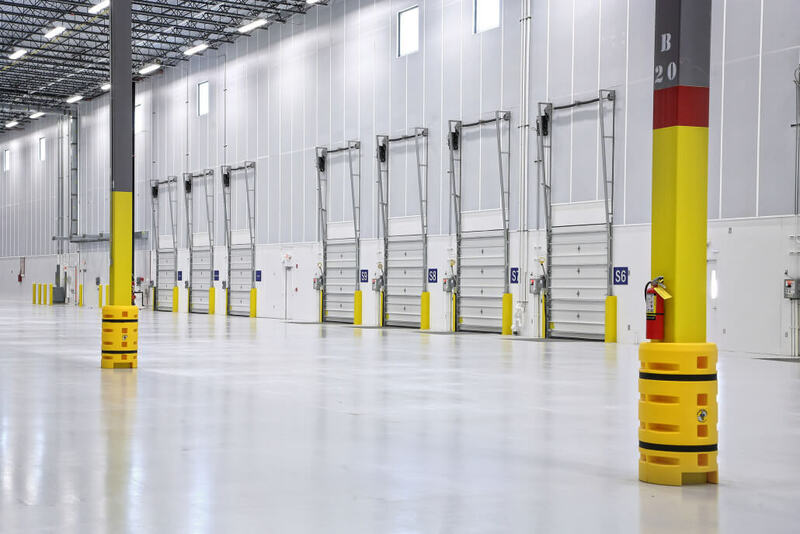 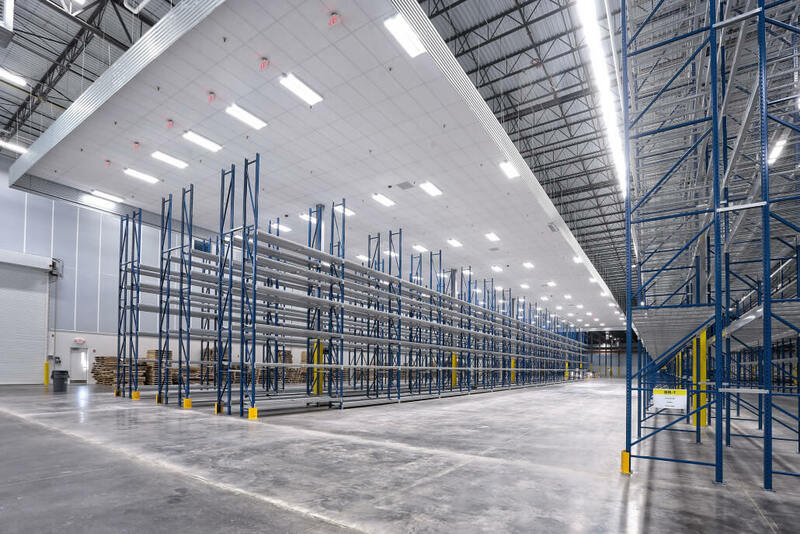 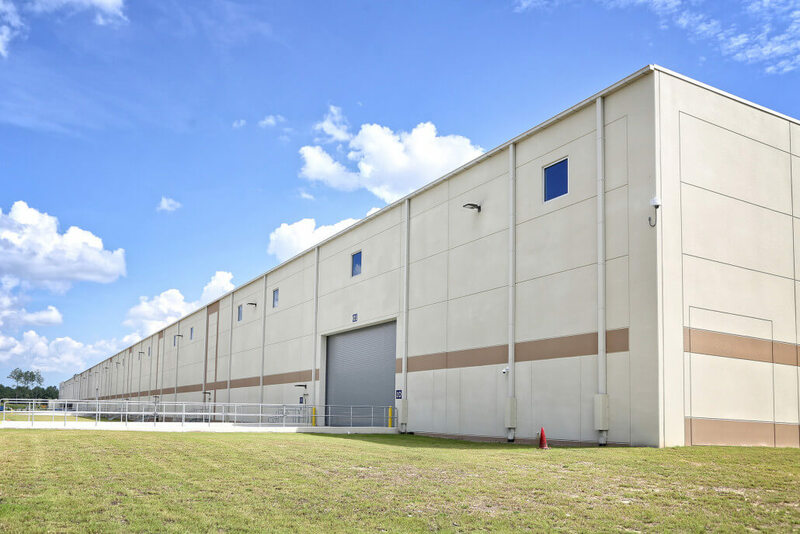 Competitively Bid; GMP; 337,400 SF, Tilt-Wall with Punched Openings and Curtainwall Distribution Center; 60-Mil Mechanically Fastened TPO Roofing System; Includes 90,000 SF Owner-Supplied Automation System; All Related Interior Improvements Including 67,800 SF Office Component and All Related Site Improvements Including Concrete Truck Courts. 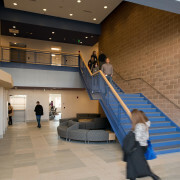 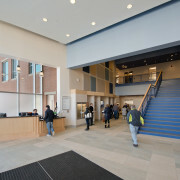 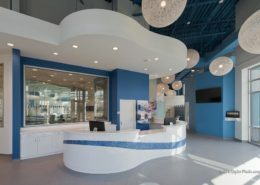 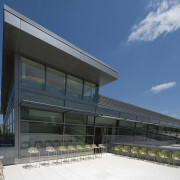 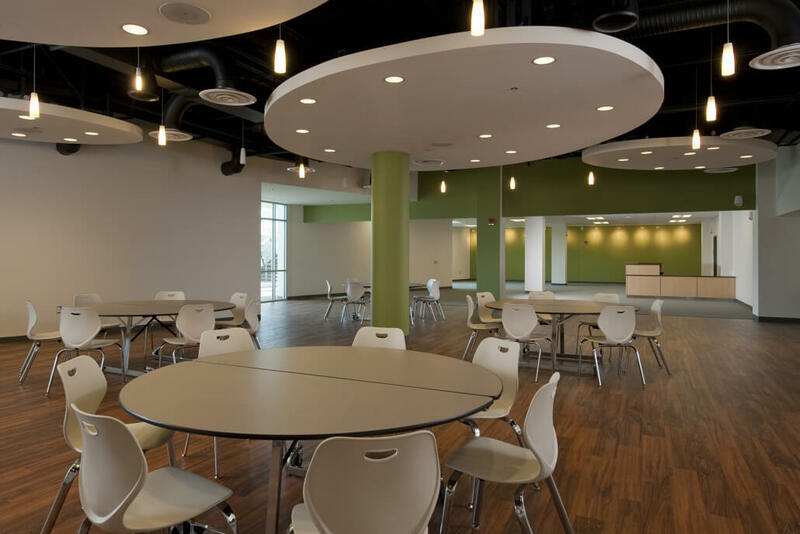 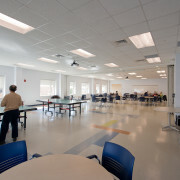 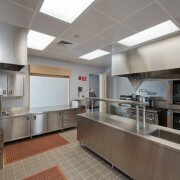 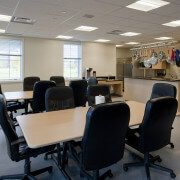 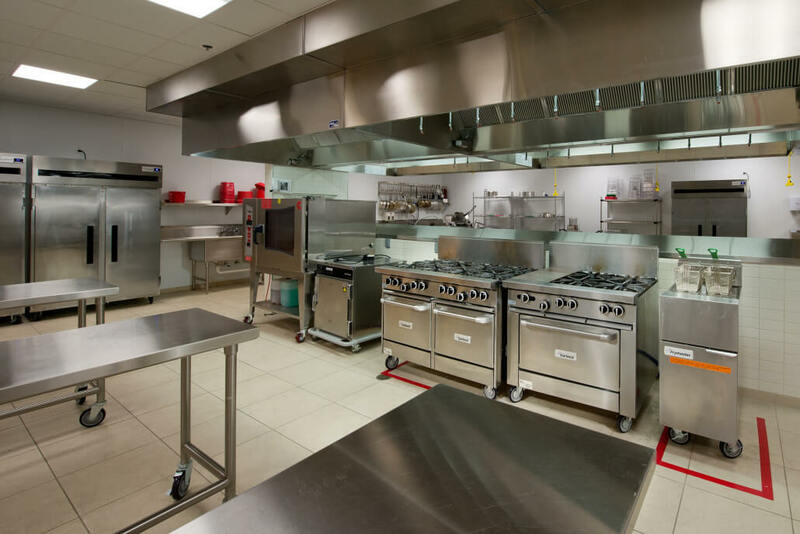 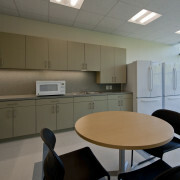 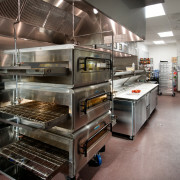 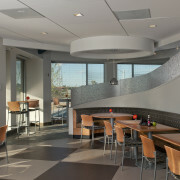 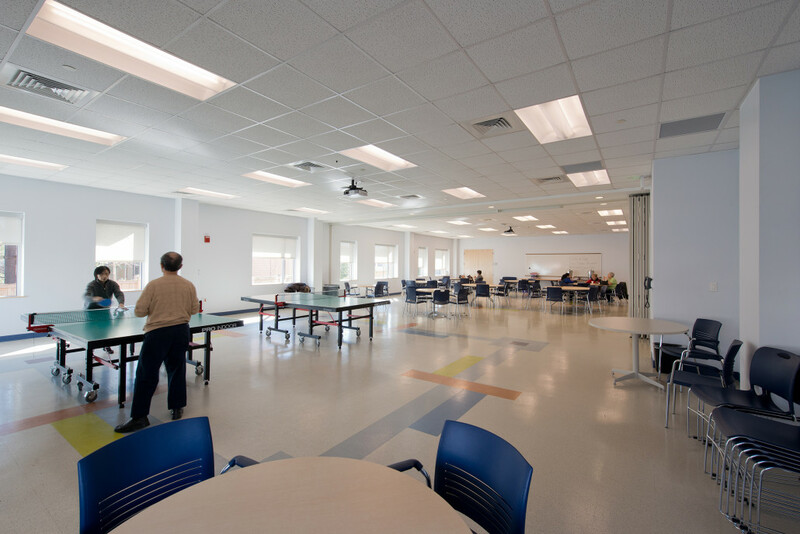 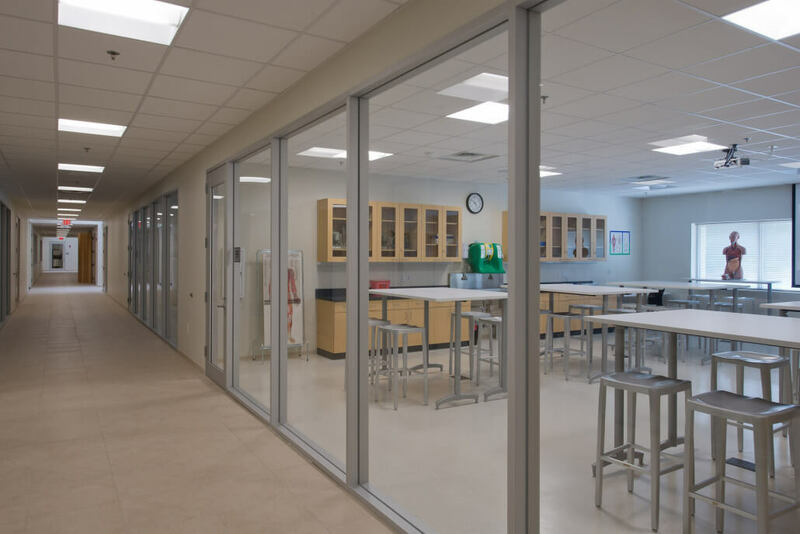 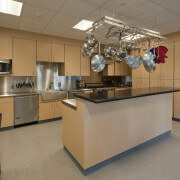 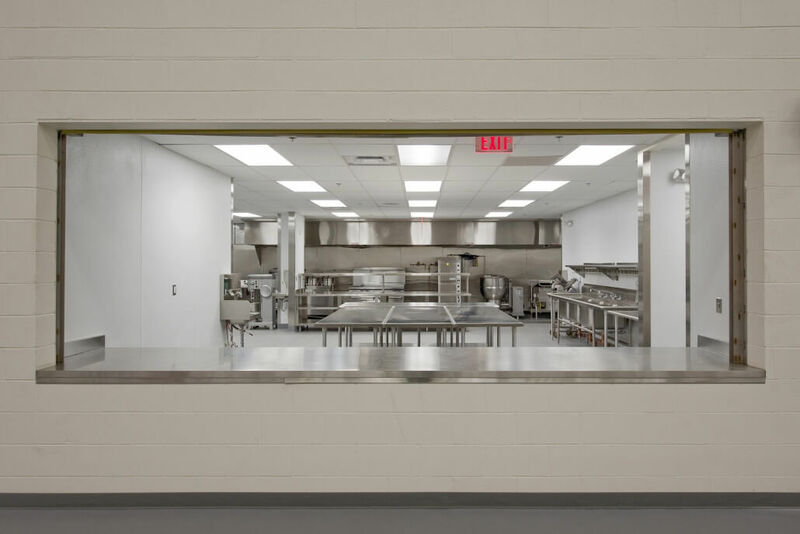 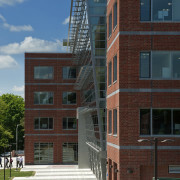 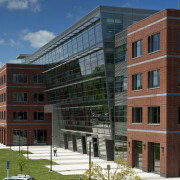 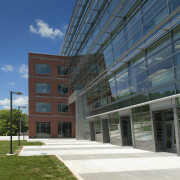 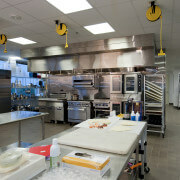 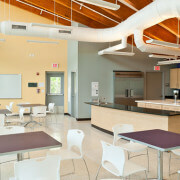 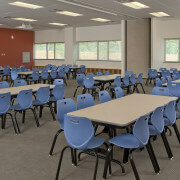 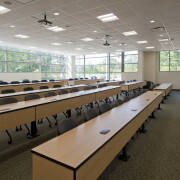 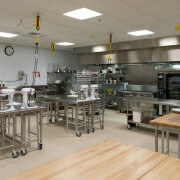 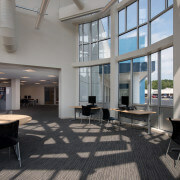 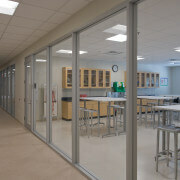 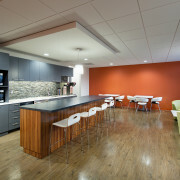 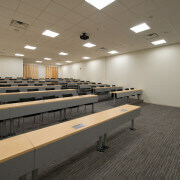 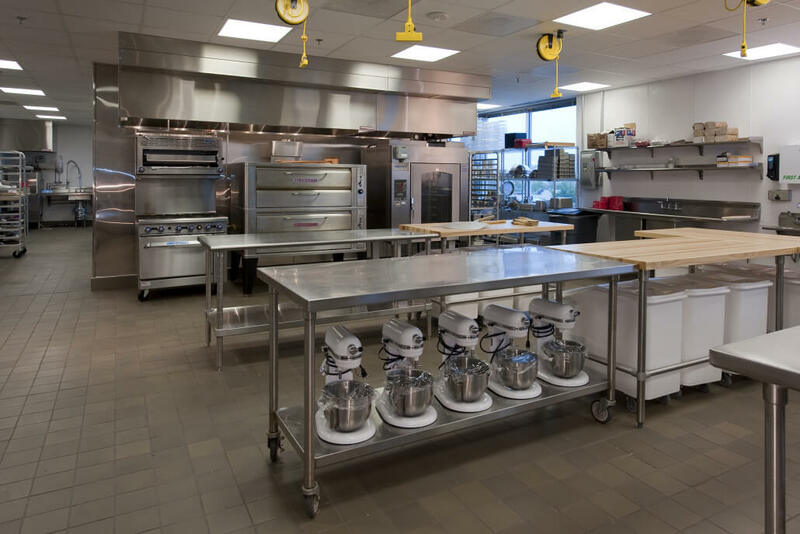 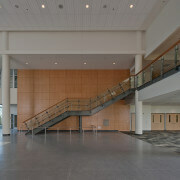 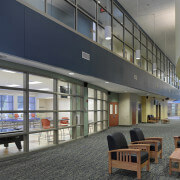 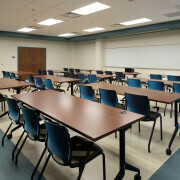 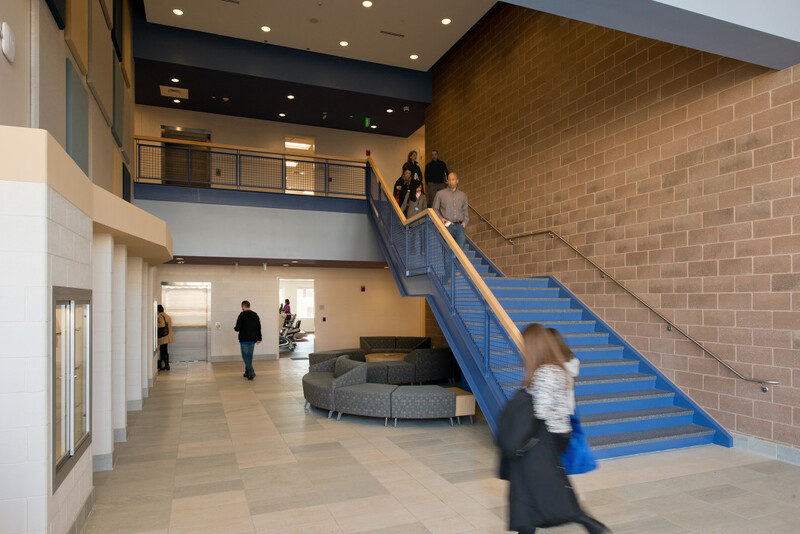 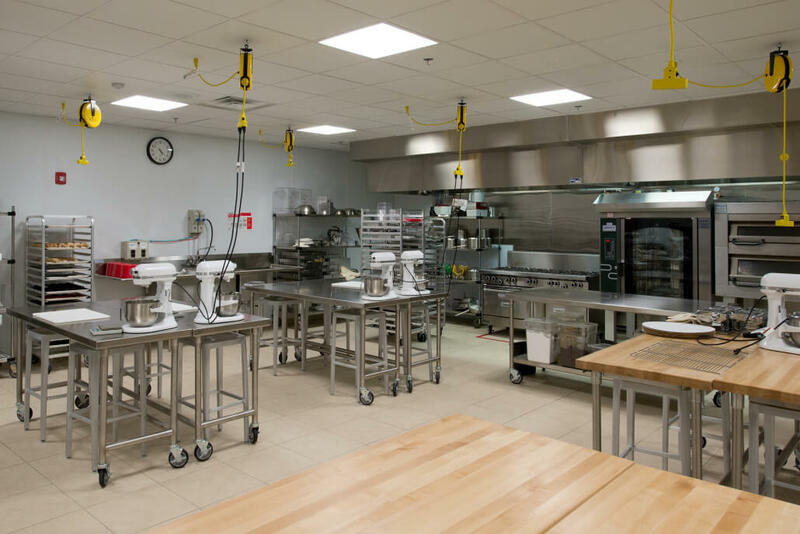 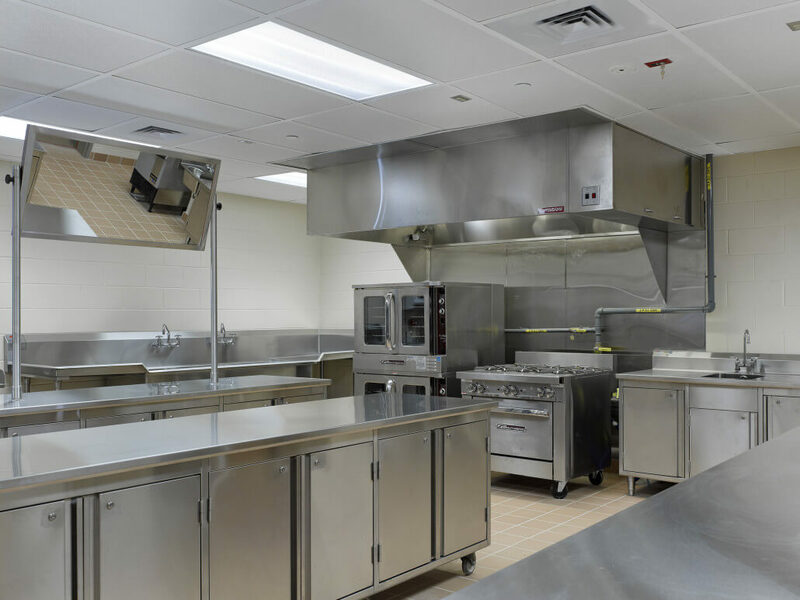 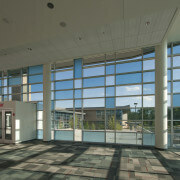 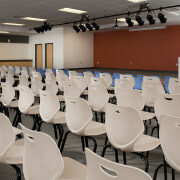 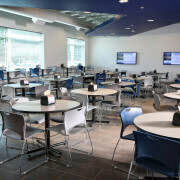 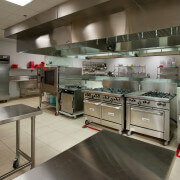 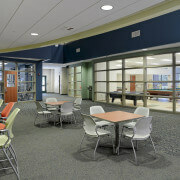 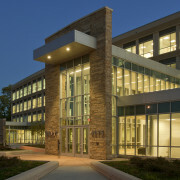 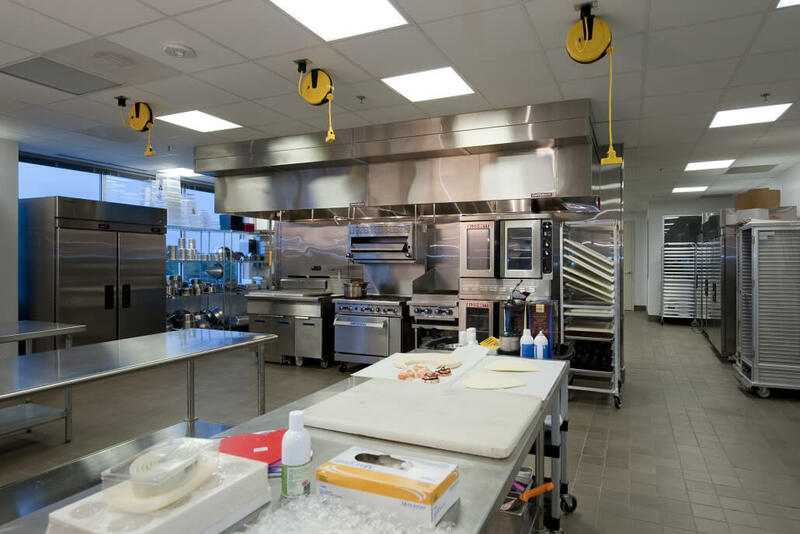 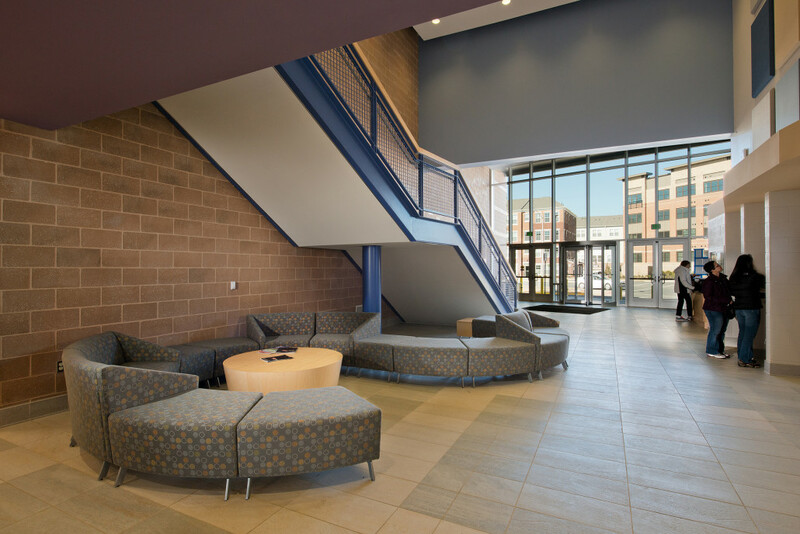 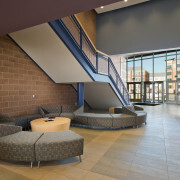 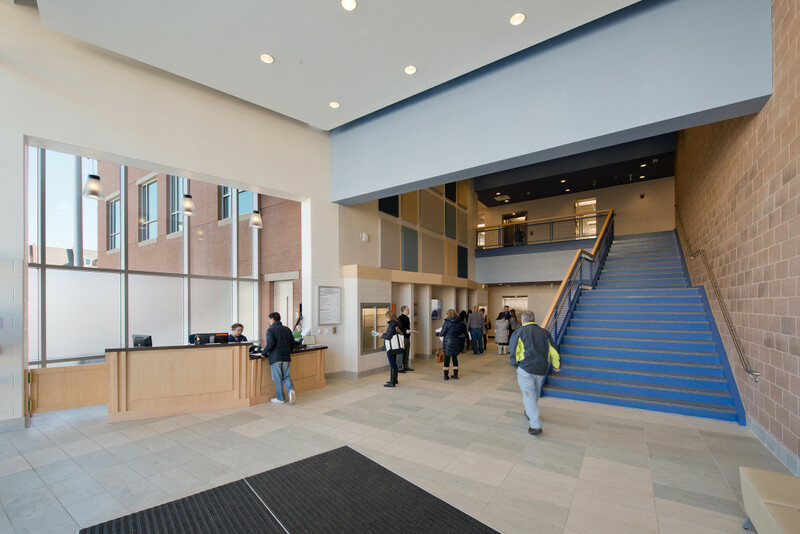 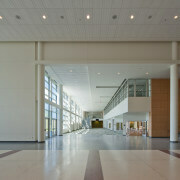 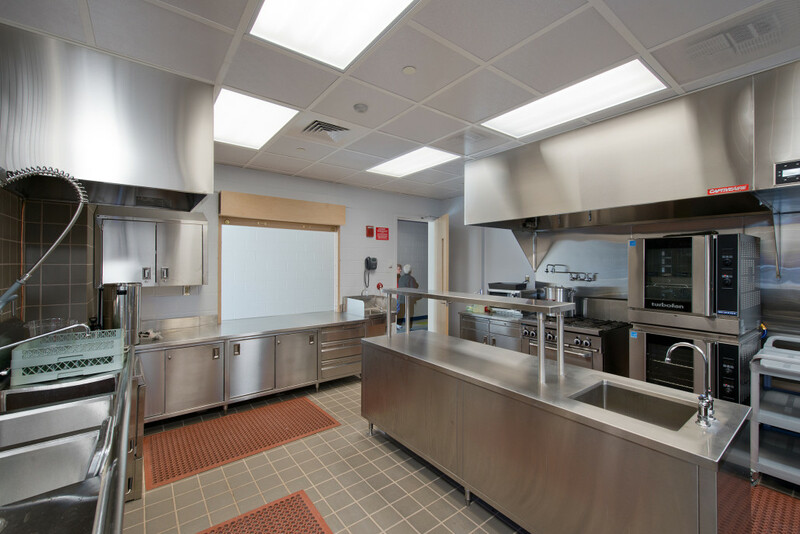 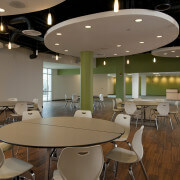 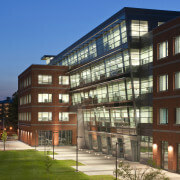 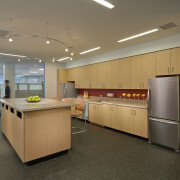 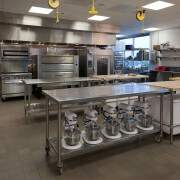 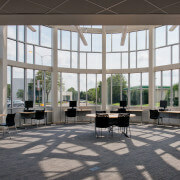 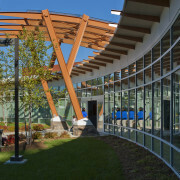 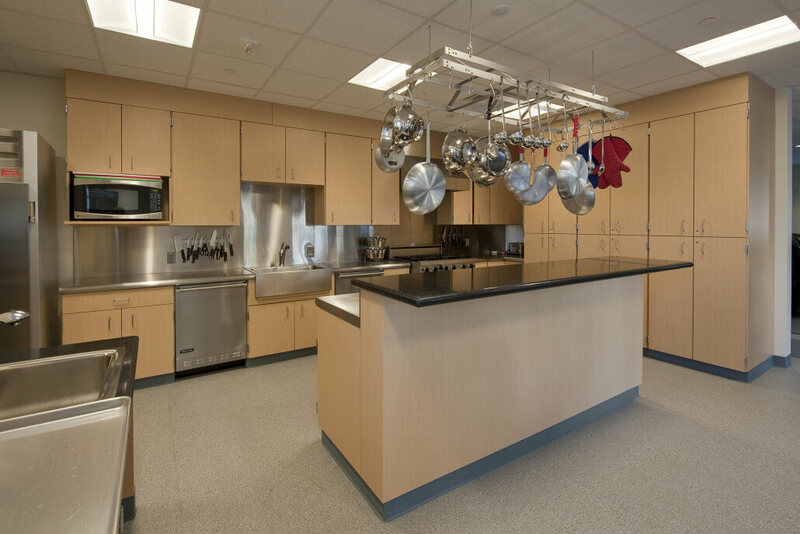 Each Campus consisted of Full interiors fit-out which included multiple Commercial Kitchens and dining room for the Culinary School, Applied Health Sciences Labs, Computer Labs, Library with offices for the administrative staff. 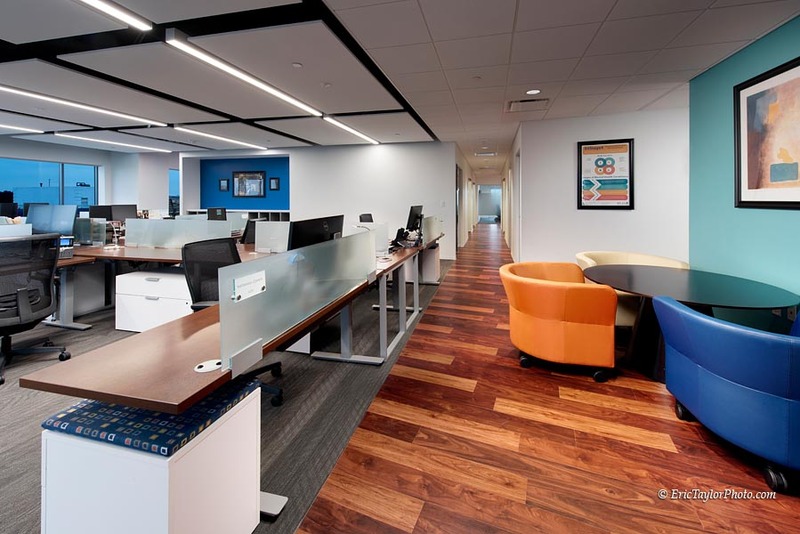 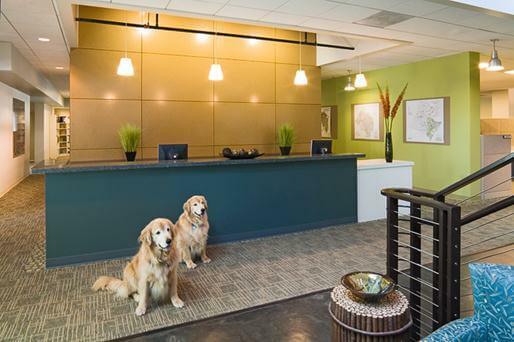 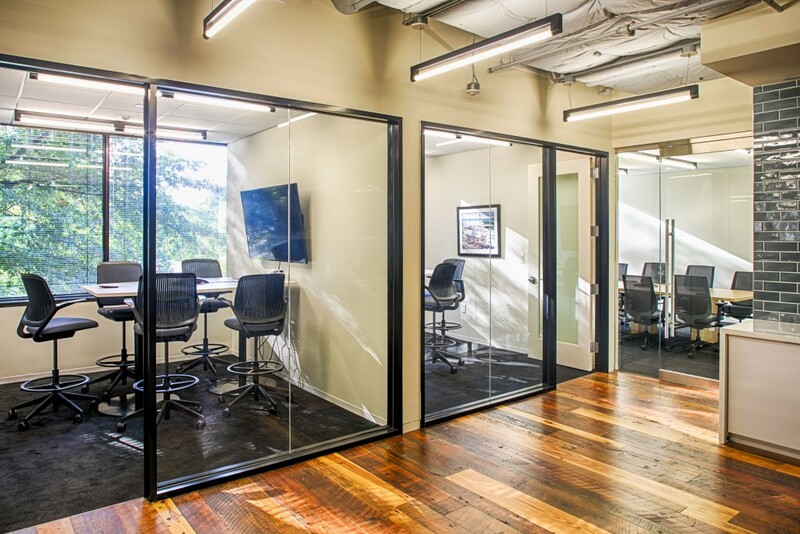 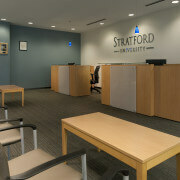 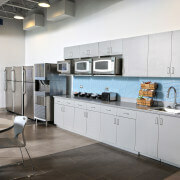 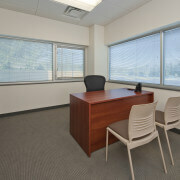 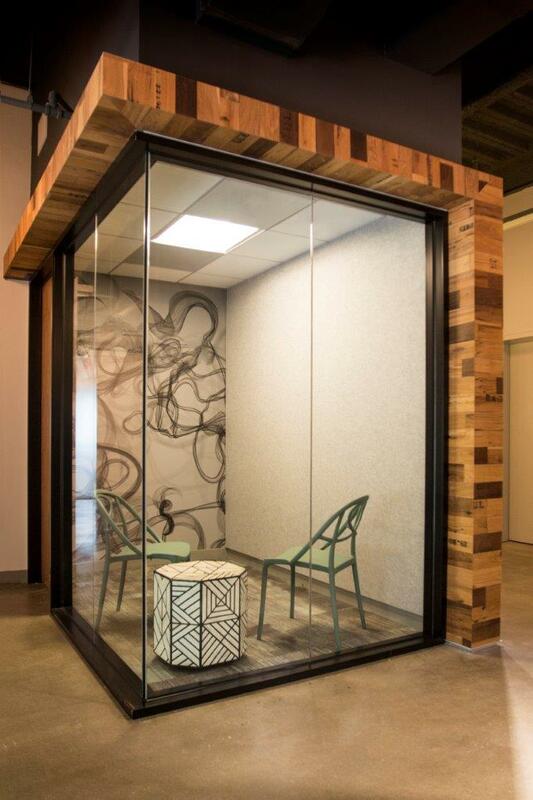 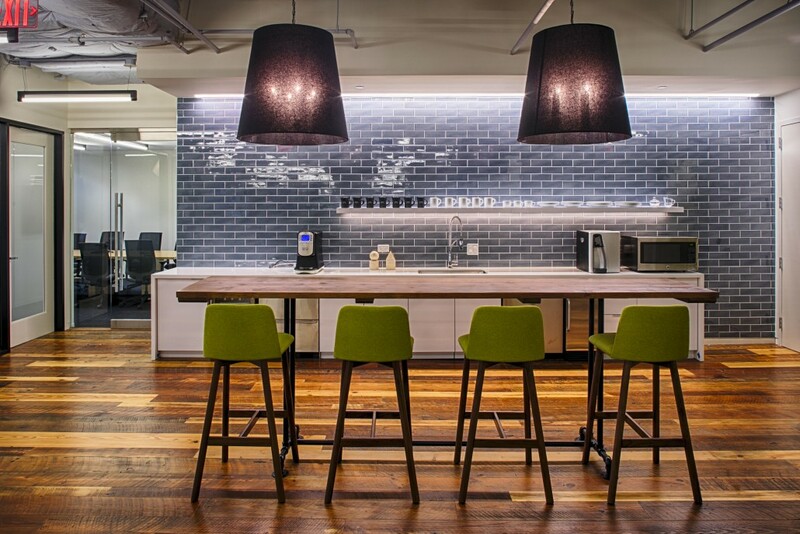 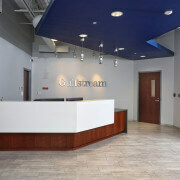 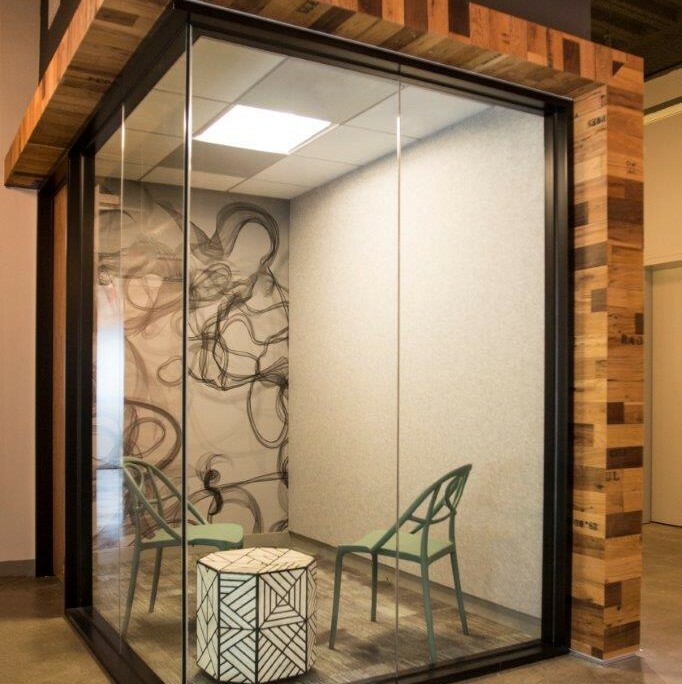 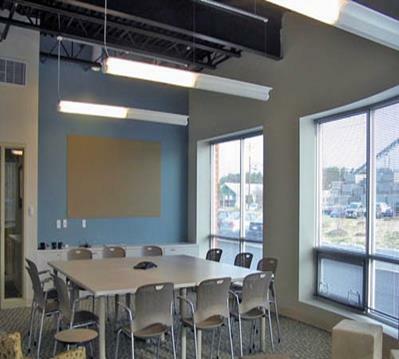 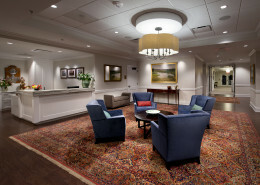 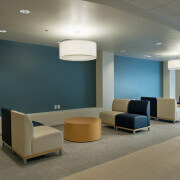 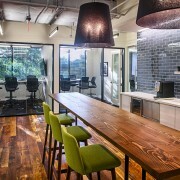 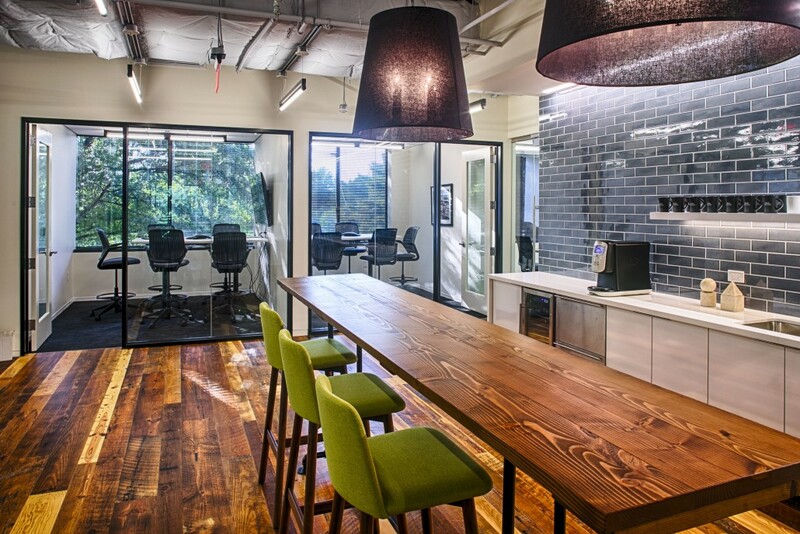 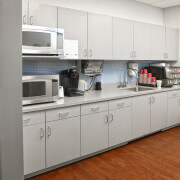 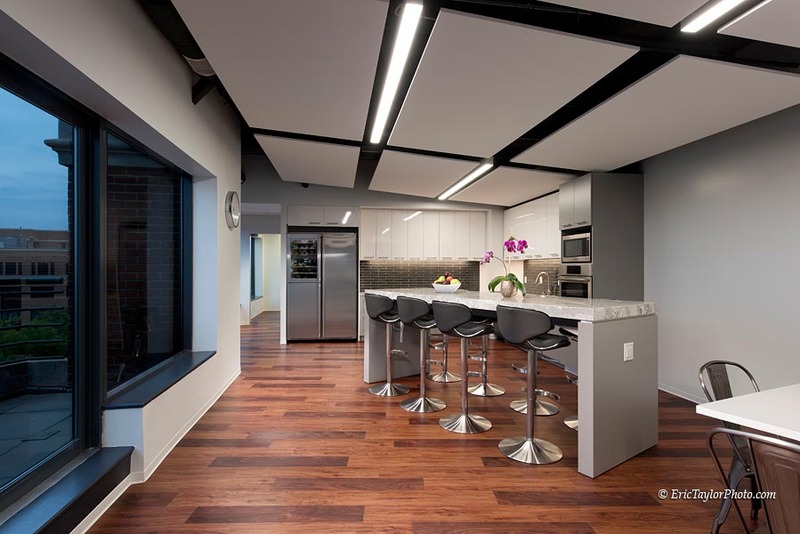 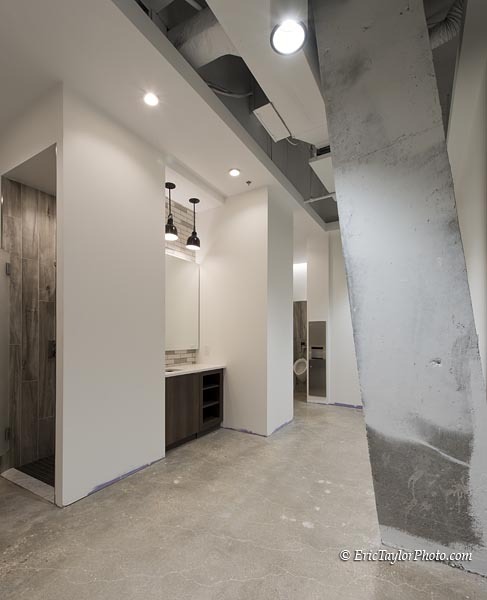 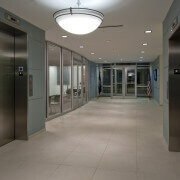 14,500 SF Interior Renovation; Open Floor Plan w/Systems Furniture and Perimeter Offices. 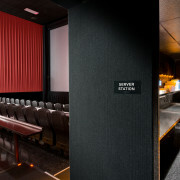 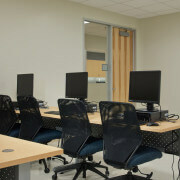 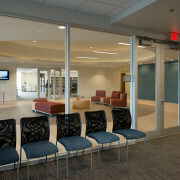 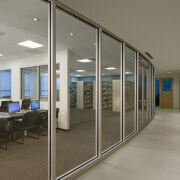 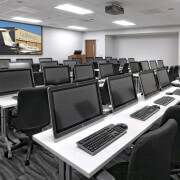 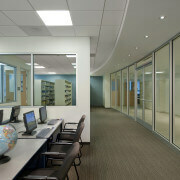 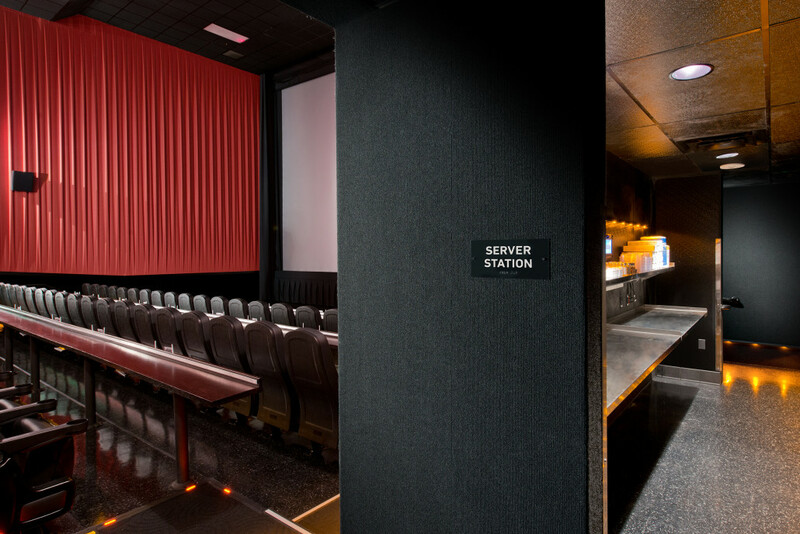 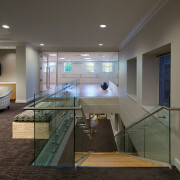 Multiple Glass Front LAN Rooms, NOC Rooms and Seating Lounge. 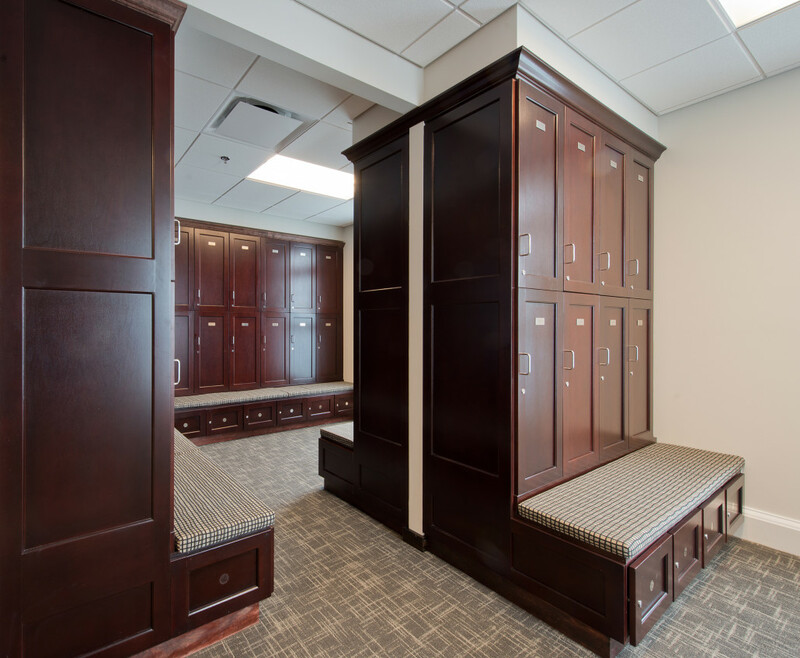 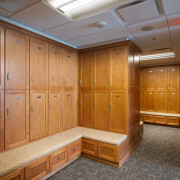 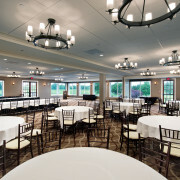 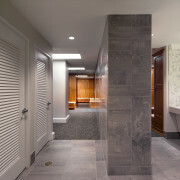 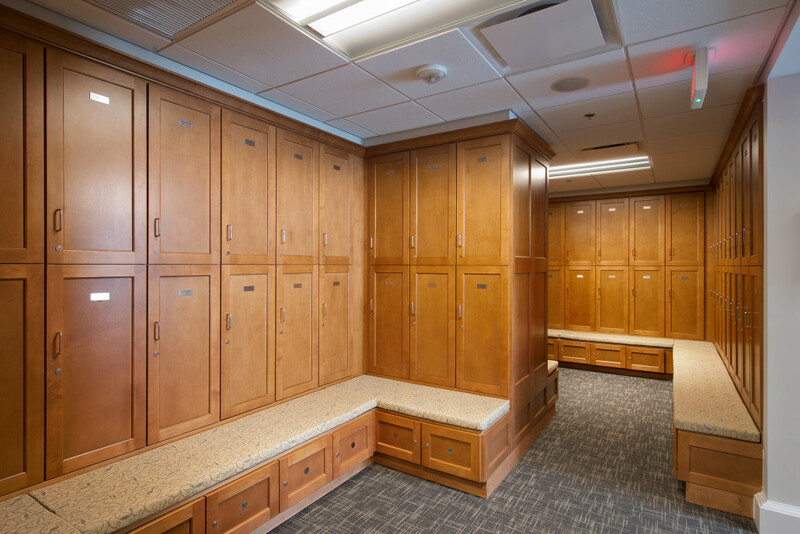 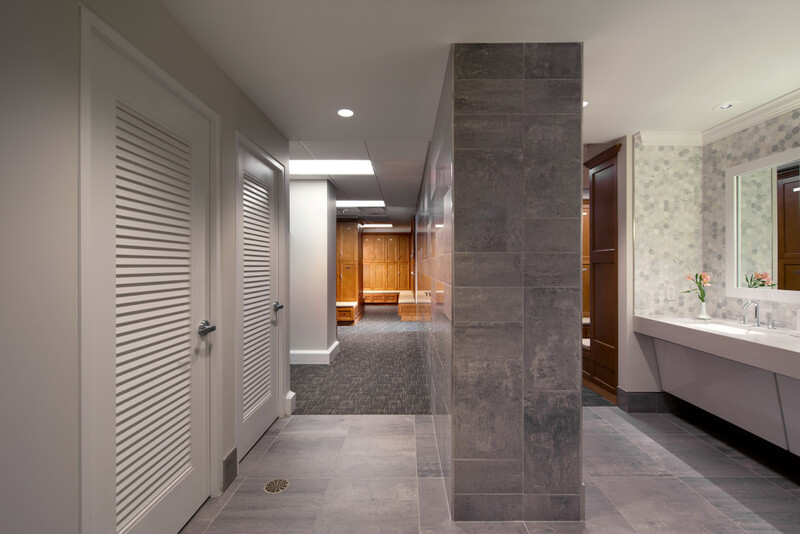 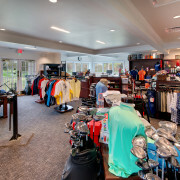 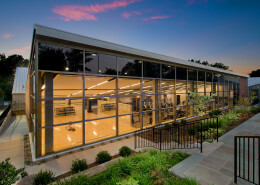 Renovation of 16,000 GSF Country Club Facility. 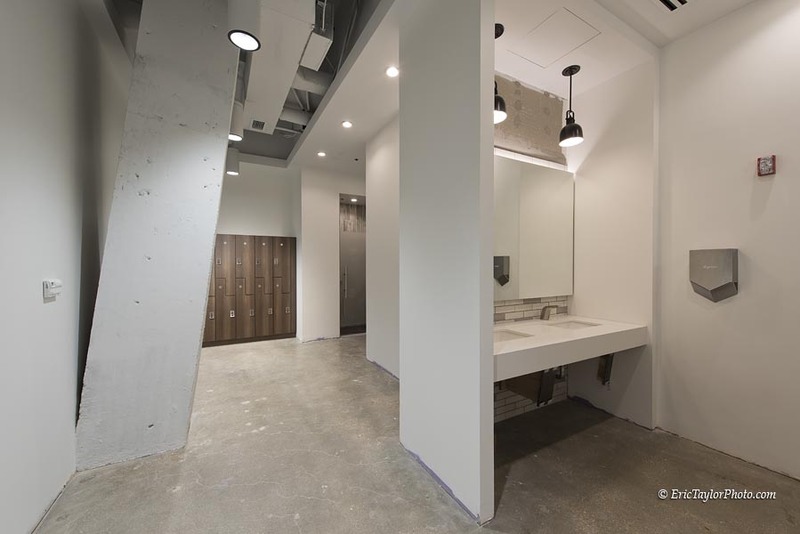 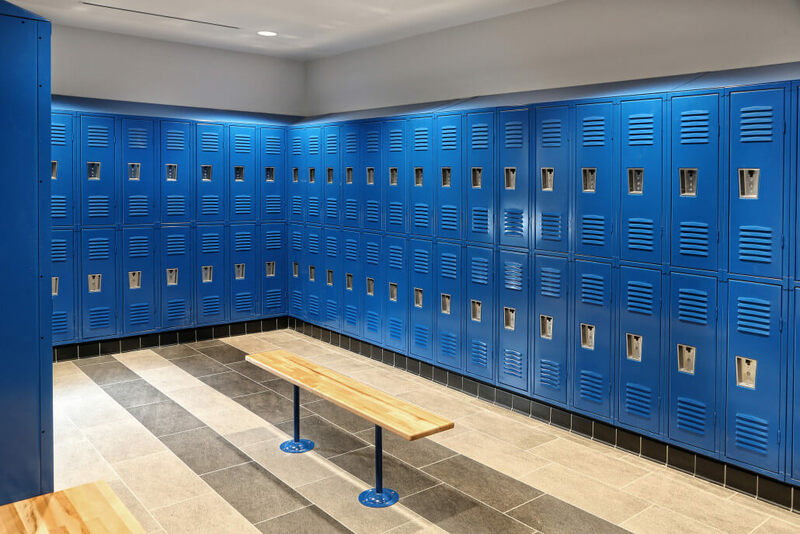 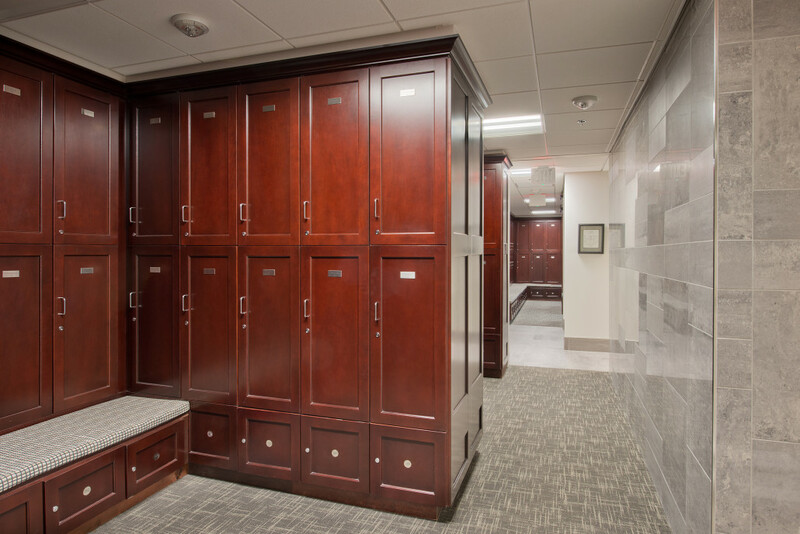 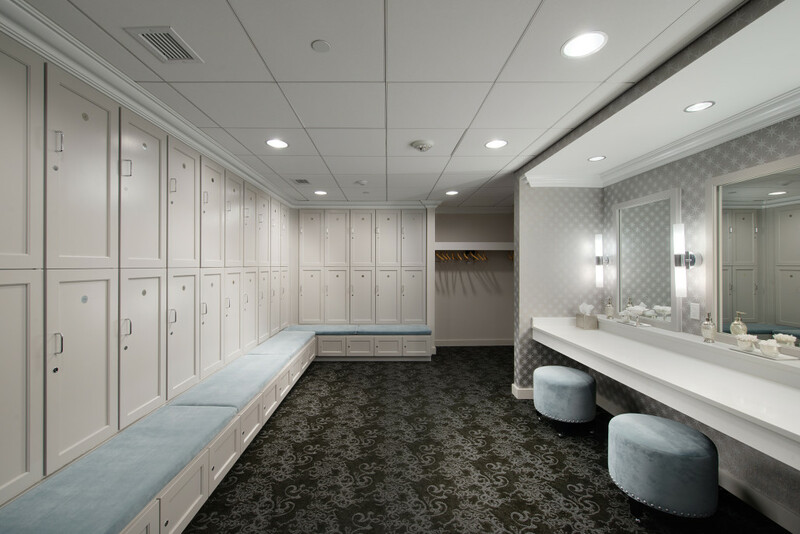 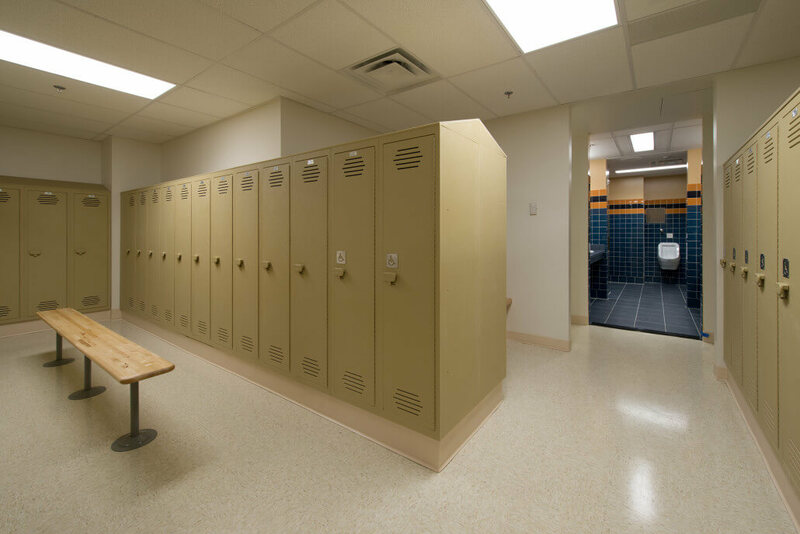 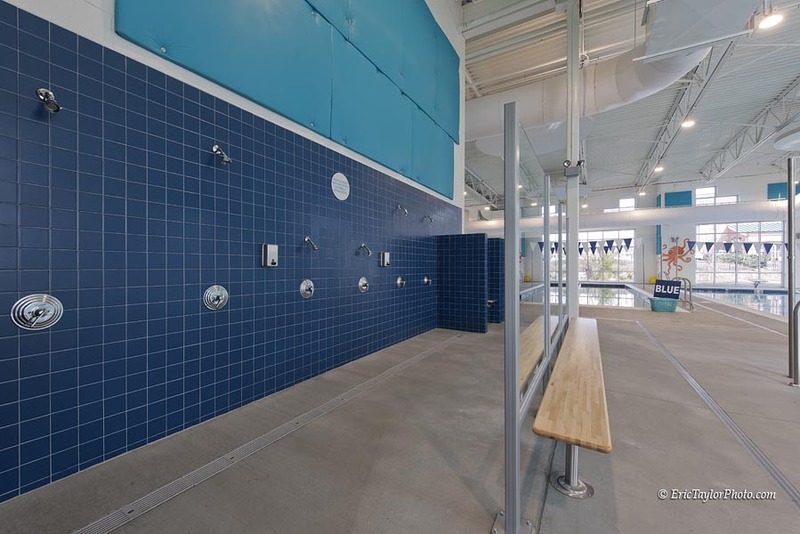 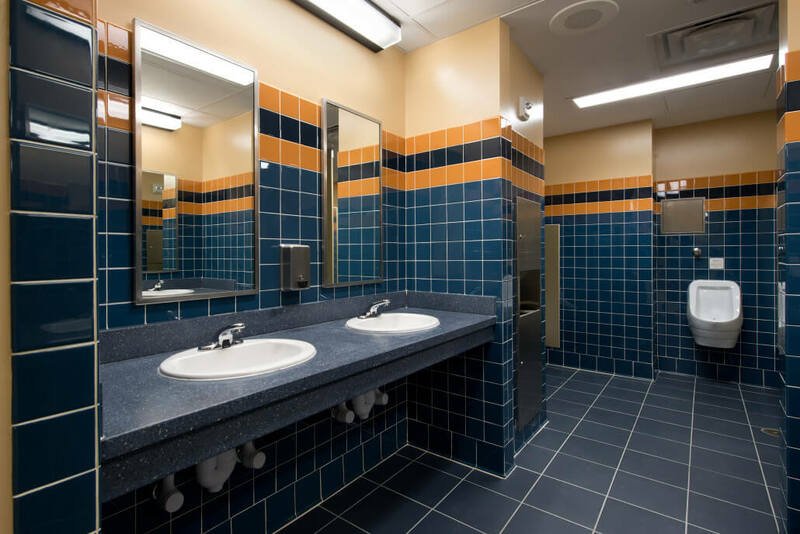 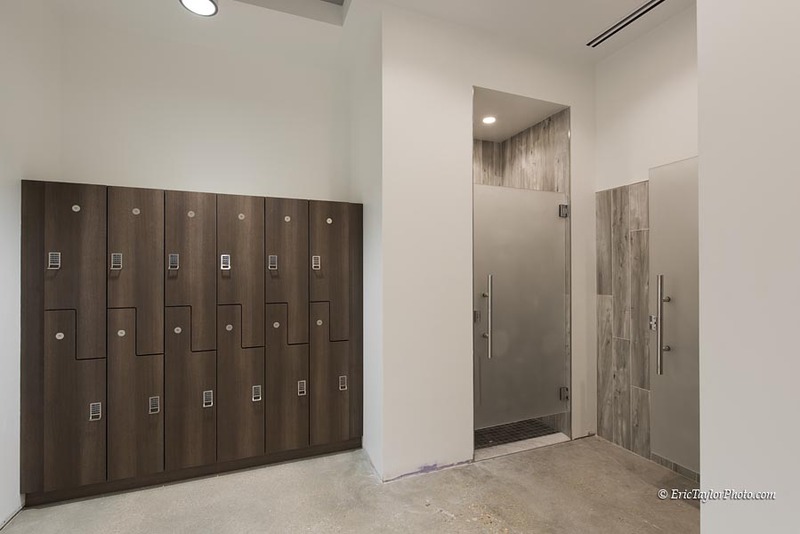 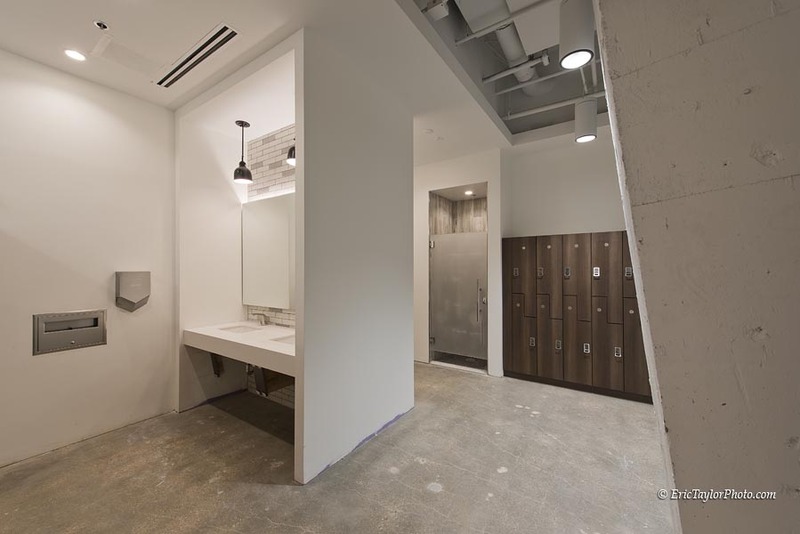 Work includes demolition / updating fire sprinkler system / new finishes throughout / reconfiguring locker rooms to meet ADA / new public restrooms and all associated MEP to facilitate the new construction. 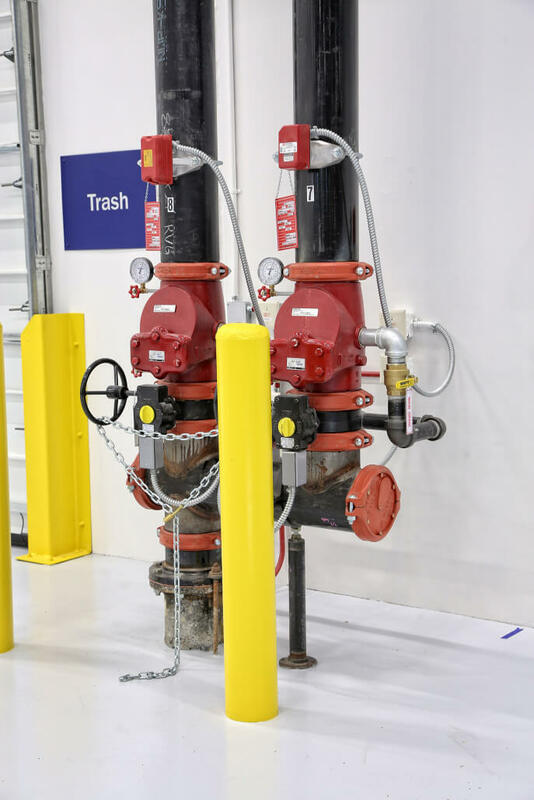 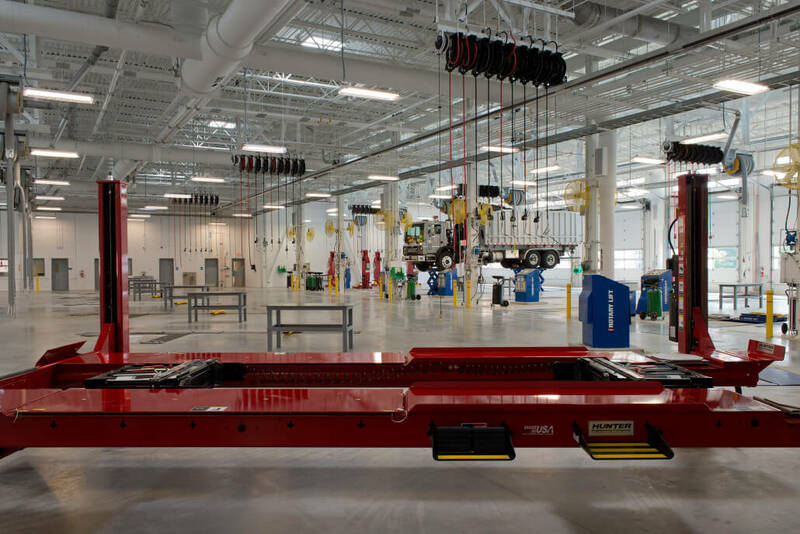 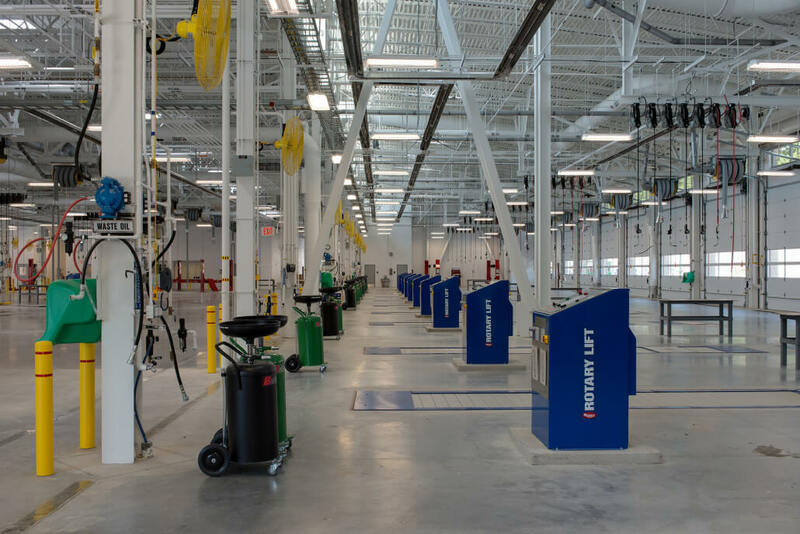 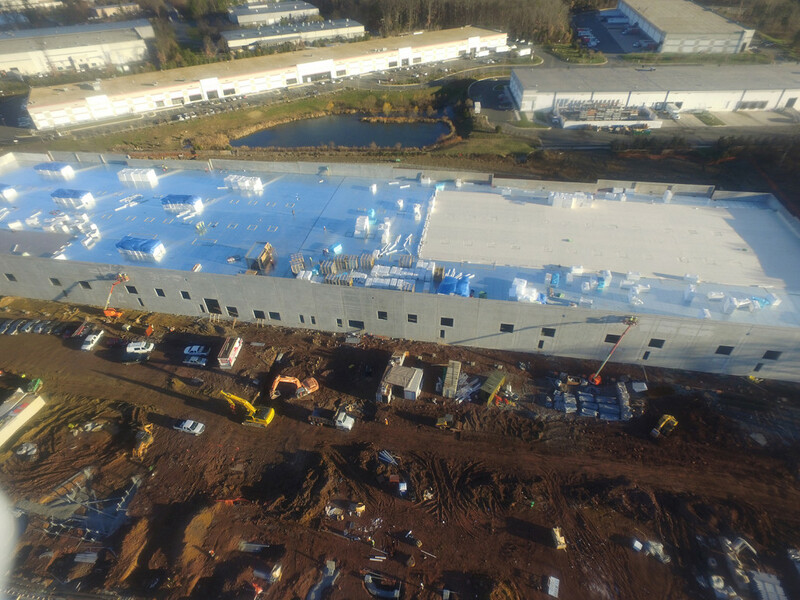 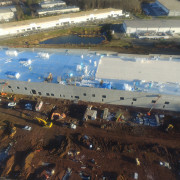 The Phased Construction of 25.4 acre site and utility modifications, approximately 91,000 SF new vehicle maintenance facility and demolition of 60,000 SF existing structure. 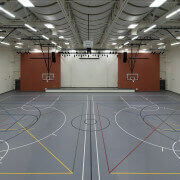 14,000 SF One-Story Addition; 10,000 SF Two-Story Renovation including New Locker Rooms and a Fitness Area. 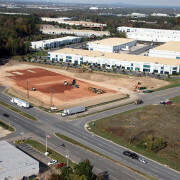 Project also included taking two concrete tennis courts and creating three clay tennis courts. 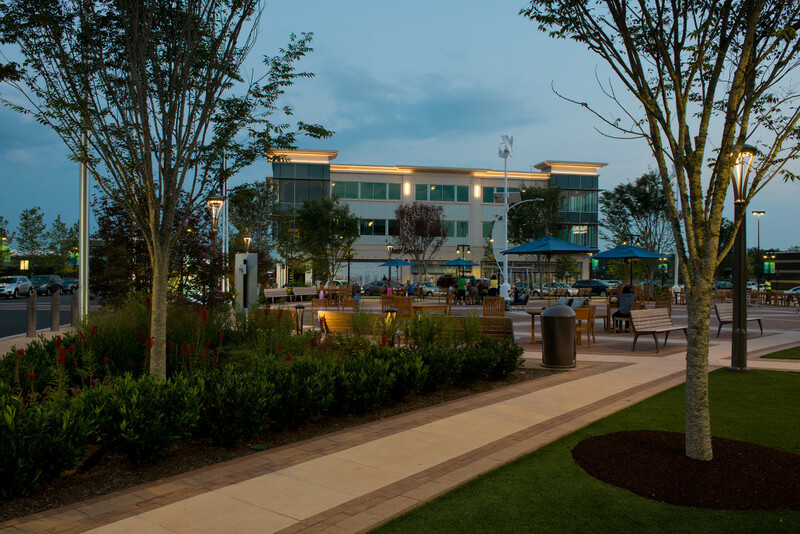 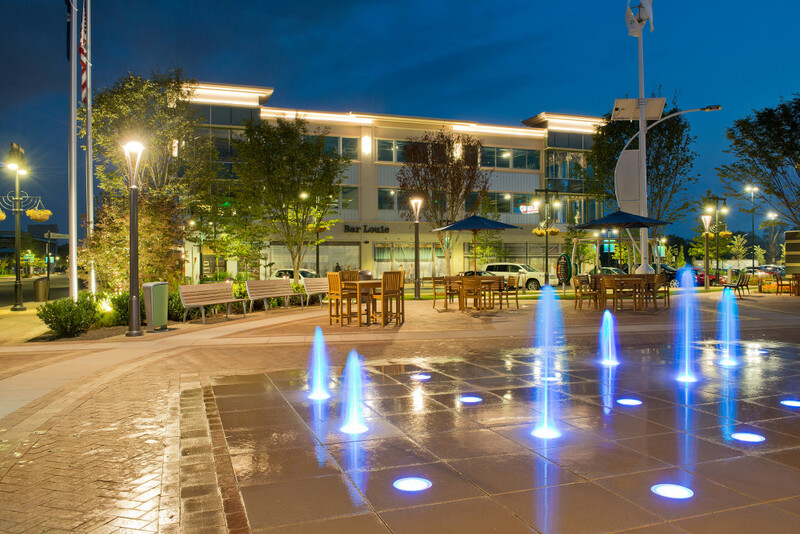 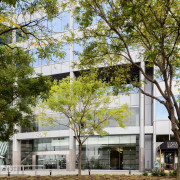 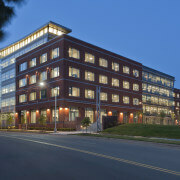 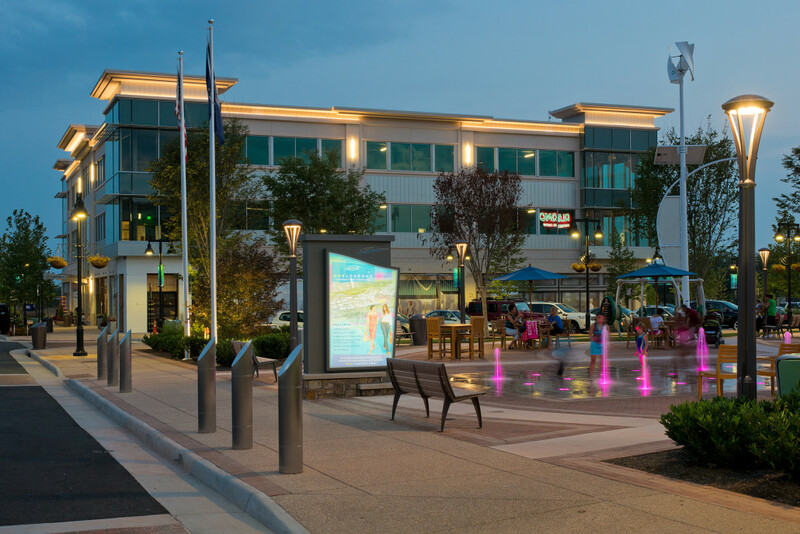 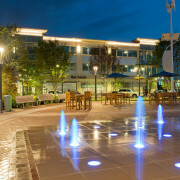 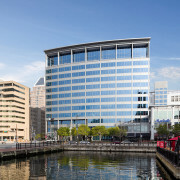 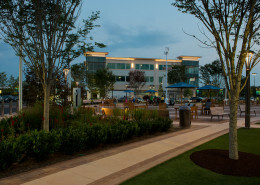 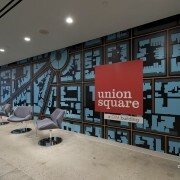 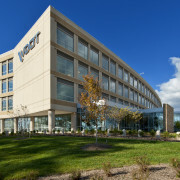 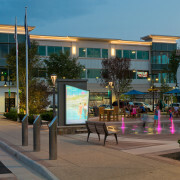 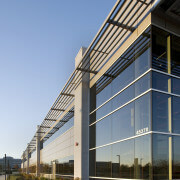 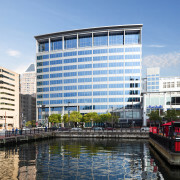 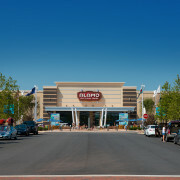 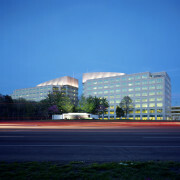 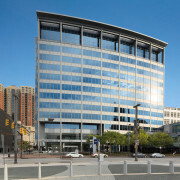 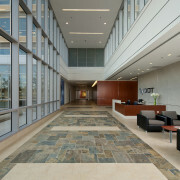 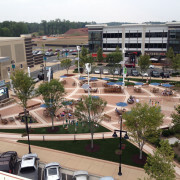 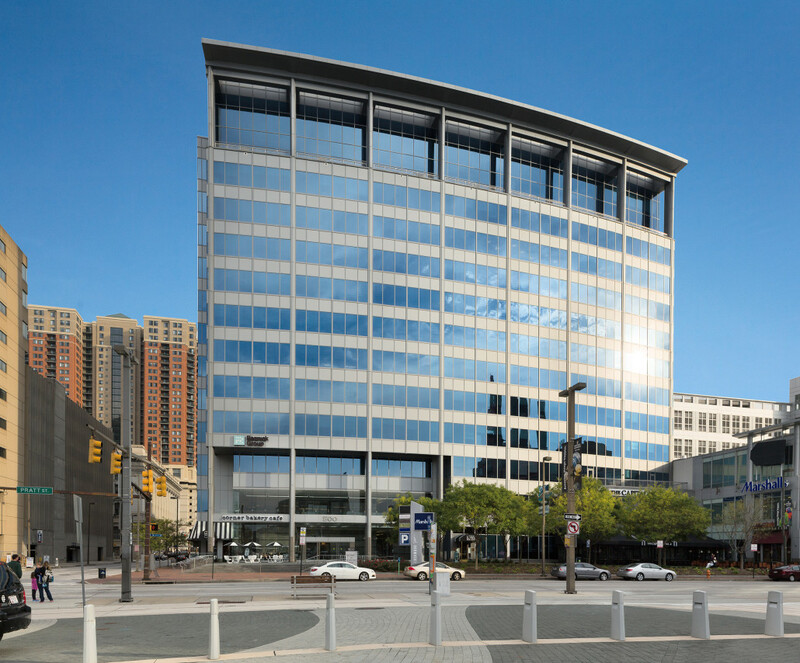 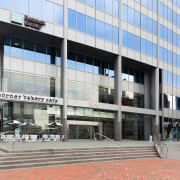 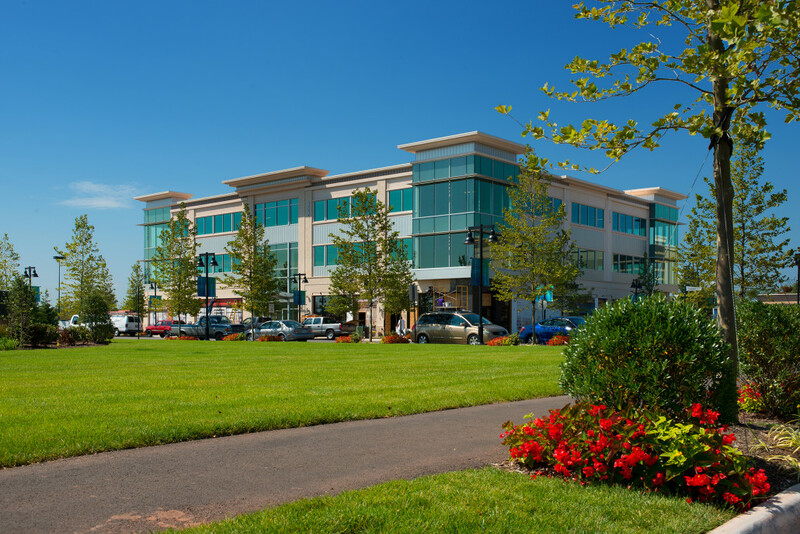 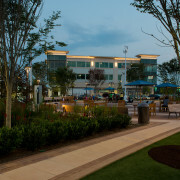 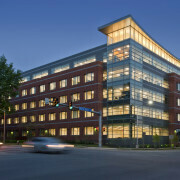 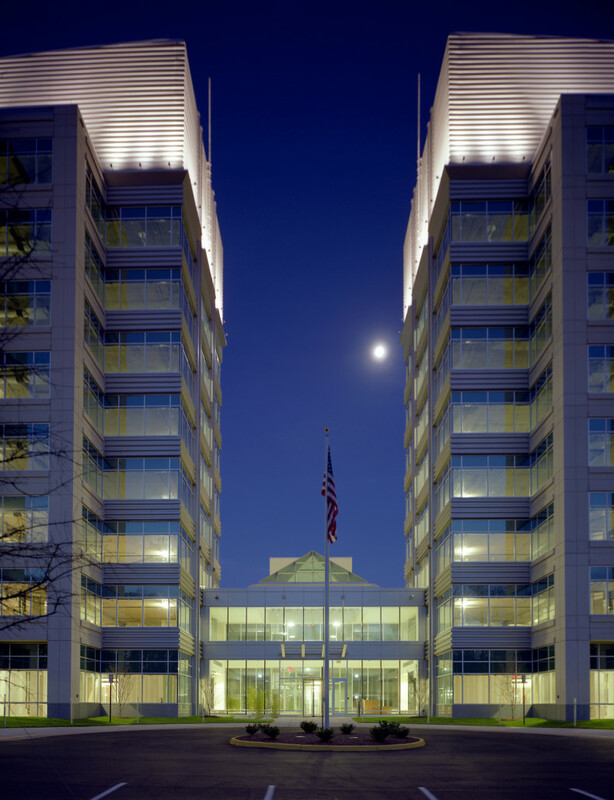 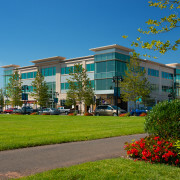 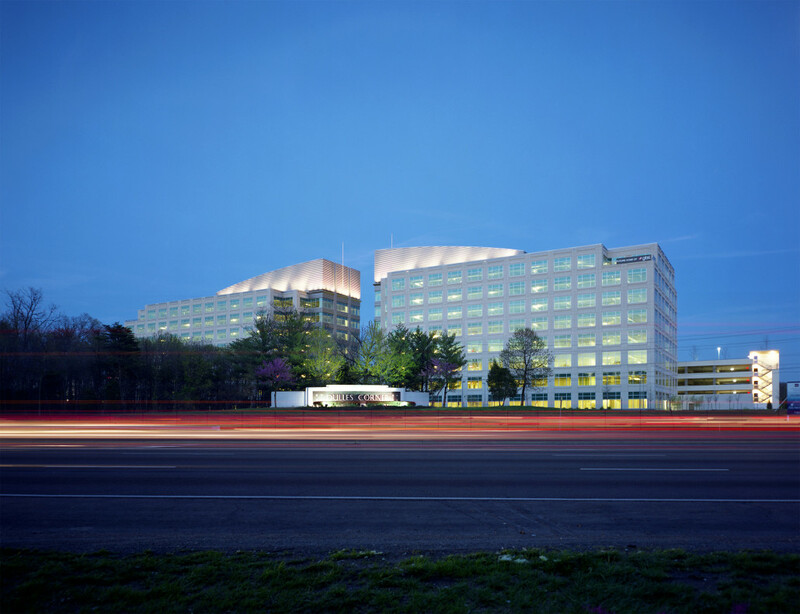 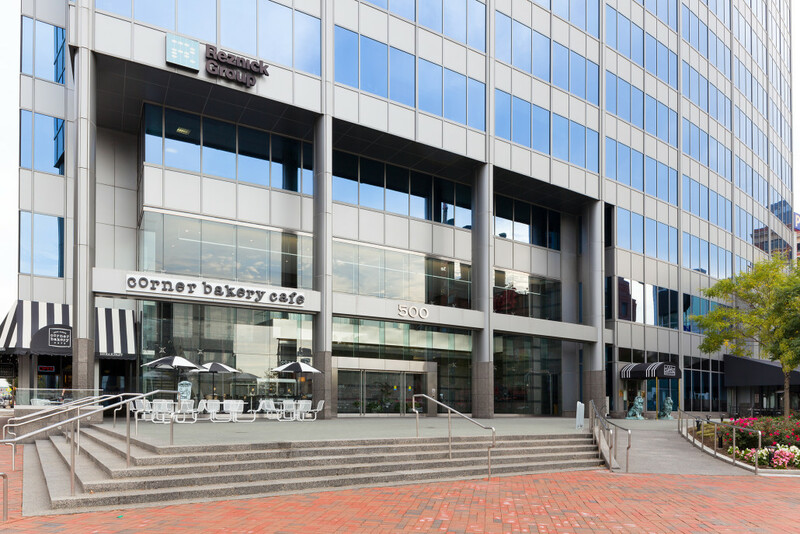 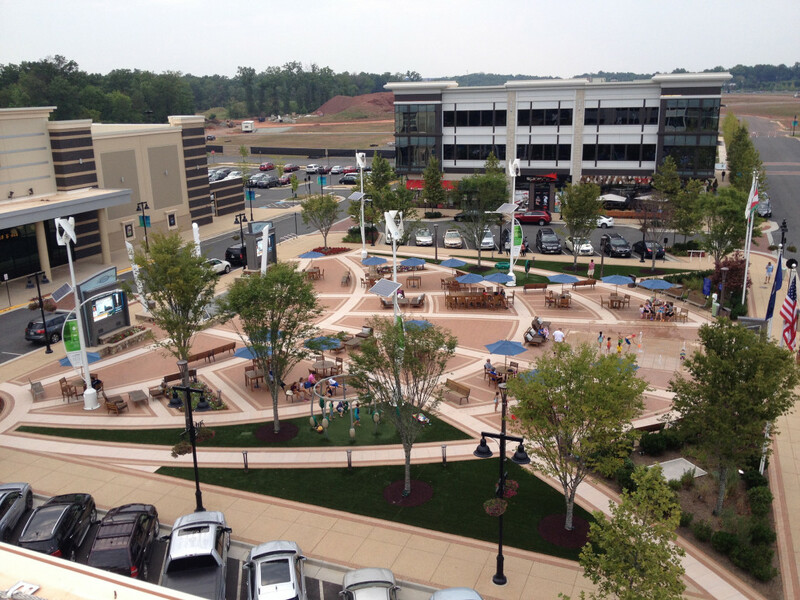 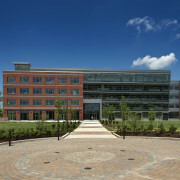 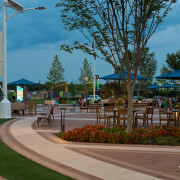 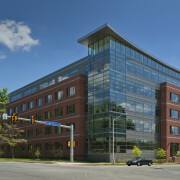 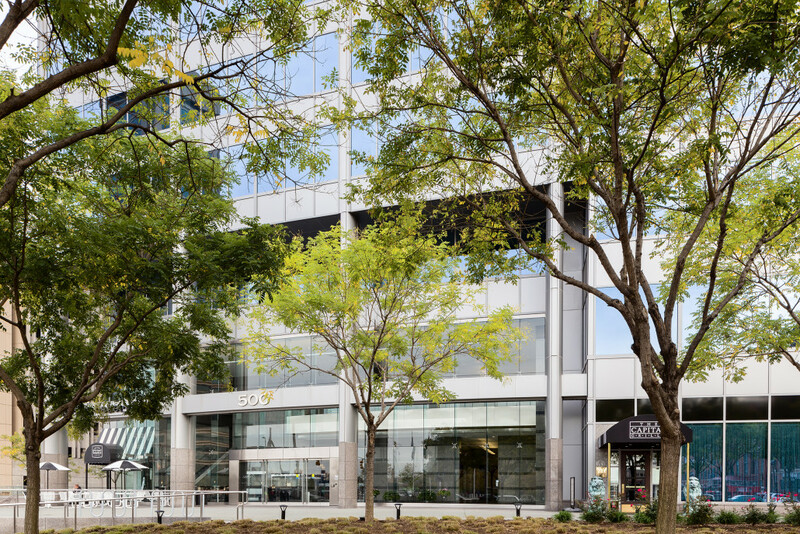 110,000 Aggregate SF, Two, Three-Story Shell Office Buildings; Two Office Levels Over One Retail/Restaurant Level; Steel Framed; Brick and Glass Façade; Lobby and Core Shell Finishes; Related Site Improvements Including Paved and Landscaped Central Plaza with Interactive Fountain, Electronic Screen, Site Furnishings, and High-Quality Light Fixtures. 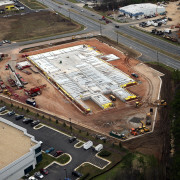 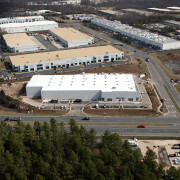 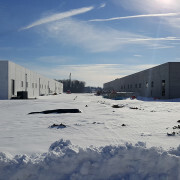 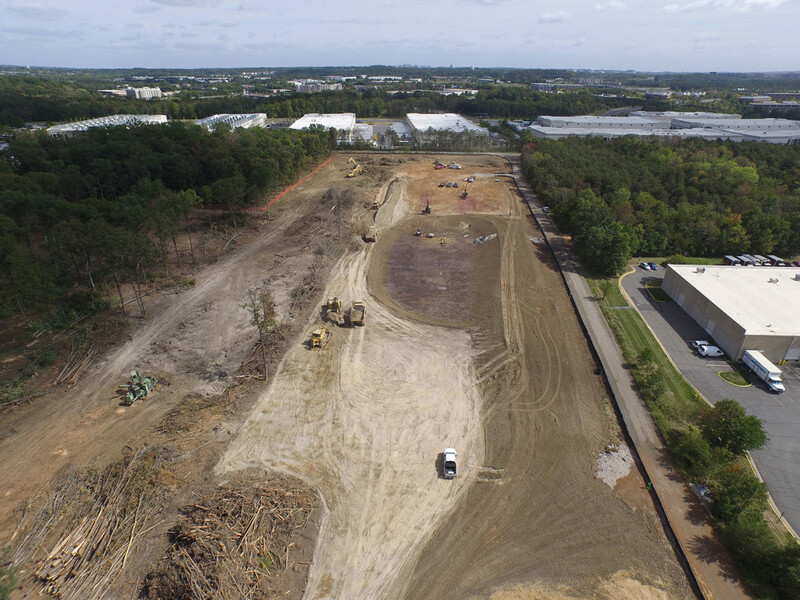 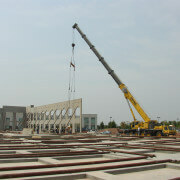 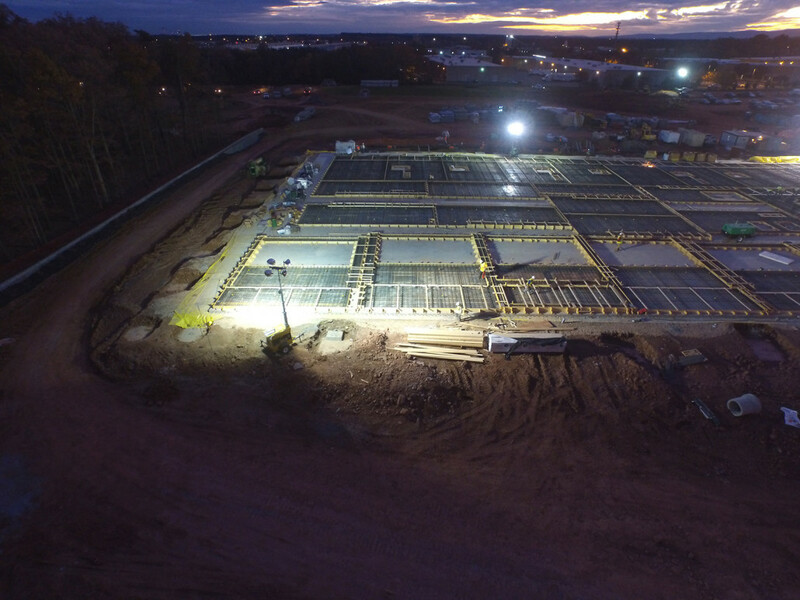 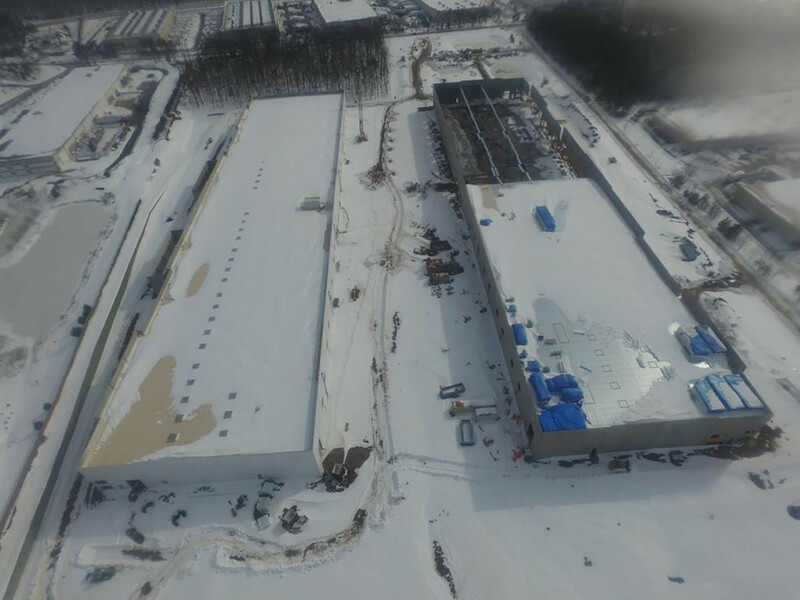 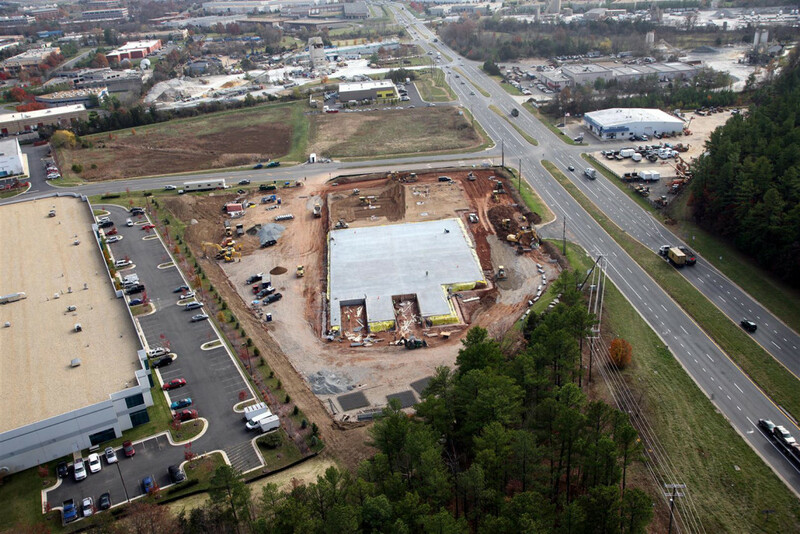 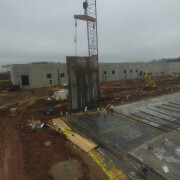 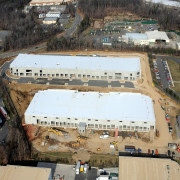 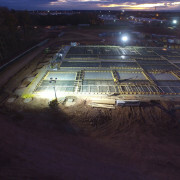 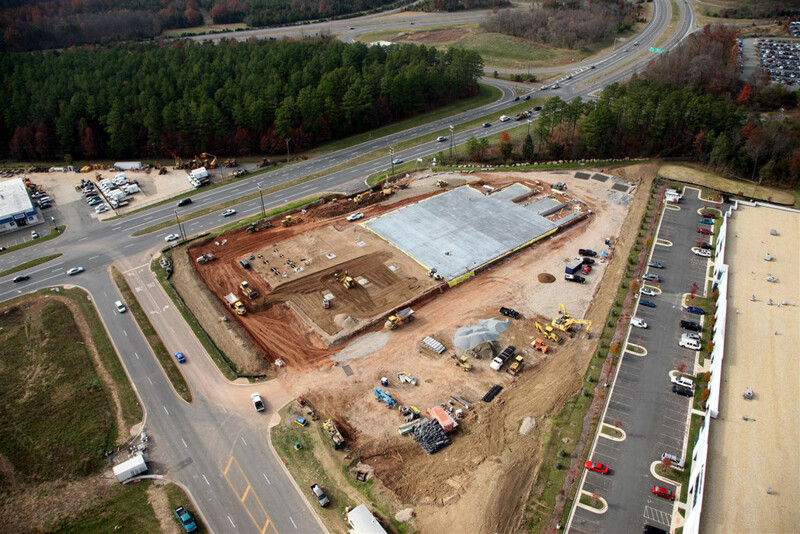 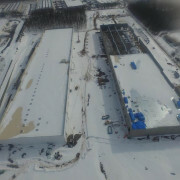 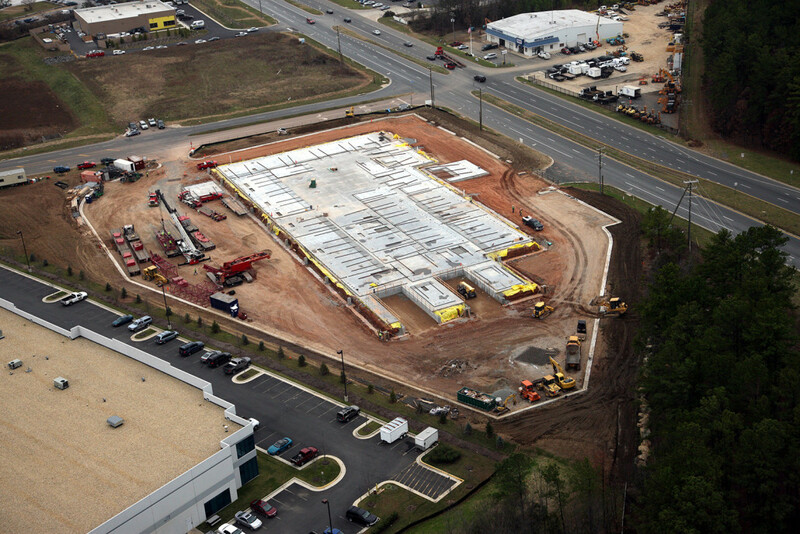 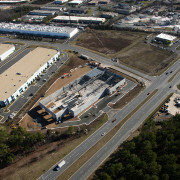 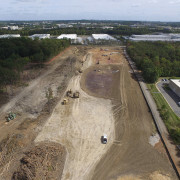 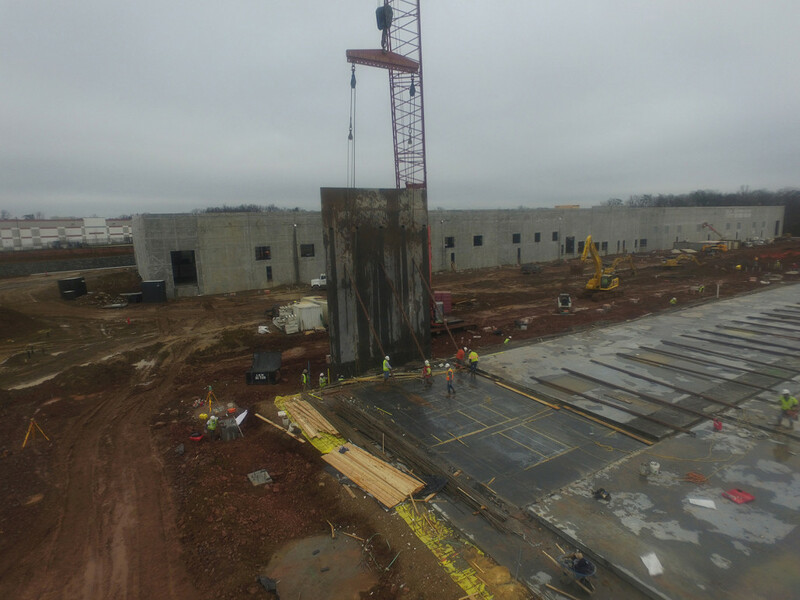 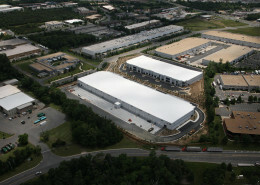 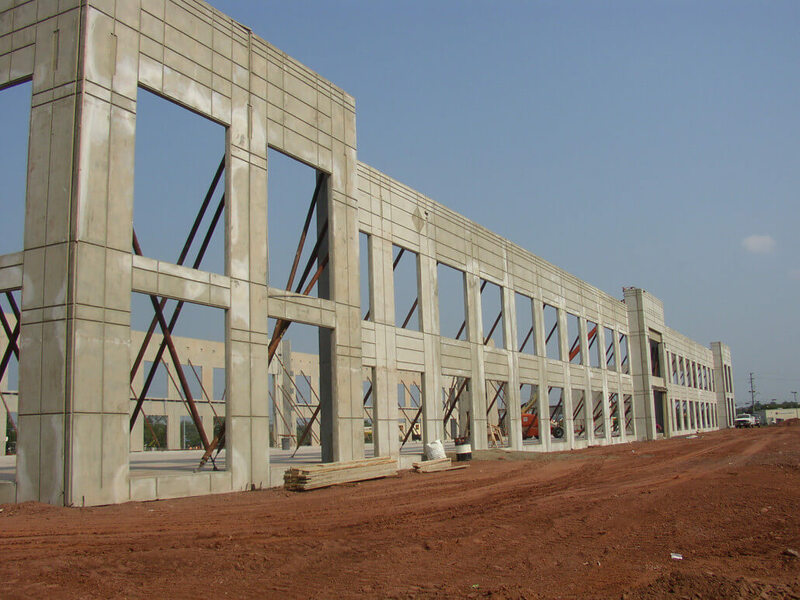 60,000 SF build-to-suit tilt wall building with related site work. 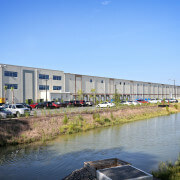 Building includes structure for bridge cranes, 5,000 SF show room and 2,500 SF office area, Insulated warehouse area. 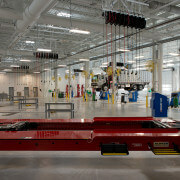 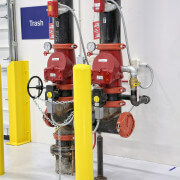 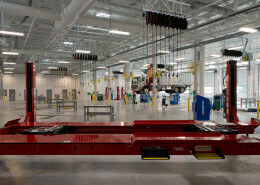 Dock doors and dock levelers, Design Build for ESFR Sprinkler and MEP. 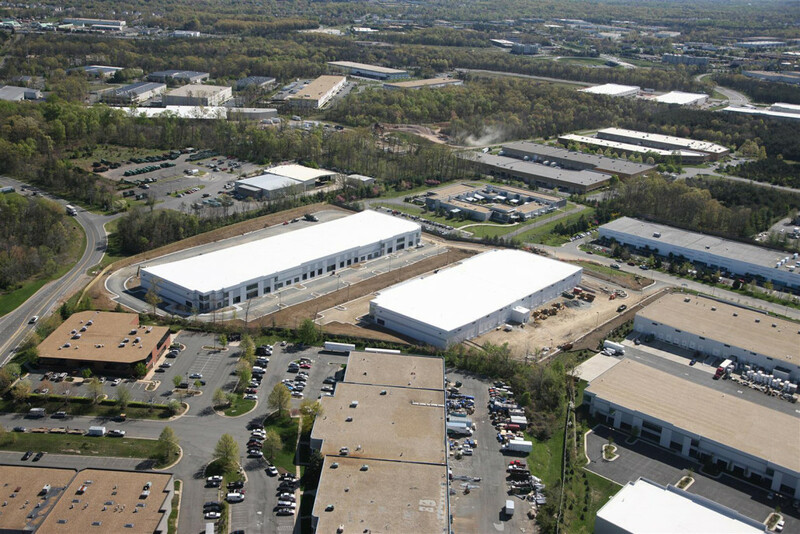 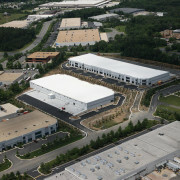 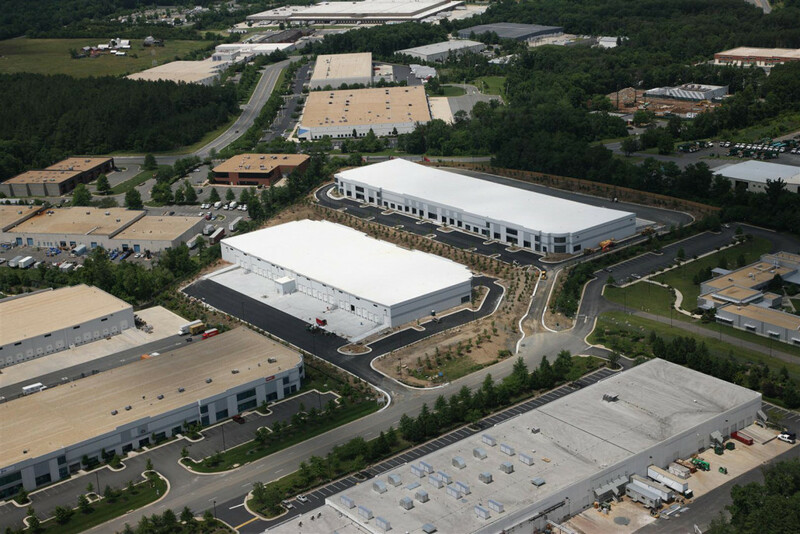 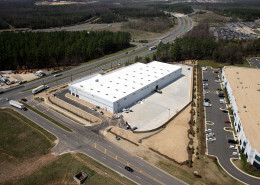 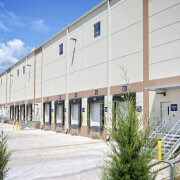 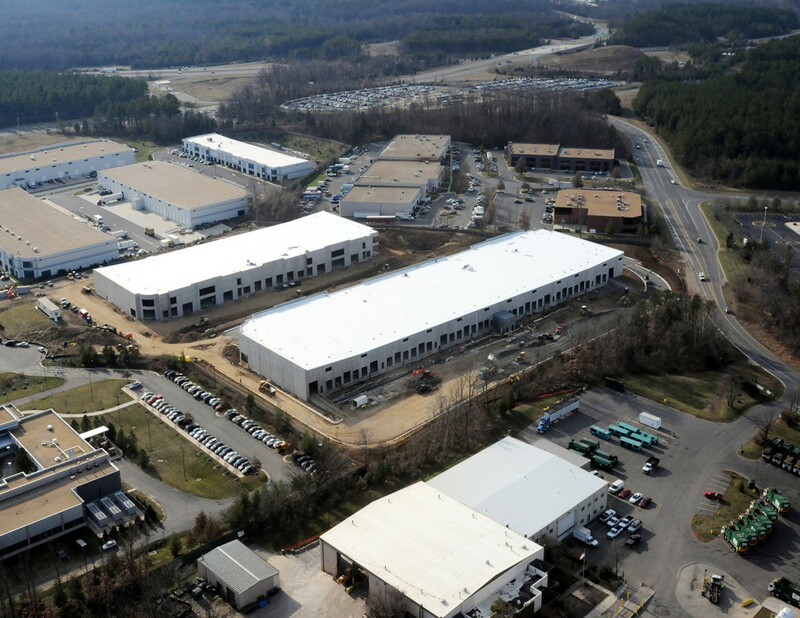 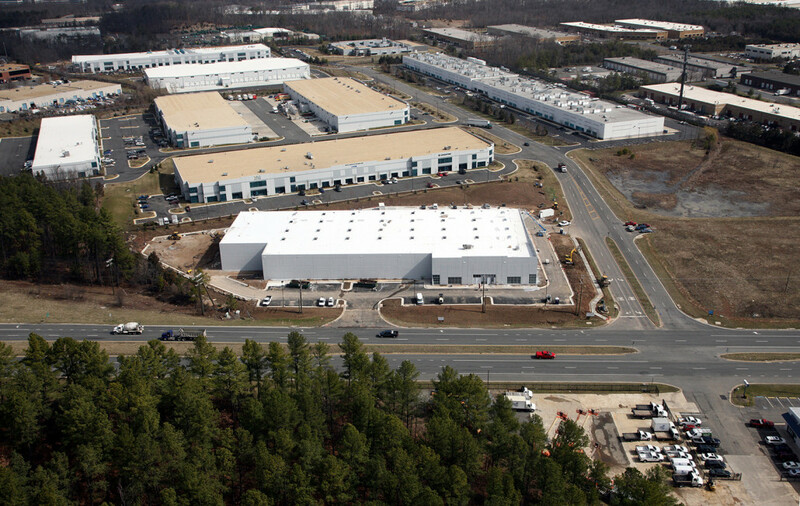 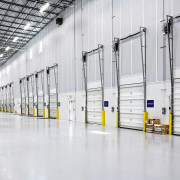 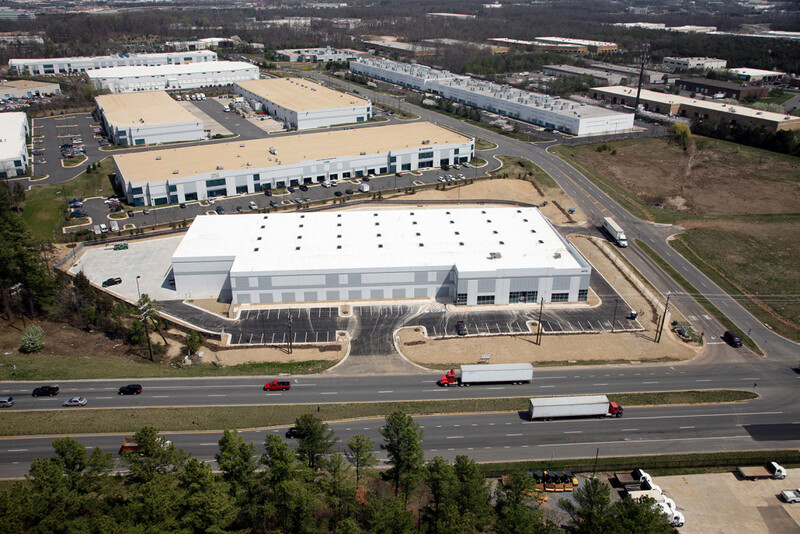 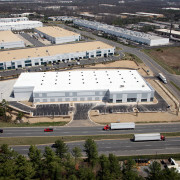 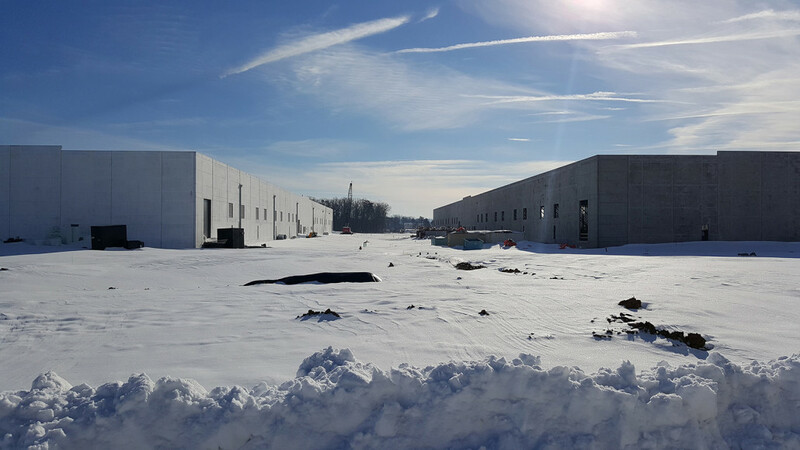 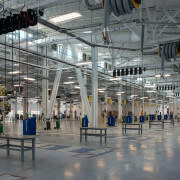 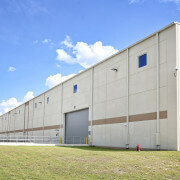 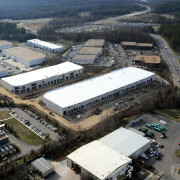 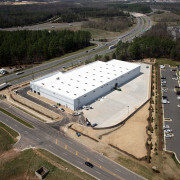 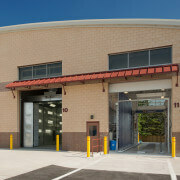 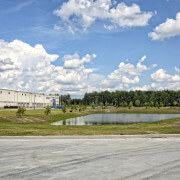 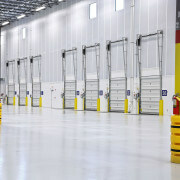 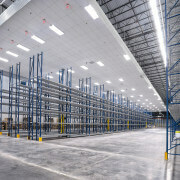 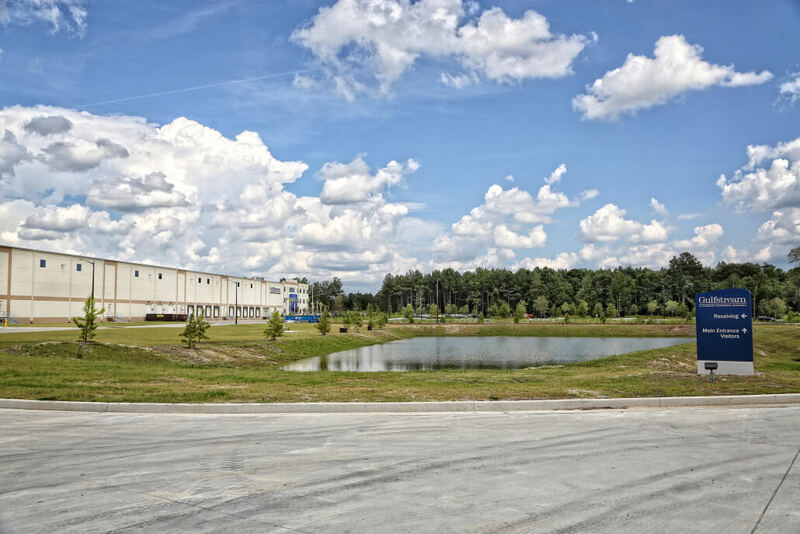 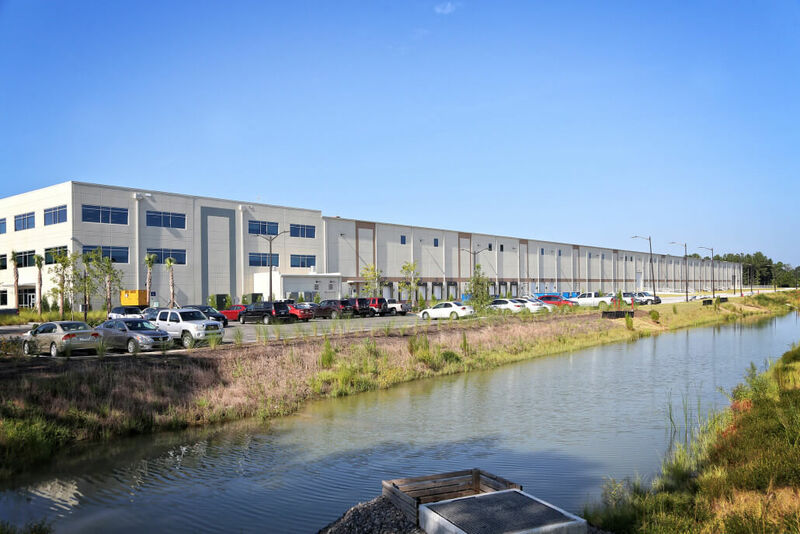 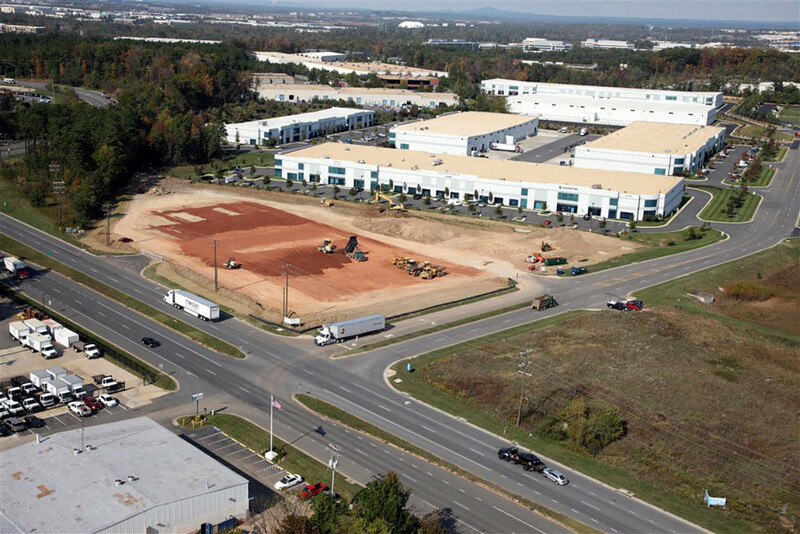 Two Buildings totaling 178,000 Square Feet, Tilt-Wall, Office/Distribution Center. 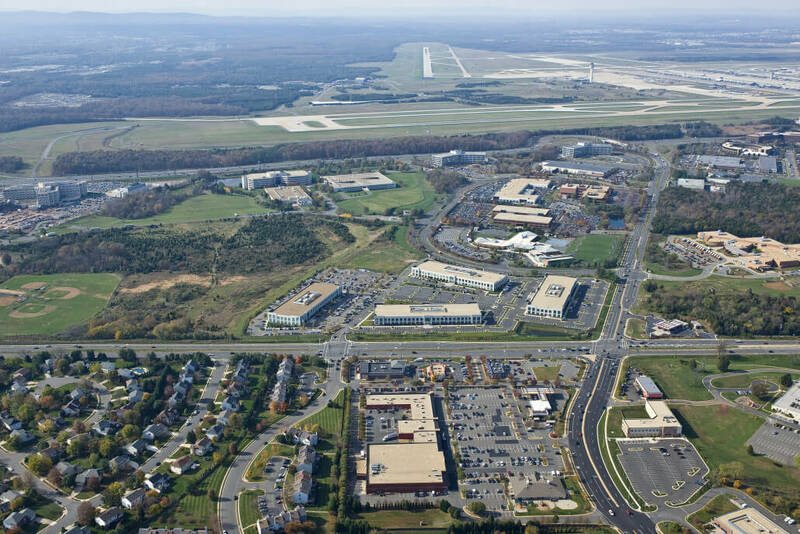 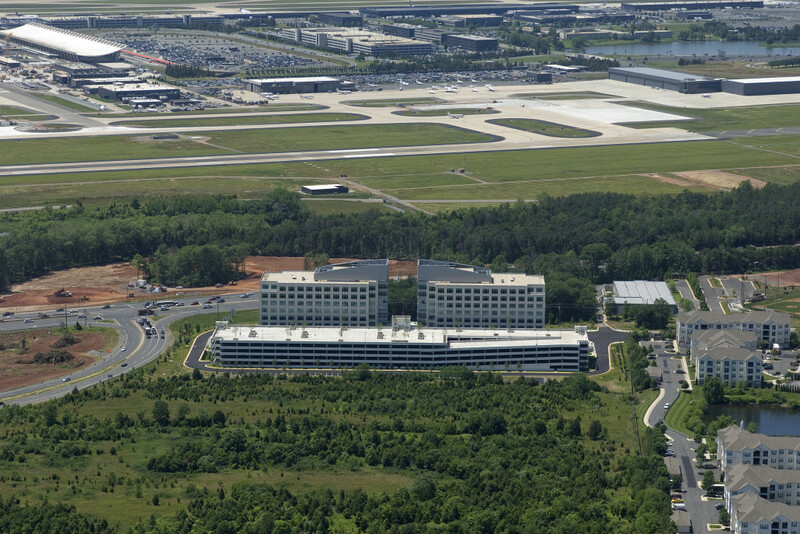 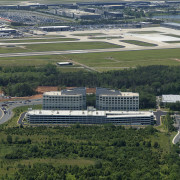 Dulles Summit was also constructed with an aggressive schedule with building occurring during the winter months of 2011/2012. 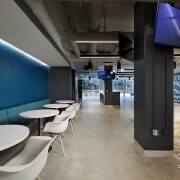 E.E. 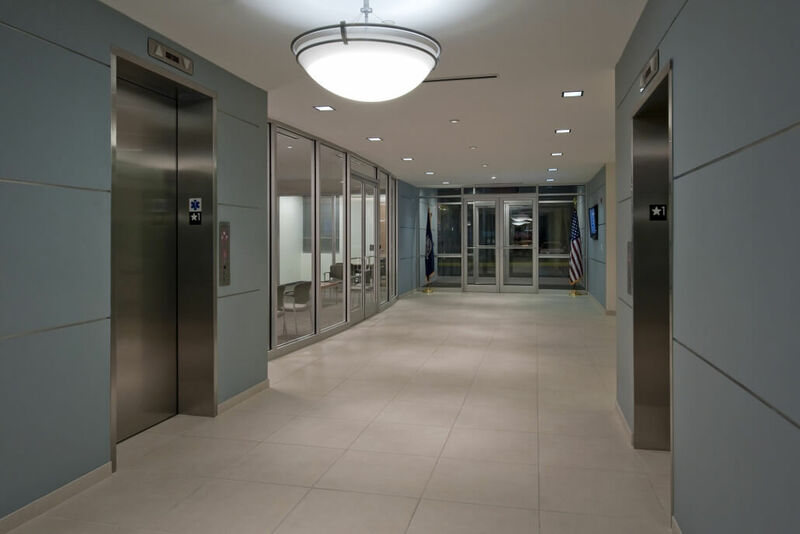 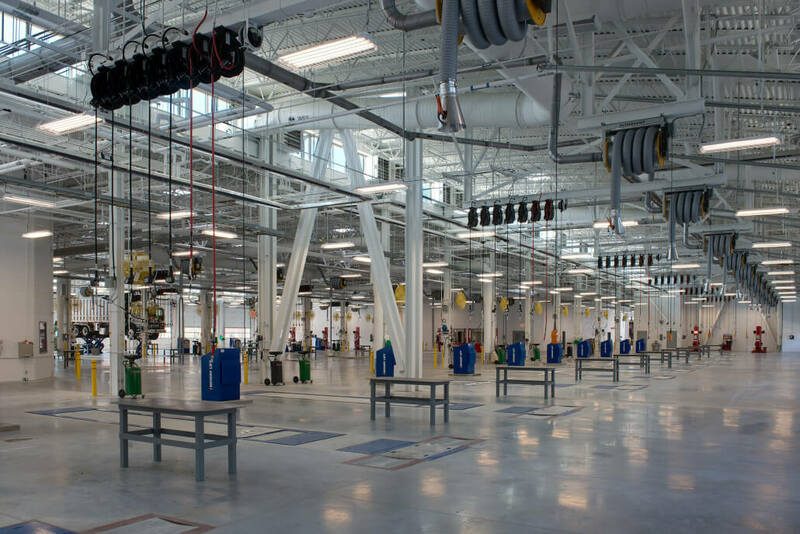 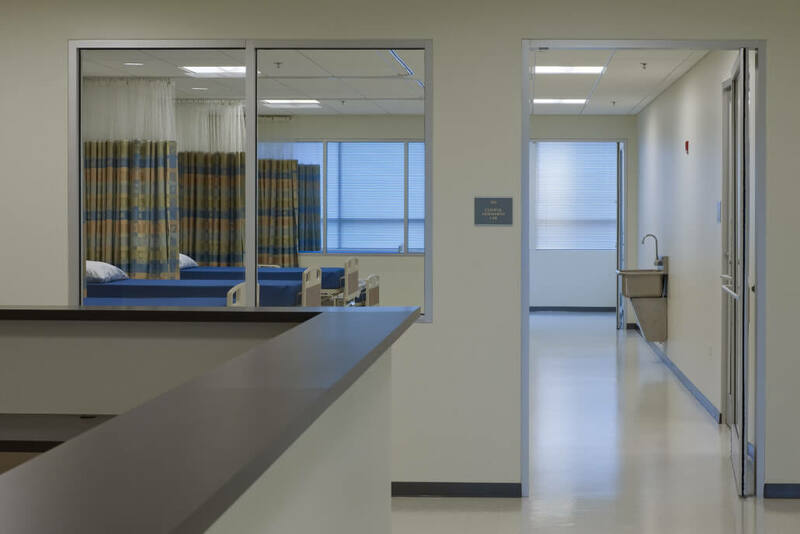 Reed was able to control the schedule and manage a major redesign requirement for the primary electrical and power upgrade due to tenant demands while still providing the highest quality by having our own in-house Crews perform all concrete activities. 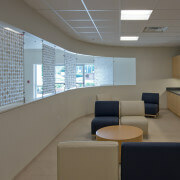 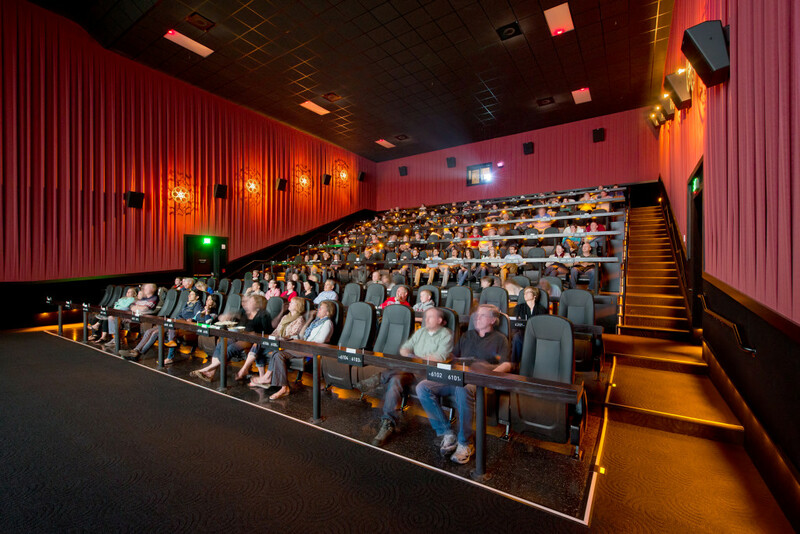 The project was delivered on-time and within budget. 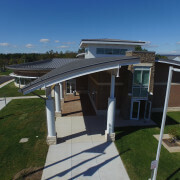 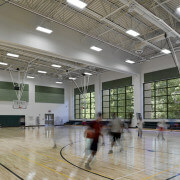 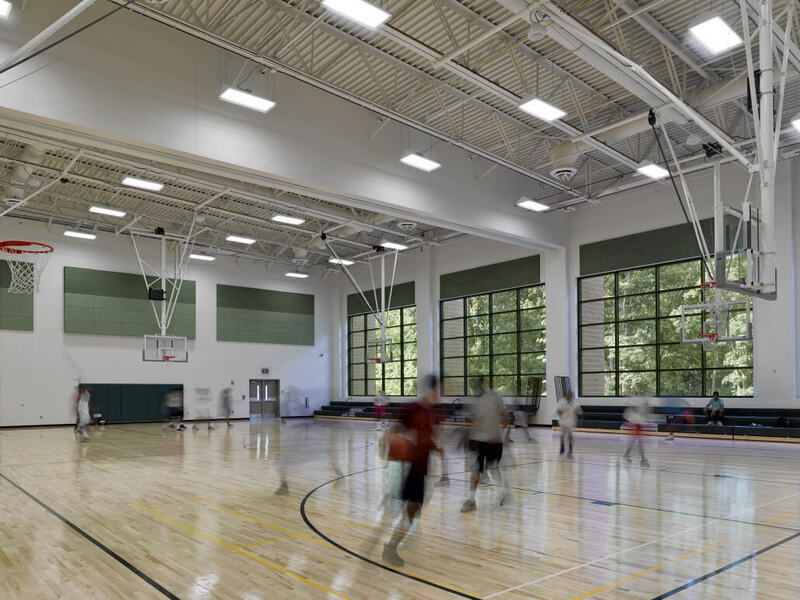 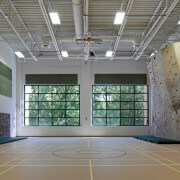 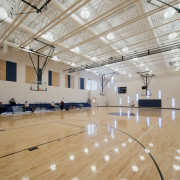 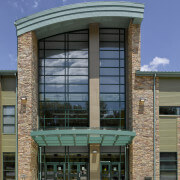 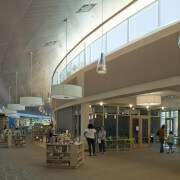 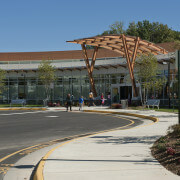 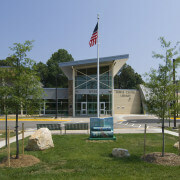 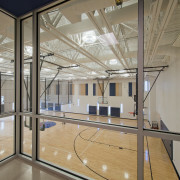 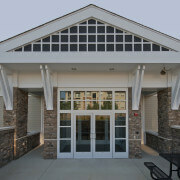 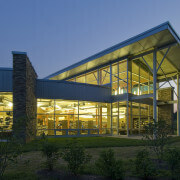 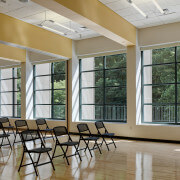 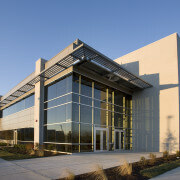 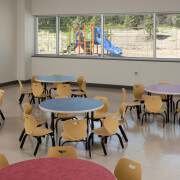 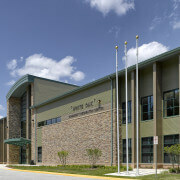 Two-Story, 53,000 SF Community Recreational Center; Masonry-Bearing Walls on Reinforced Concrete Retaining Walls and Foundations with Steel Roof and Interior Support Structures; Standing Seam, PVC and Vegetative Roof Areas; All Related Interior Improvements Including Administrative Offices, Activity Classroom, Two Large High-Bay, Wood Floor Gymnasiums, Climbing Walls, Kitchen, 1,000 SF Senior/Community Lounge, Arts Classrooms with Kiln, Exercise Room, Game Room, and Computer Lab; Related Site Improvements Including Two Basketball Courts, Skate Park, Play Area, Miscellaneous Playground Equipment, Site Furnishing and Fencing, Site Utilities, Pervious Pavement, Concrete and Asphalt Paving, Curbs and Gutters, Landscaping, Segmental Walls; LEED Gold. 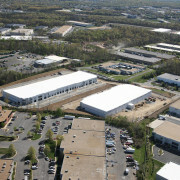 Two new single story buildings totaling 9,202 sf. 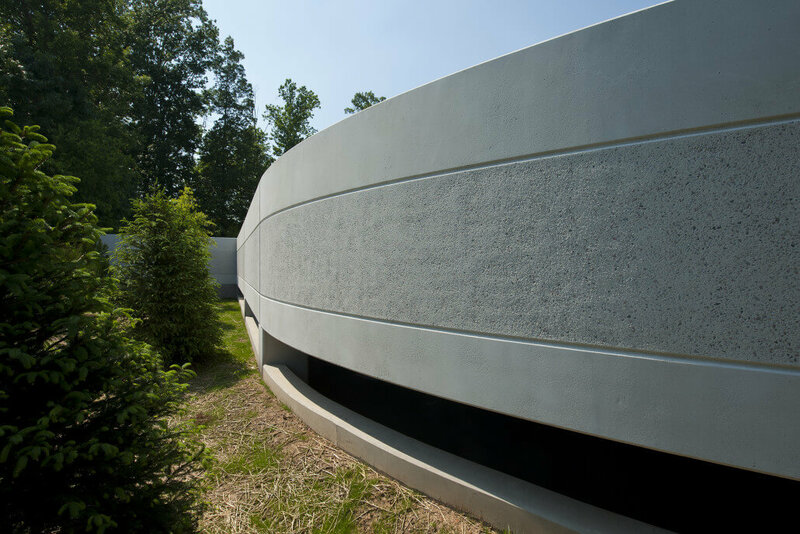 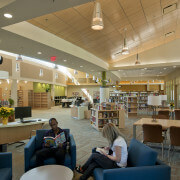 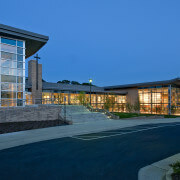 LEED NC-Silver. 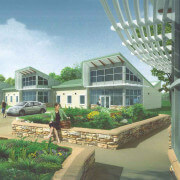 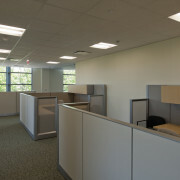 First building is a 12 person living space with support offices. 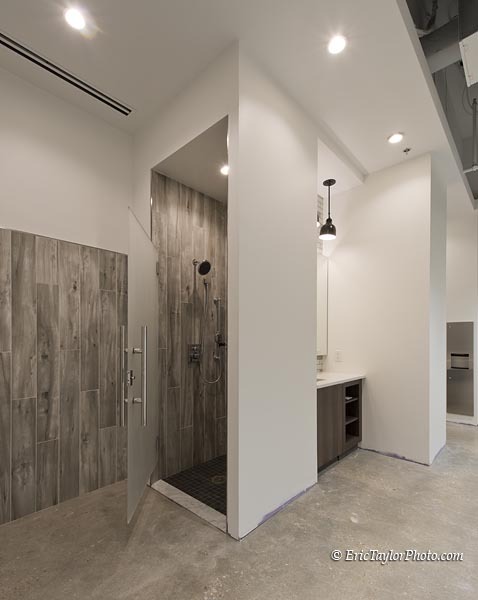 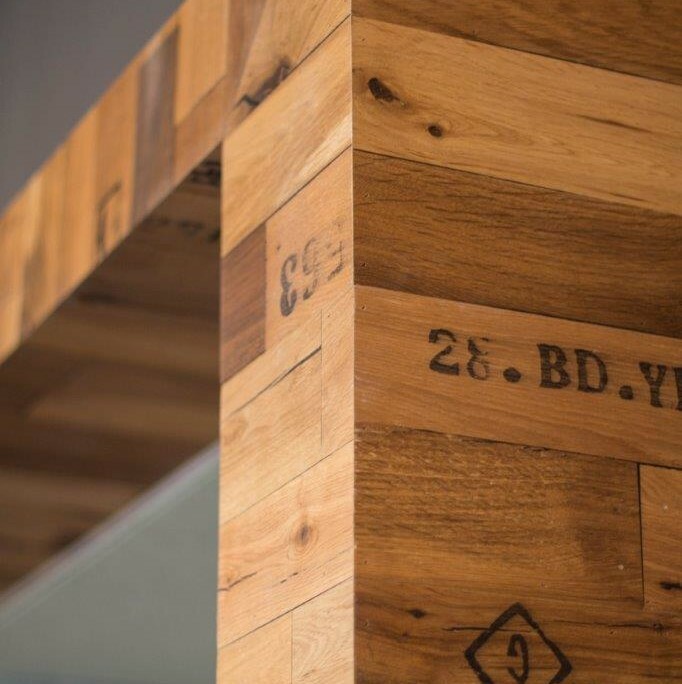 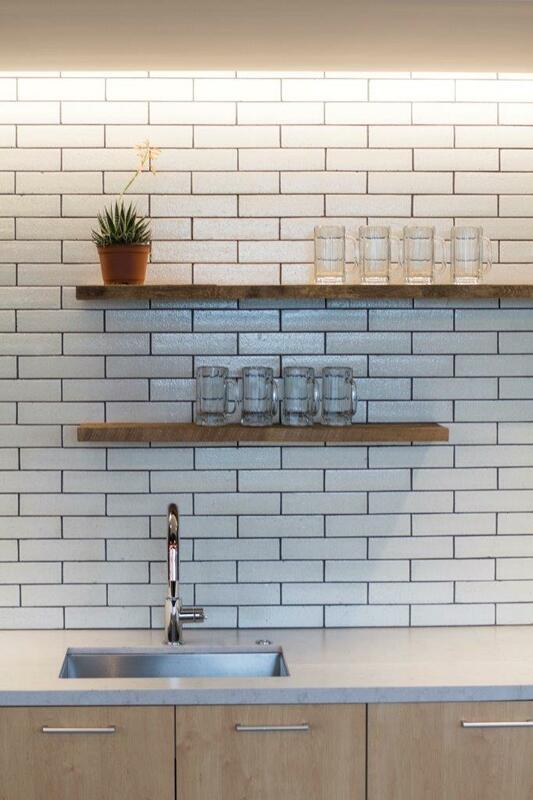 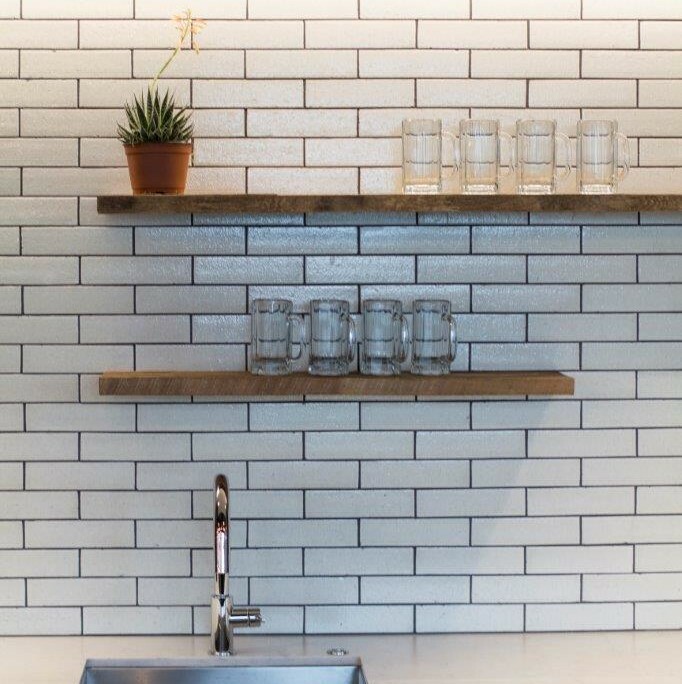 Interior finishes/construction to include porcelain tile floors with recycled glass terrazzo, wood framed walls with wood trusses & glue lams. 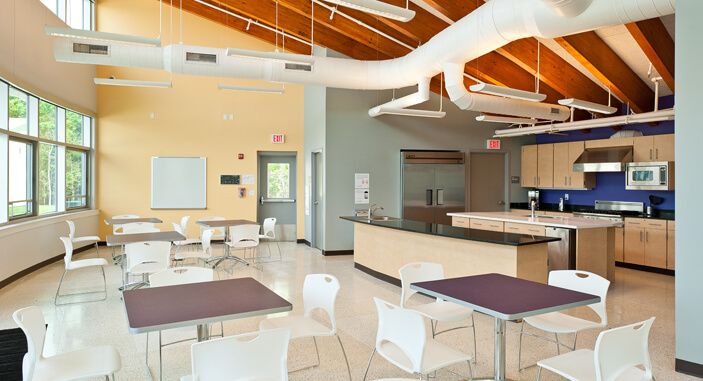 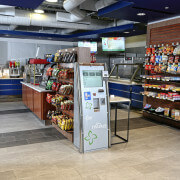 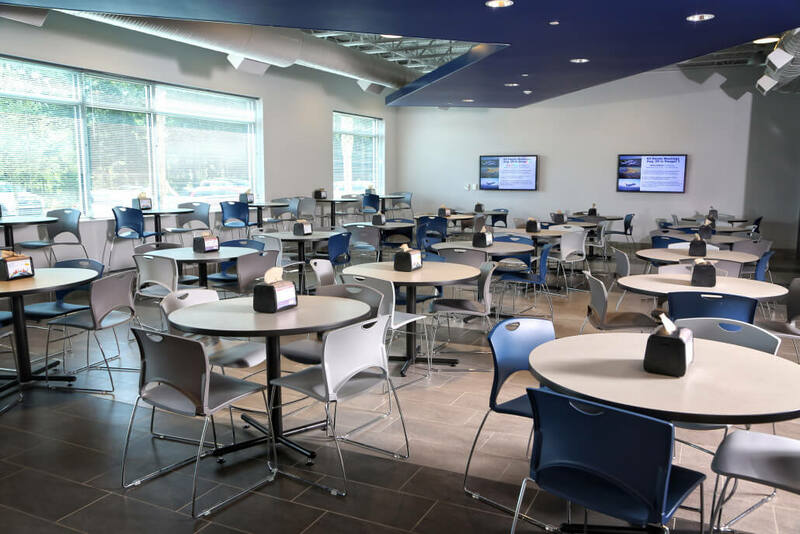 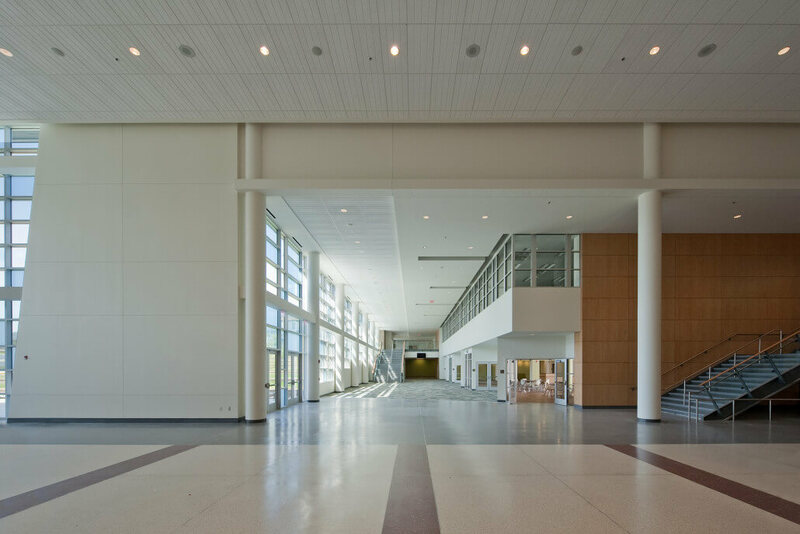 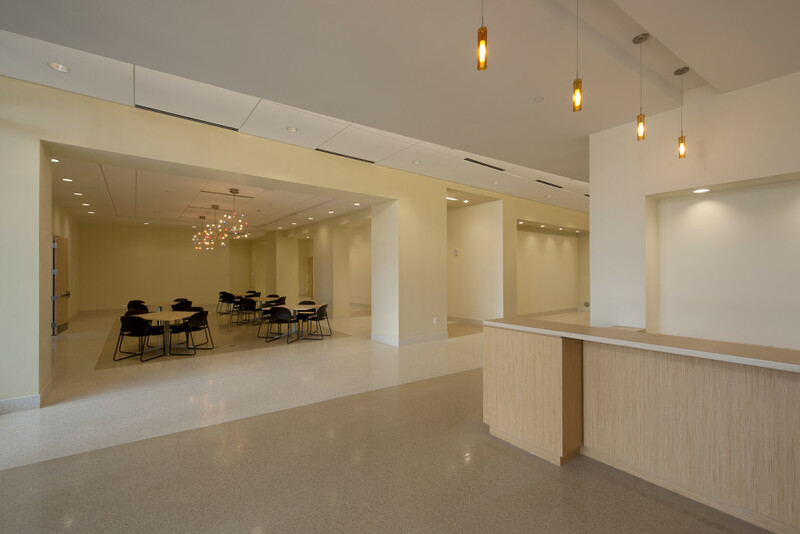 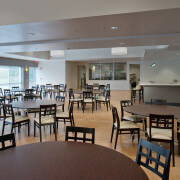 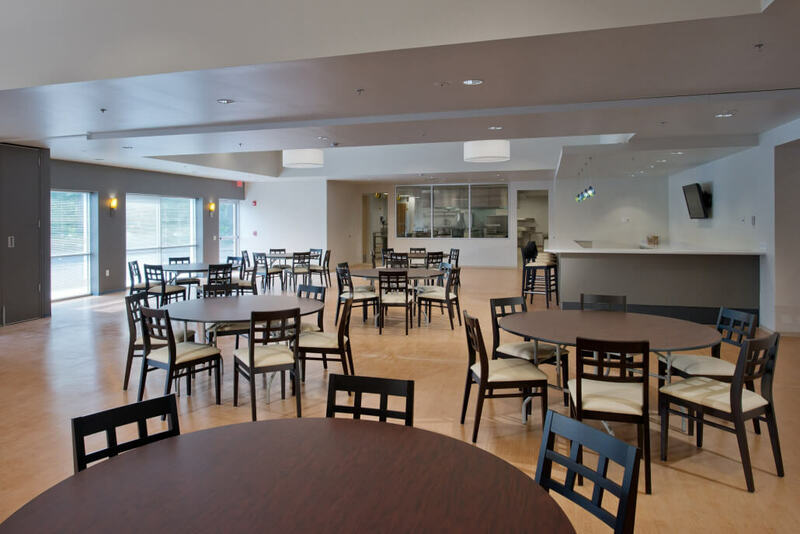 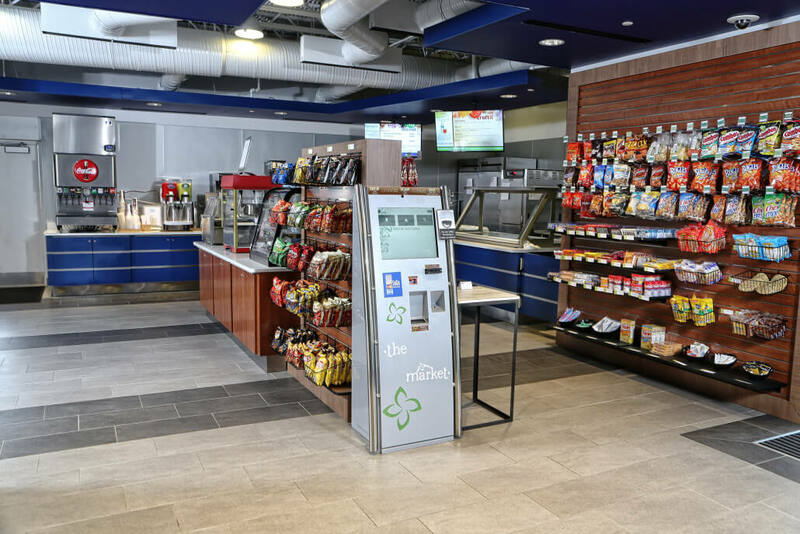 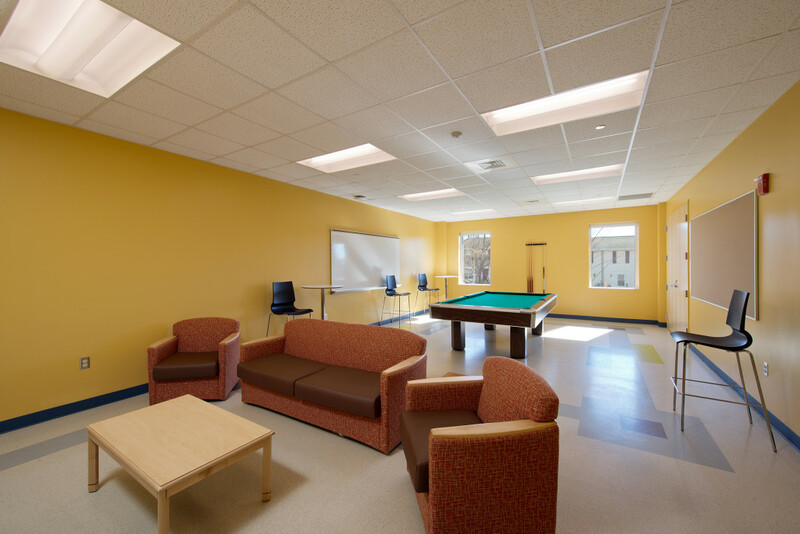 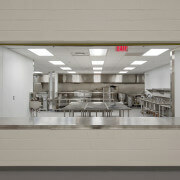 The second building is a dining hall with porcelain tile floors and full service kitchen. 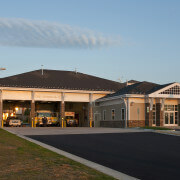 Site improvements to include pervious pavement and site utility reconfiguration. 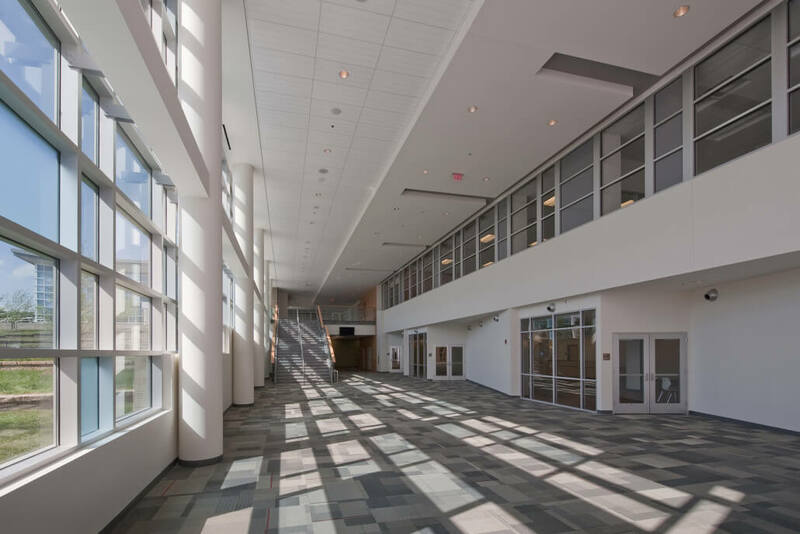 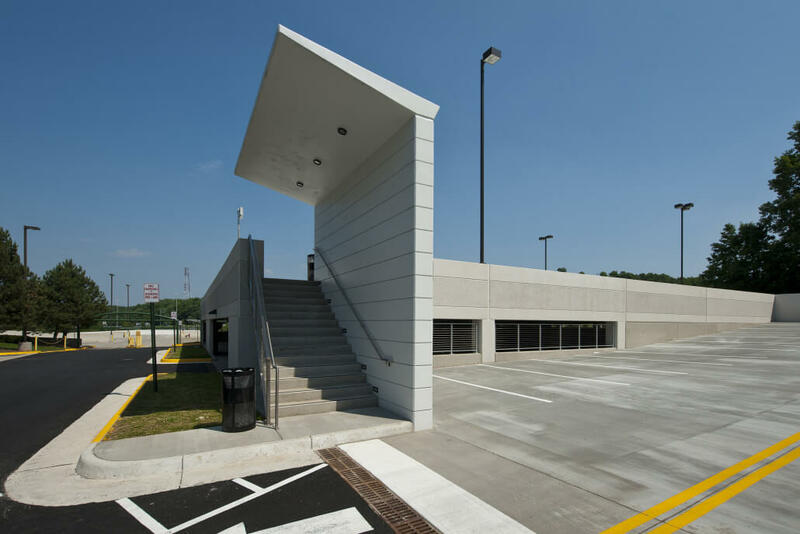 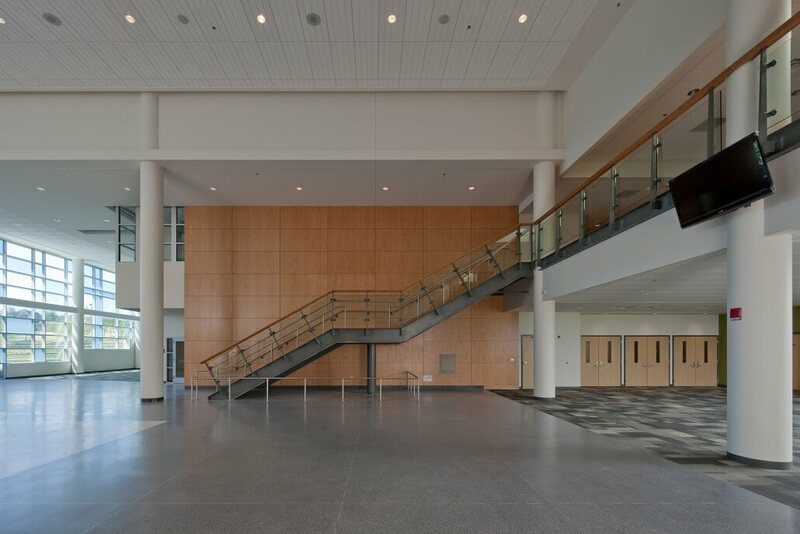 New Construction: Two-Story, 118,713 SF, 393-Car, Free-Standing Parking Garage; Structural Precast; Exposed Aggregate Finish on Panels; Highlighted Stair Entrance With Inset Reveal Patterns; Standing Seam Roofs Over Stairwells. 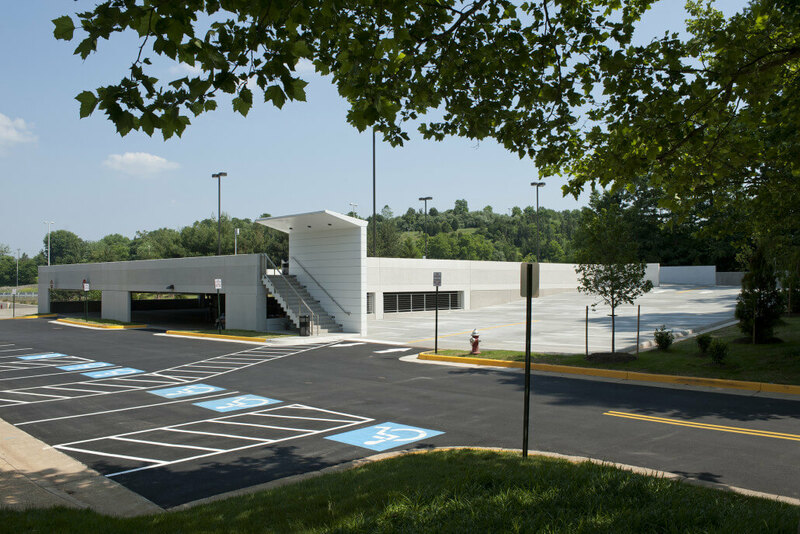 Two Expansions to Existing Three-Story, 145,134 SF Parking Garage: Adding 78,684 SF, 240-Car Parking; and Related Site Improvements Including Storm Piping and Structures and an Additional 16,889 SF On-Grade Parking. 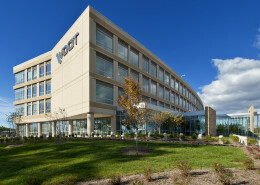 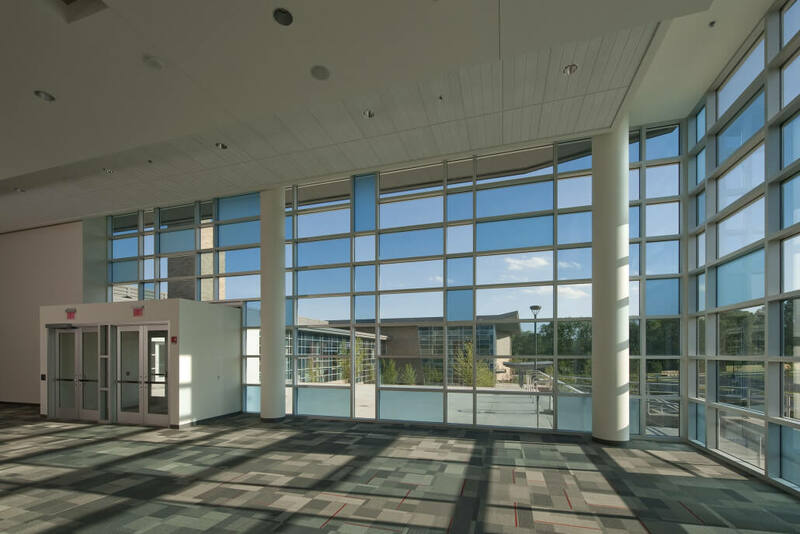 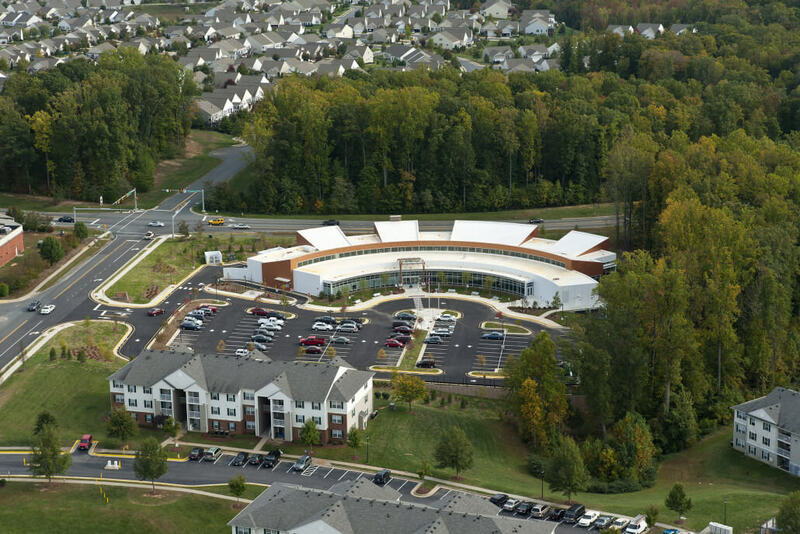 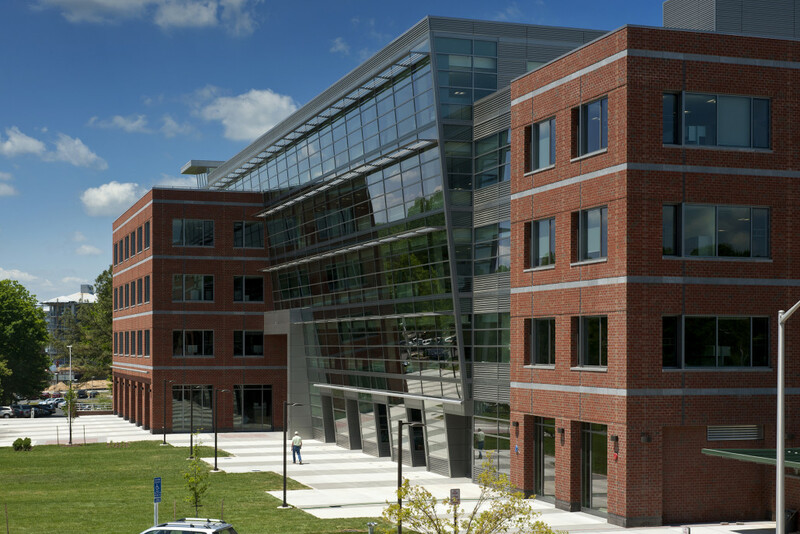 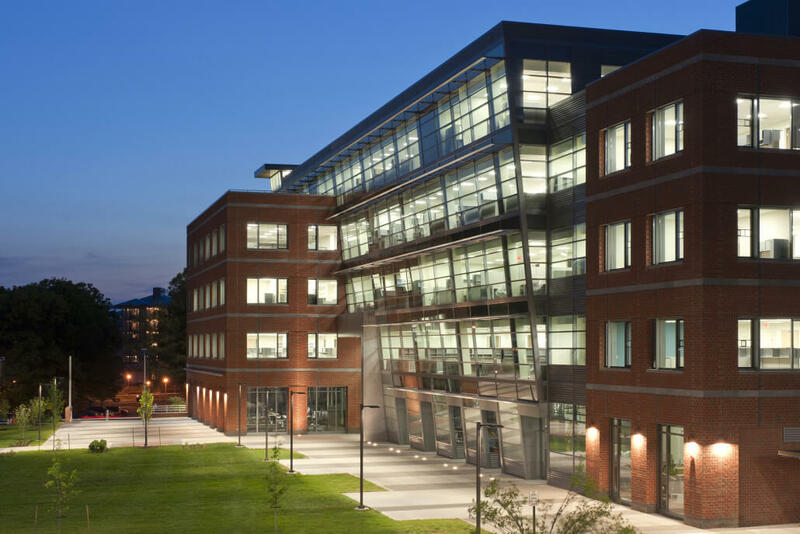 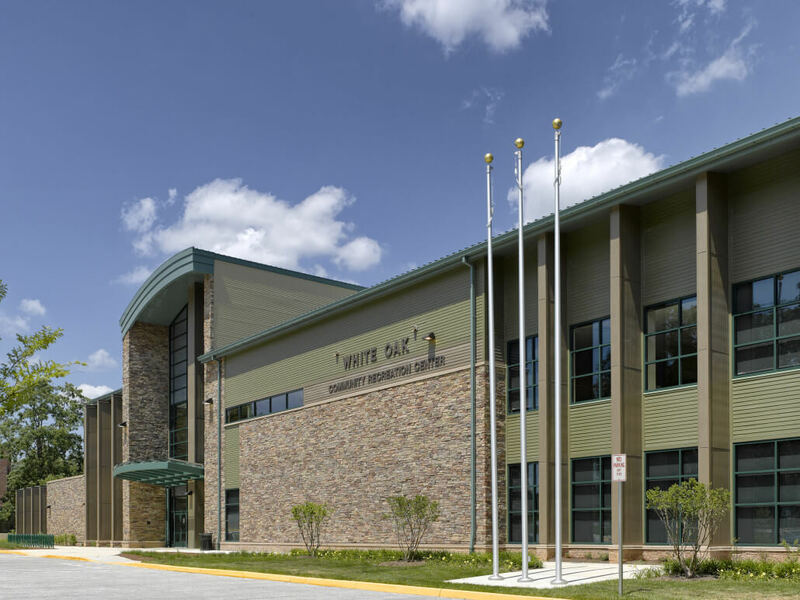 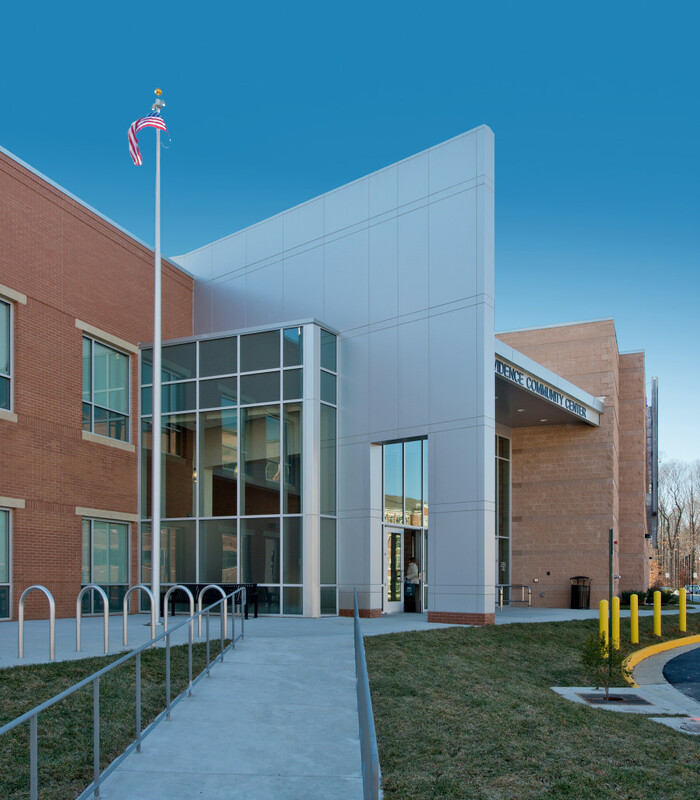 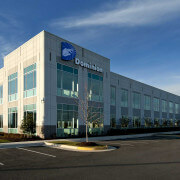 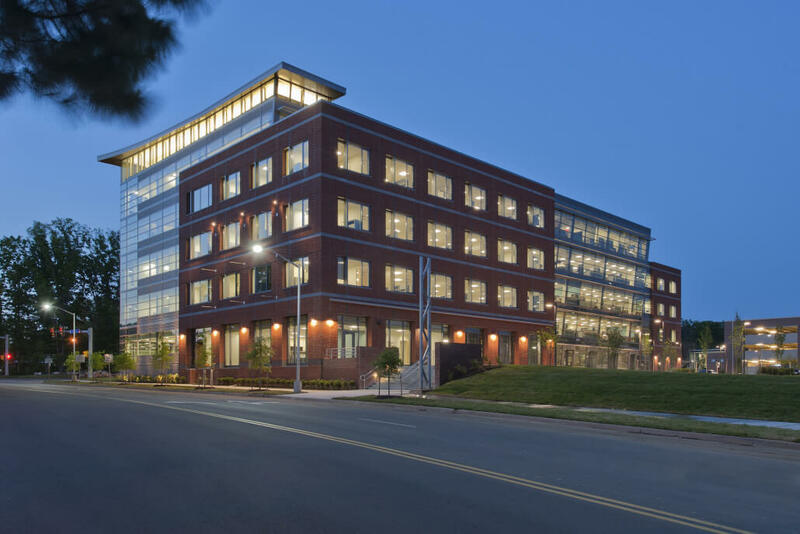 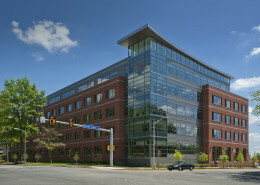 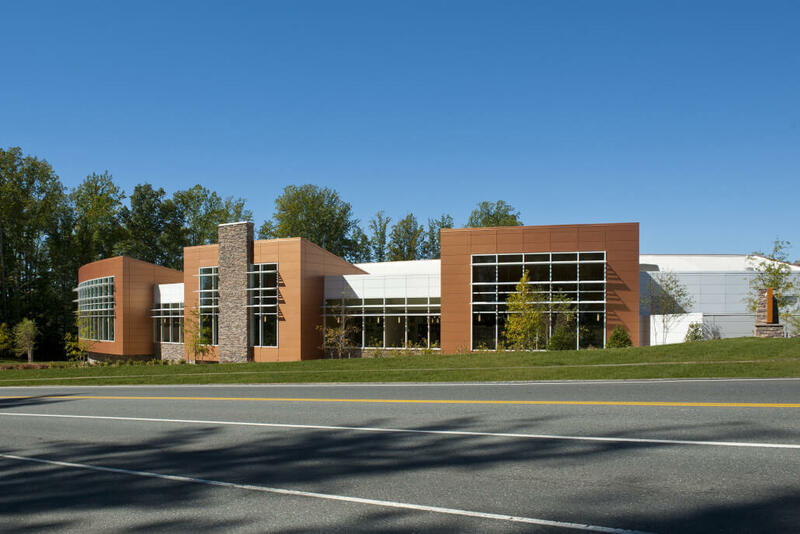 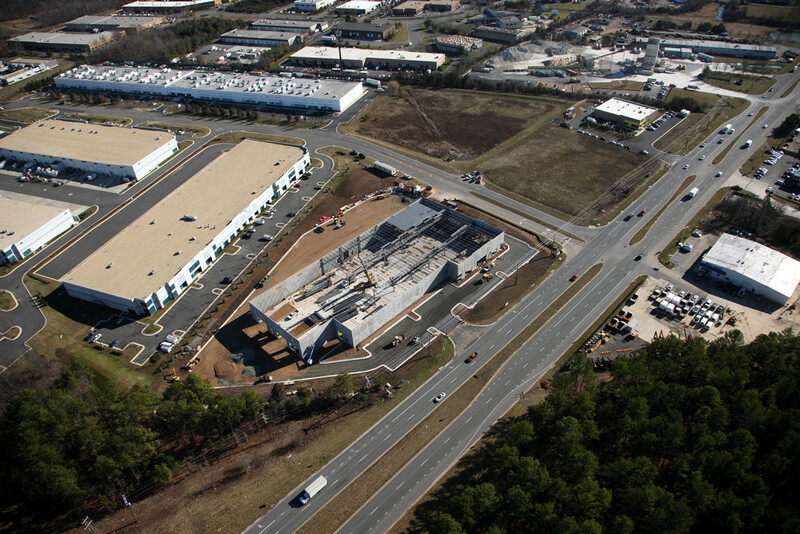 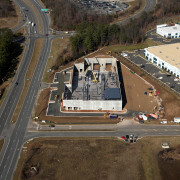 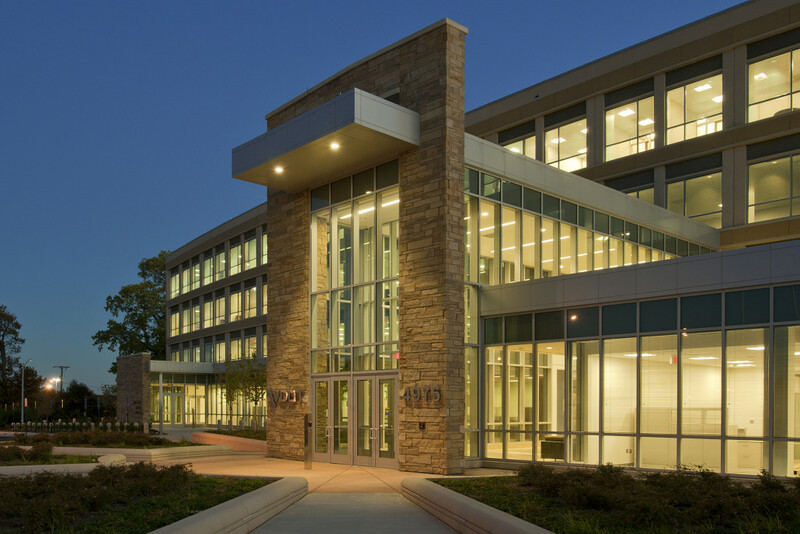 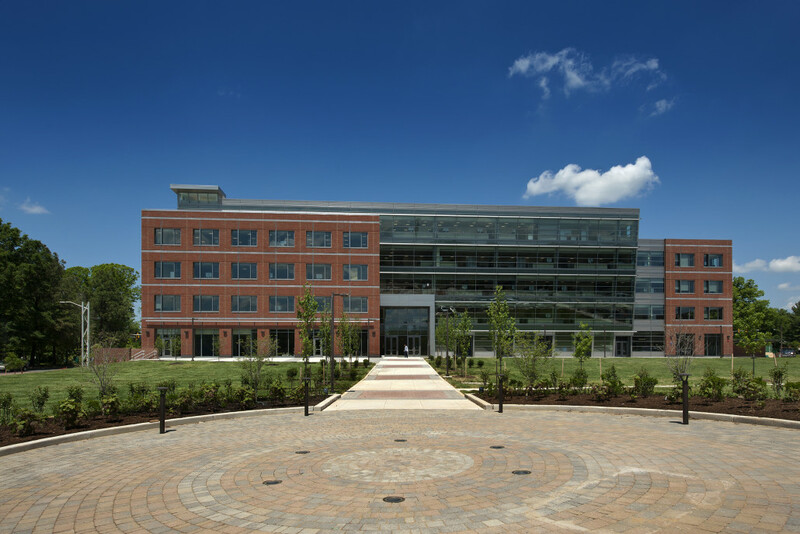 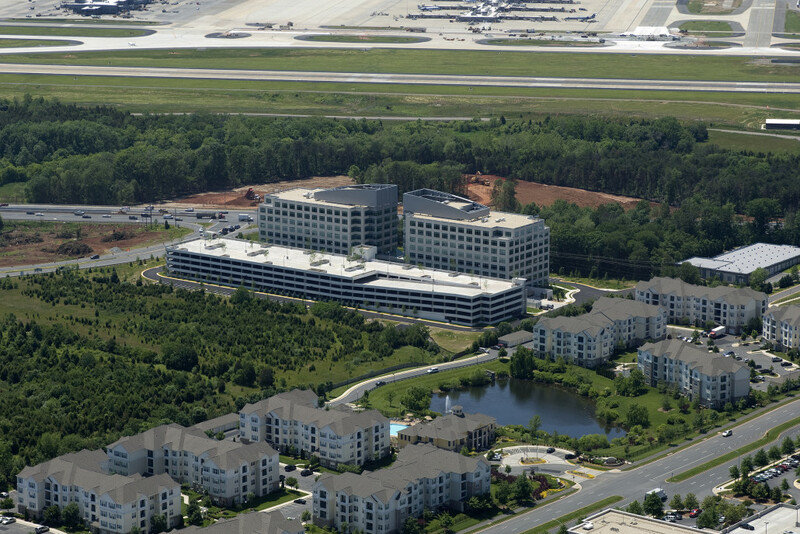 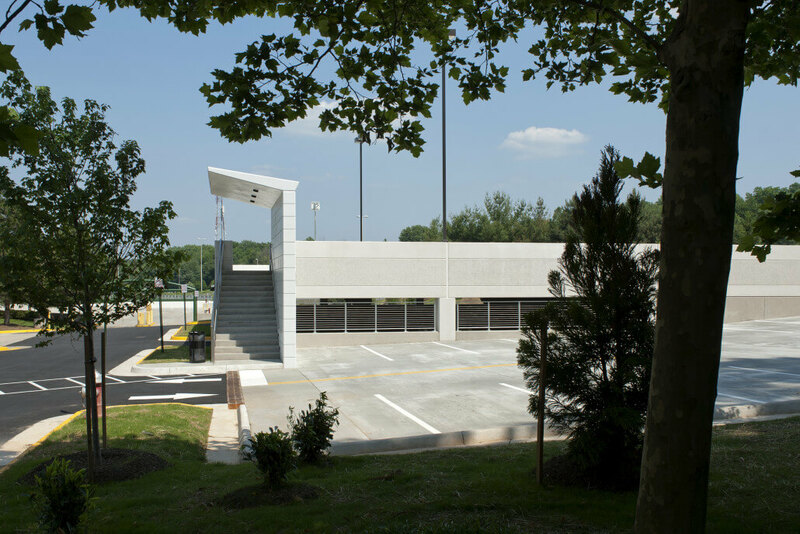 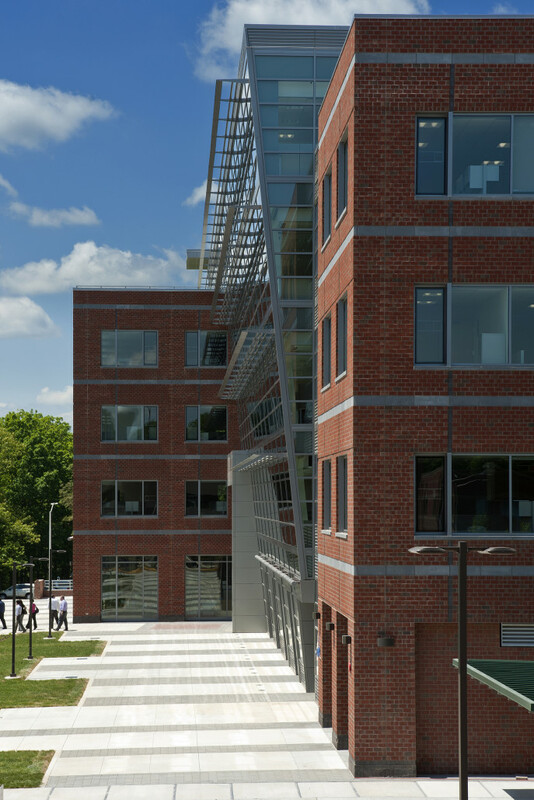 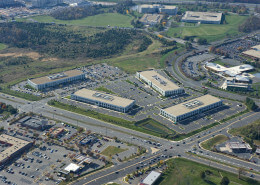 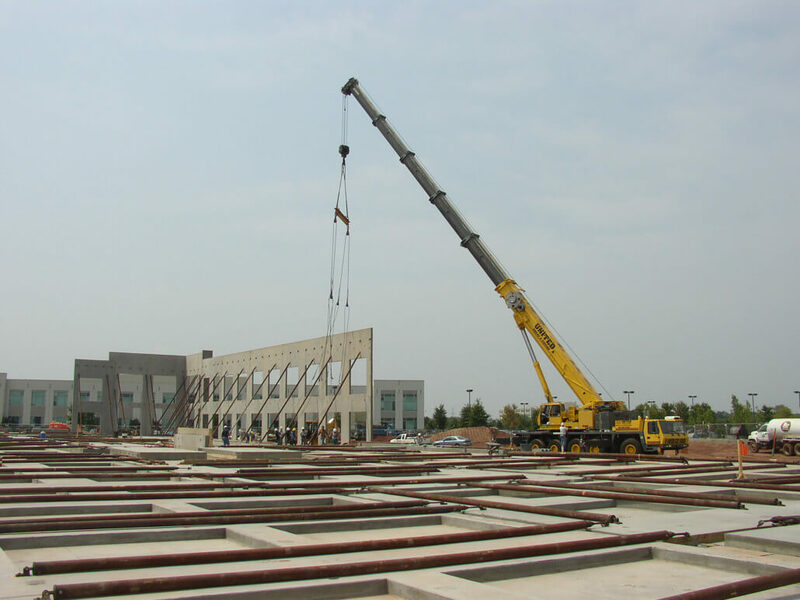 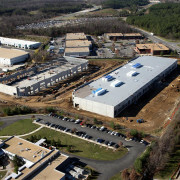 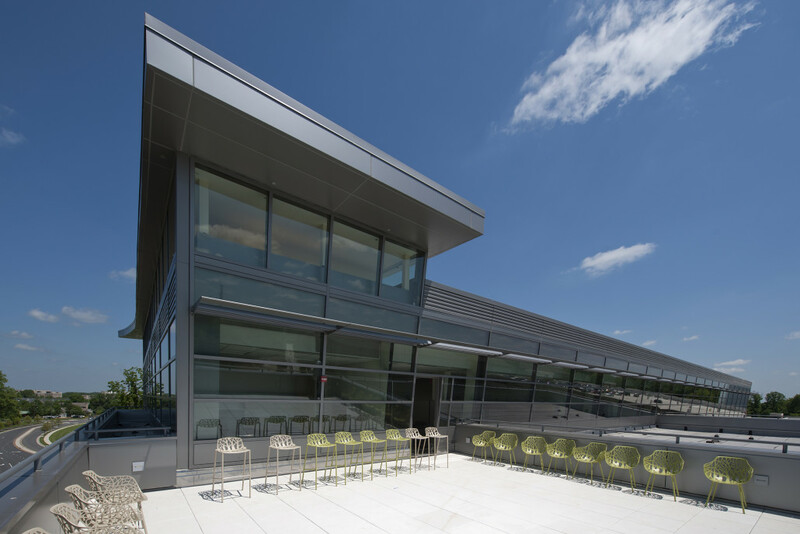 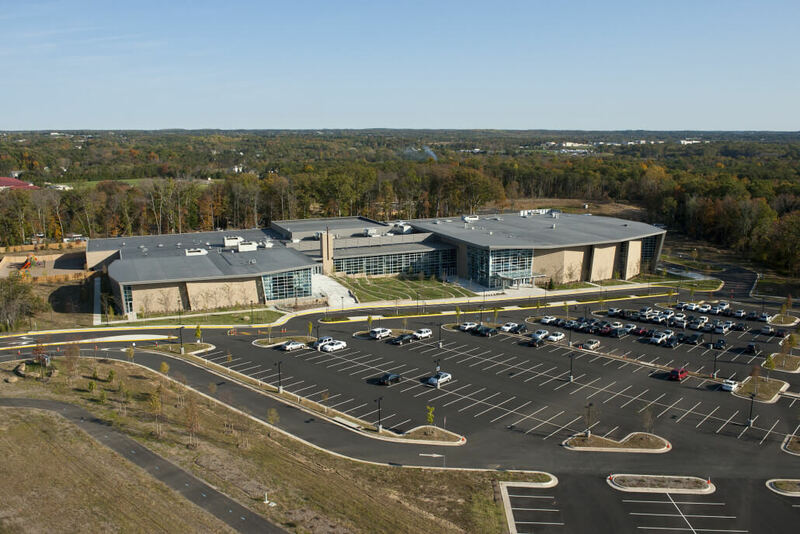 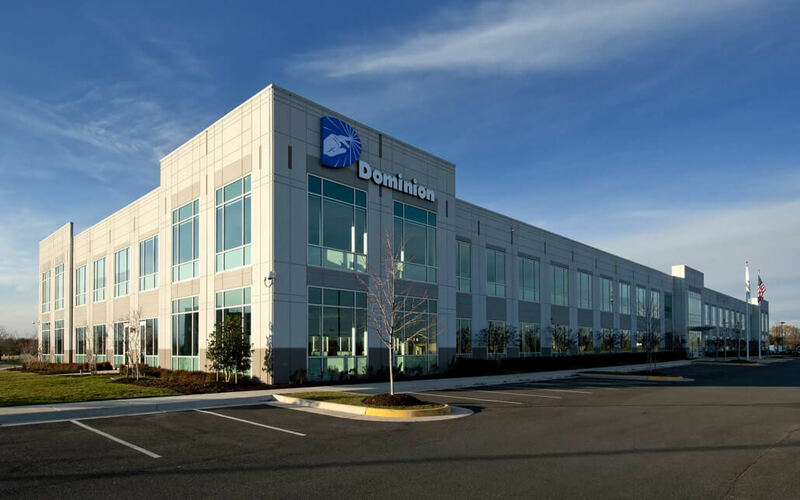 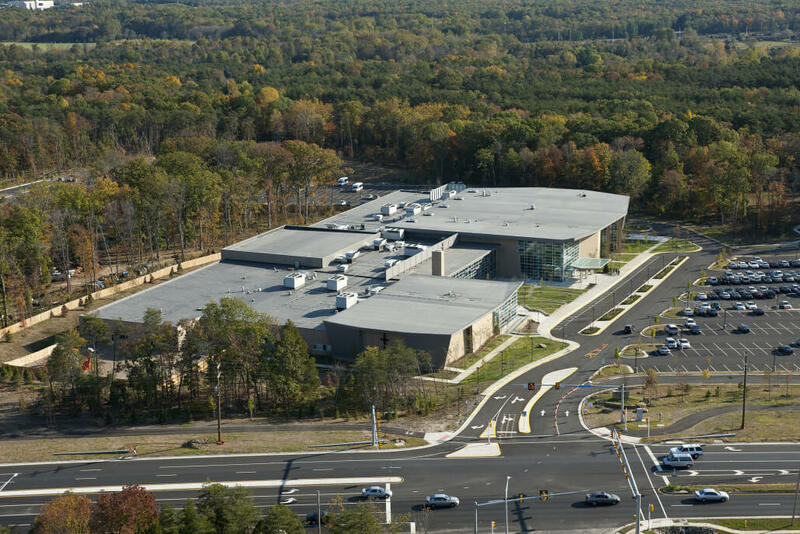 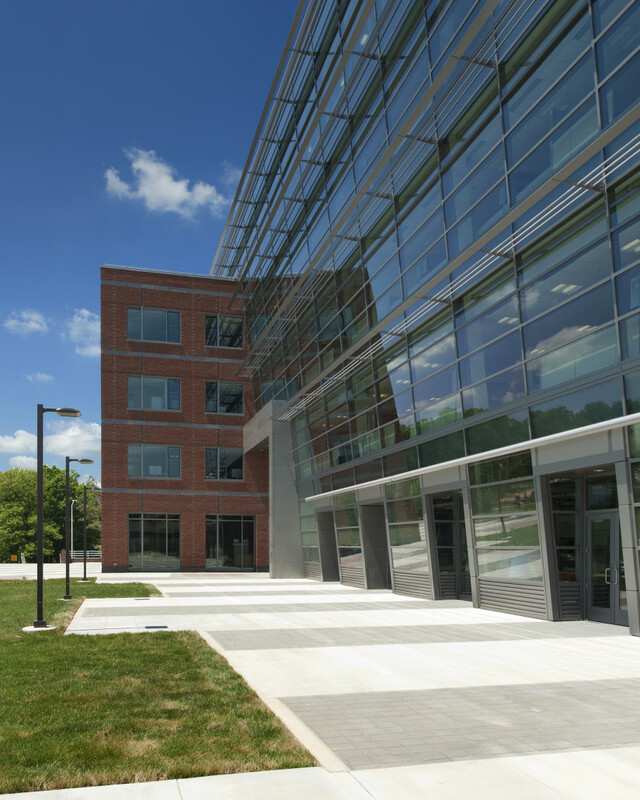 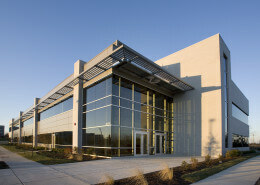 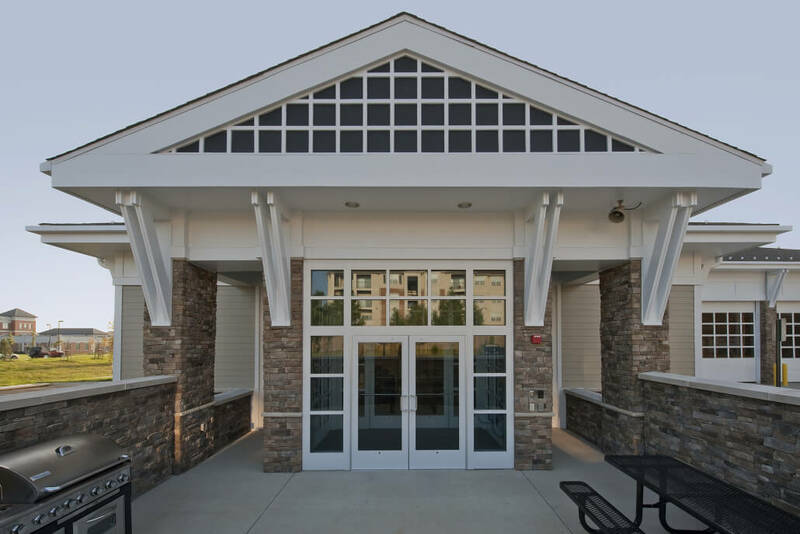 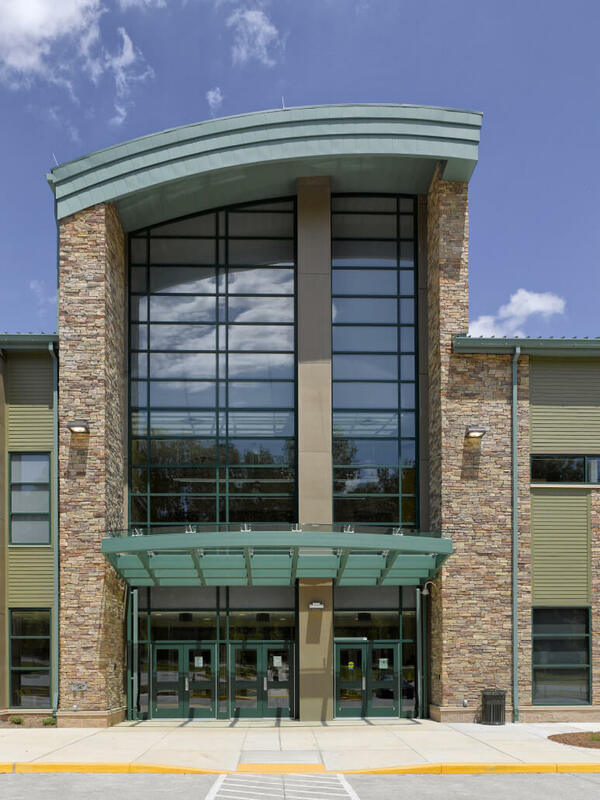 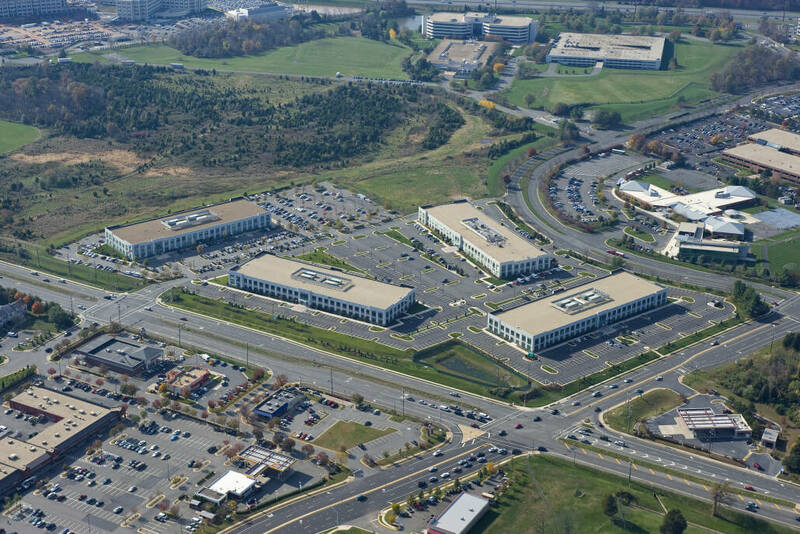 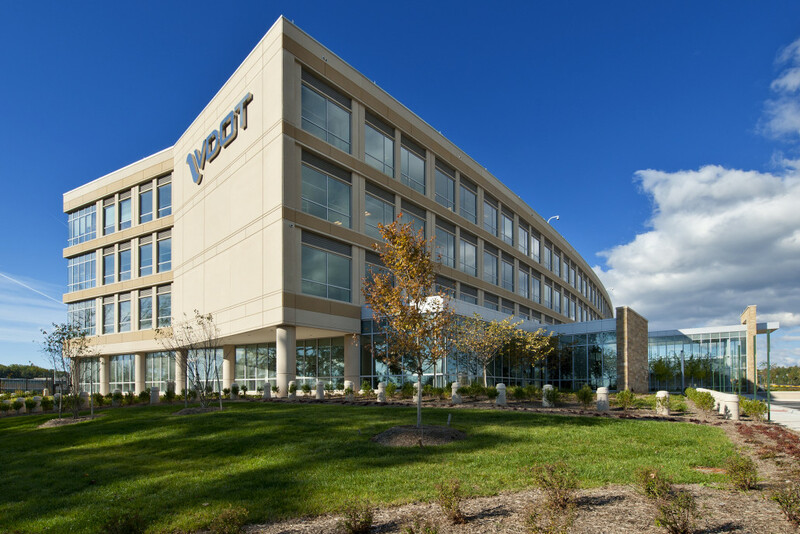 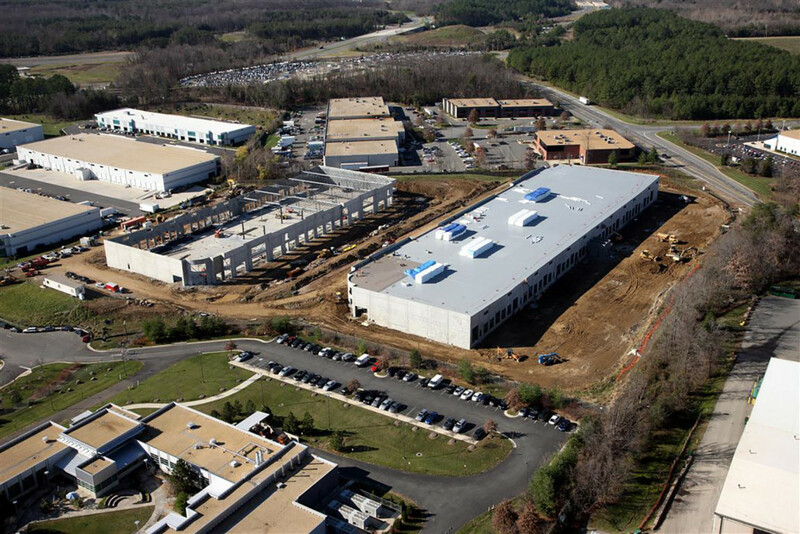 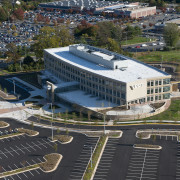 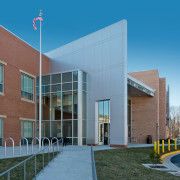 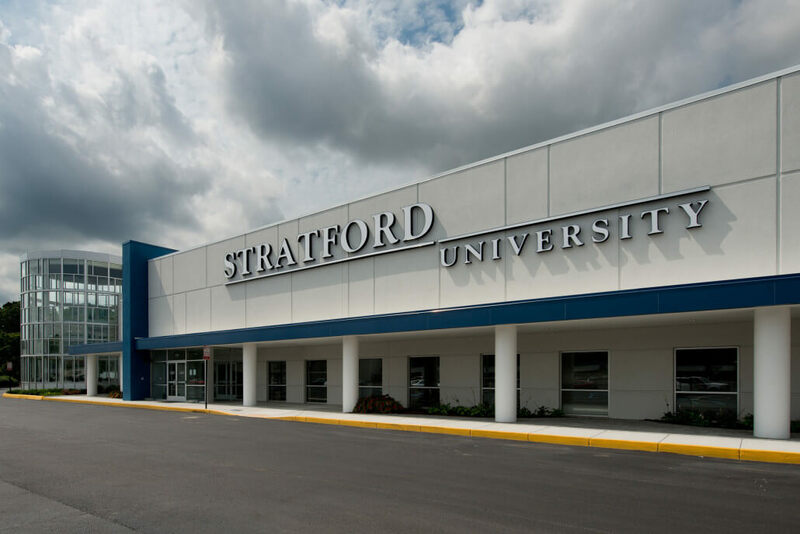 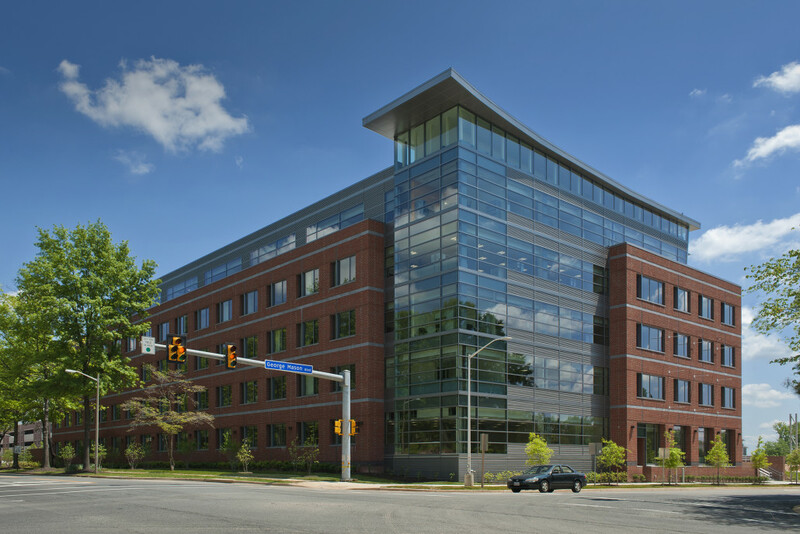 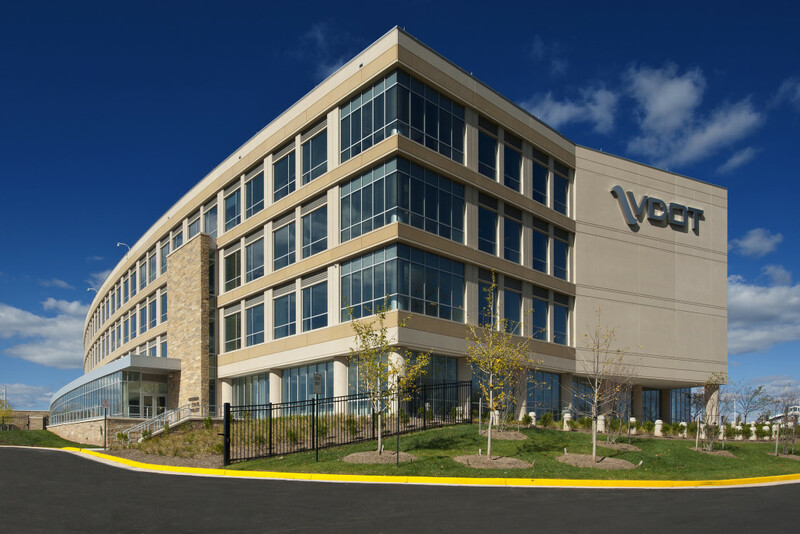 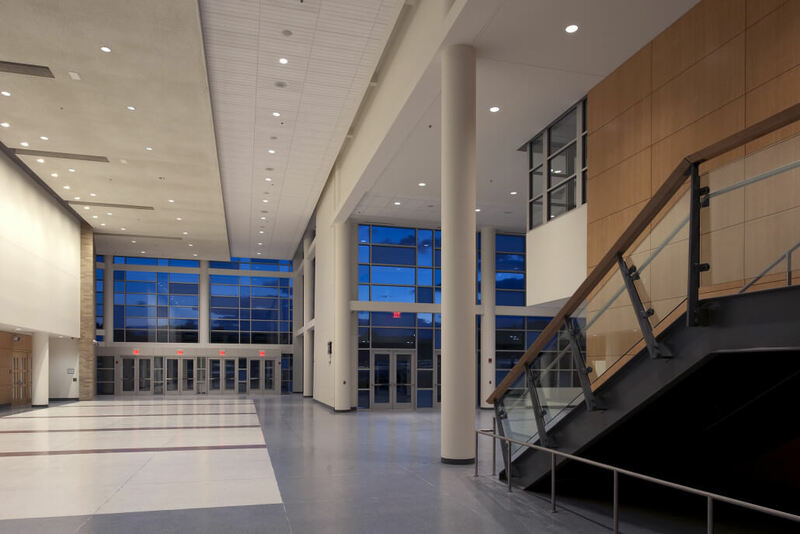 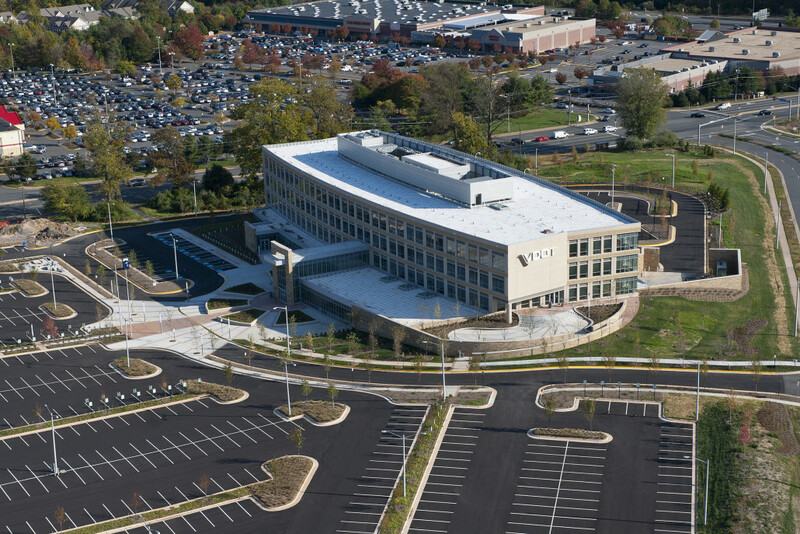 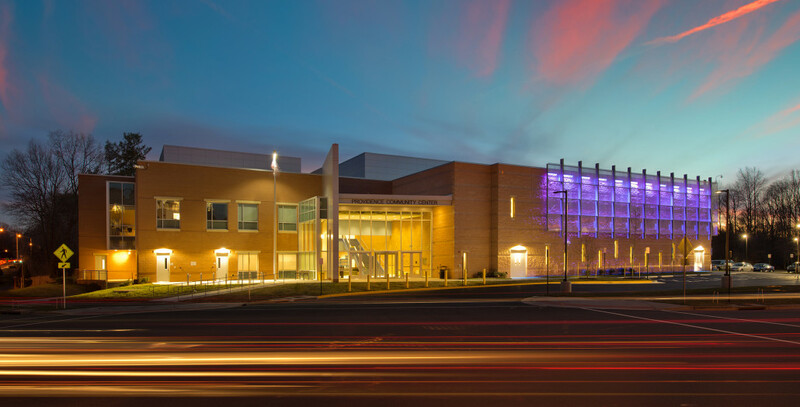 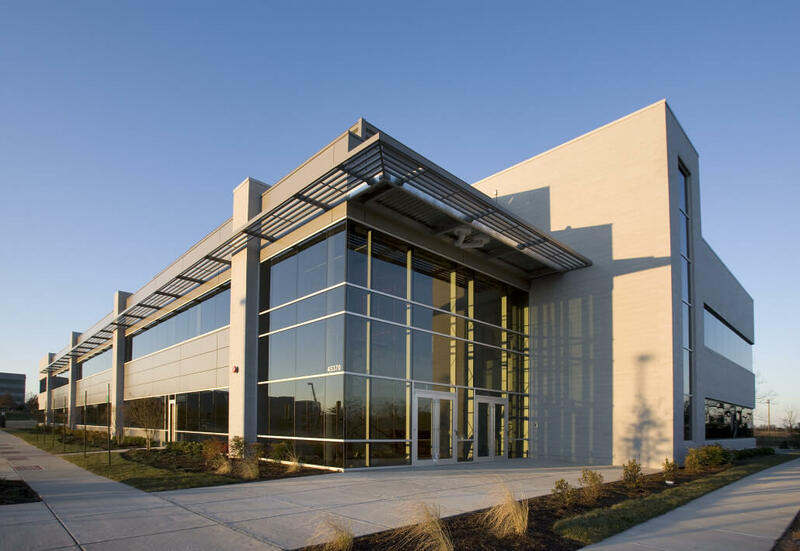 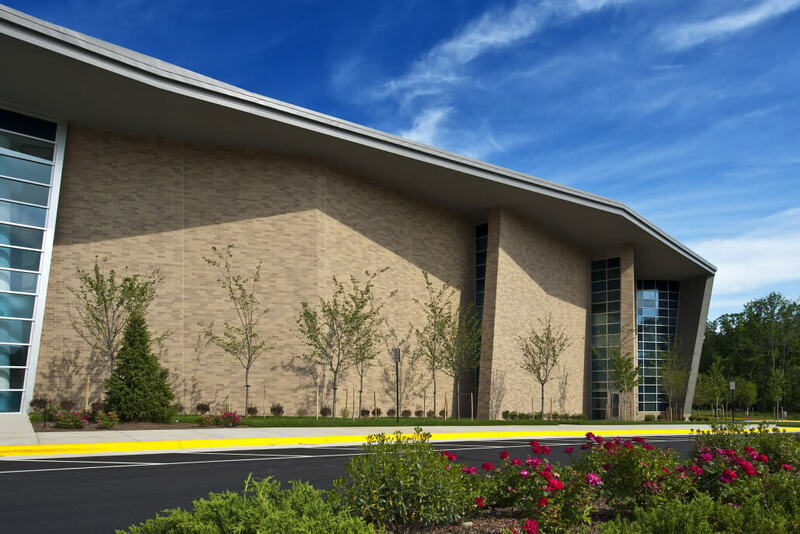 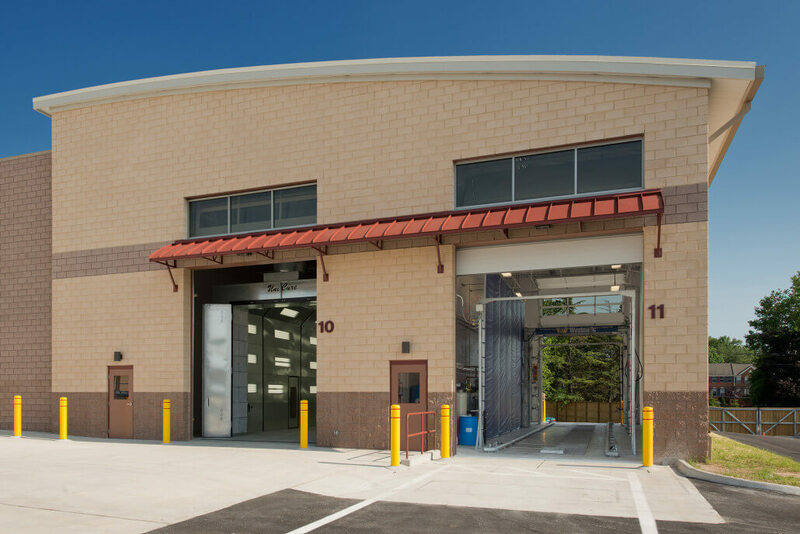 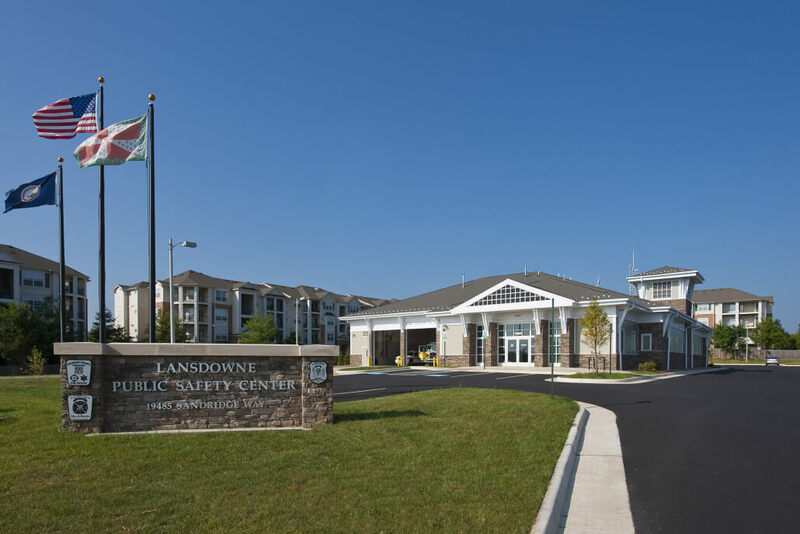 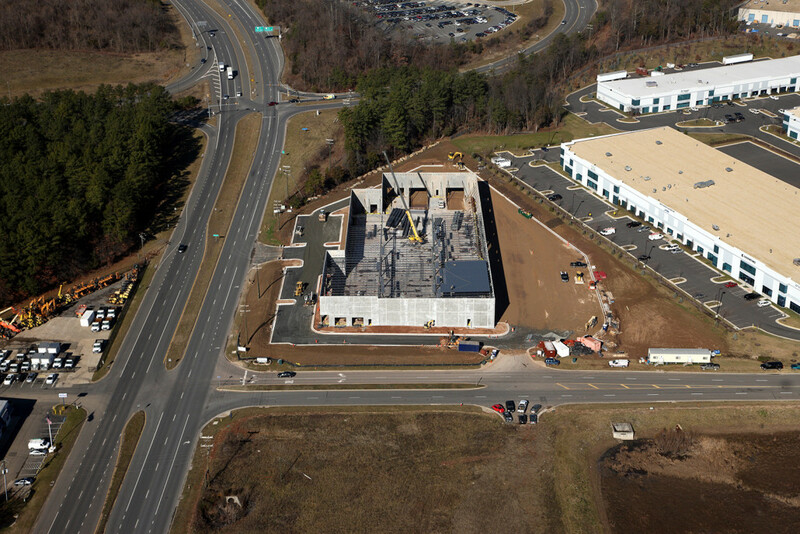 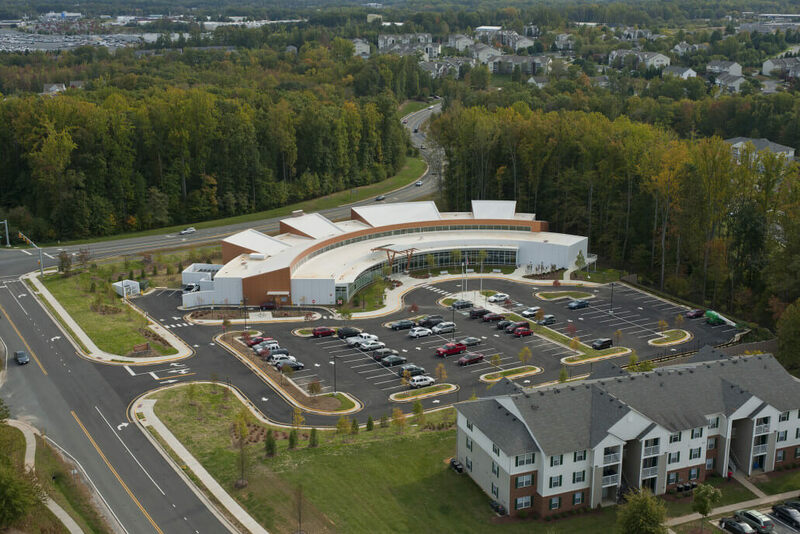 166,000 SF, Four-Story Office Building, Structural Steel; Precast; Simulated Stone and Glazing Façade; Large Demountable Partition Package; Office Space for Virginia State Police. 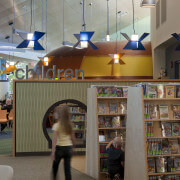 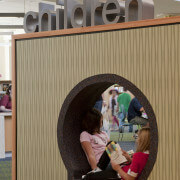 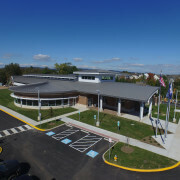 One-Story, 30,660 Square Foot Public Library; All Interior Improvements Including Children’s/Young Adult/Adult Areas, Staff Areas, Meeting Room, Conference Room, Several Group Study Rooms, and Service Areas; and Related Site Improvements. 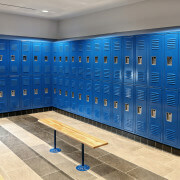 E.E. 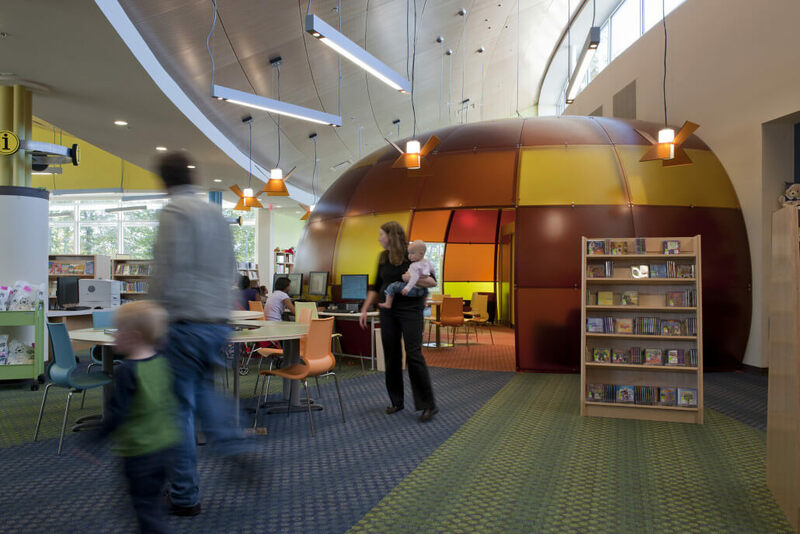 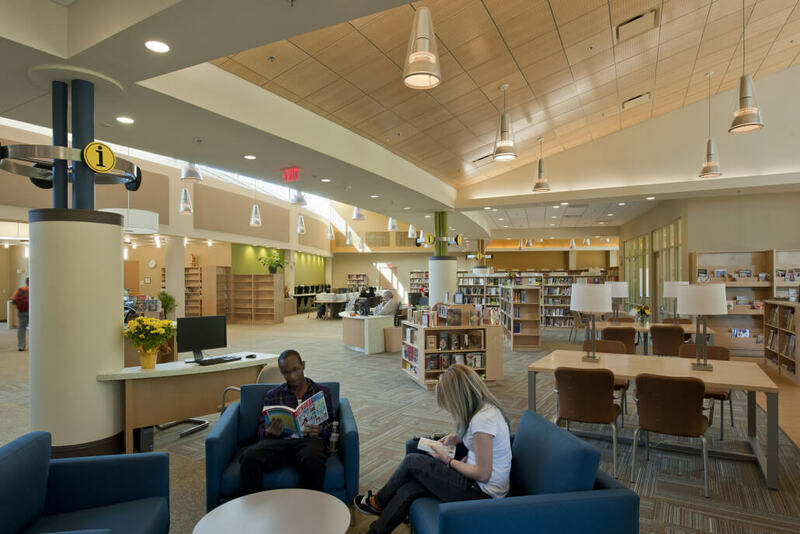 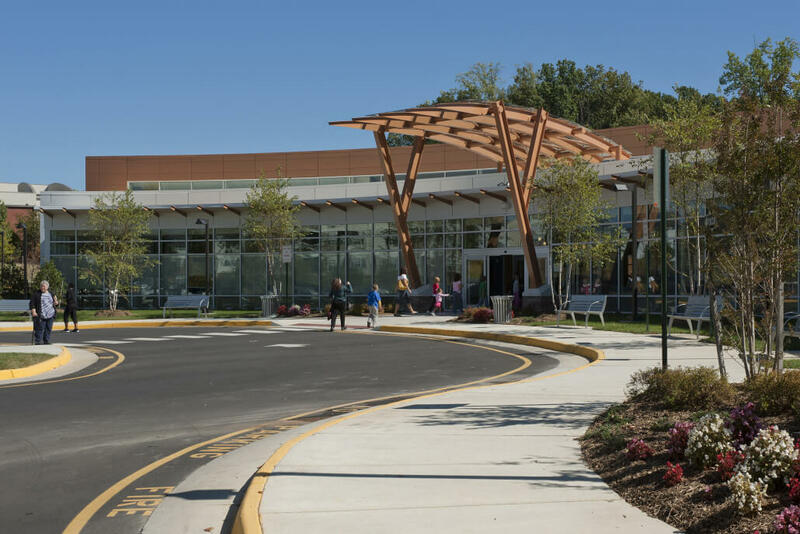 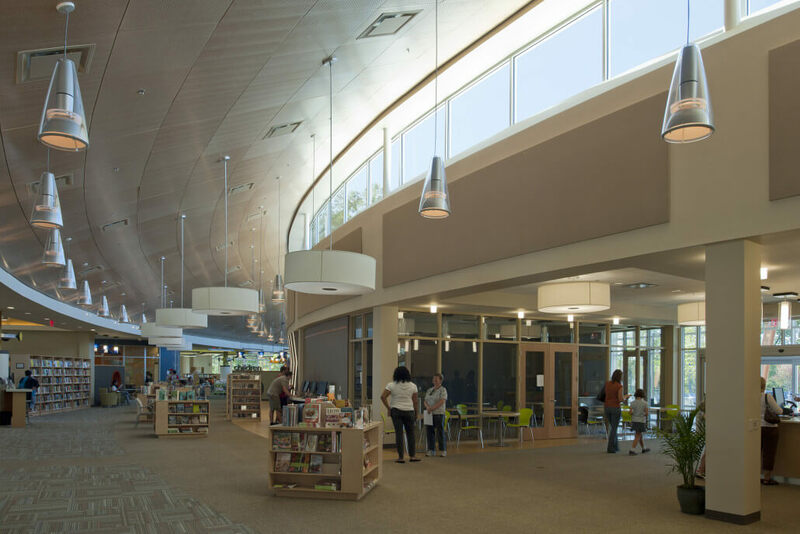 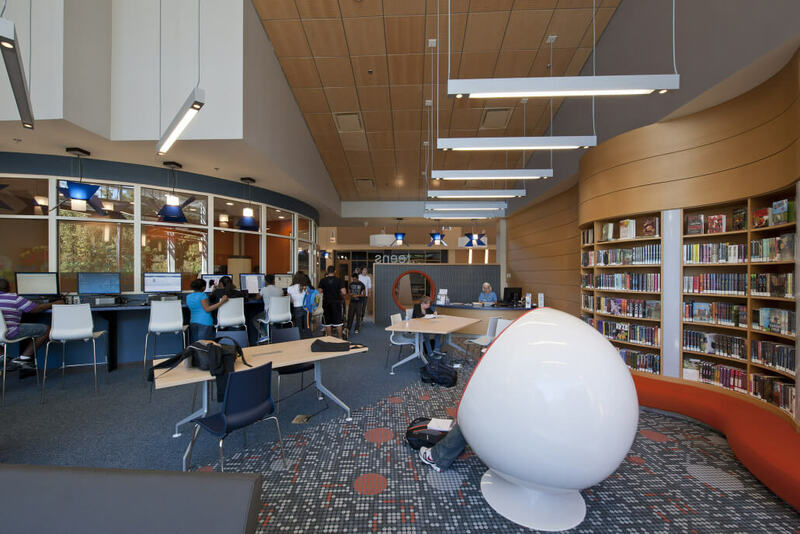 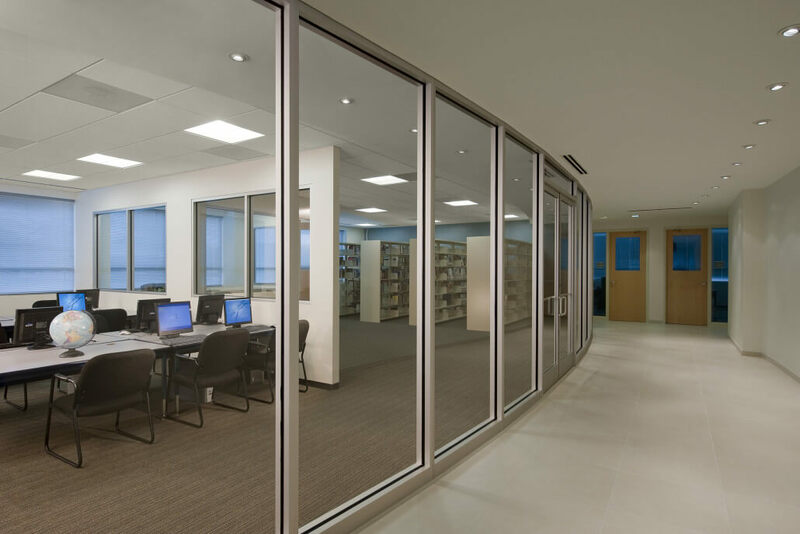 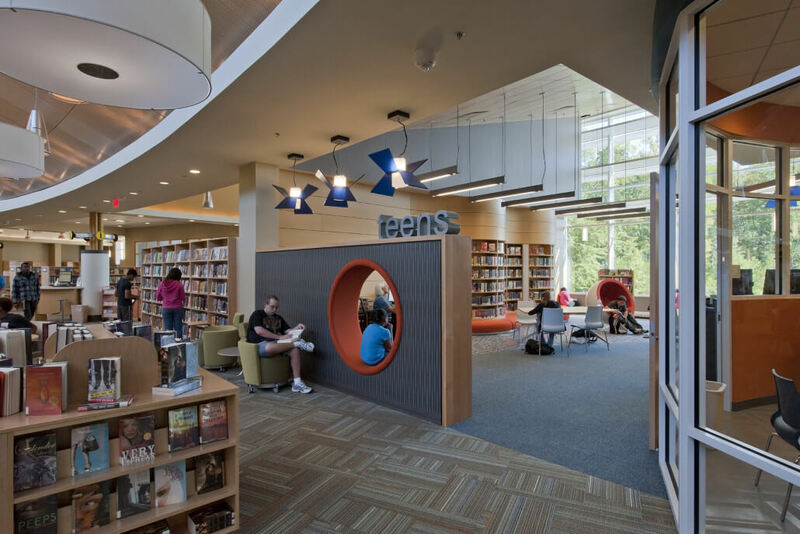 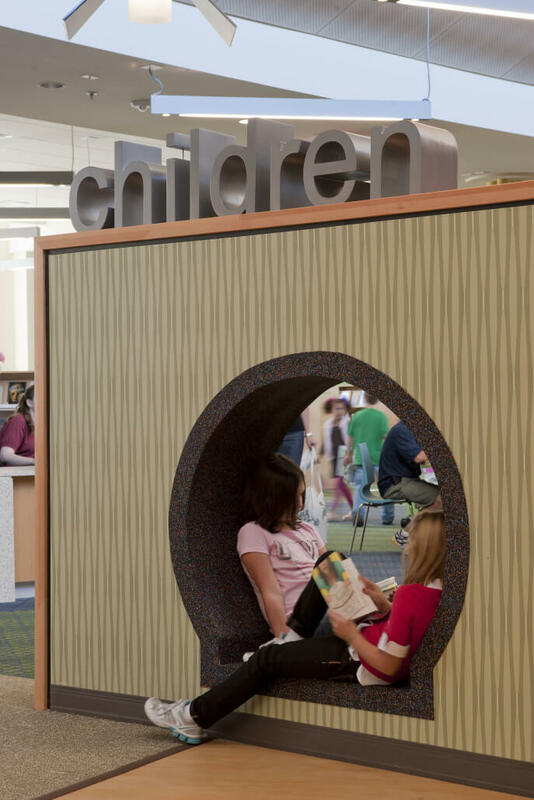 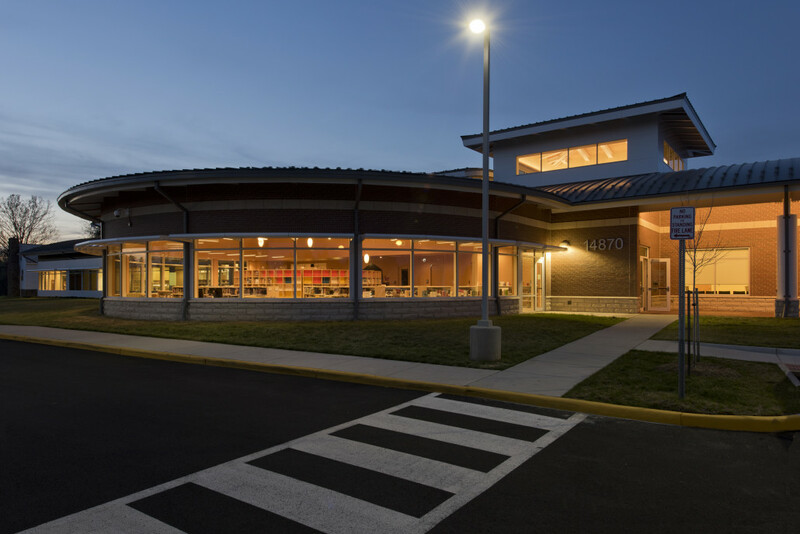 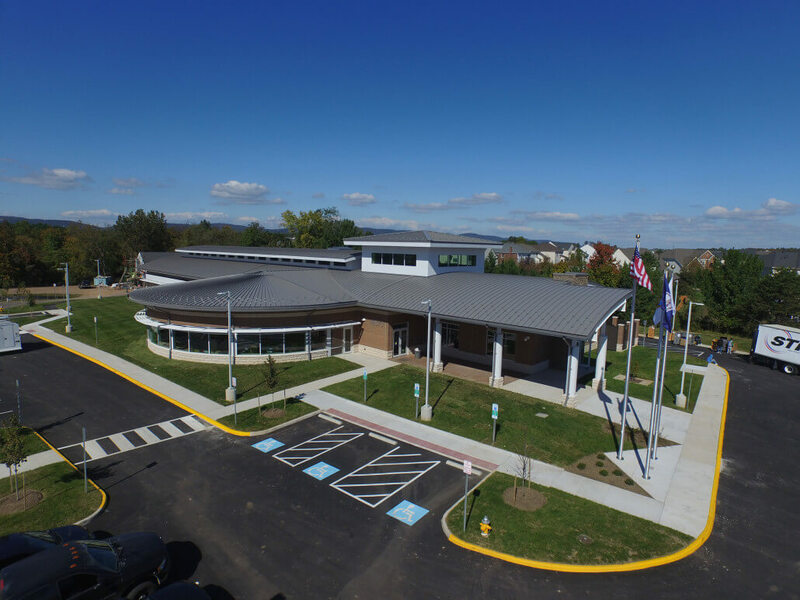 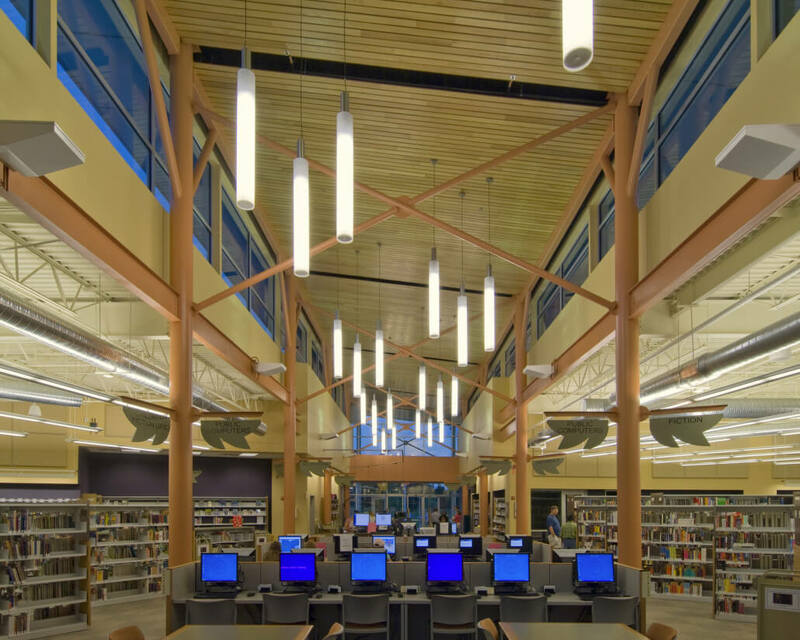 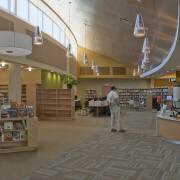 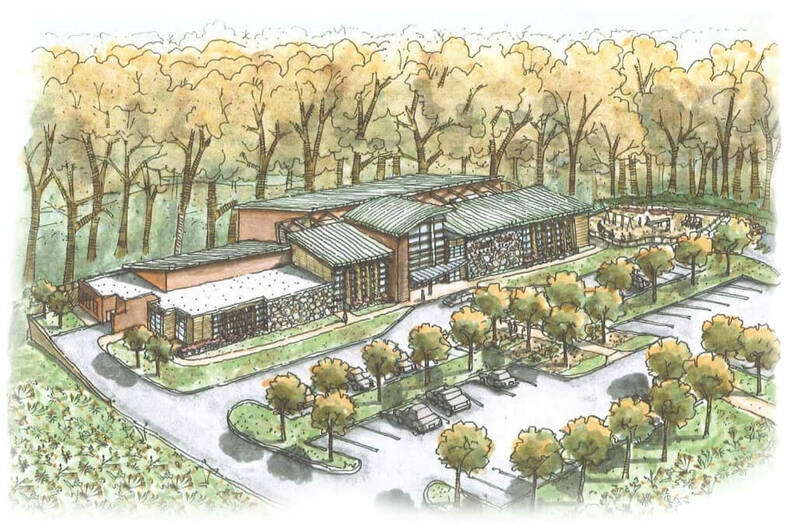 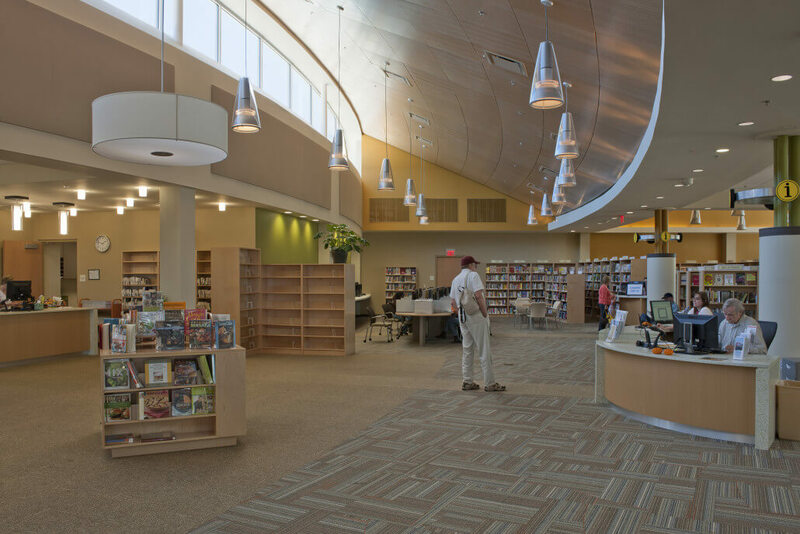 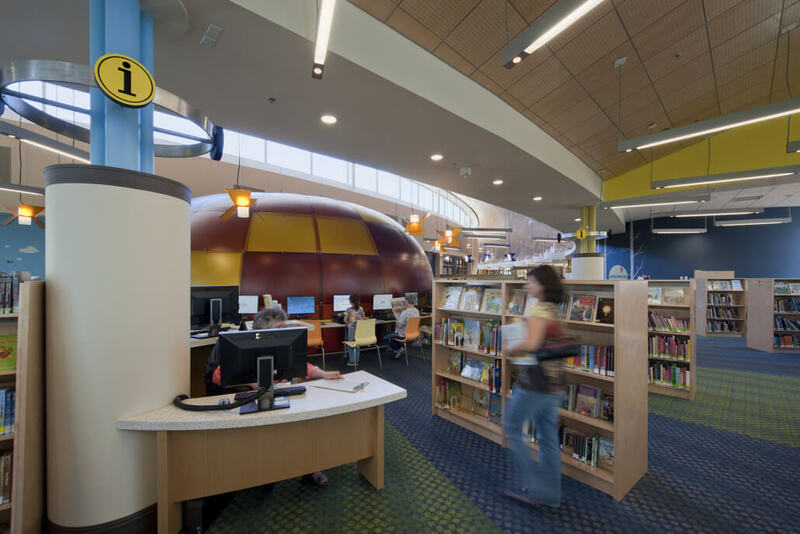 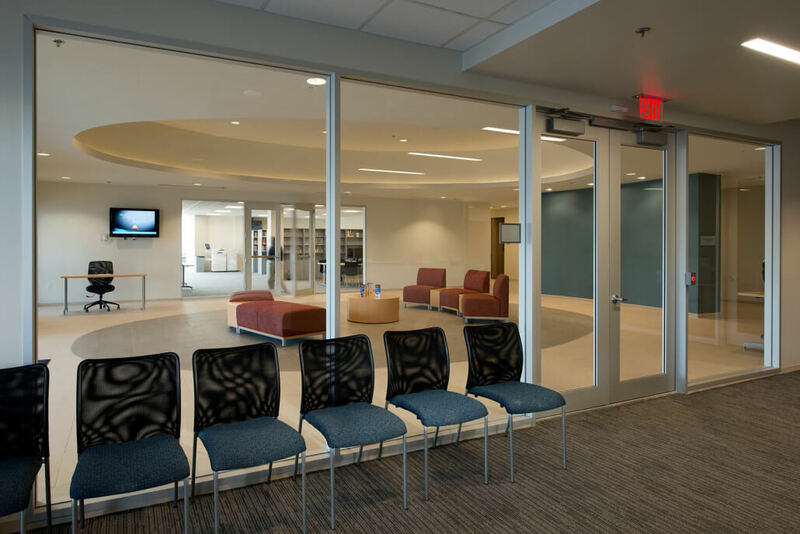 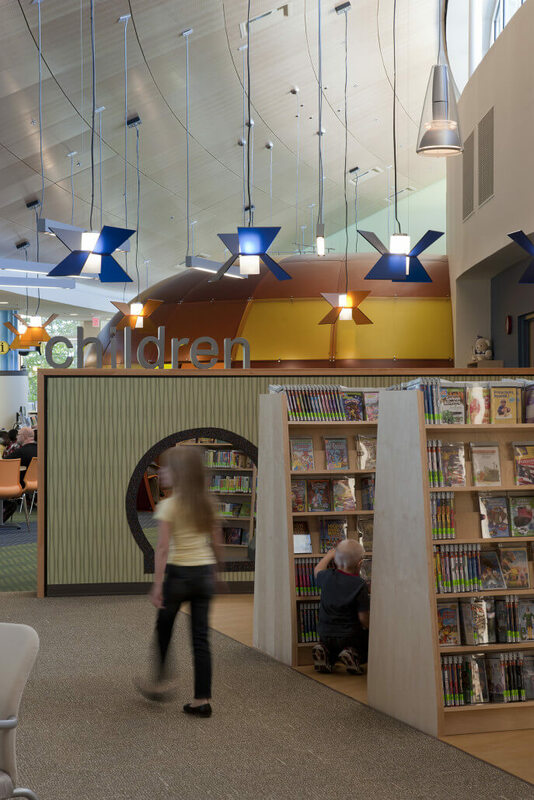 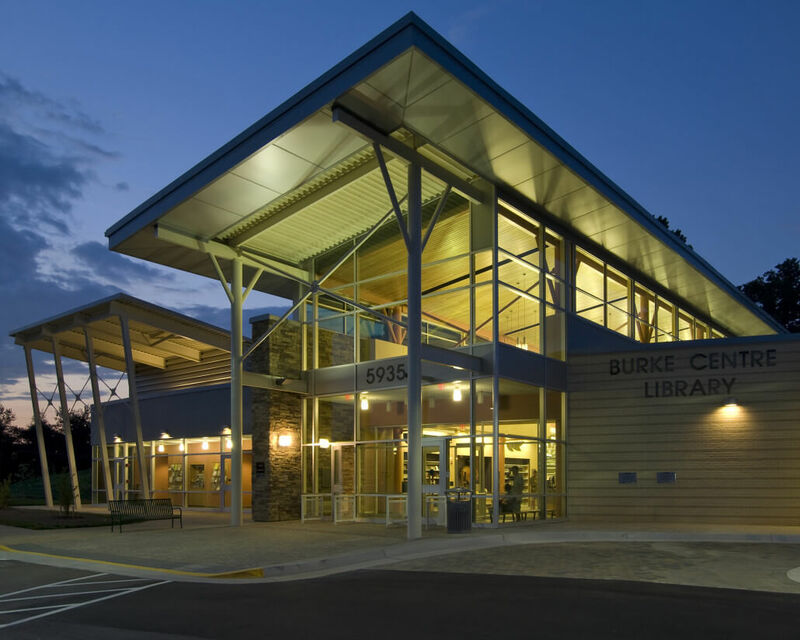 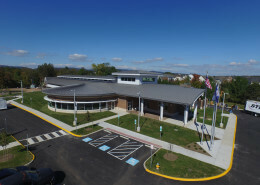 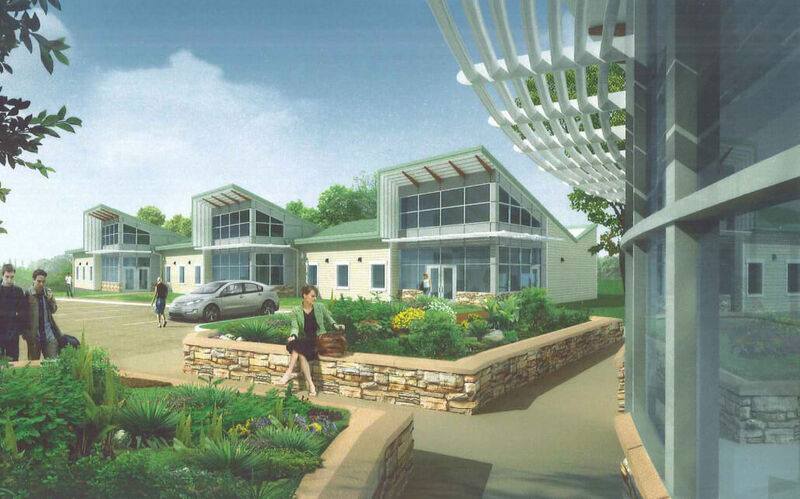 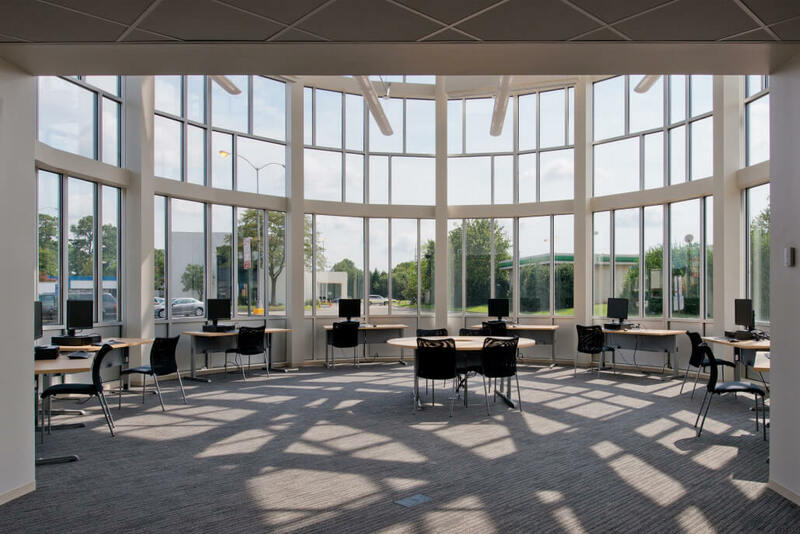 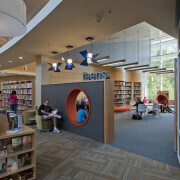 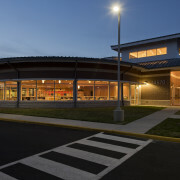 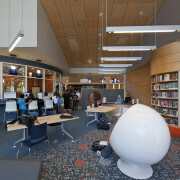 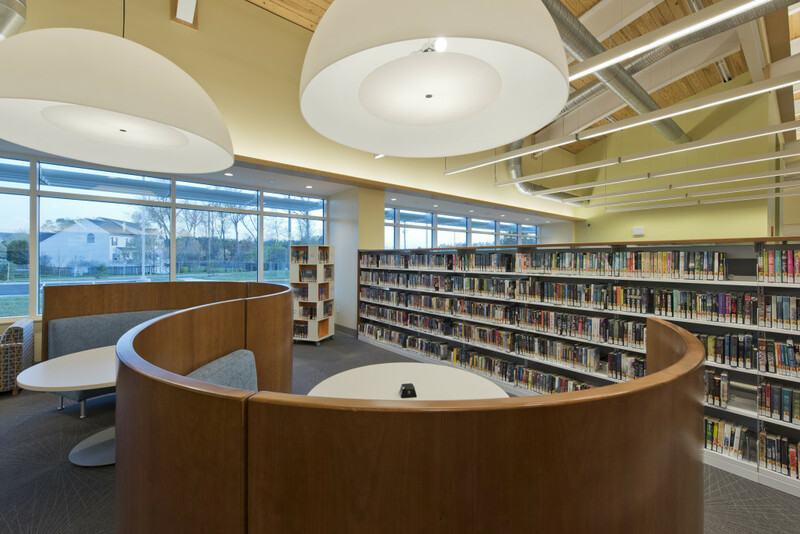 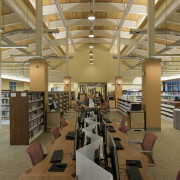 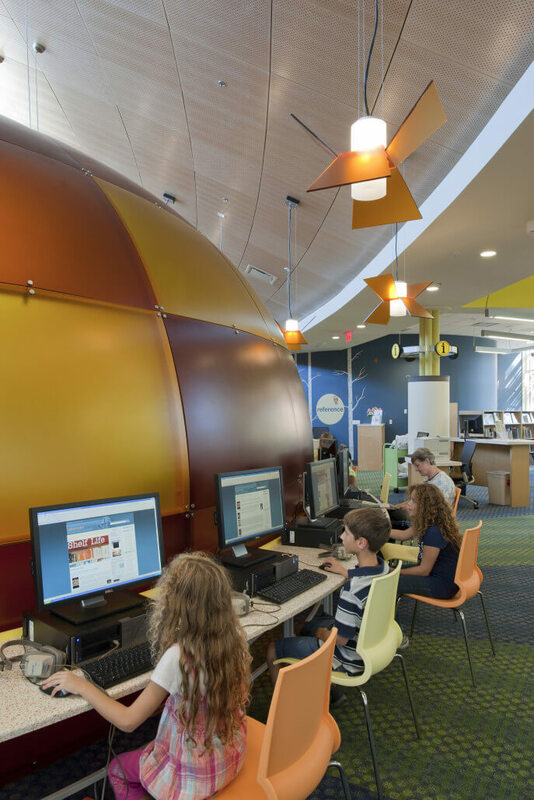 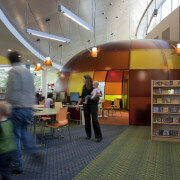 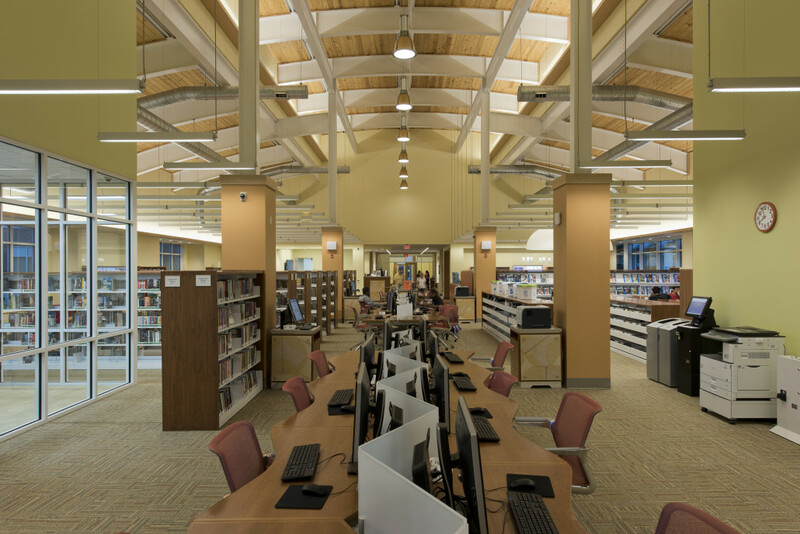 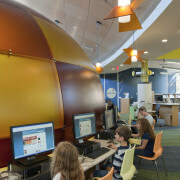 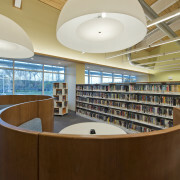 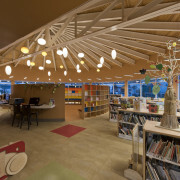 Reed worked closely with the Owner and Architect to ensure that the project met the requirements of the County and surrounding communities which the Library will serve. 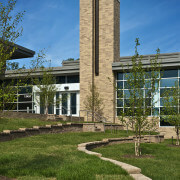 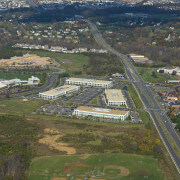 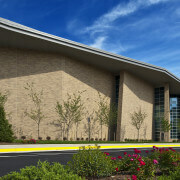 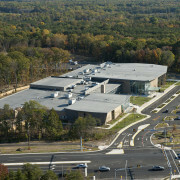 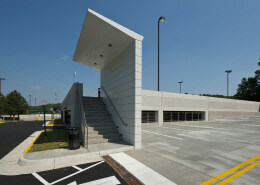 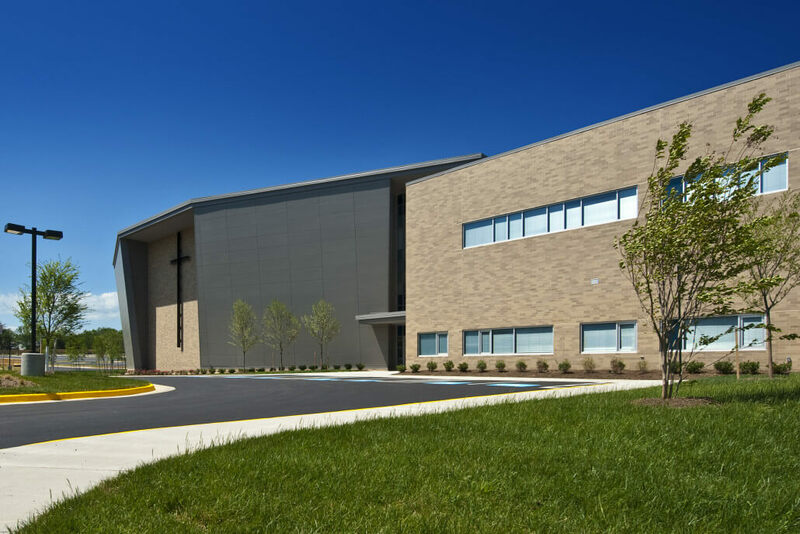 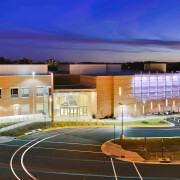 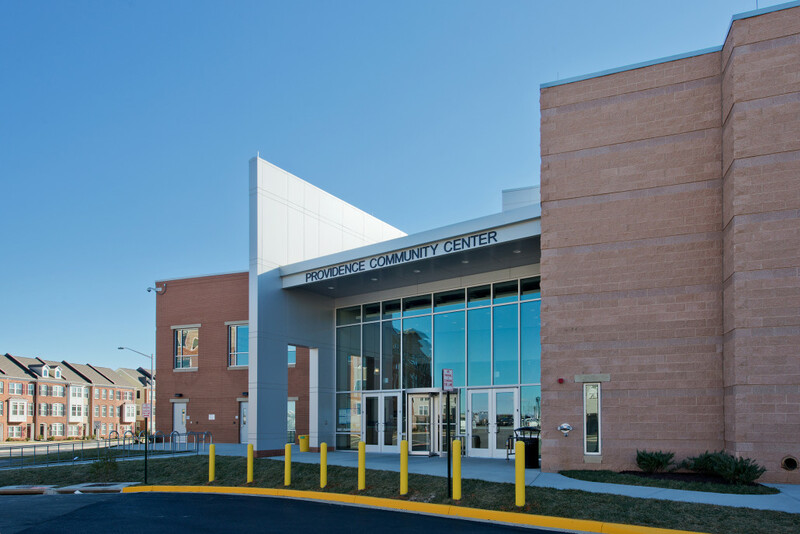 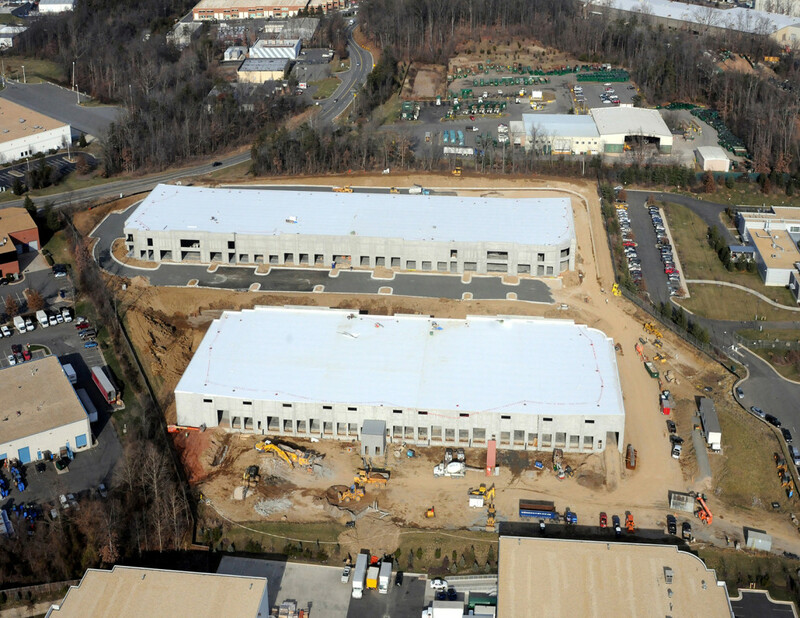 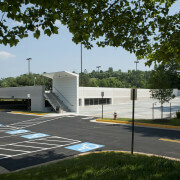 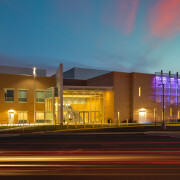 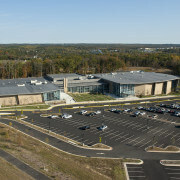 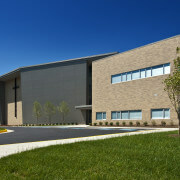 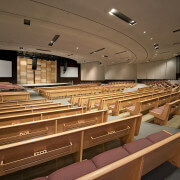 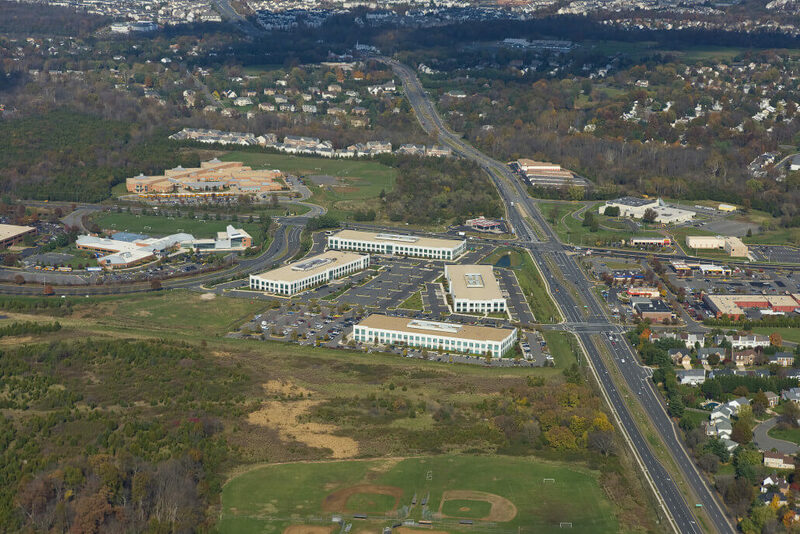 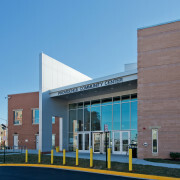 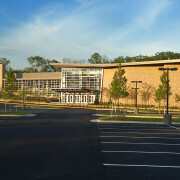 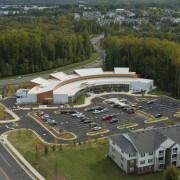 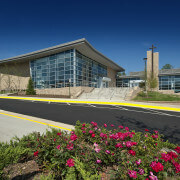 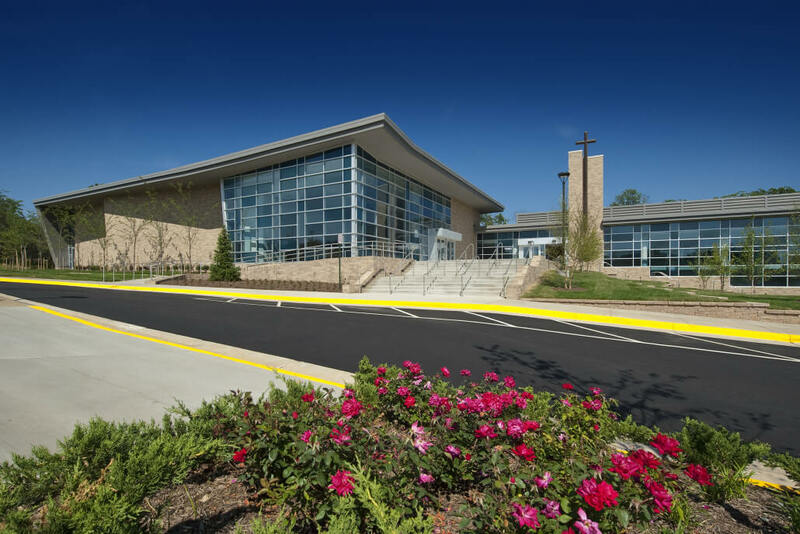 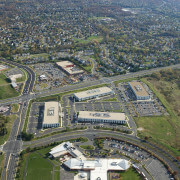 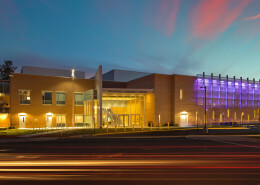 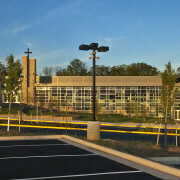 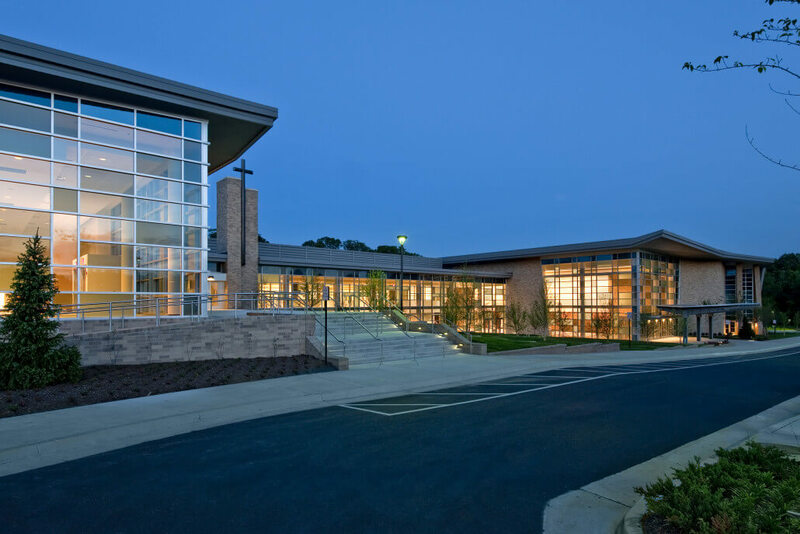 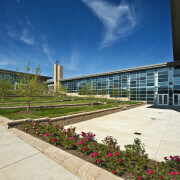 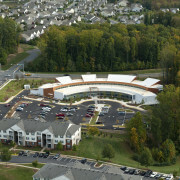 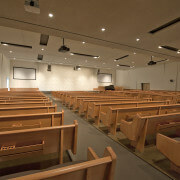 Two-Story, 180,000 SF Religious Institution Consisting of Sanctuary, Chapel, Classrooms, Office, Gymnasium, and Full-Service Kitchens; Structural Steel; Brick Façade; Curtain Wall and Metal Panels; Fully Adhered Roof; 3,000-Car Surface Parking; All Related Interior Improvements; and Related Site Improvements. 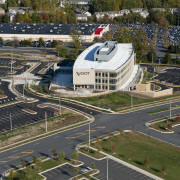 2nd Largest Church in Fairfax County. 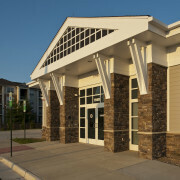 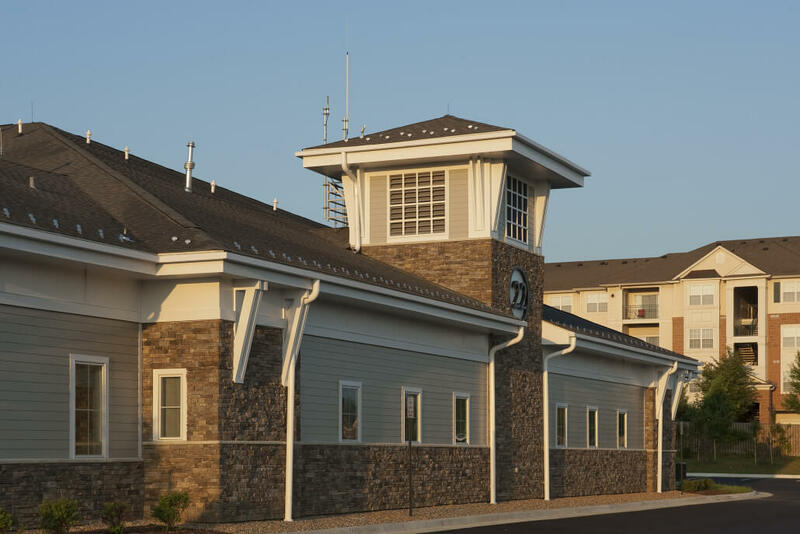 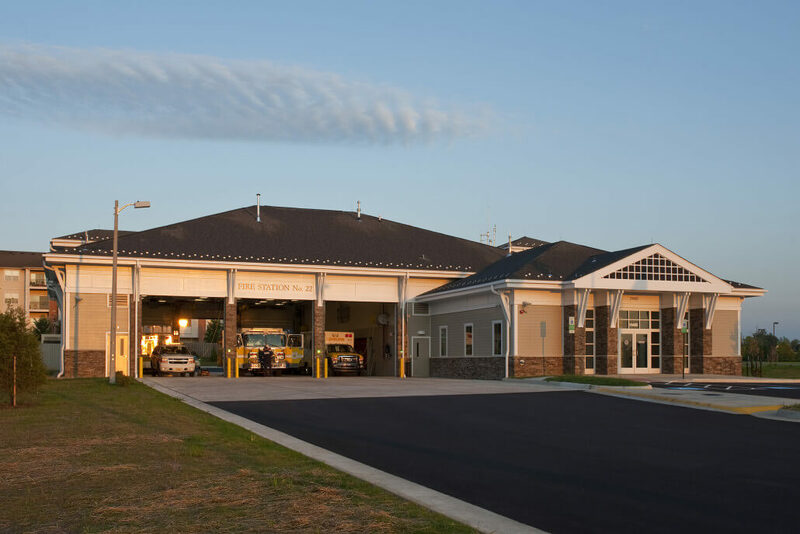 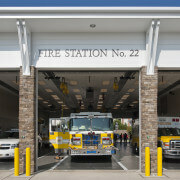 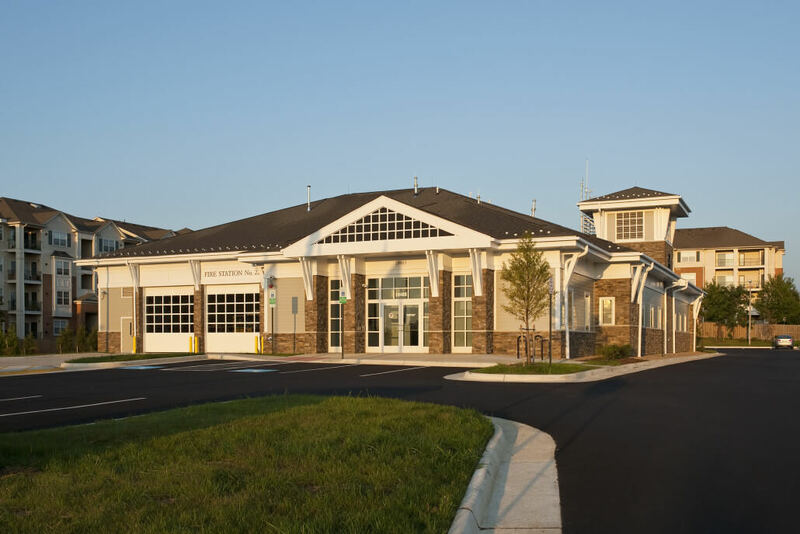 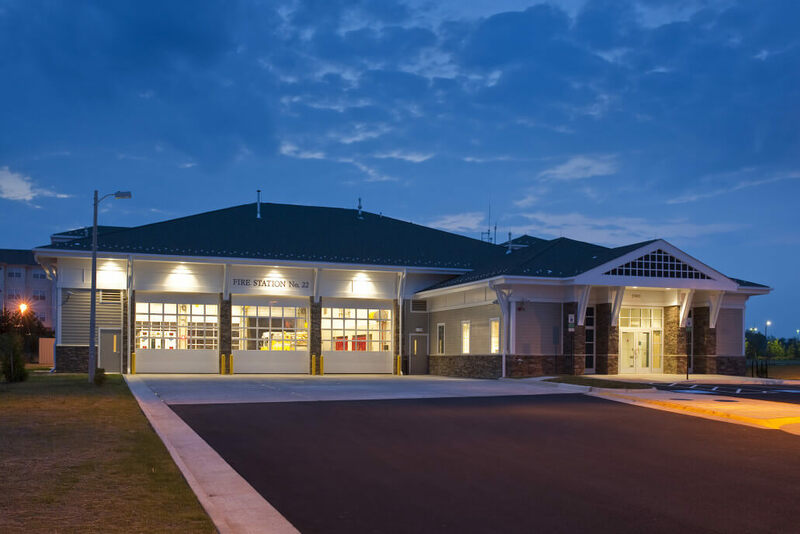 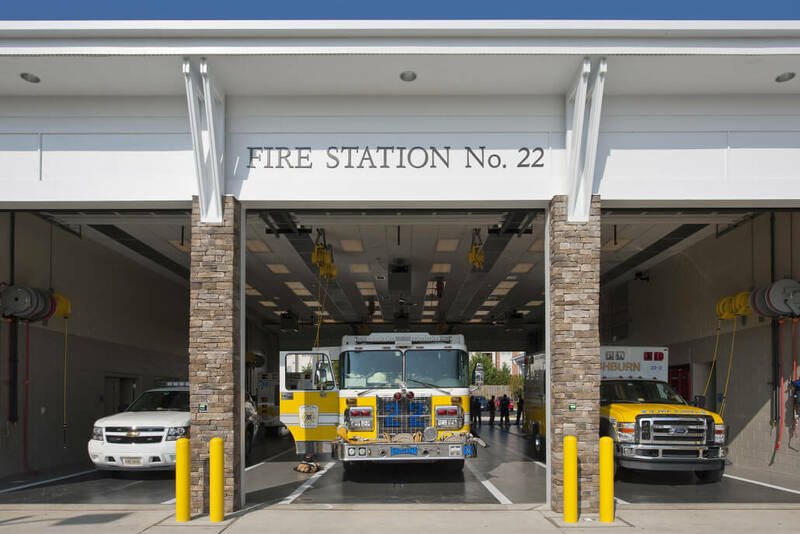 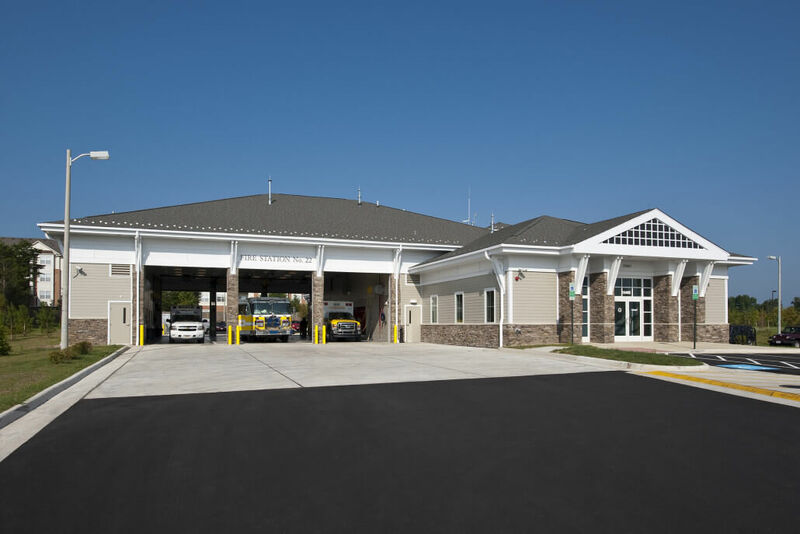 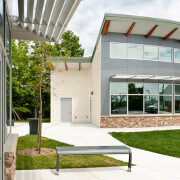 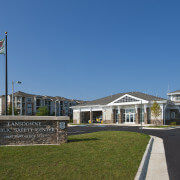 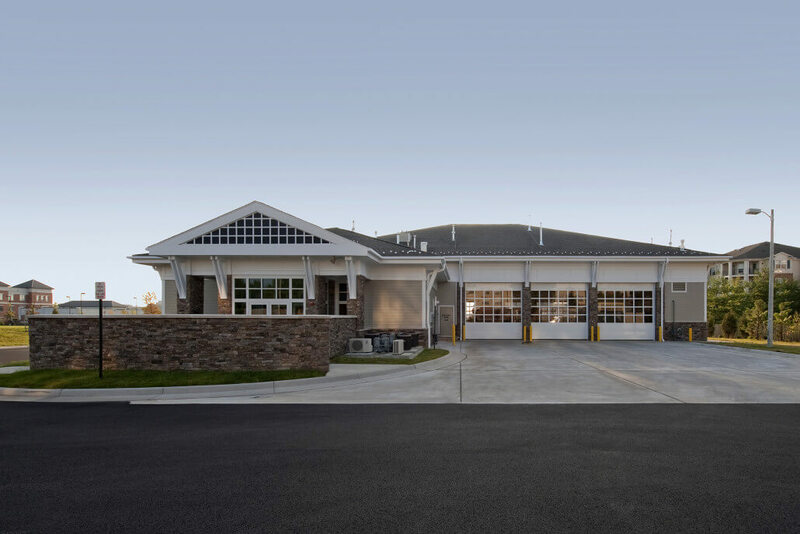 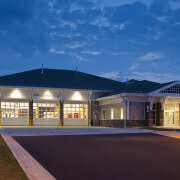 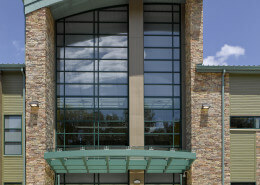 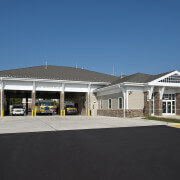 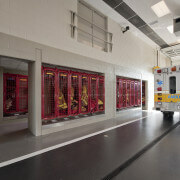 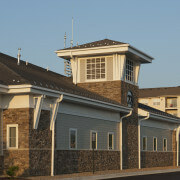 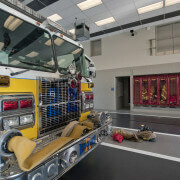 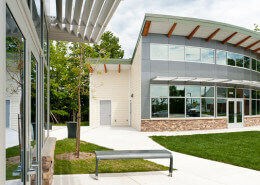 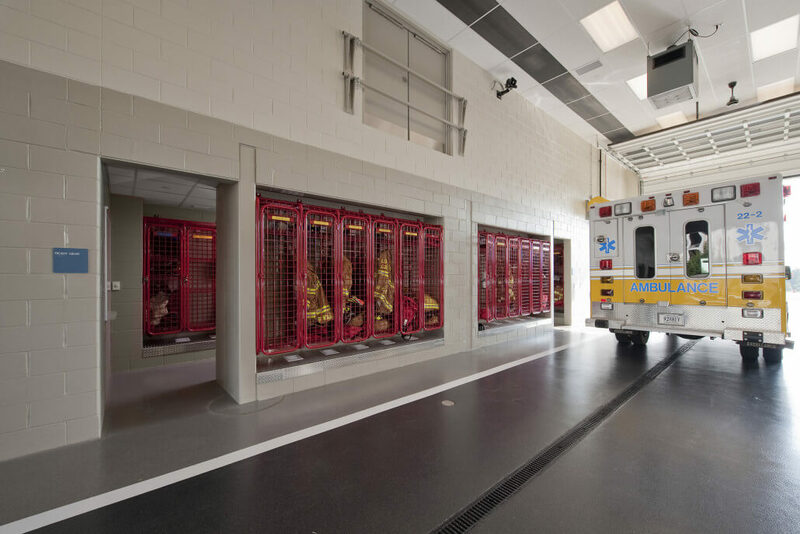 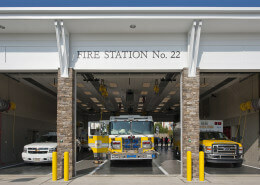 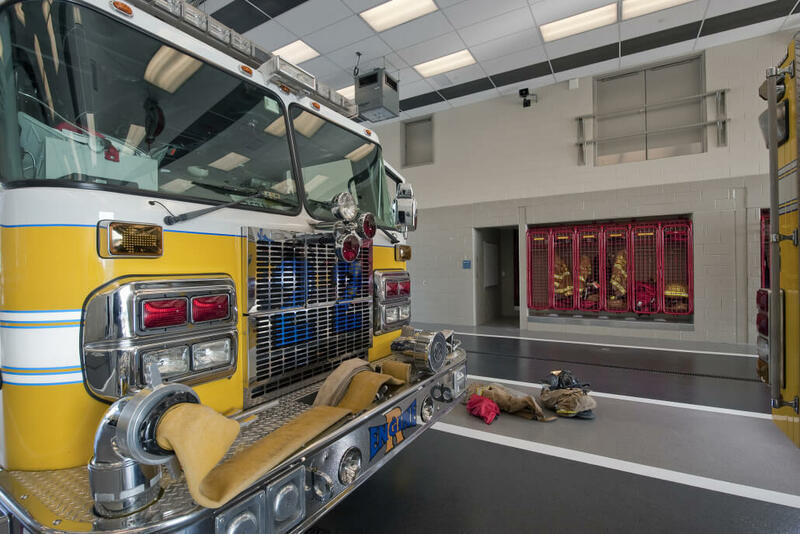 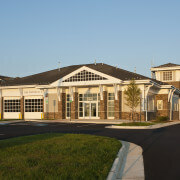 One-Story, 13,000 SF Fire/Rescue/Sheriff Public Safety Center; Steel and Masonry; Light-Gauge Metal Truss Roof System; Synthetic Stone, Hardiplank Siding; Glass and Glazing Façade; Shingle Roof; Includes Three-Bay Garage for Fire and Rescue Vehicles, Living Quarters, Kitchen, and Office Space; Special Vehicle Venting System and SCBA Refilling Station for Fire Rescue Station; Specialty Equipment; All Related Interior Improvements; and Related Site Improvements. 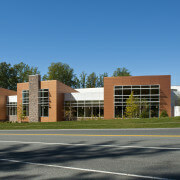 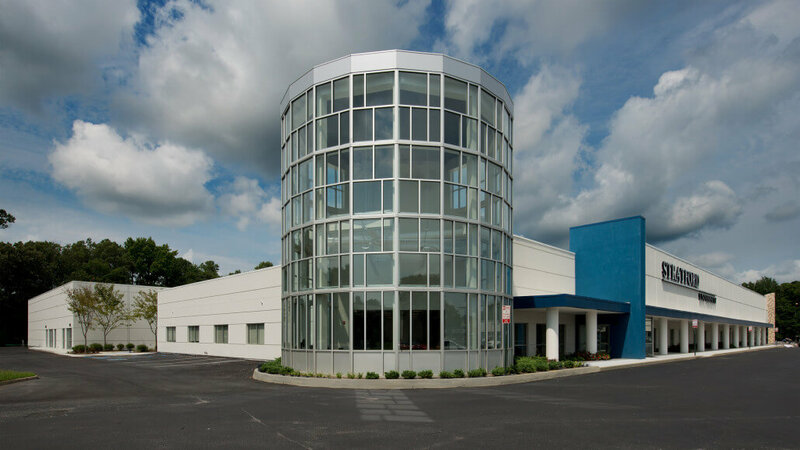 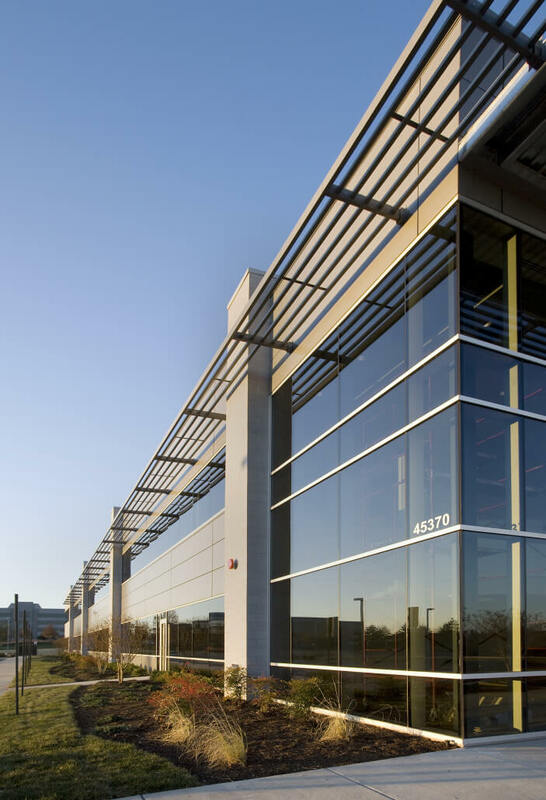 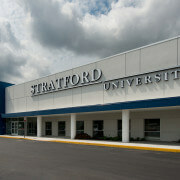 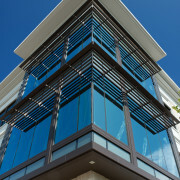 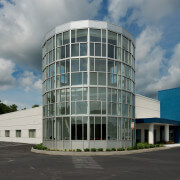 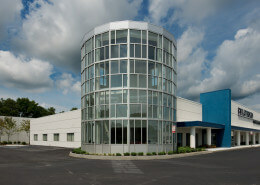 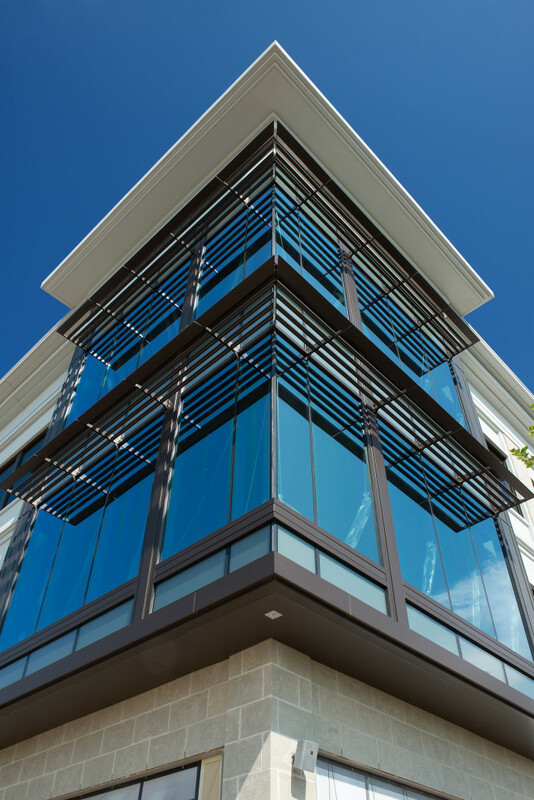 Two-Story, 40,000 SF Office Building, Steel with Masonry/Glass and Metal Panels. 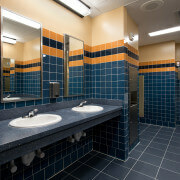 All Interior Improvements. 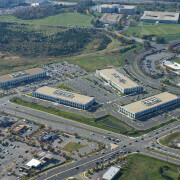 Four (4) Two-Story, 100,000 SF Shell Office Buildings. 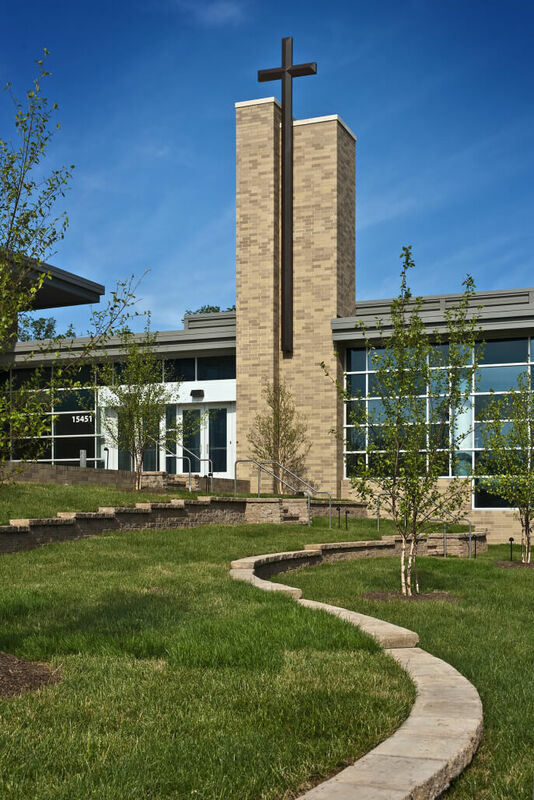 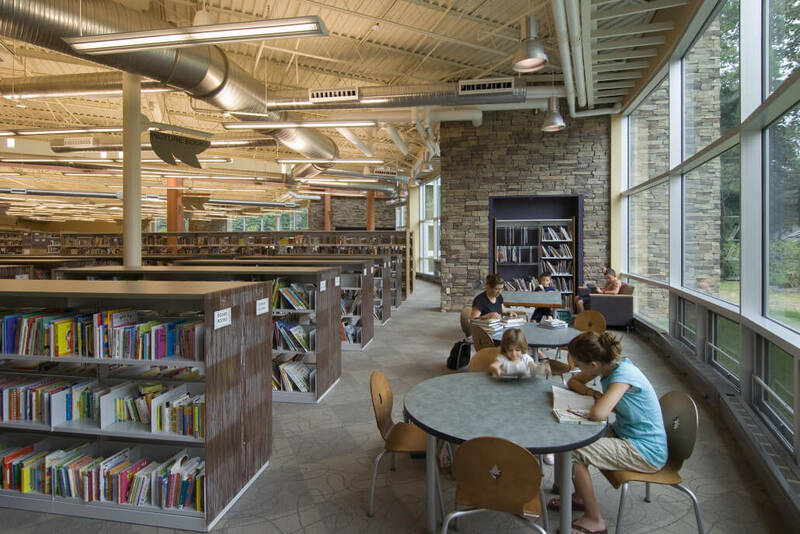 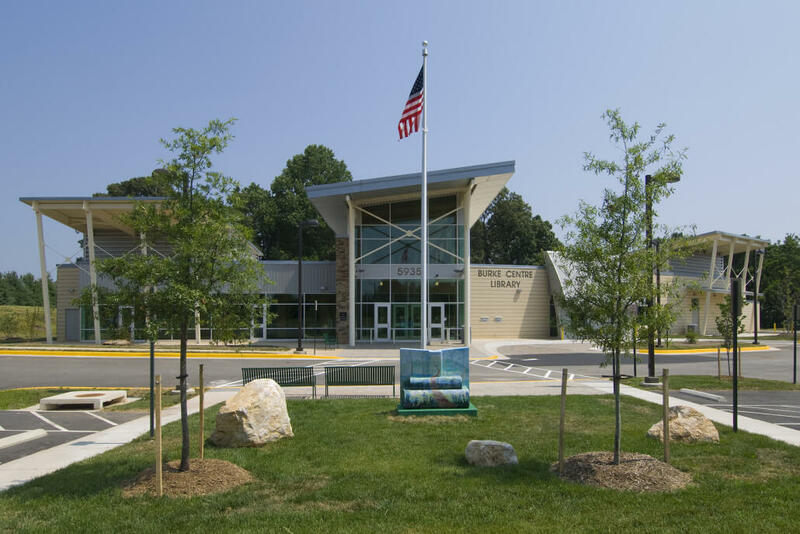 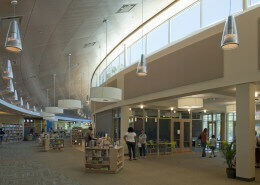 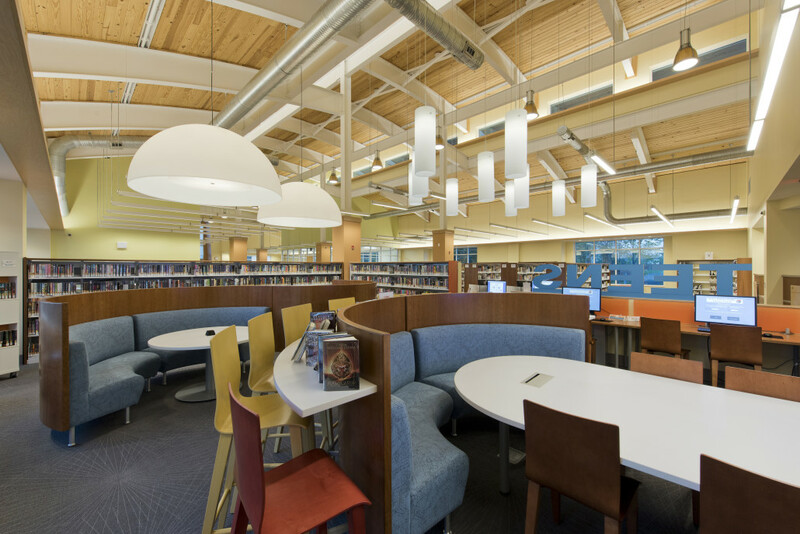 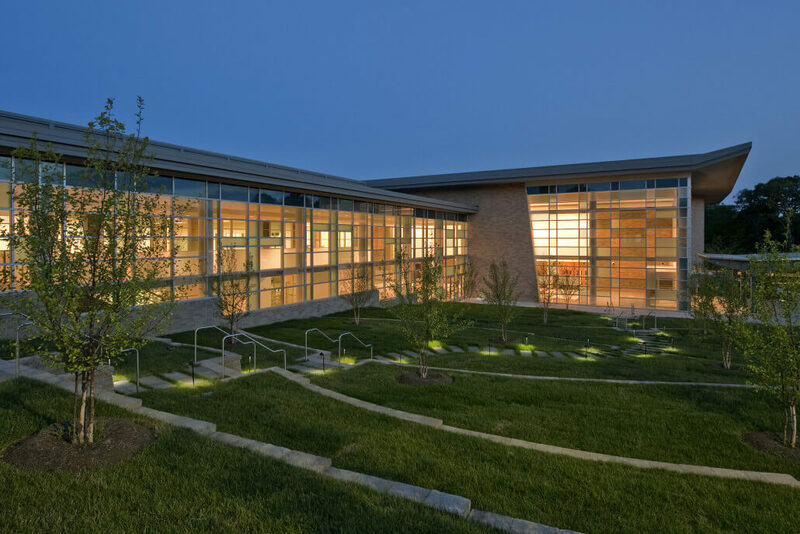 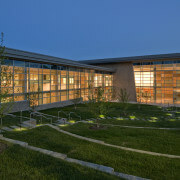 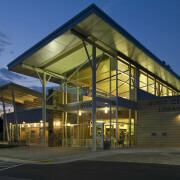 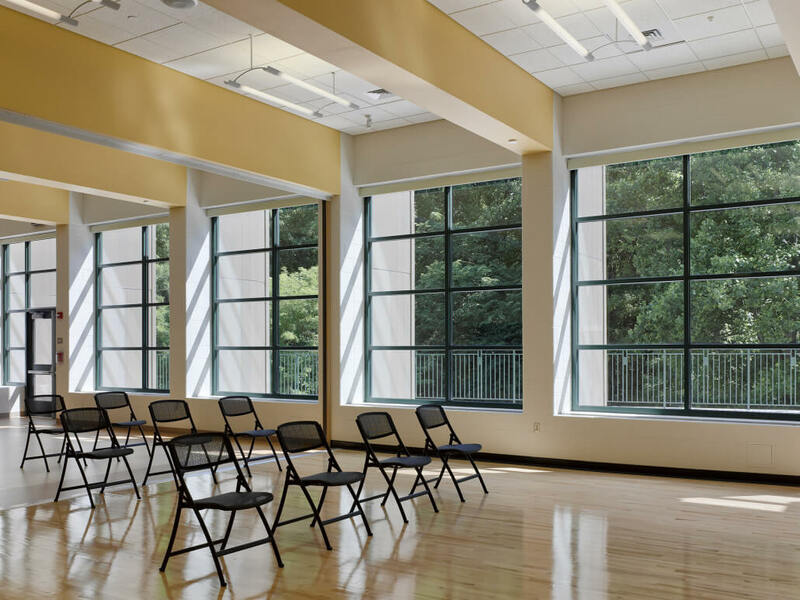 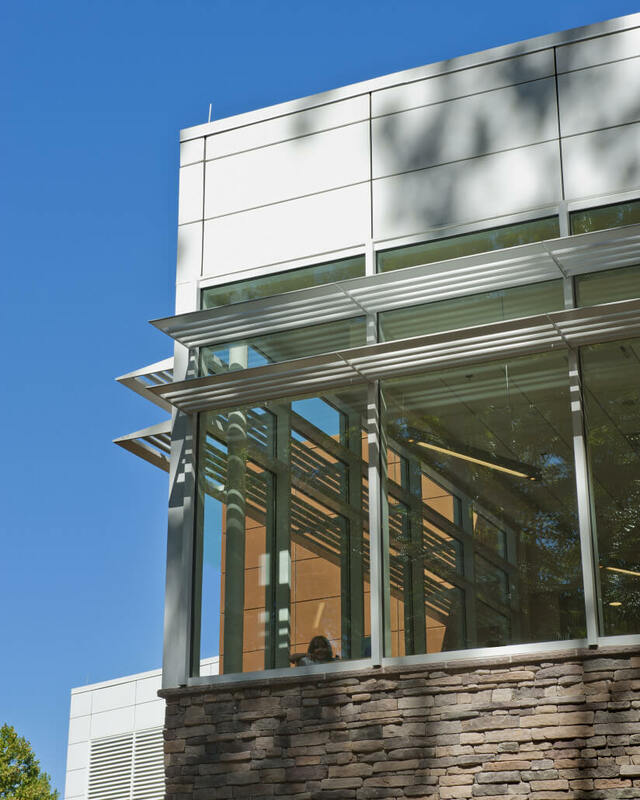 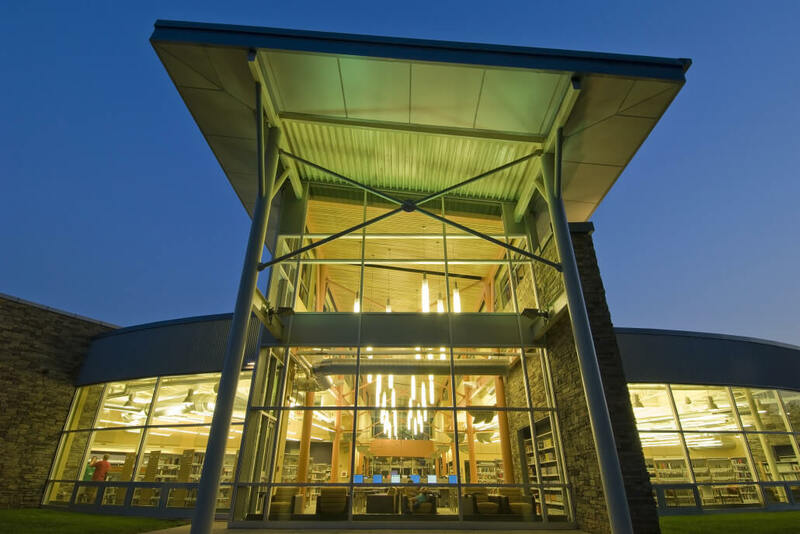 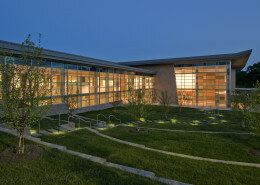 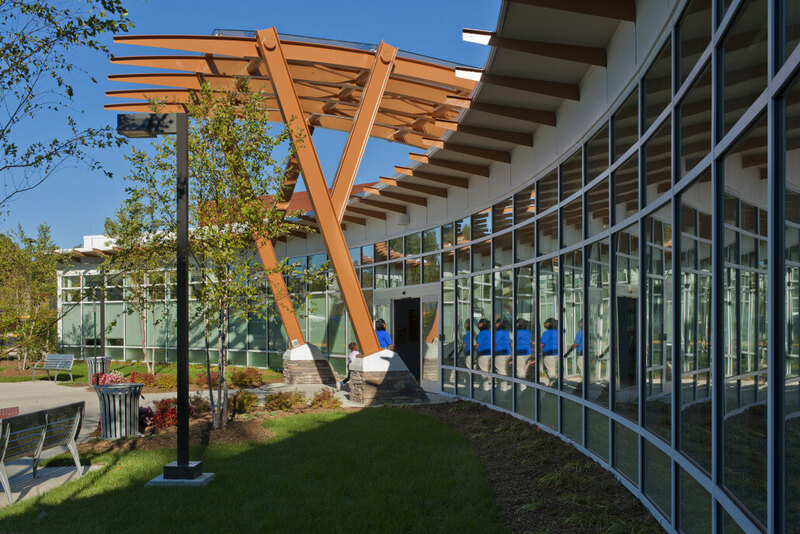 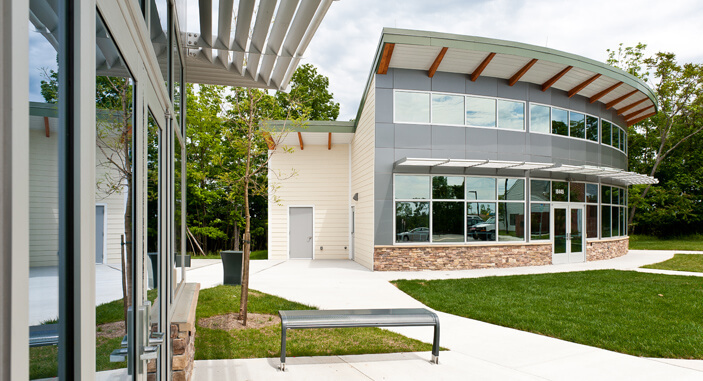 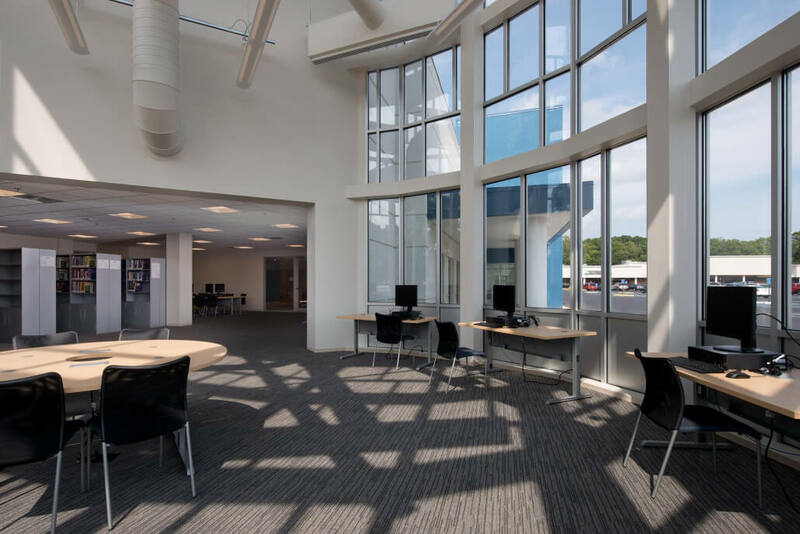 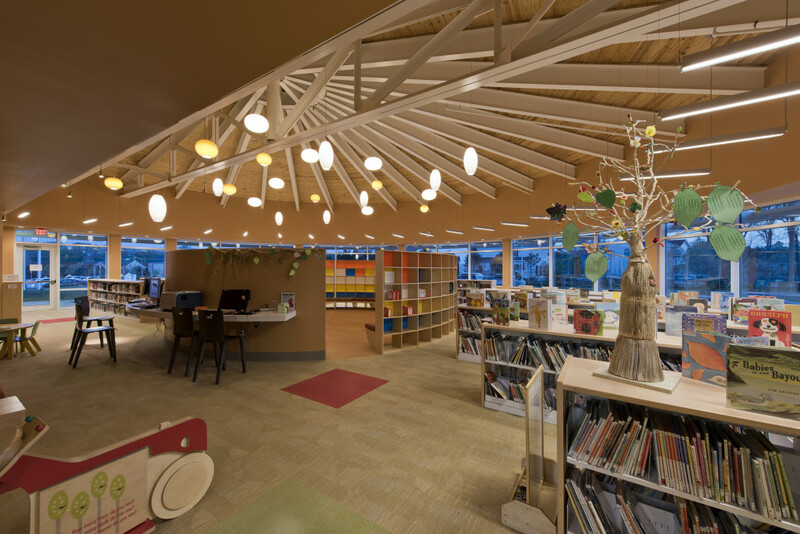 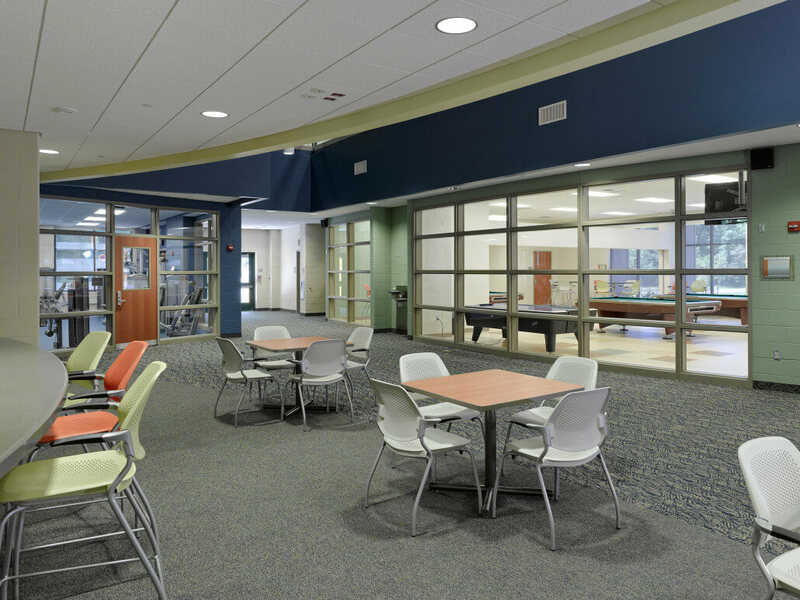 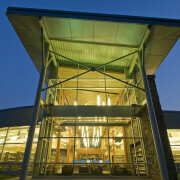 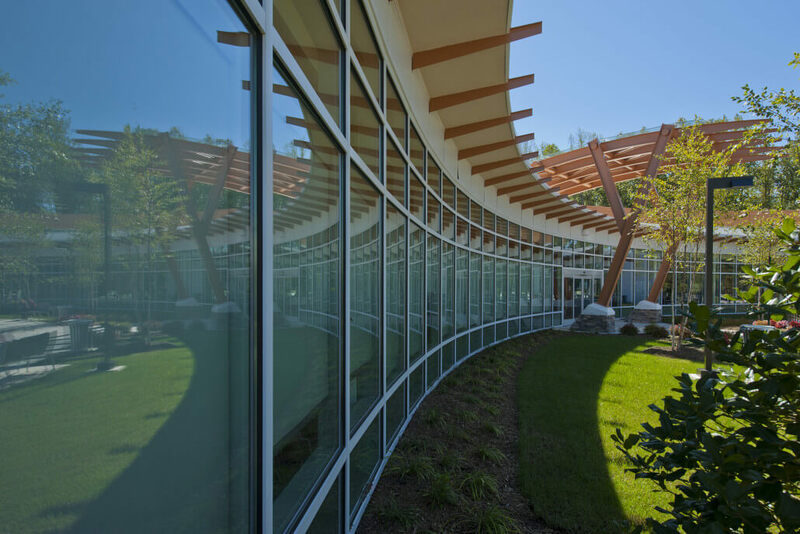 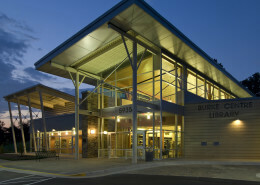 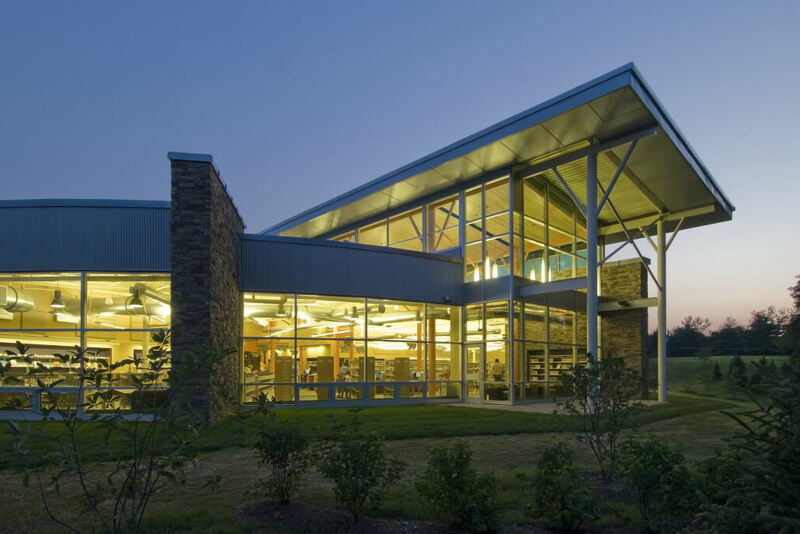 One-Story, 16,700 SF Library; Structural Steel Frame; Masonry, Stone, Glass, and Metal Panel Façade; All Interior Improvements Including Library Equipment; Site Improvements; Building certified LEED Silver with Tree Preservation Area. 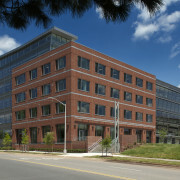 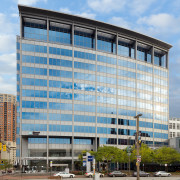 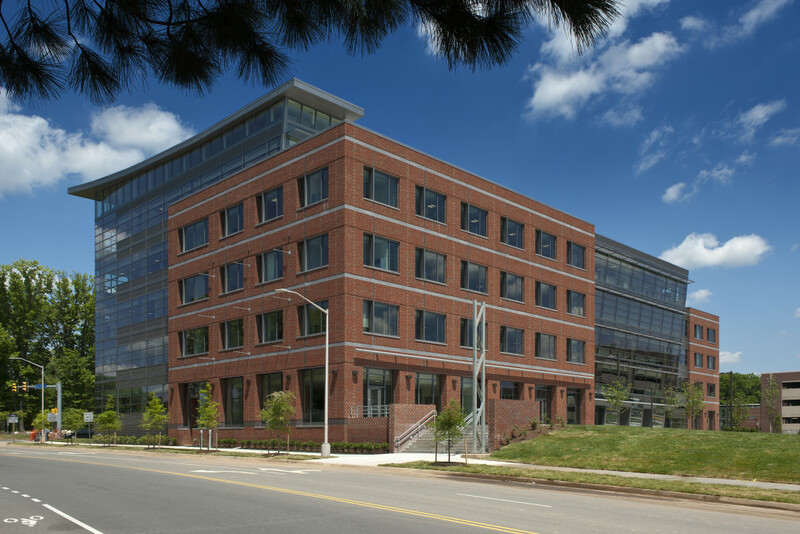 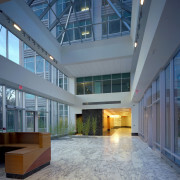 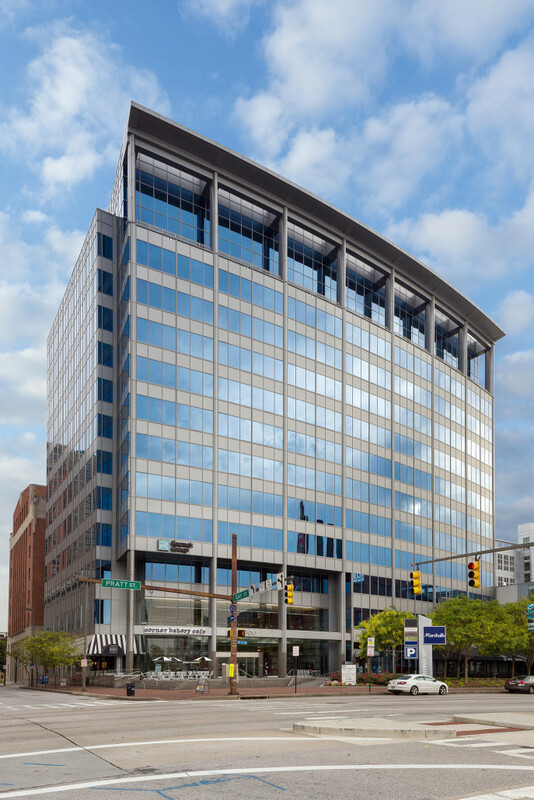 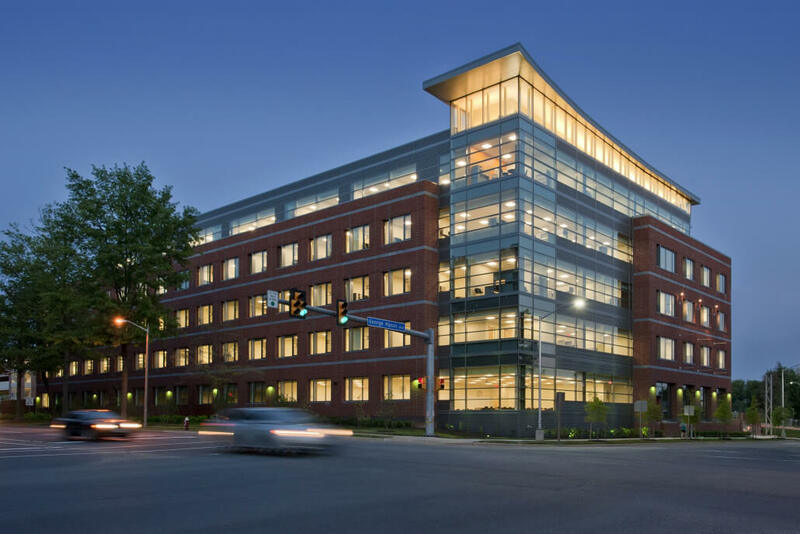 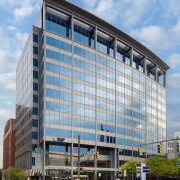 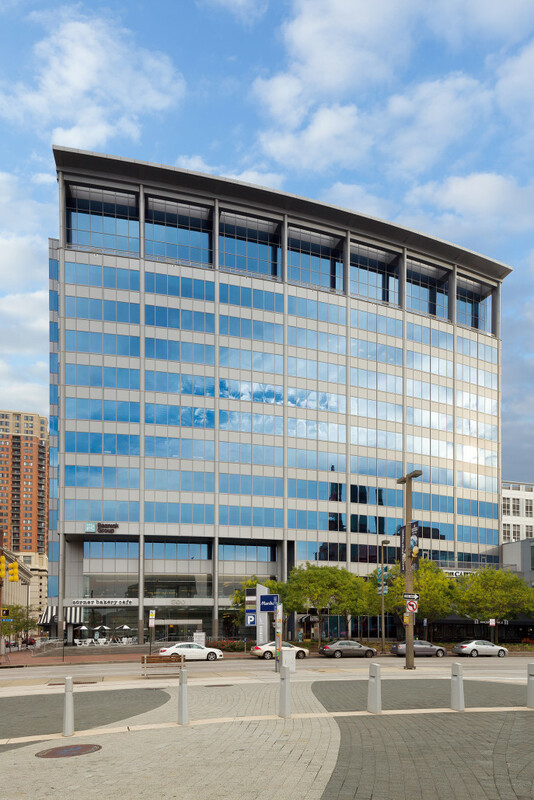 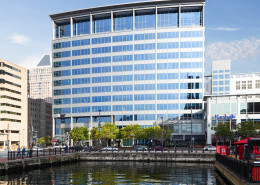 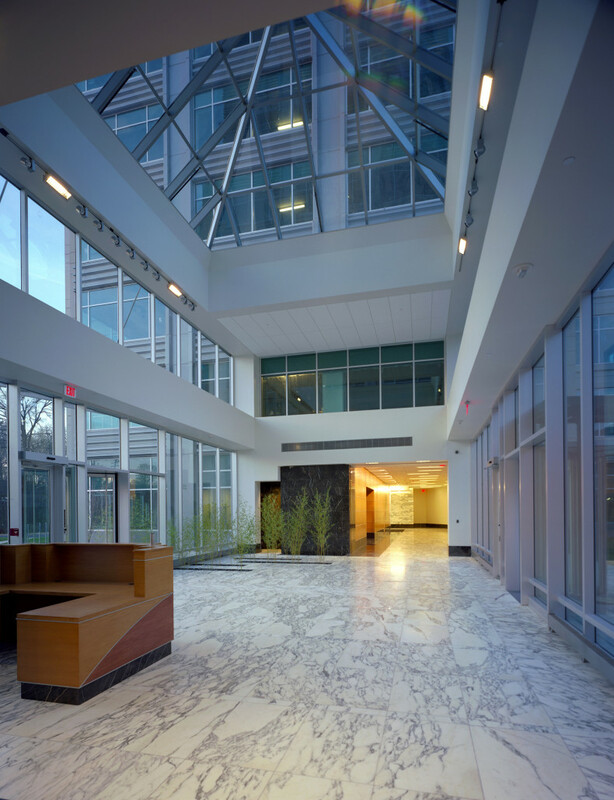 2008 NAIOP Award of Excellence for Best Building, Institutional Facility Under $20 Million & 2008 NAIOP Award of Merit for Best Environmentally Responsible Green Construction. 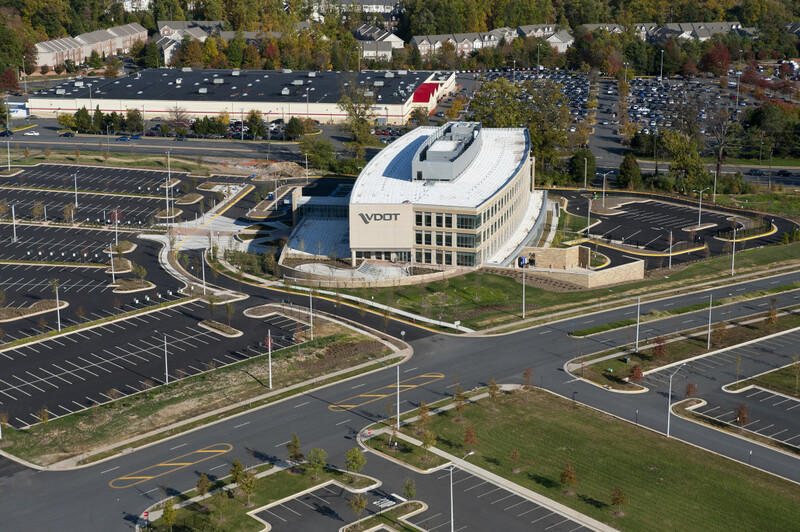 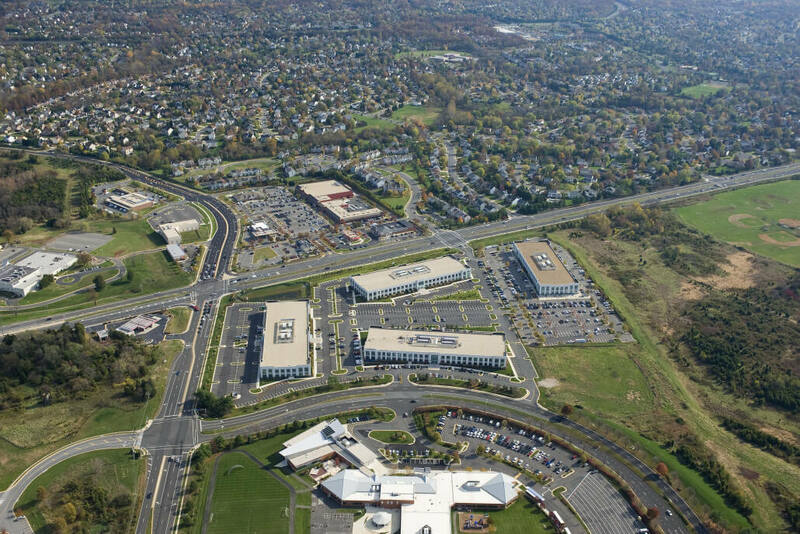 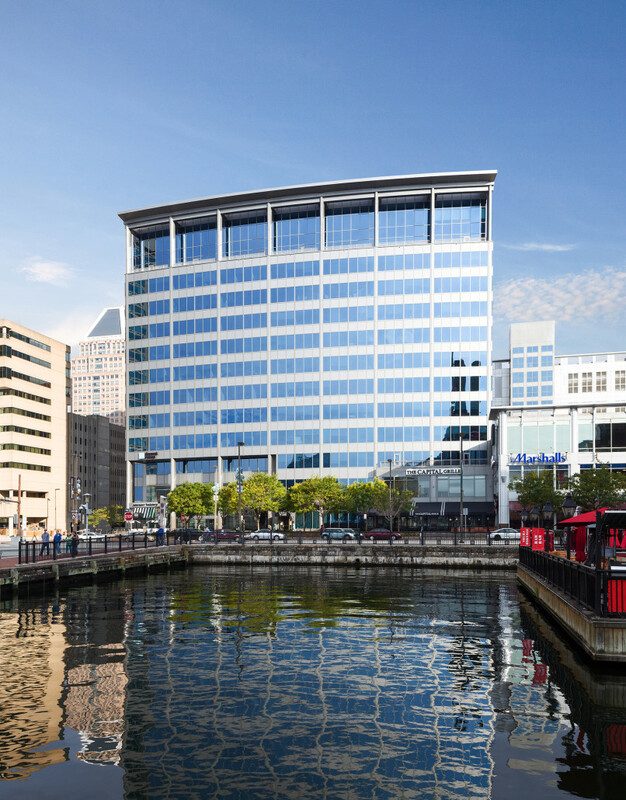 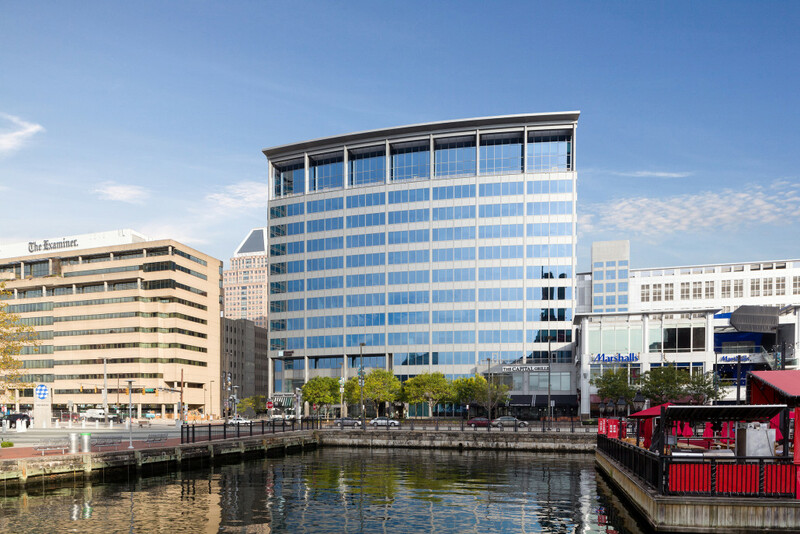 Two, 185,000 SF Each, Eight-Story Shell Office Buildings, Cast-In-Place; Two, 190,000 SF Each, Five-Level, 1,400-Car Parking Garages; Cast-In-Place; 1,200 LF 8’ by 8’ Stream Diversion Box Culvert; and Related Site Improvements. 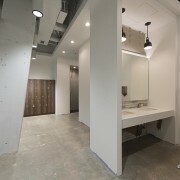 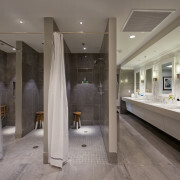 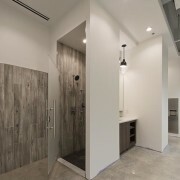 One-Story, 28,000 SF Interior Build Out; Building LEED Gold Certified LEED-Specific Items include 4,000 SF Green Roof system; Low-flow sinks, toilets, and showers; Motion-based faucet controls; Waterless urinals; 50% reduction in potable water use; Daylight- and motion-responsive lighting; Light density of 0.9 Watts/square foot; Energy Star appliances; Green power credits for 100% of electricity used; 25% lower energy usage than a typical building of WSSI’s size; No CFC’s used in HVAC or refrigeration, Low-VOC paints, coatings, carpeting, and furniture; 62 thermal zones; Access to direct daylight and views; Carbon dioxide sensors to deliver fresh air; and 3 times more ventilation than required by code. 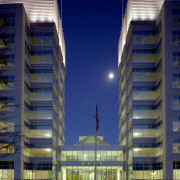 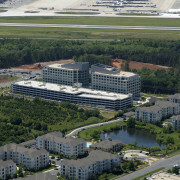 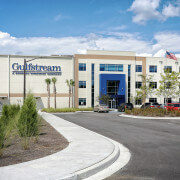 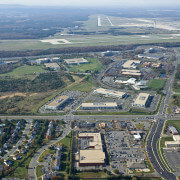 Thirteen-Story, 300,000 SF Class “A” Office Building; Includes a 100,000 SF retail center and a 950 Car Parking Structure. 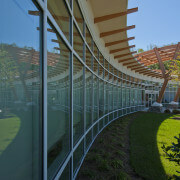 The office building features a gently curved glass façade, setbacks and balconies and a roof line canopy. 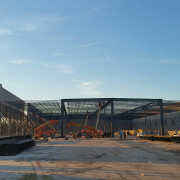 150,000 SF, 5 Story Structural Steel building with full fit-out. 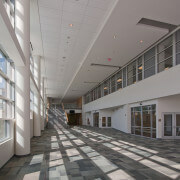 First floor includes classrooms for the university and future retail areas. 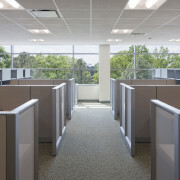 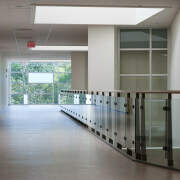 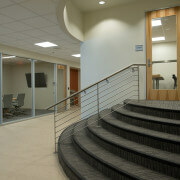 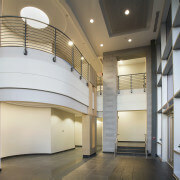 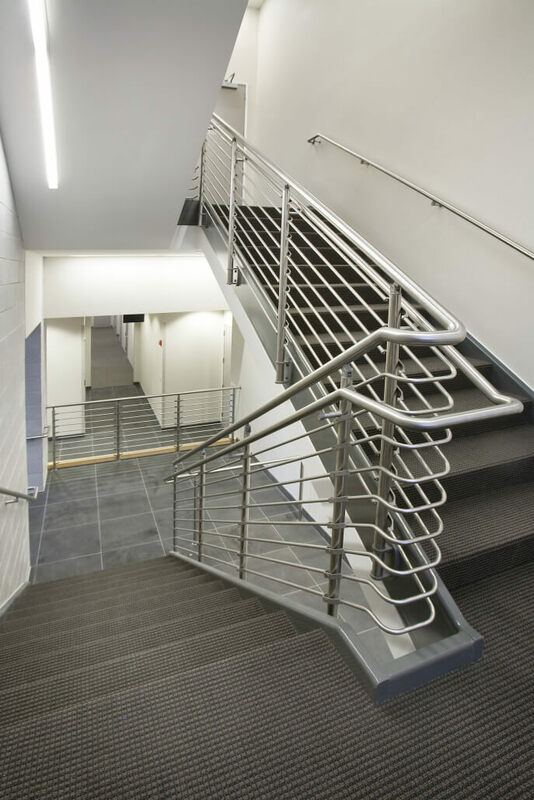 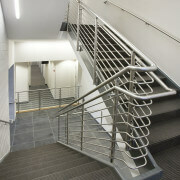 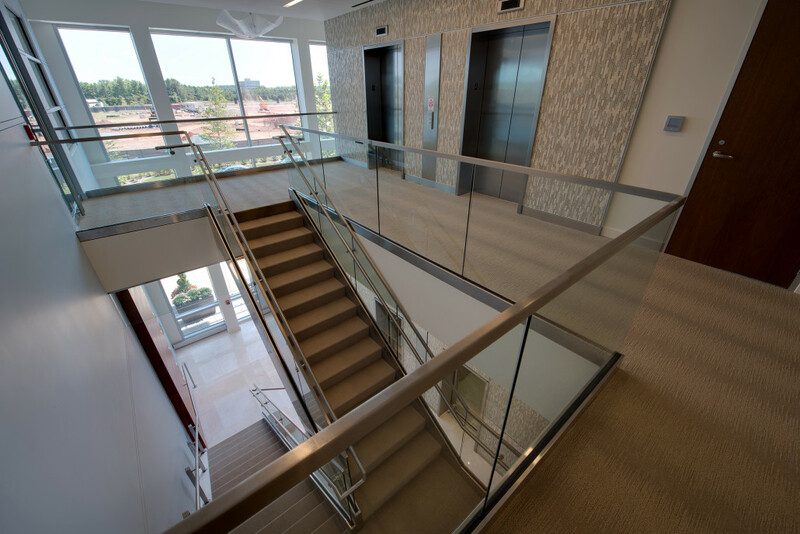 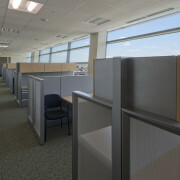 The top 4 floors consist of hard wall offices and systems furniture. 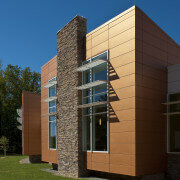 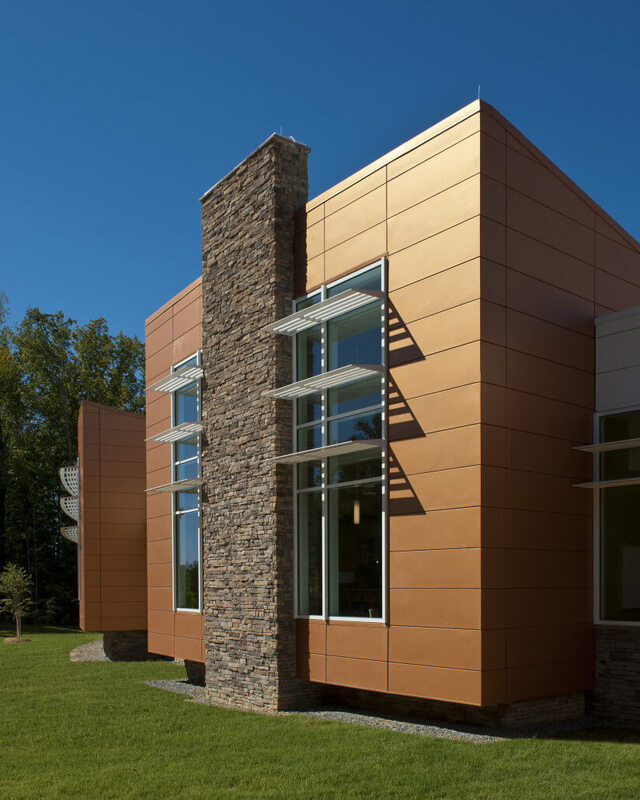 Skin consists of masonry/metal panels/curtainwall. 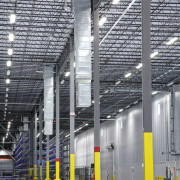 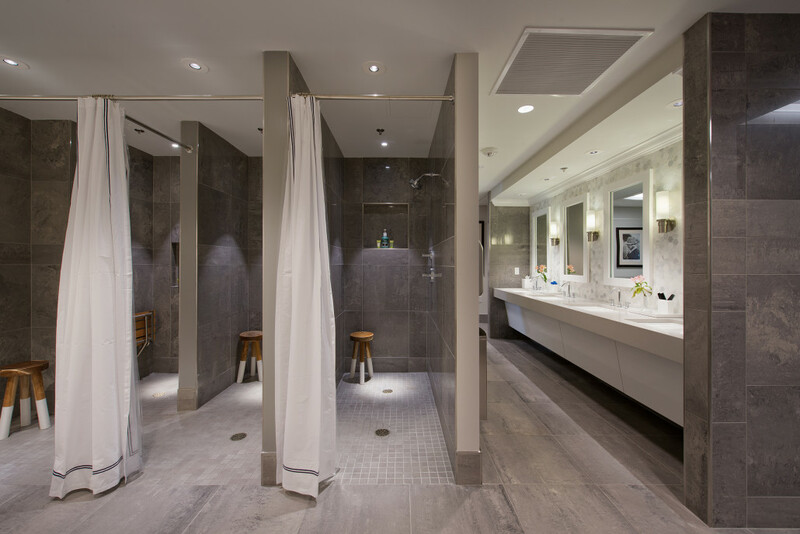 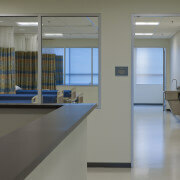 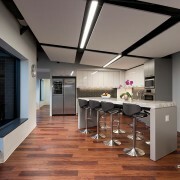 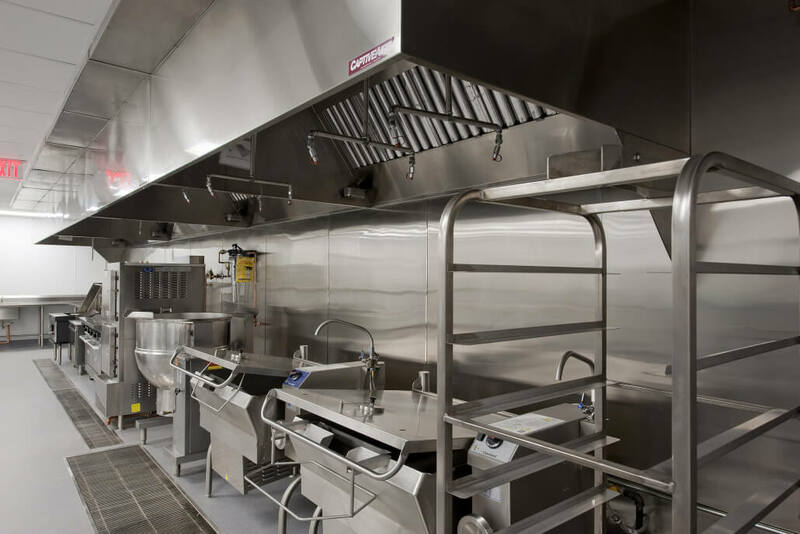 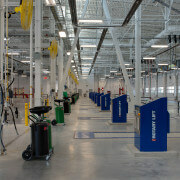 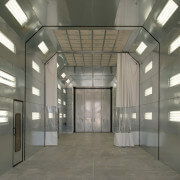 HVAC system is fed through an underground High Temperature Hot Water Tunnel. 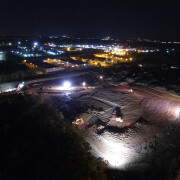 Project includes extension of approximately 1200 lf of new tunnel for the university. 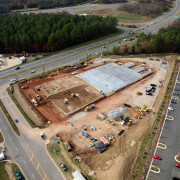 Site work includes aggregate pier foundations and large lawn/grass areas.